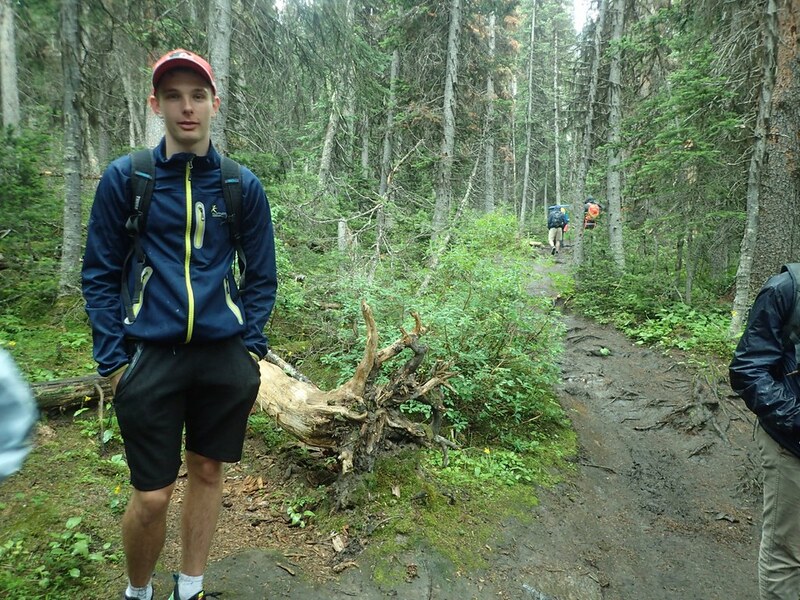 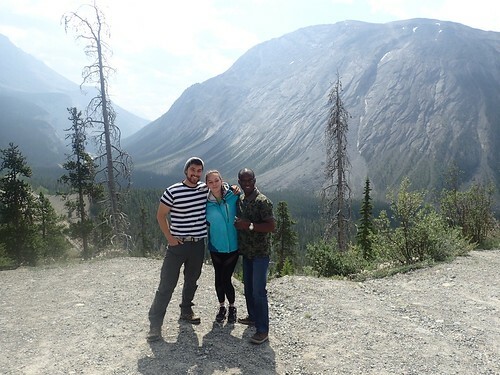 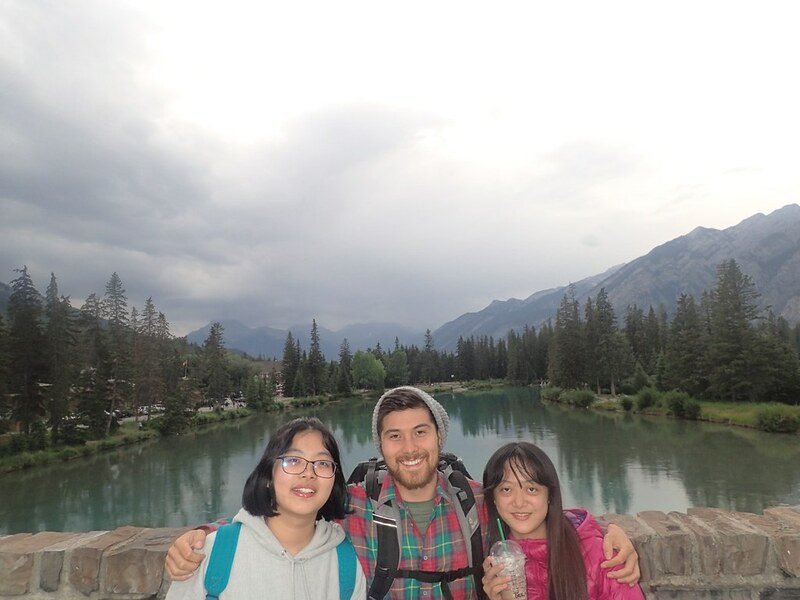 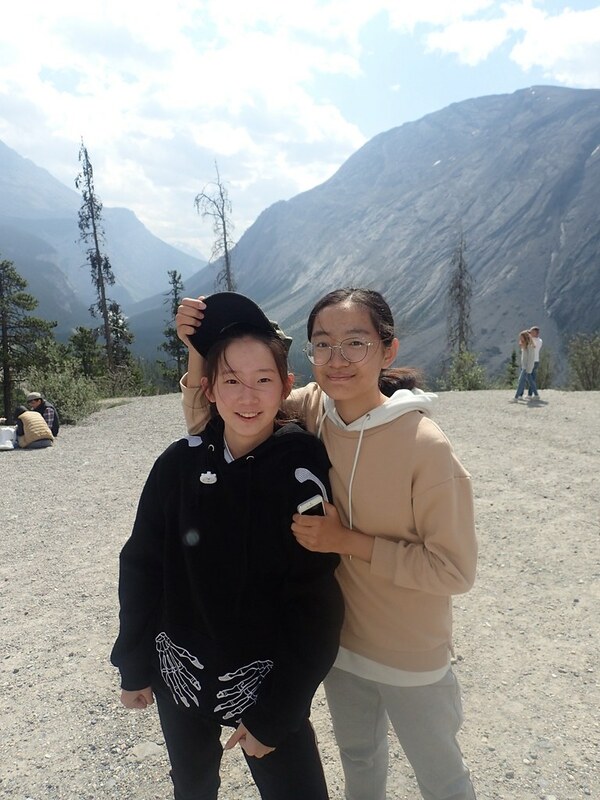 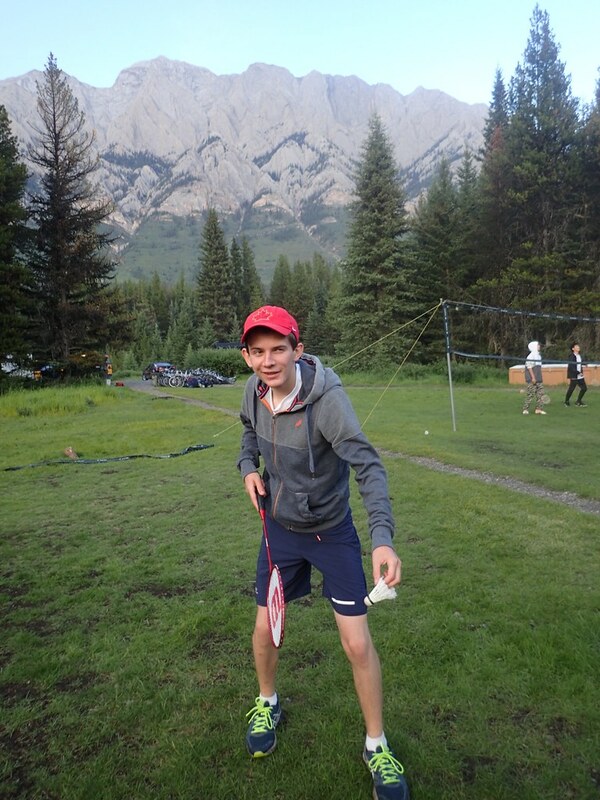 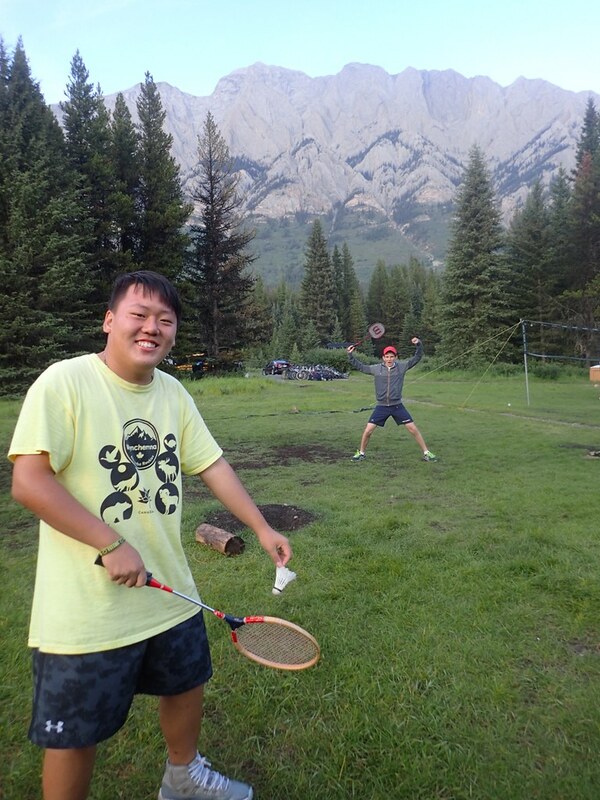 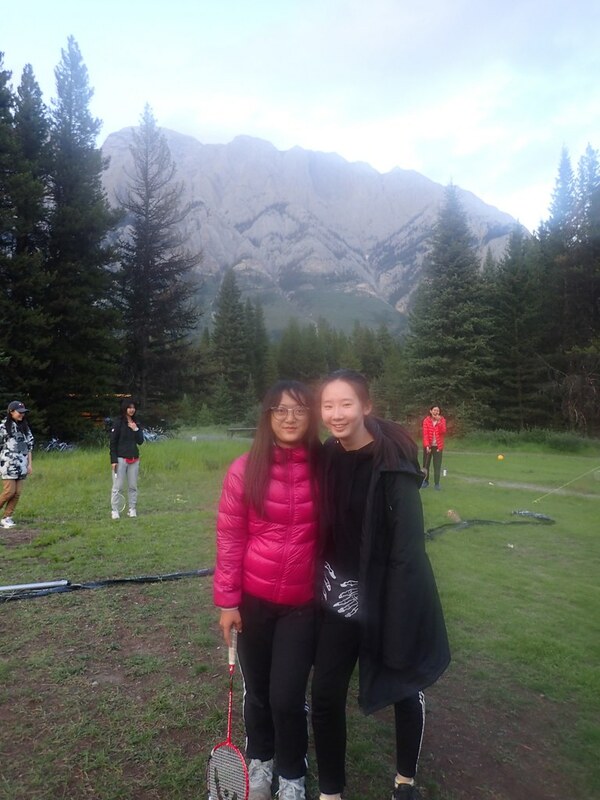 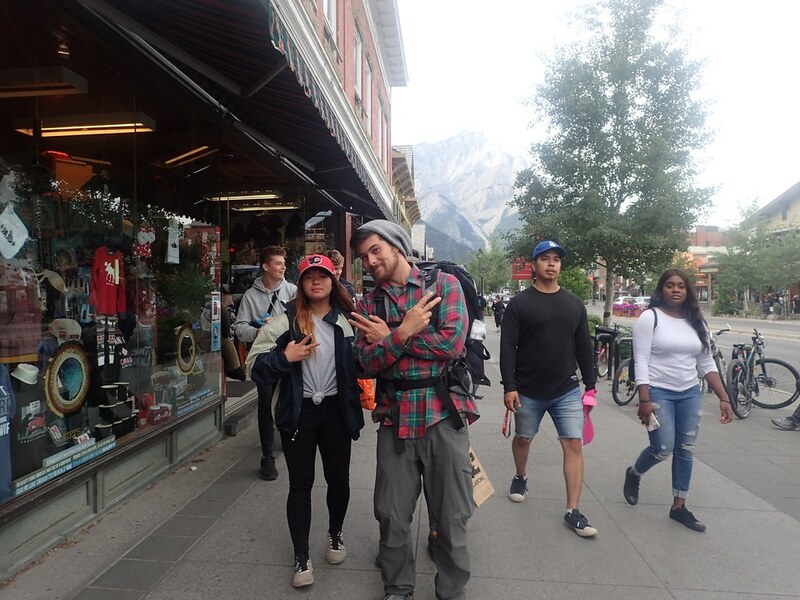 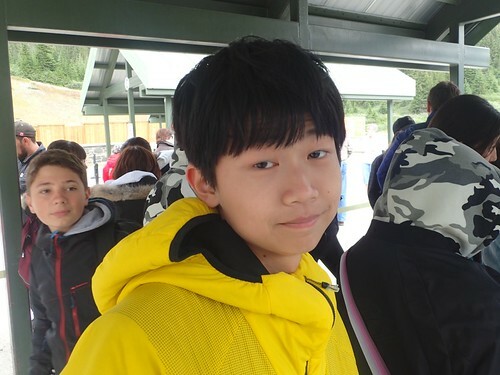 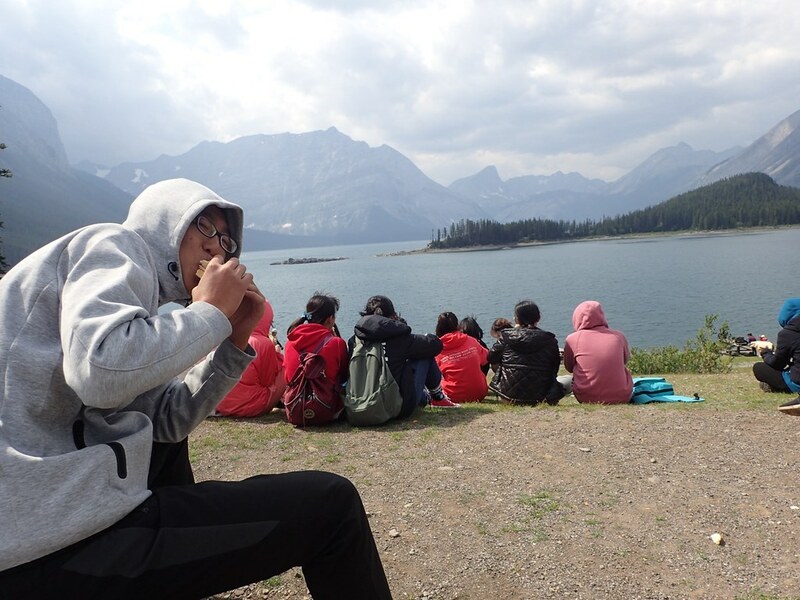 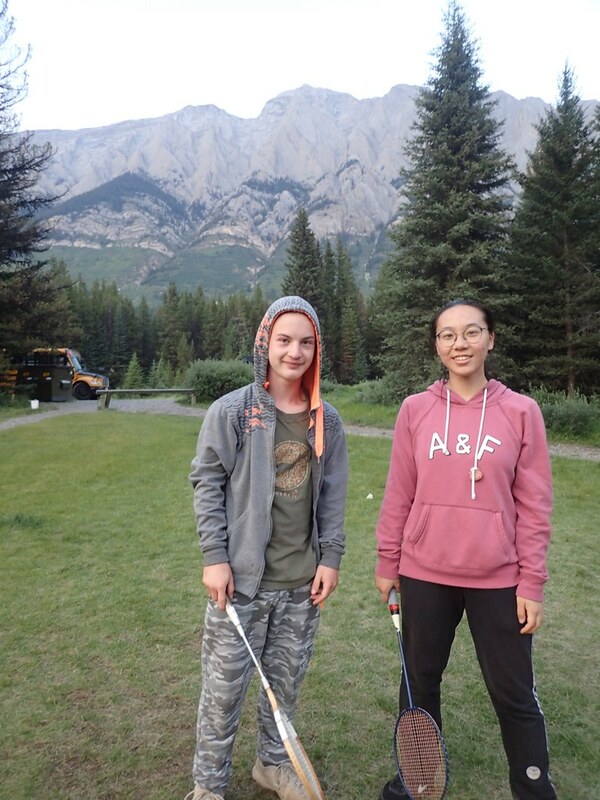 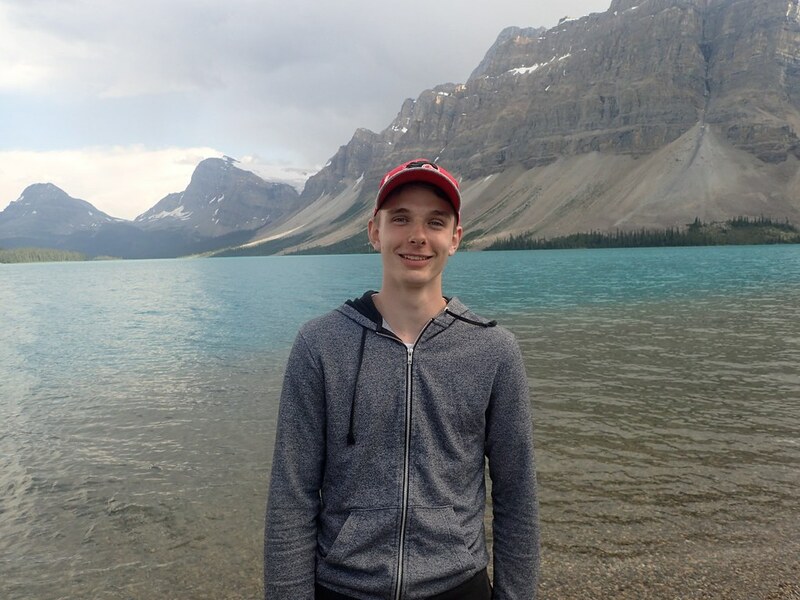 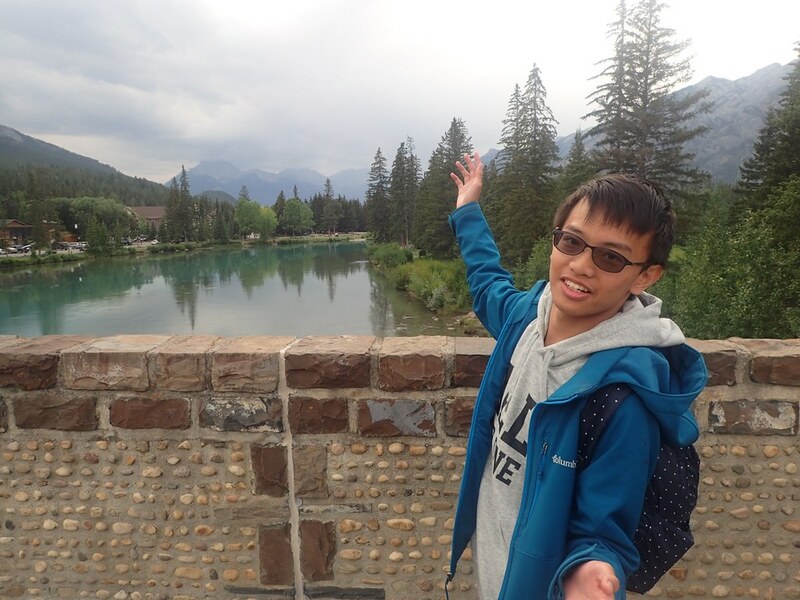 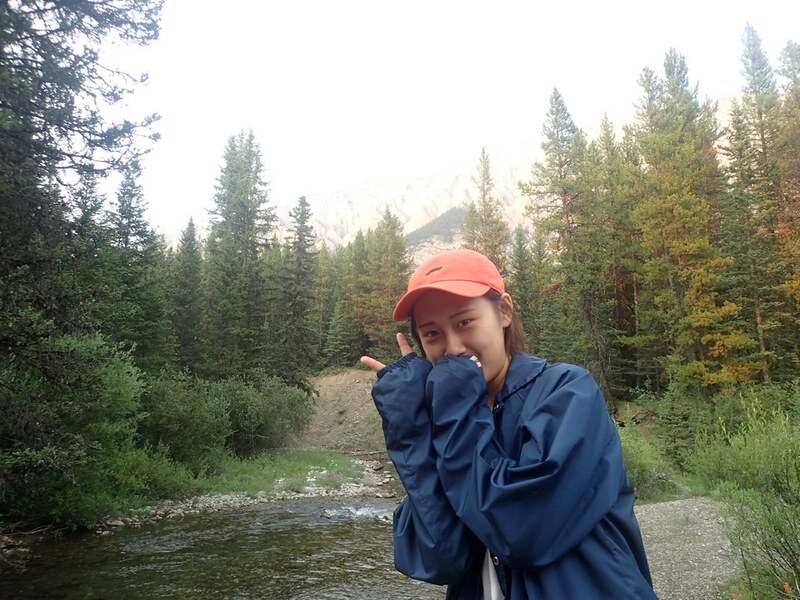 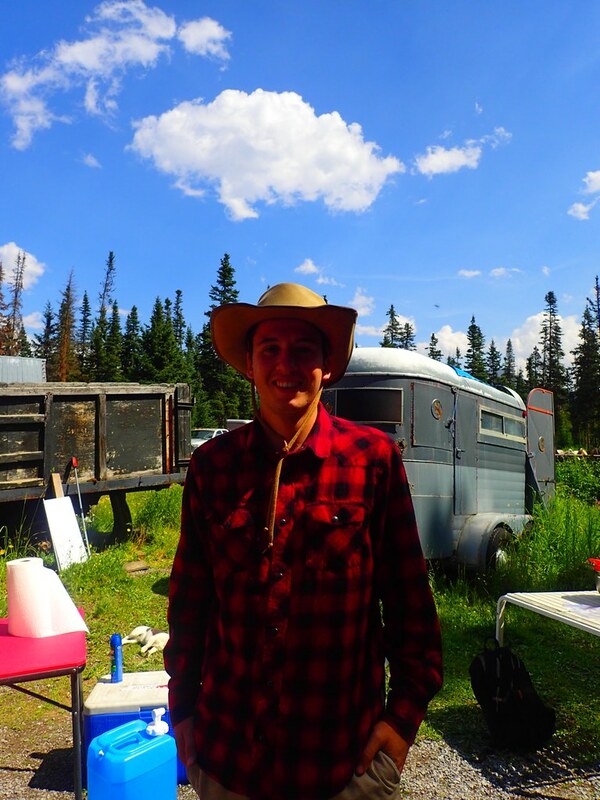 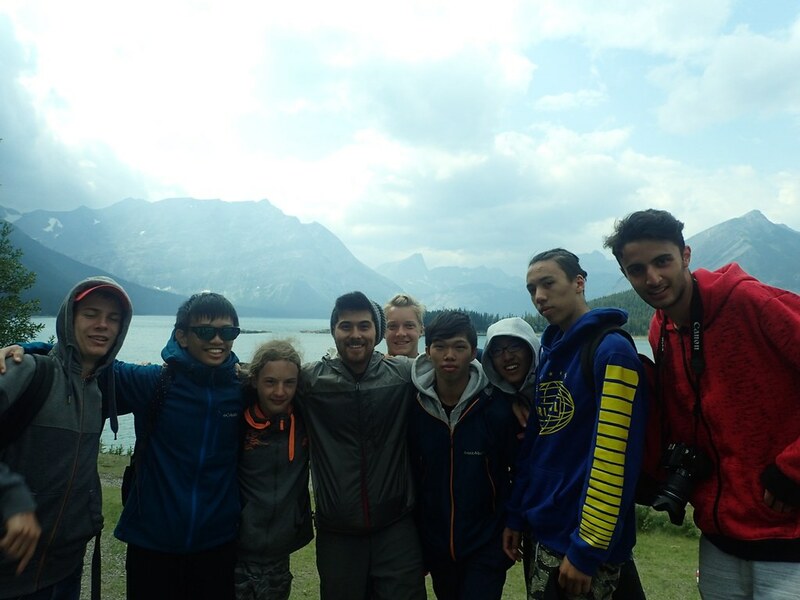 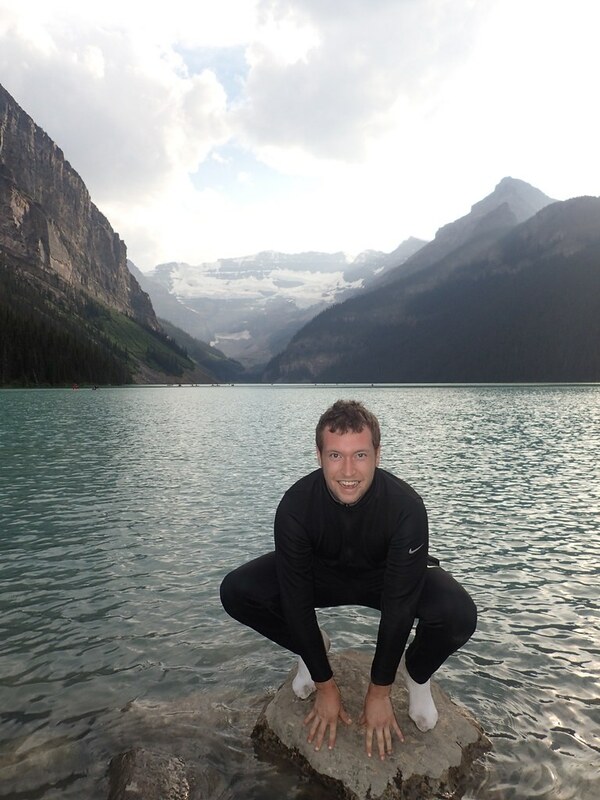 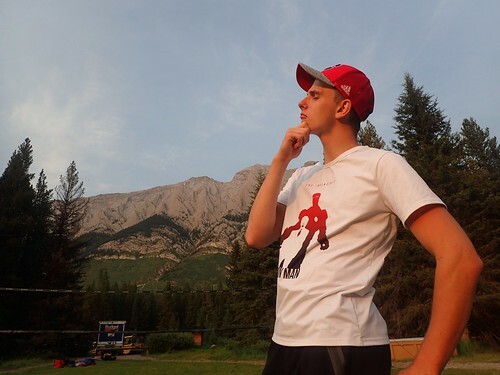 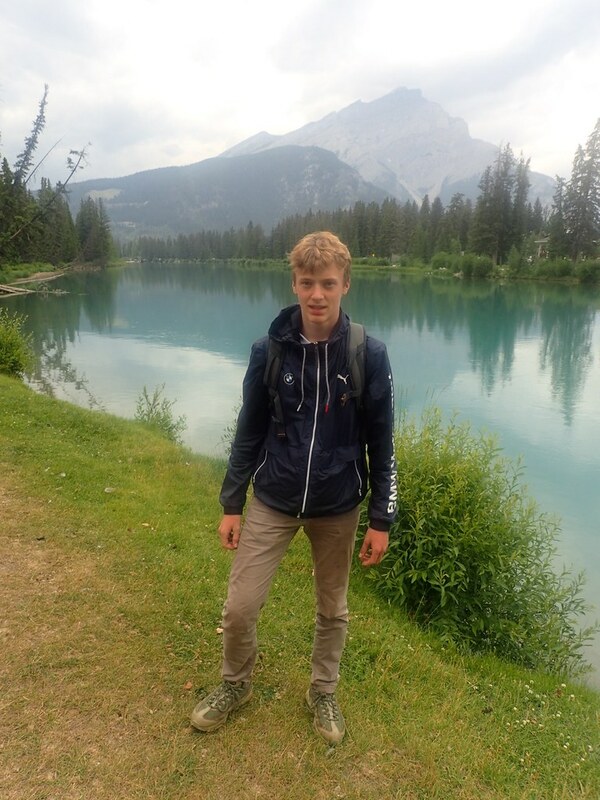 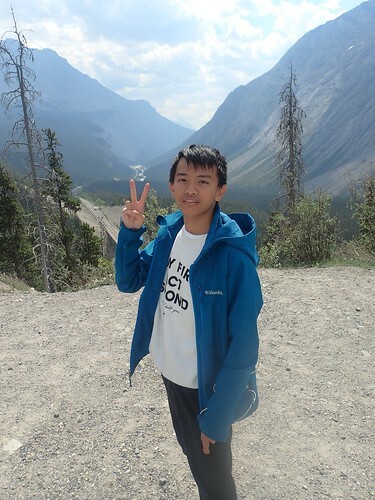 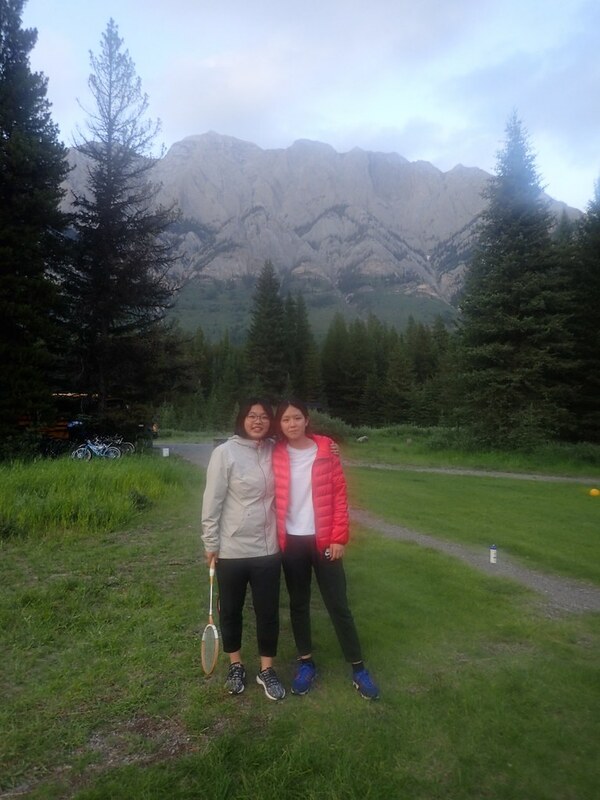 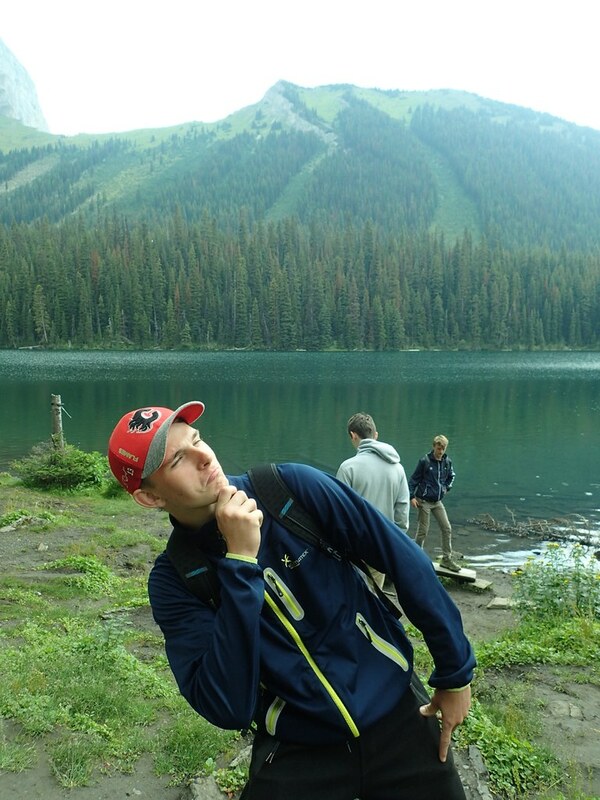 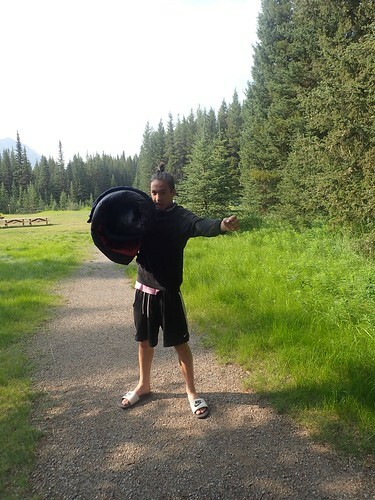 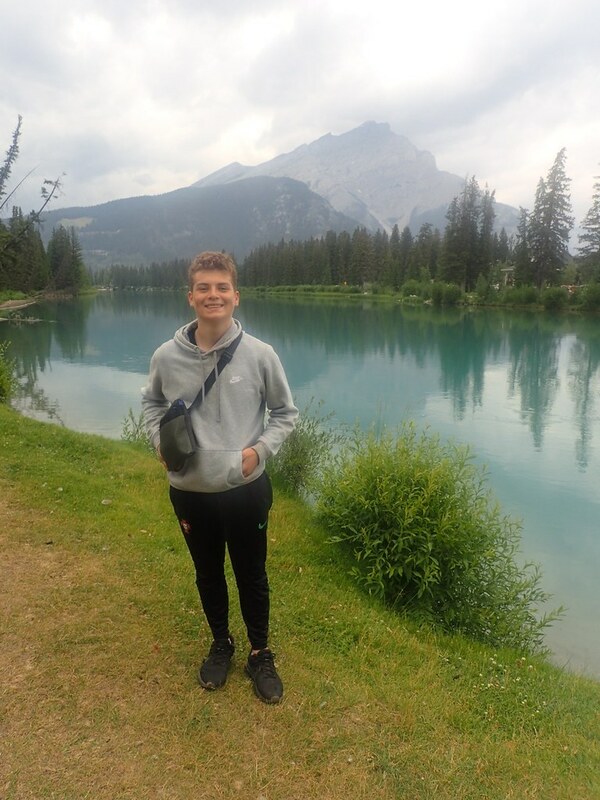 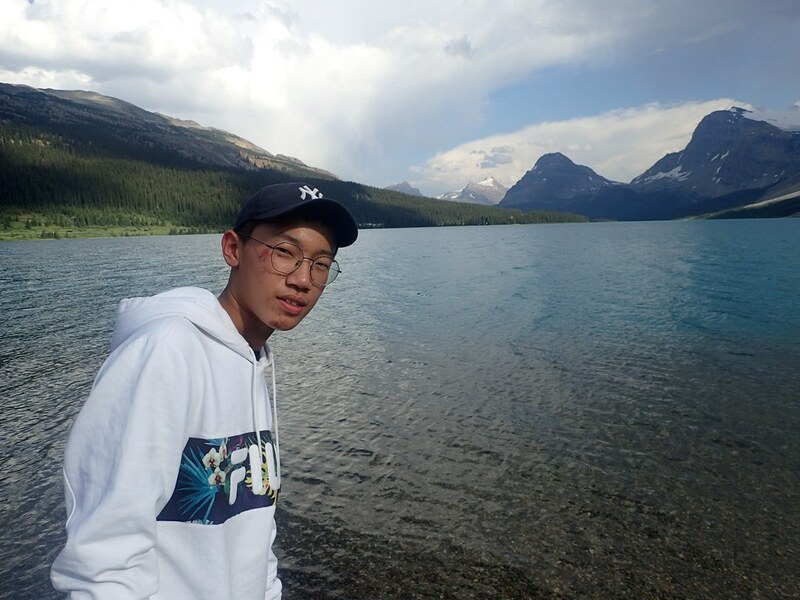 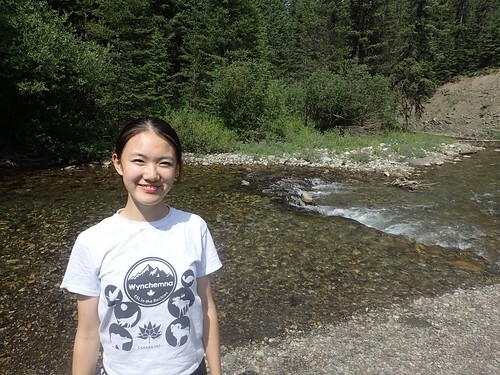 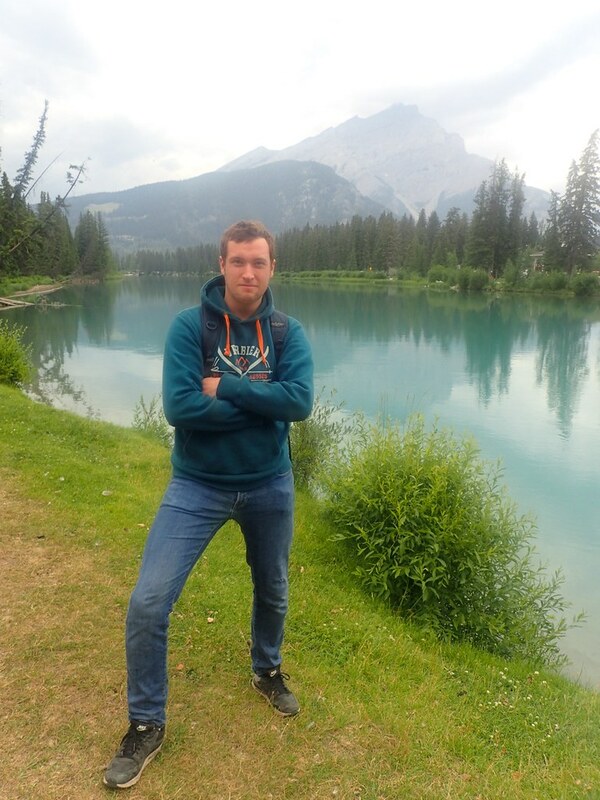 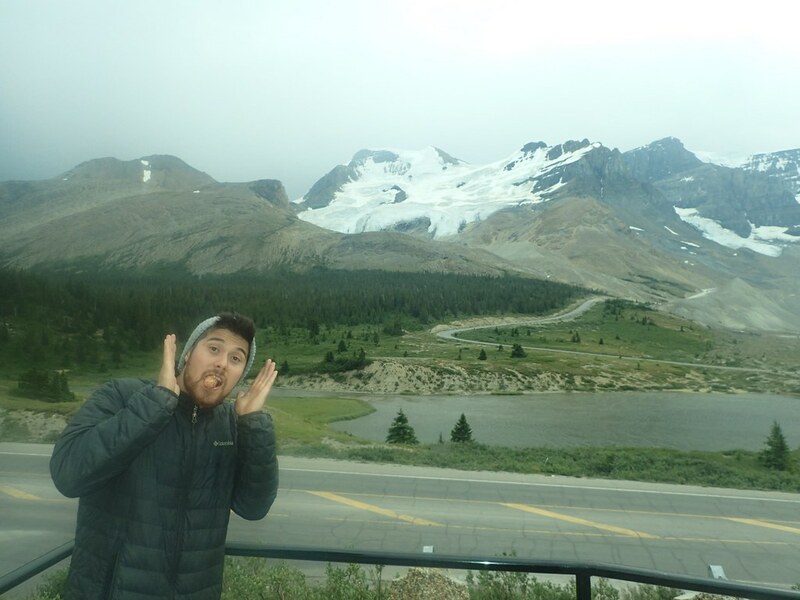 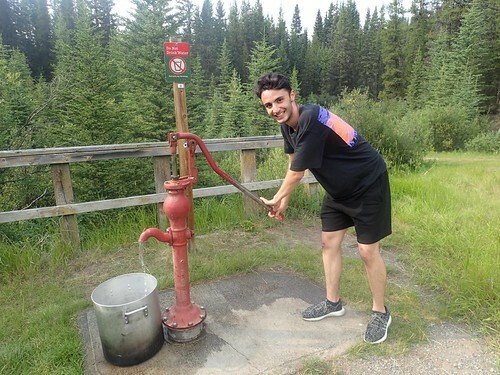 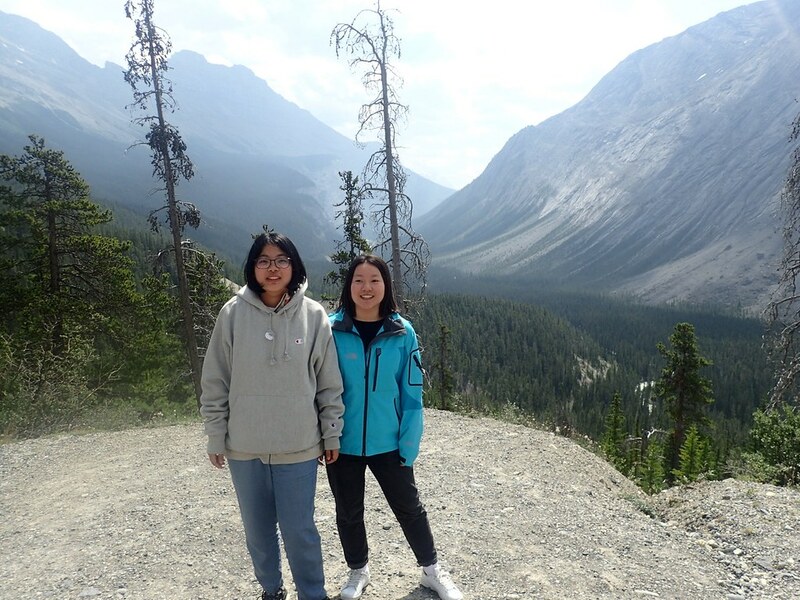 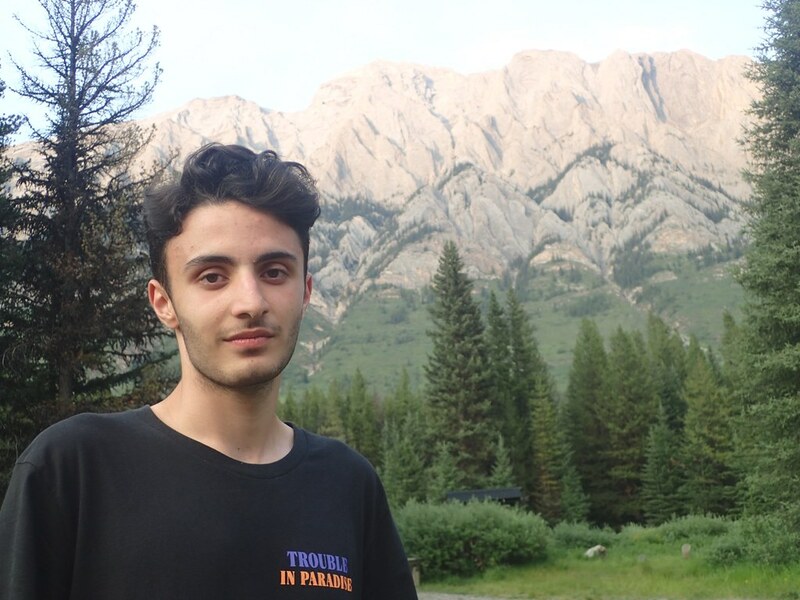 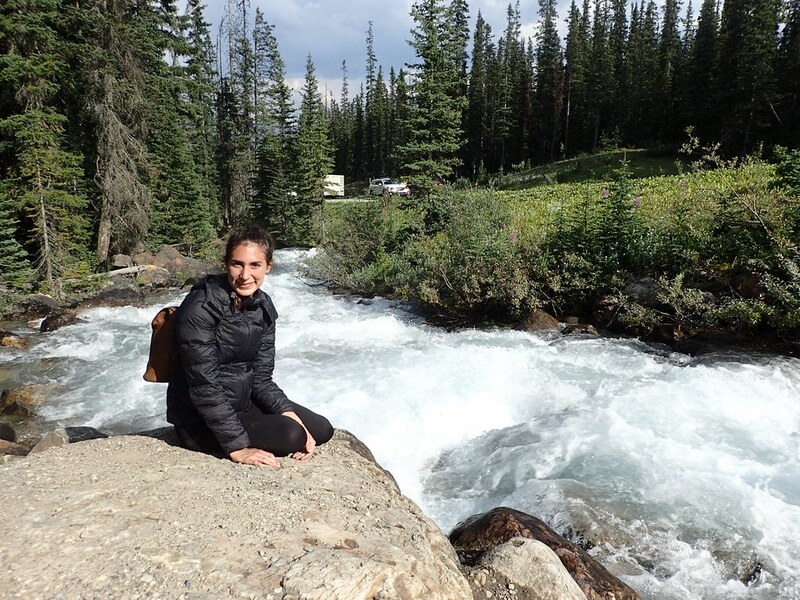 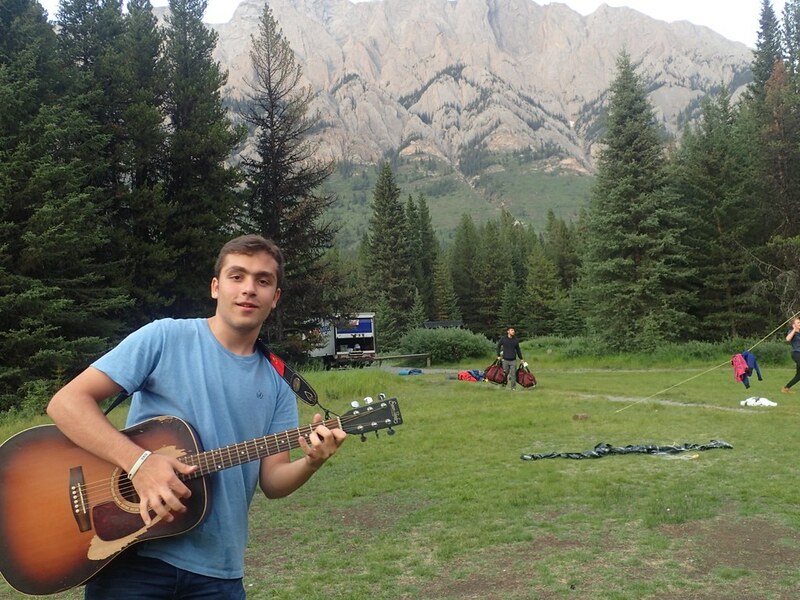 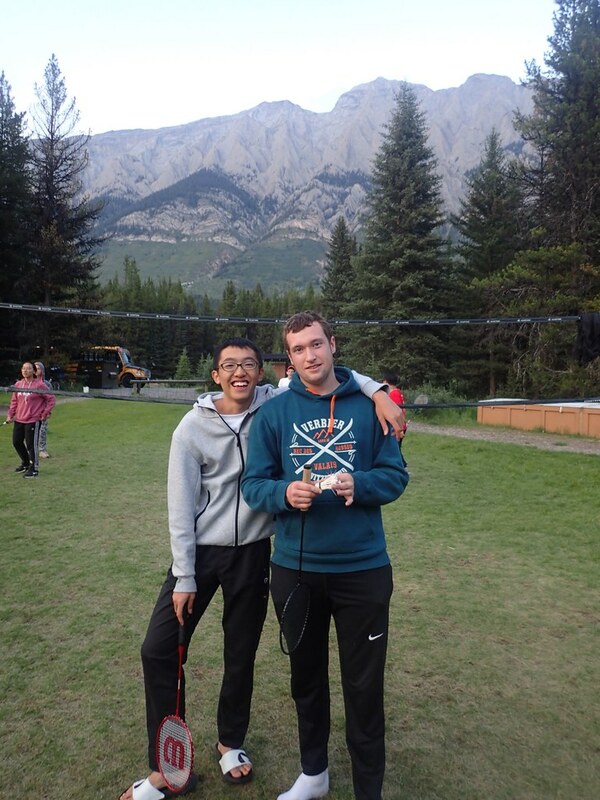 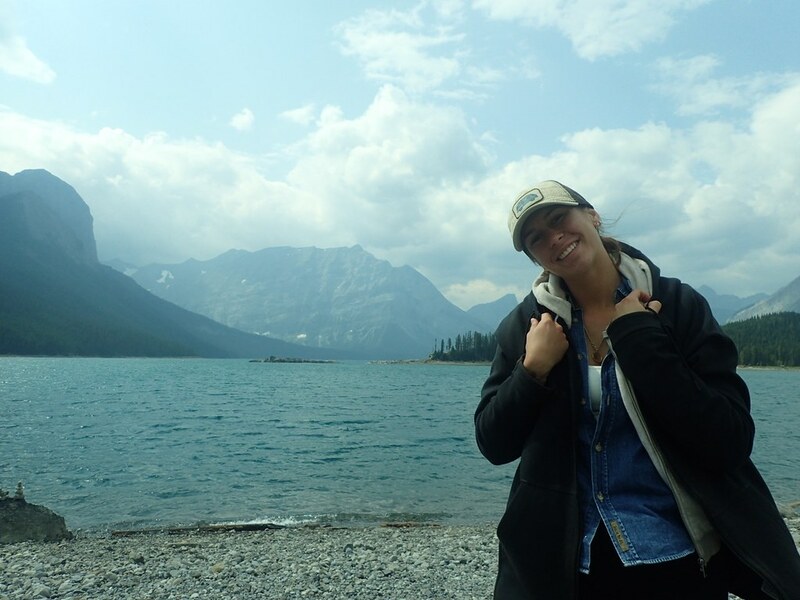 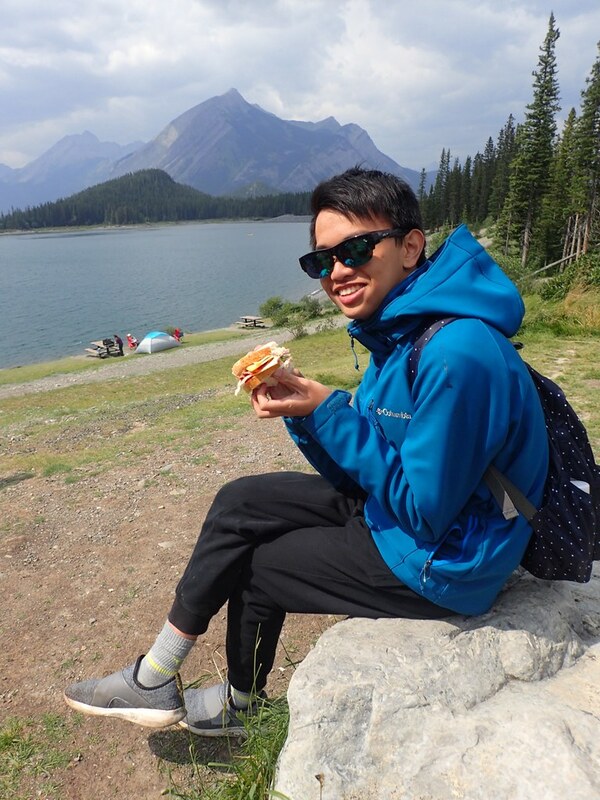 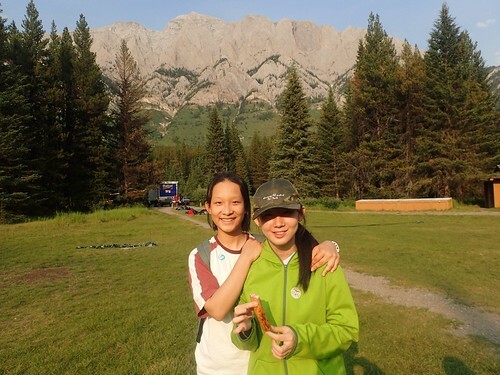 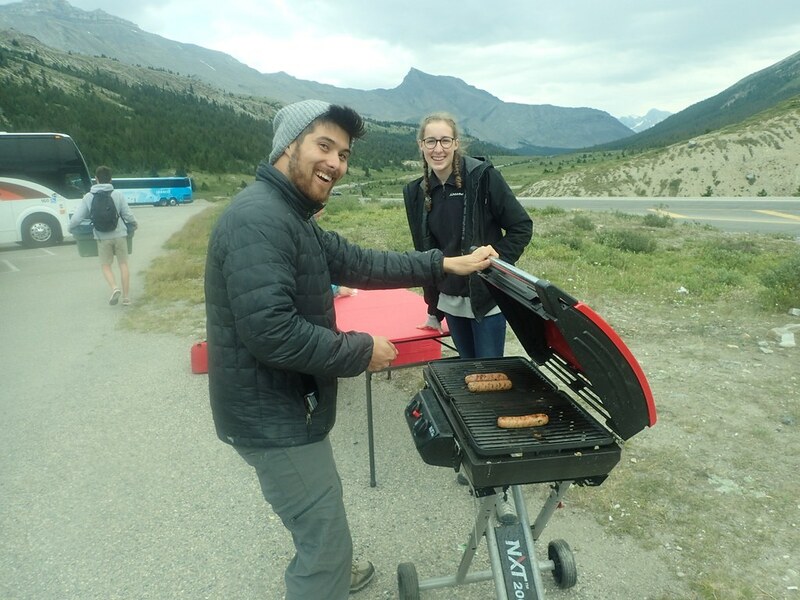 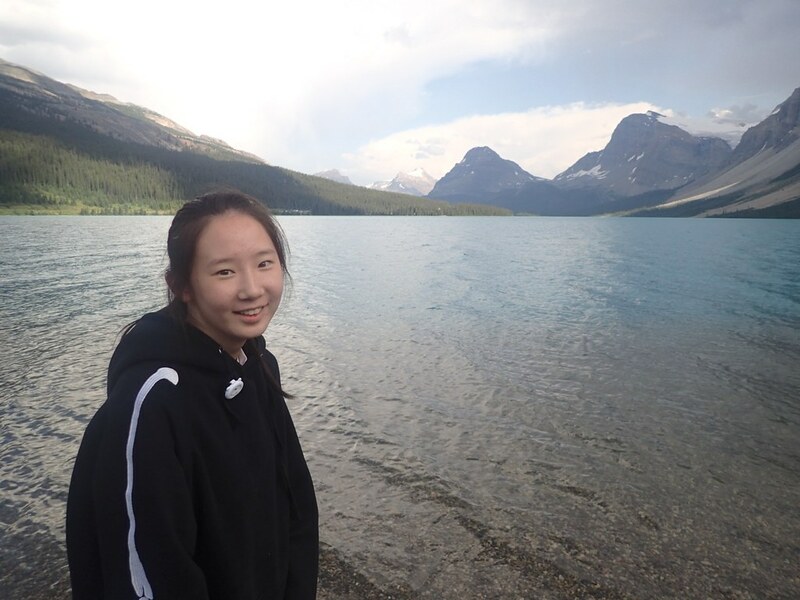 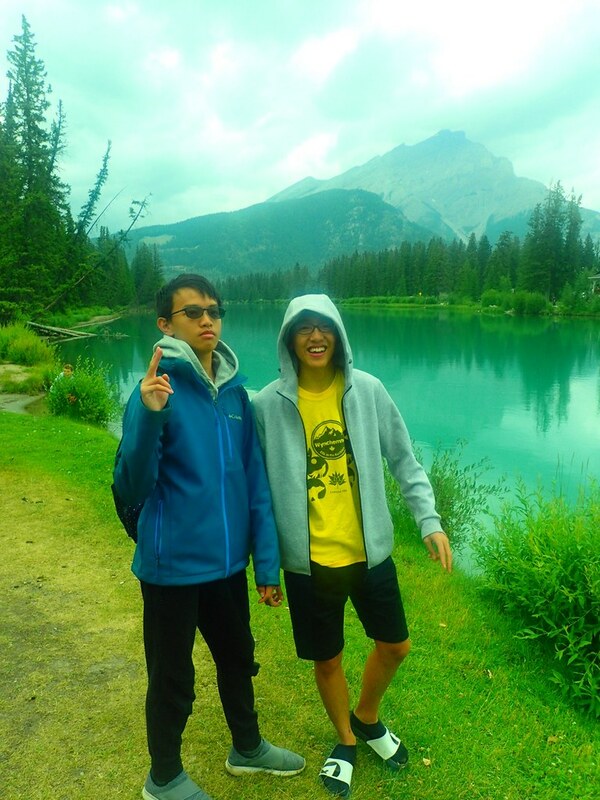 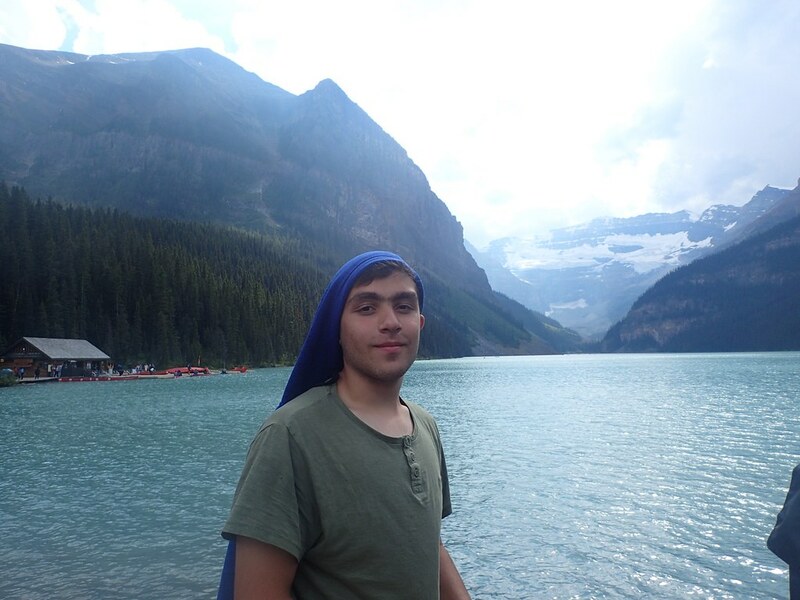 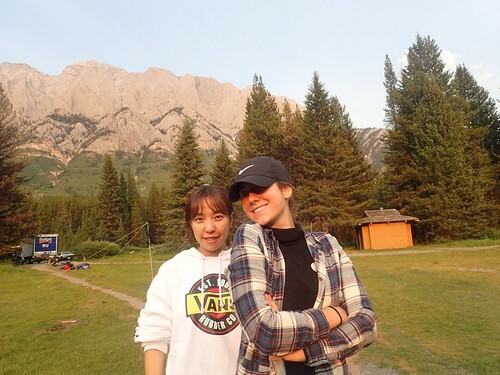 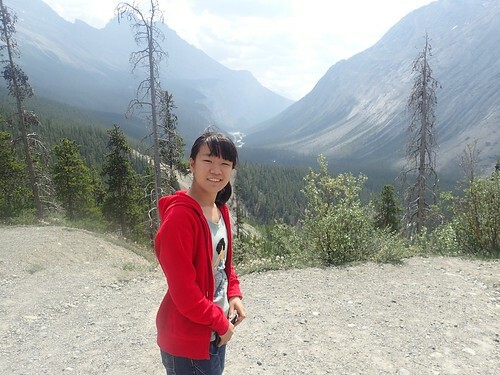 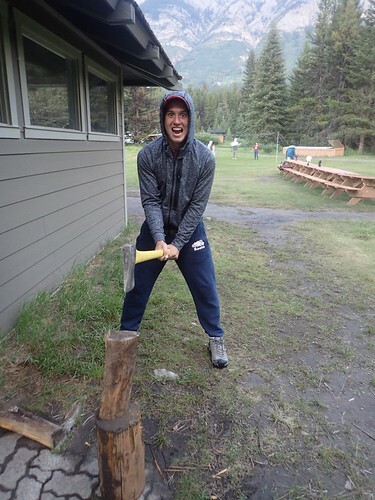 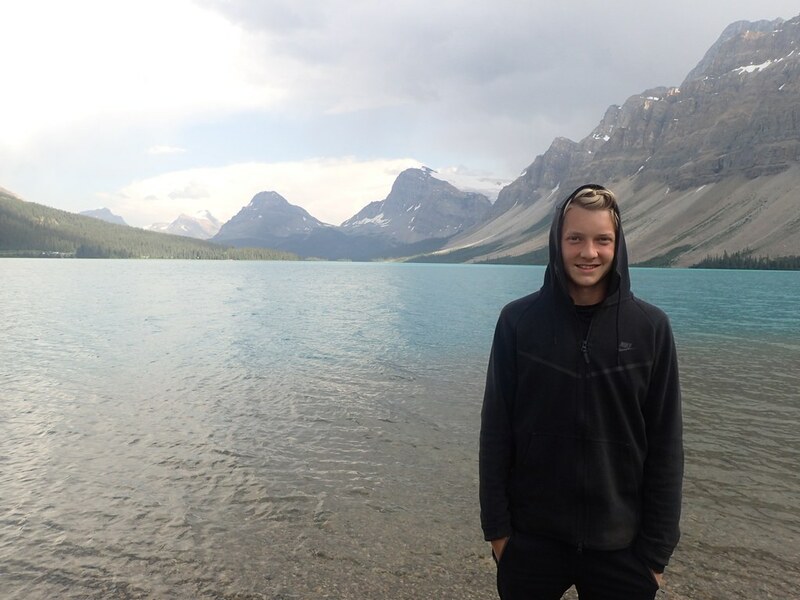 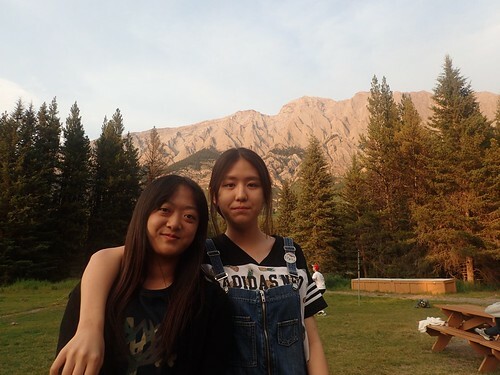 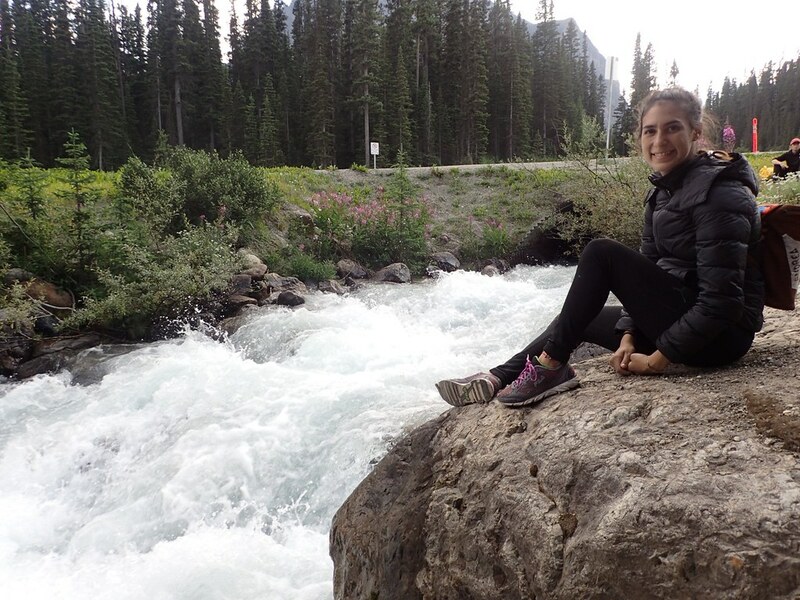 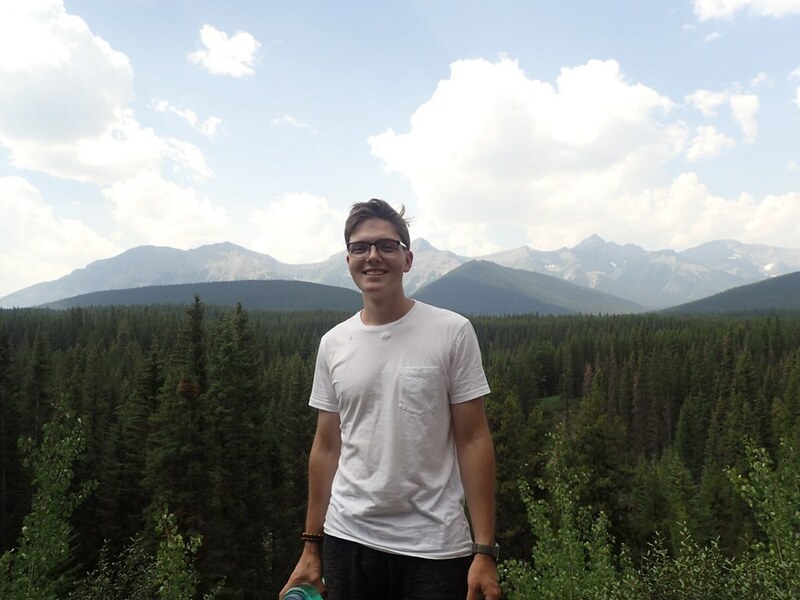 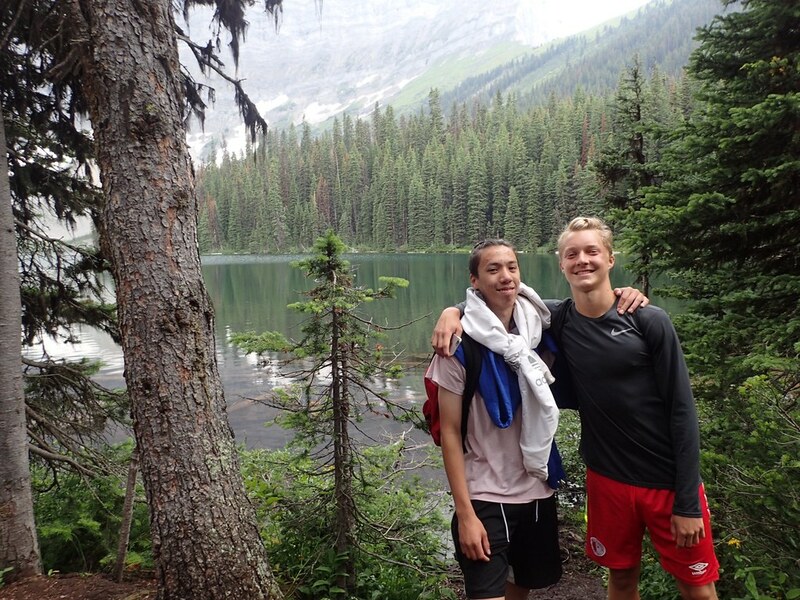 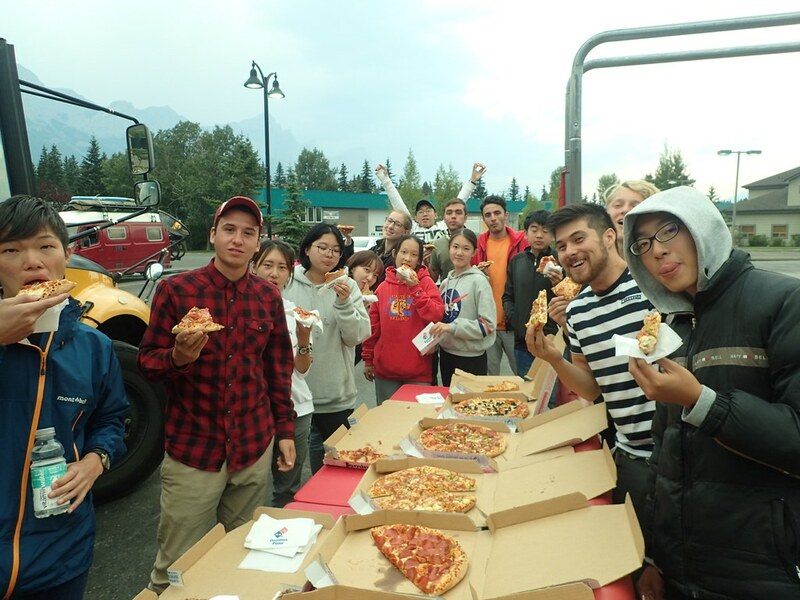 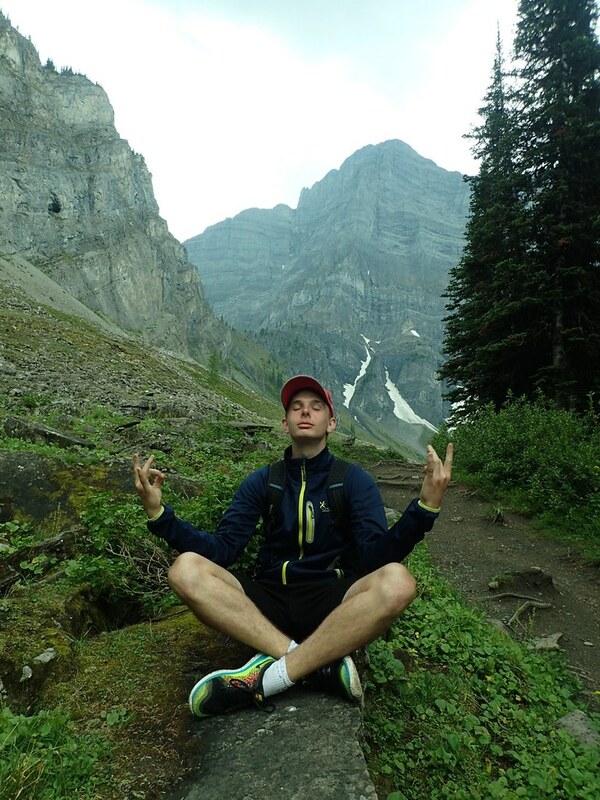 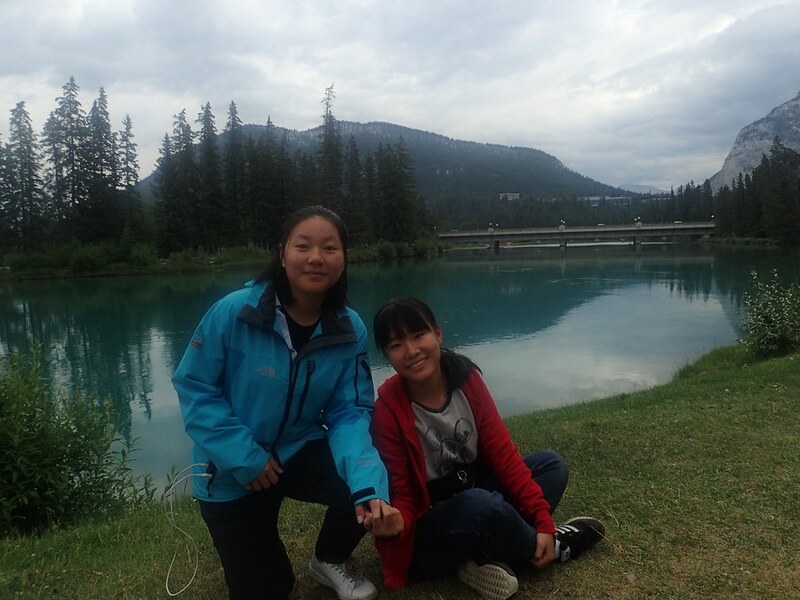 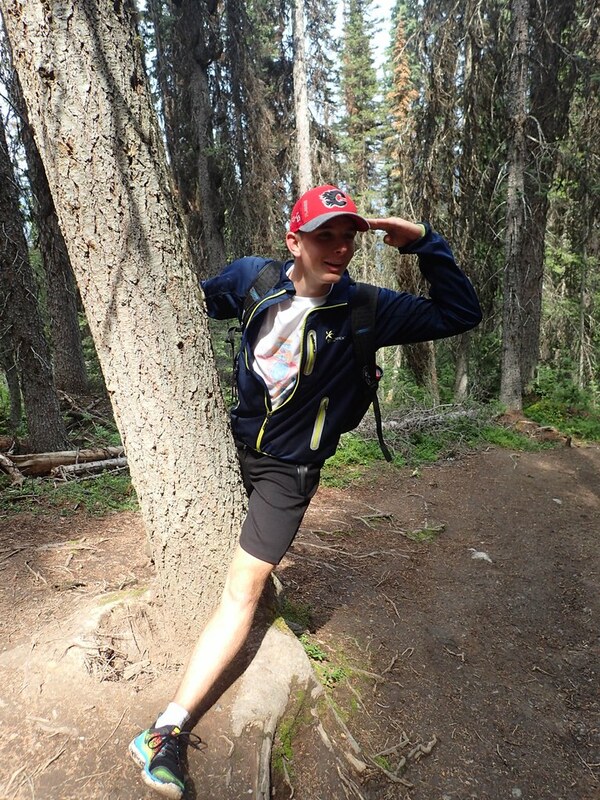 Day 1 – Tuesday, July 31st Welcome to the Great Canadian Rockies! 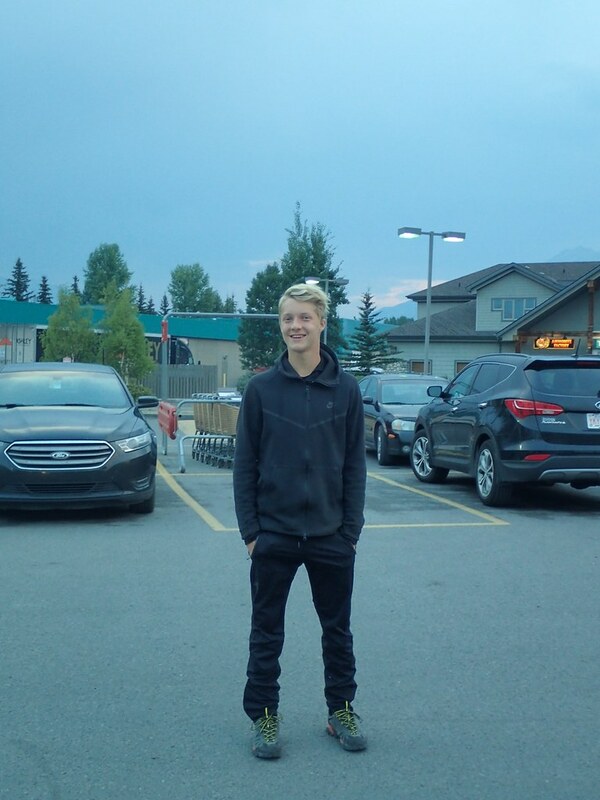 Finally, after so much waiting and anticipation the day came! 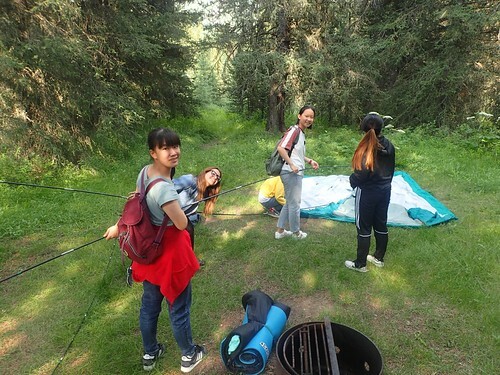 The day all the porcupines had been looking forward to for a long time… Camping day! 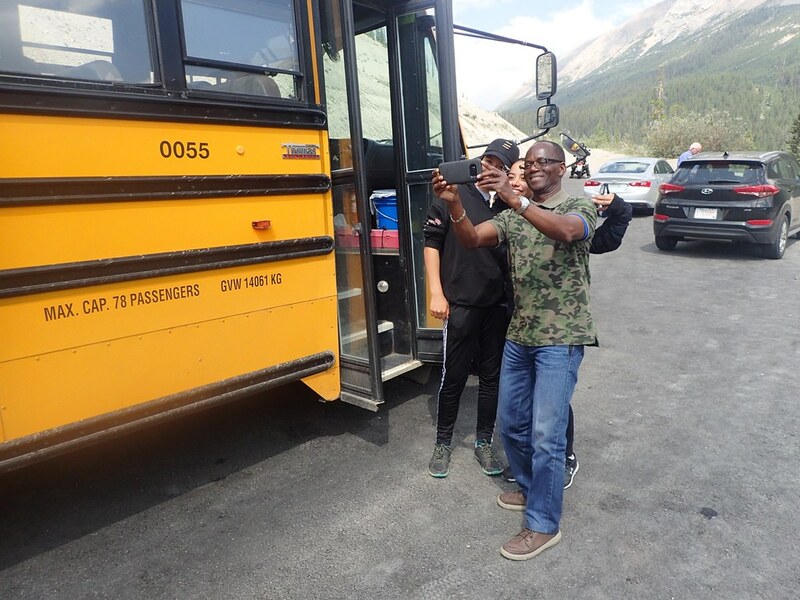 As the bus ascended along the curvy road, the majestic Rocky Mountains which loomed over ice blue glacial lakes came closer and closer and a sense of awe and excitement blanketed the bus. 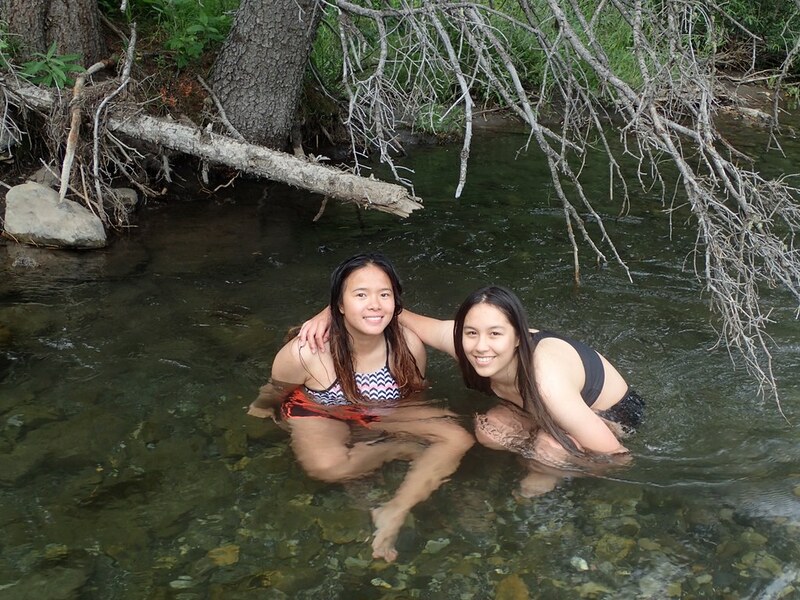 After arriving at the beautiful Pocaterra campsite, we were greeted by a grassy meadow encompassed by a forested campground with a river running through it, all nestled in between two enormous mountains. After unpacking, we applied our previously practiced tent skills and set up camp! 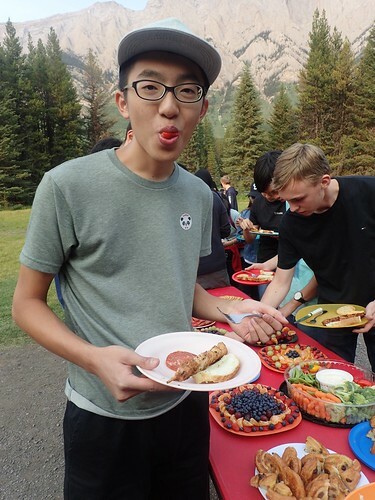 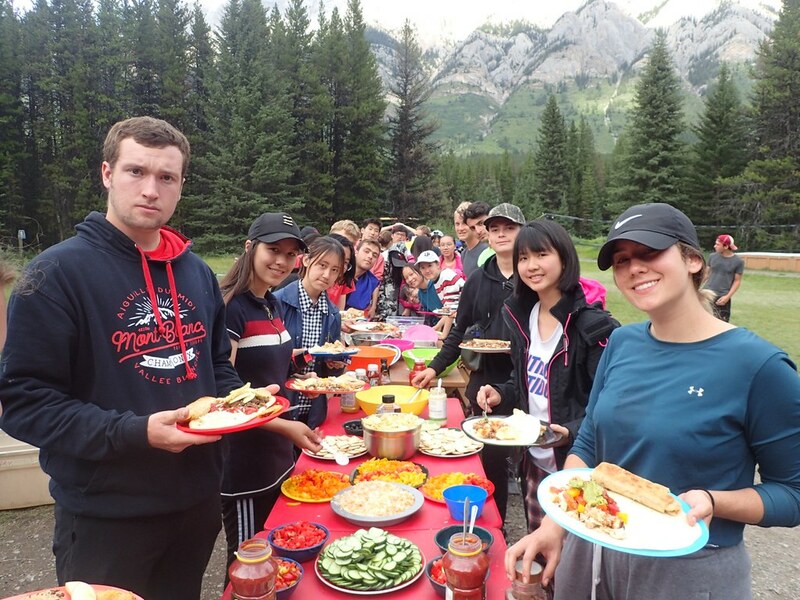 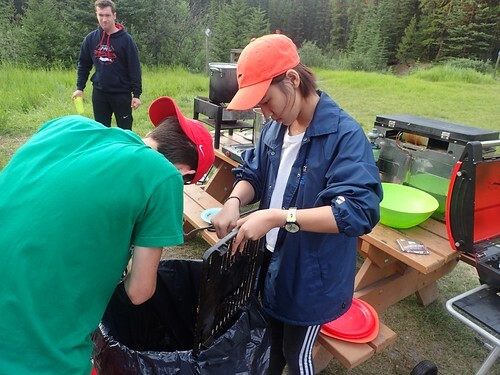 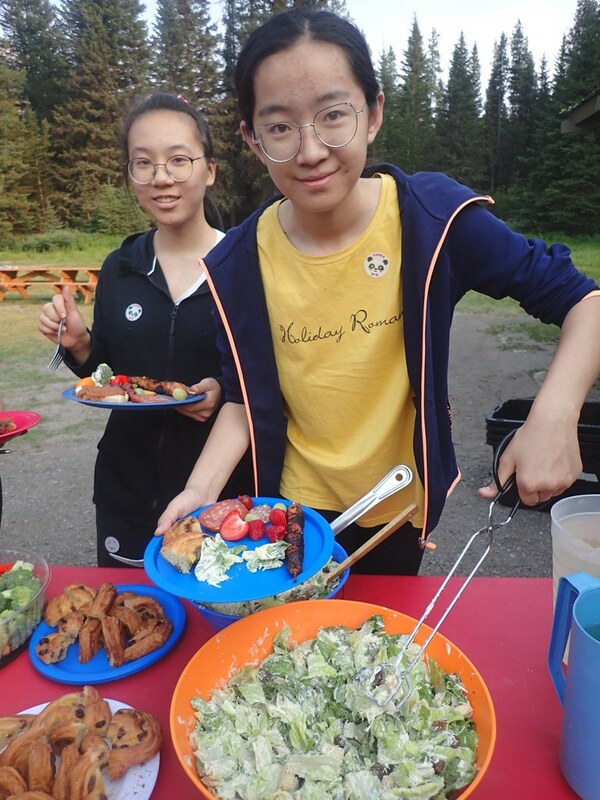 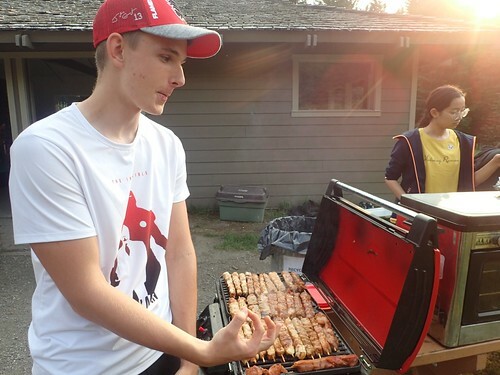 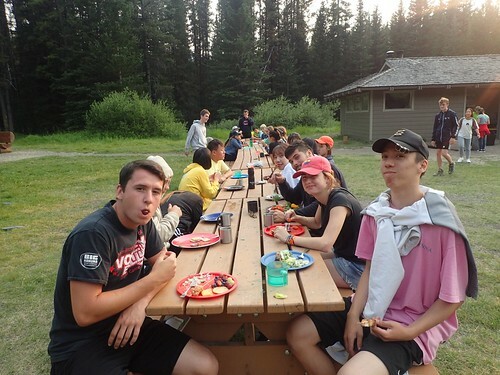 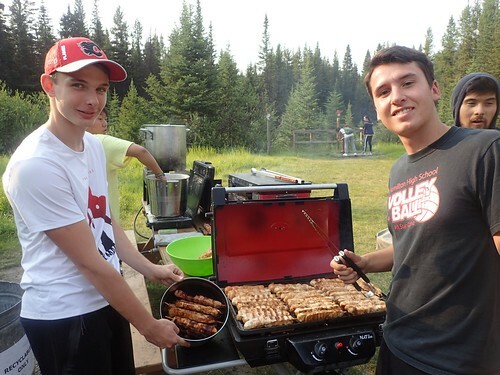 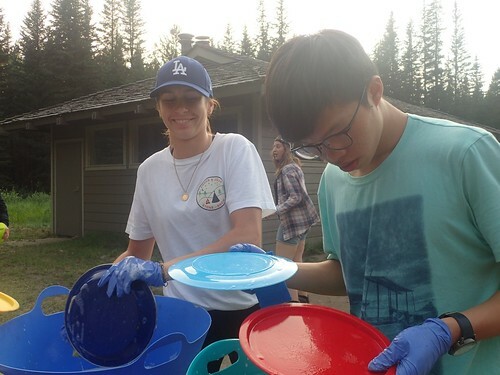 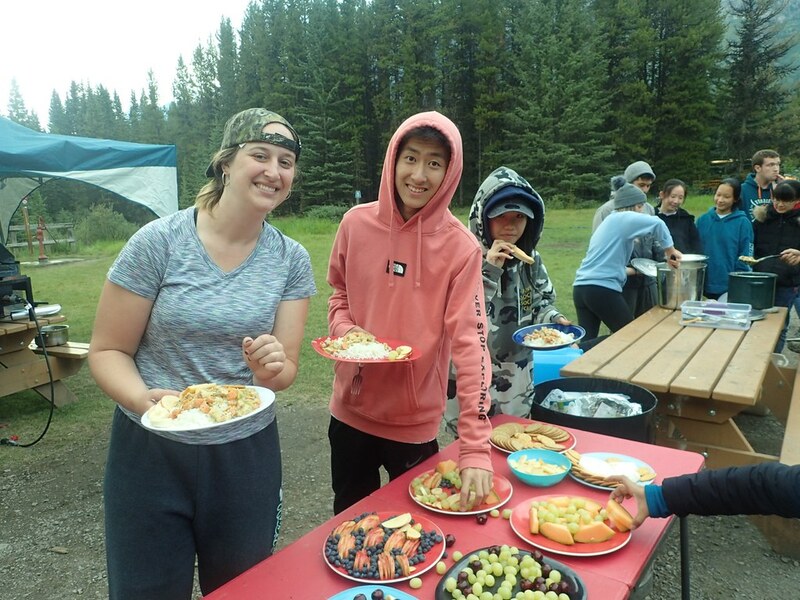 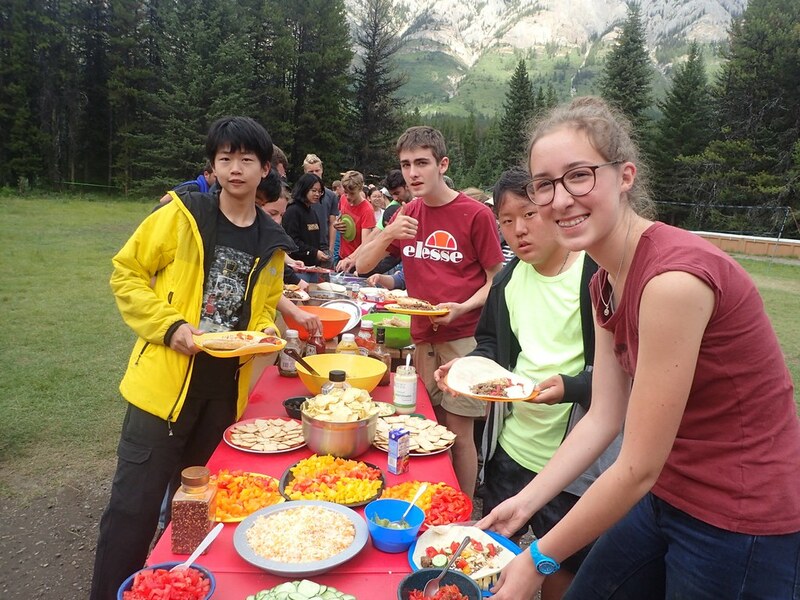 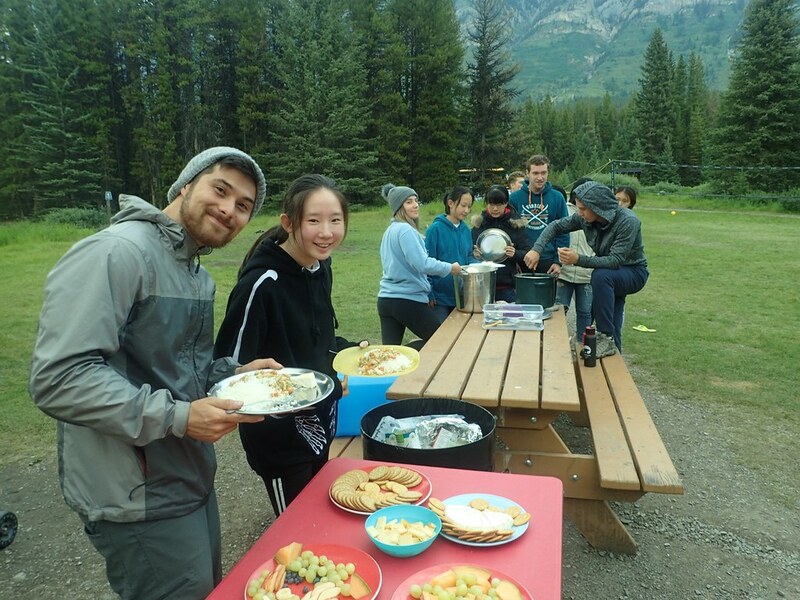 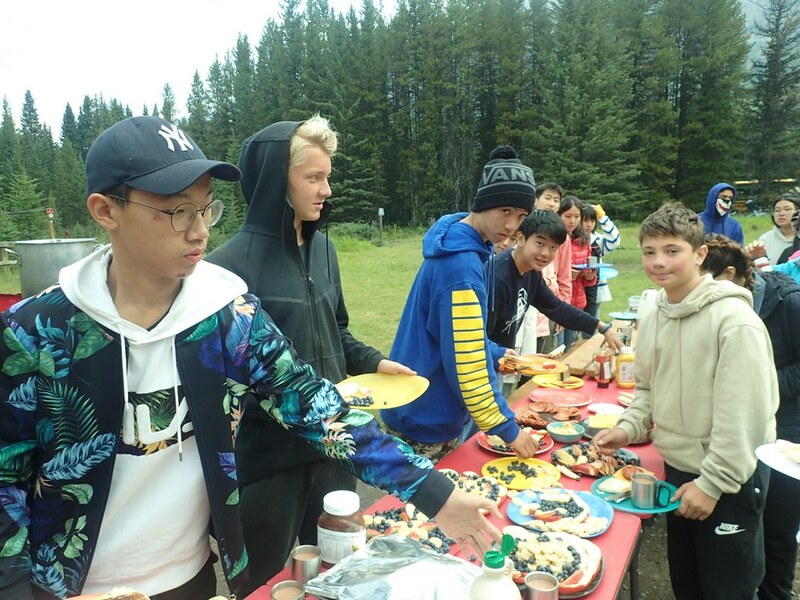 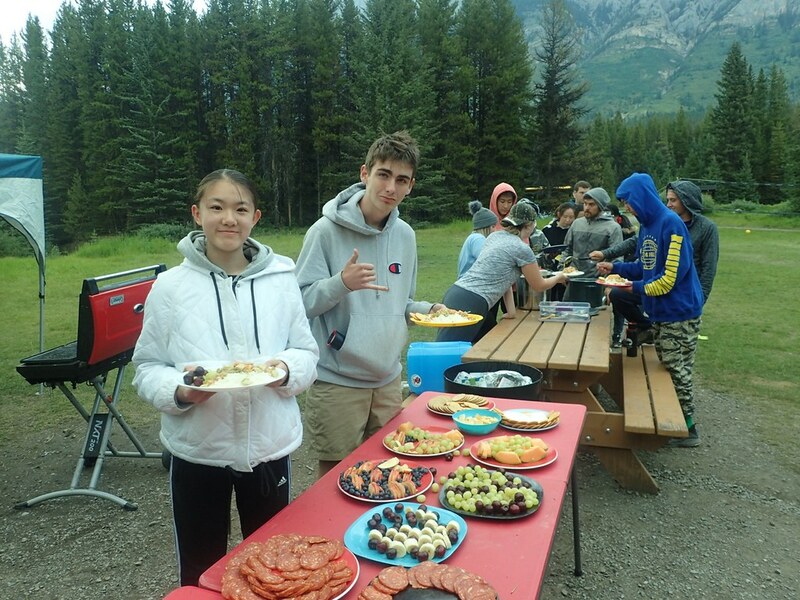 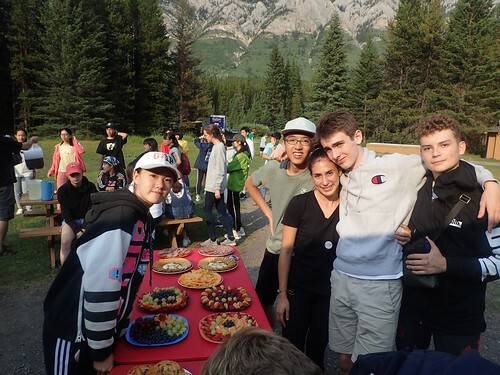 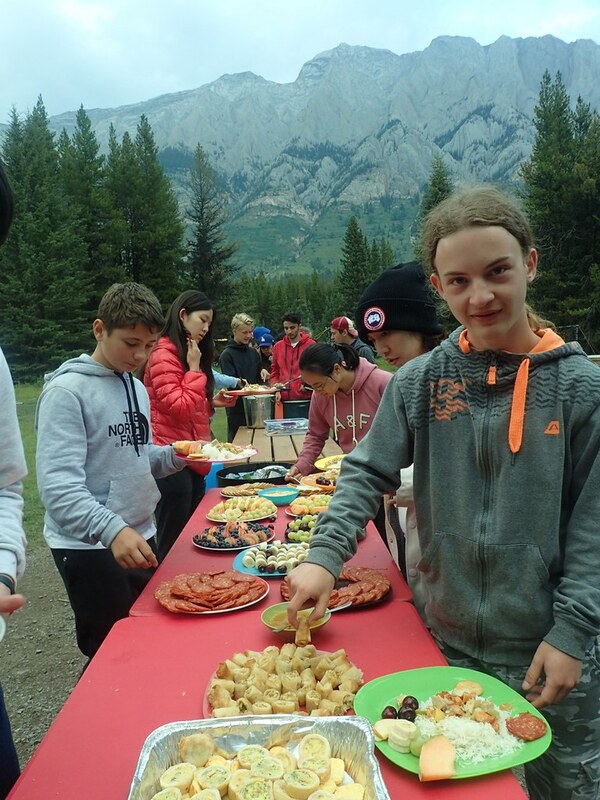 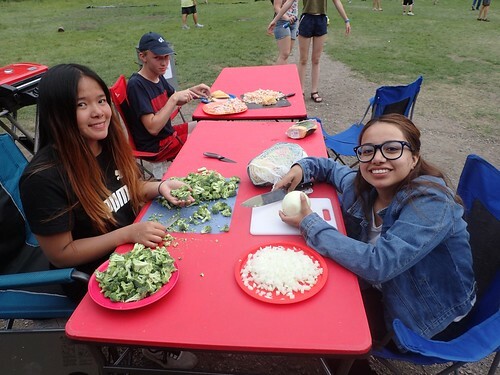 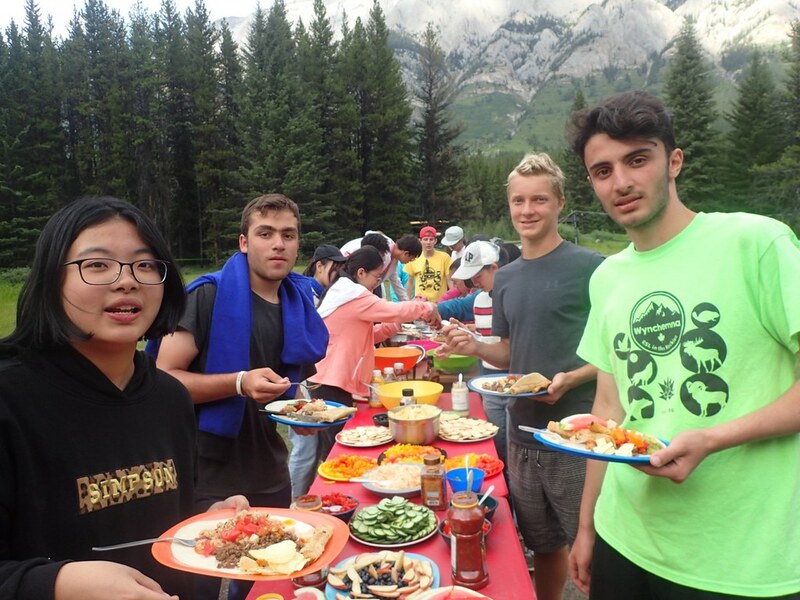 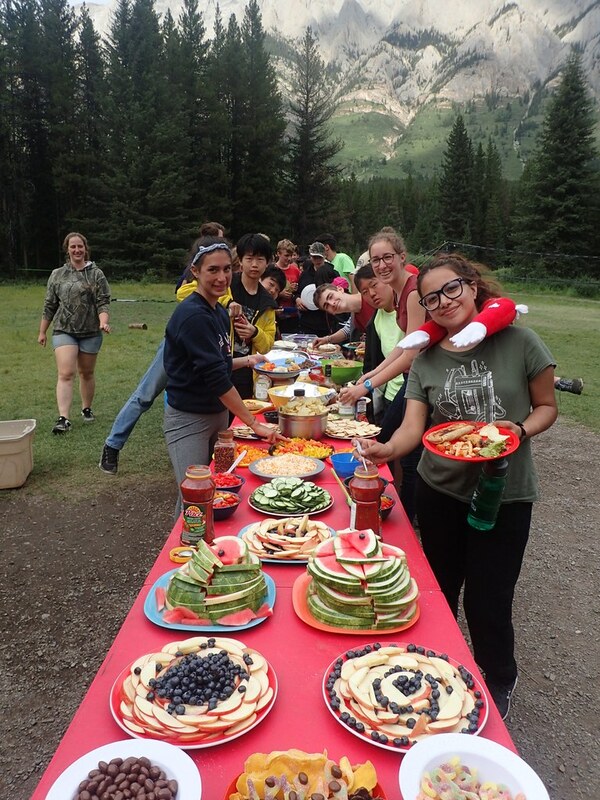 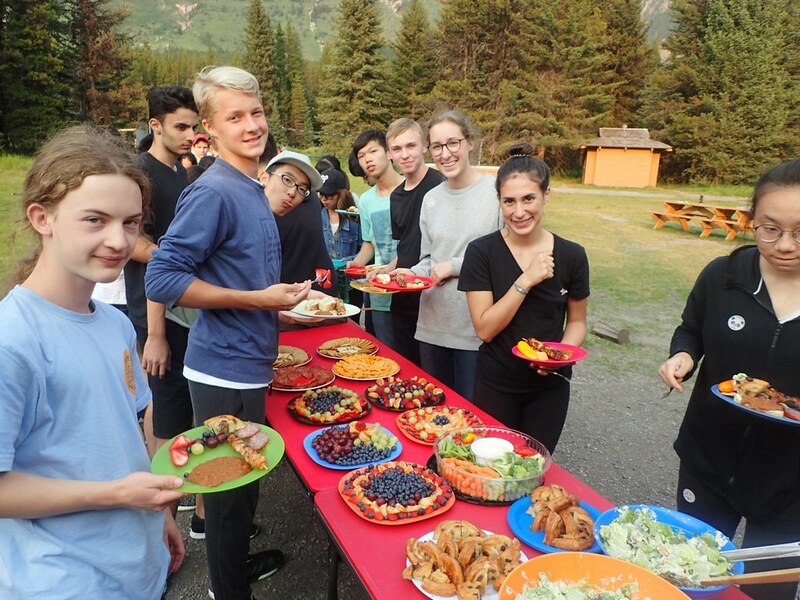 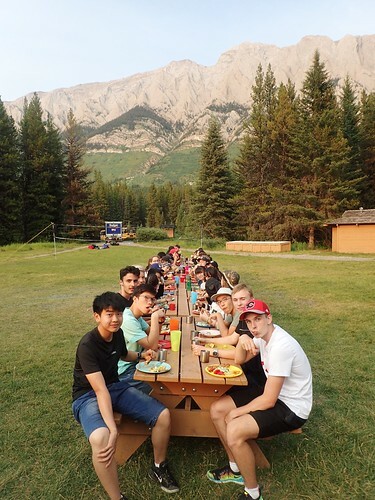 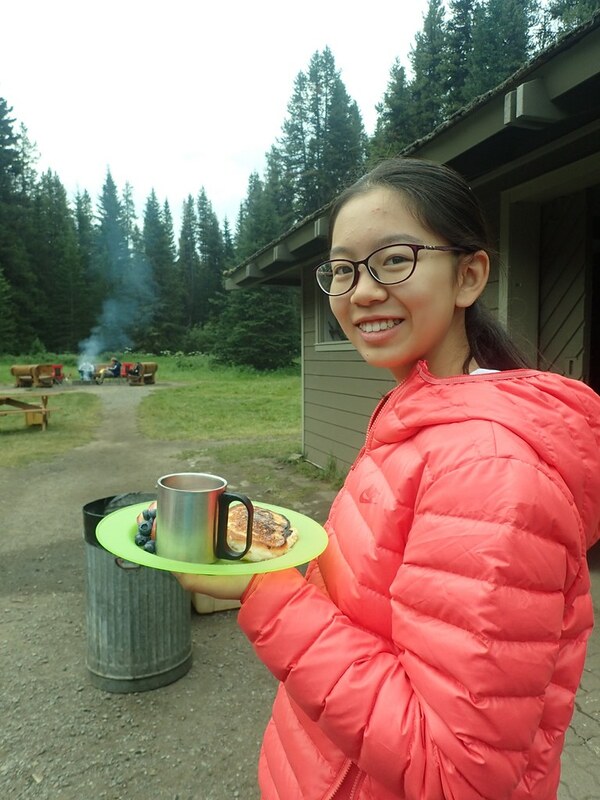 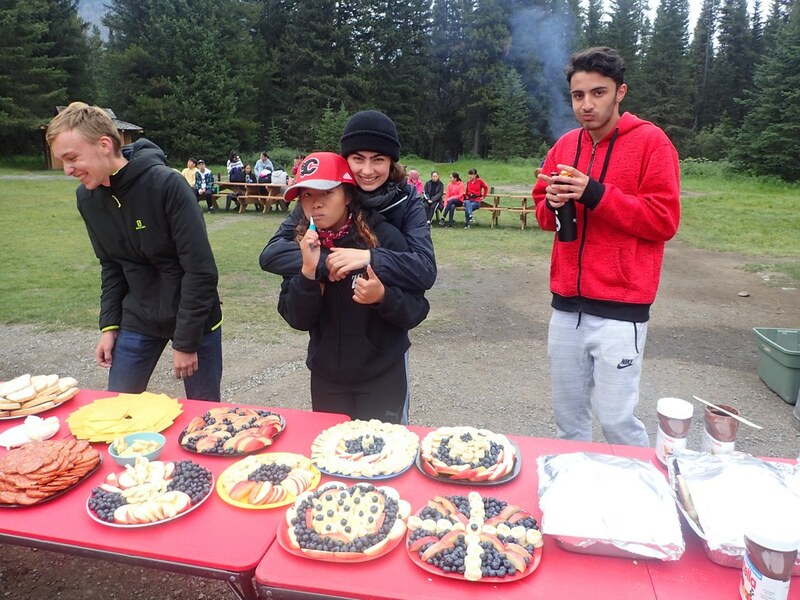 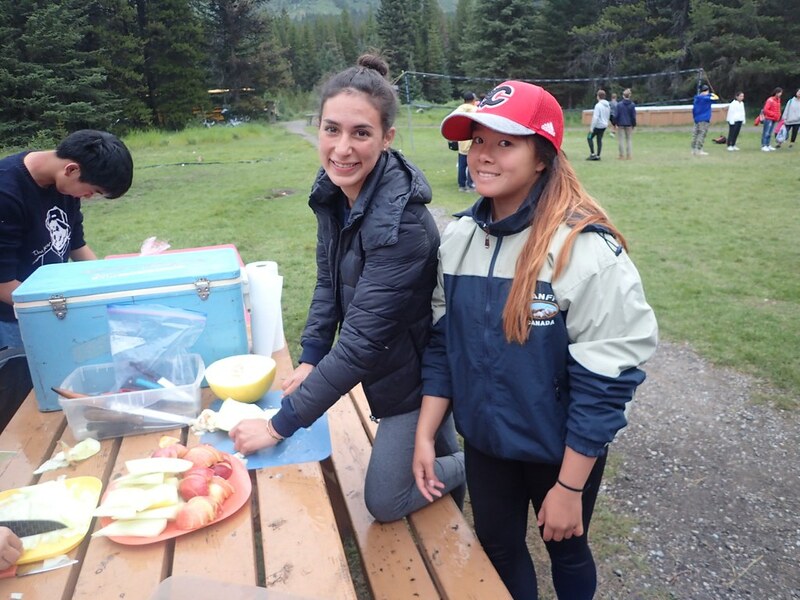 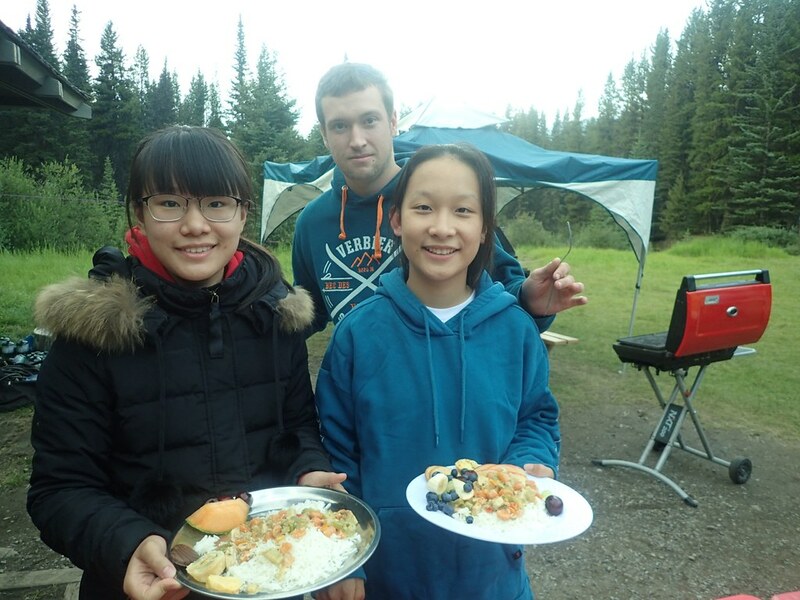 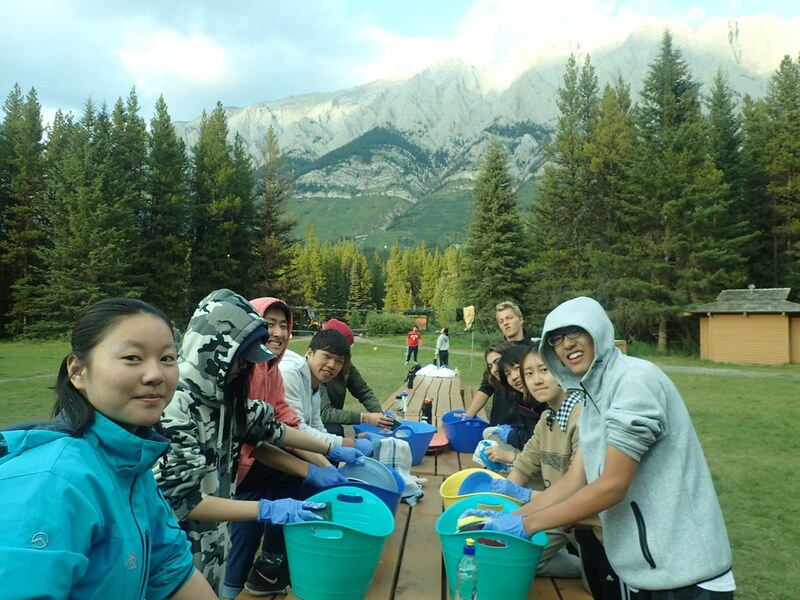 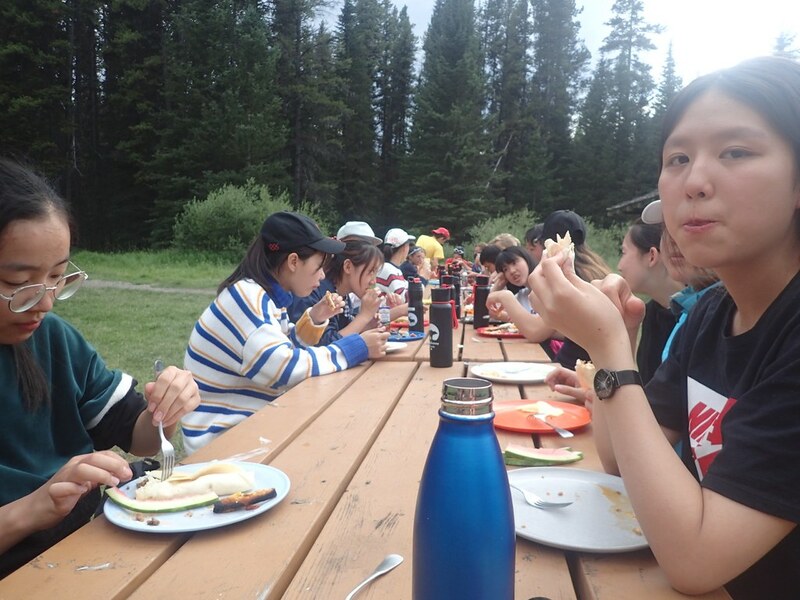 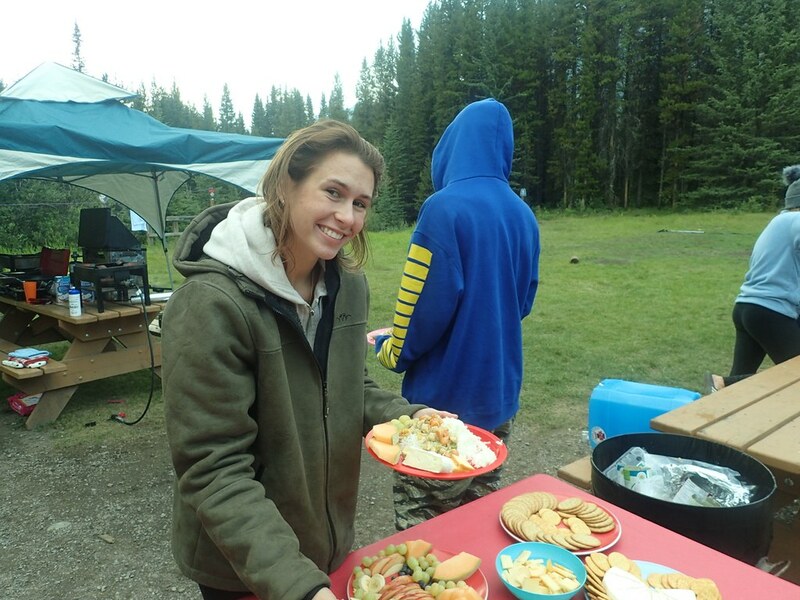 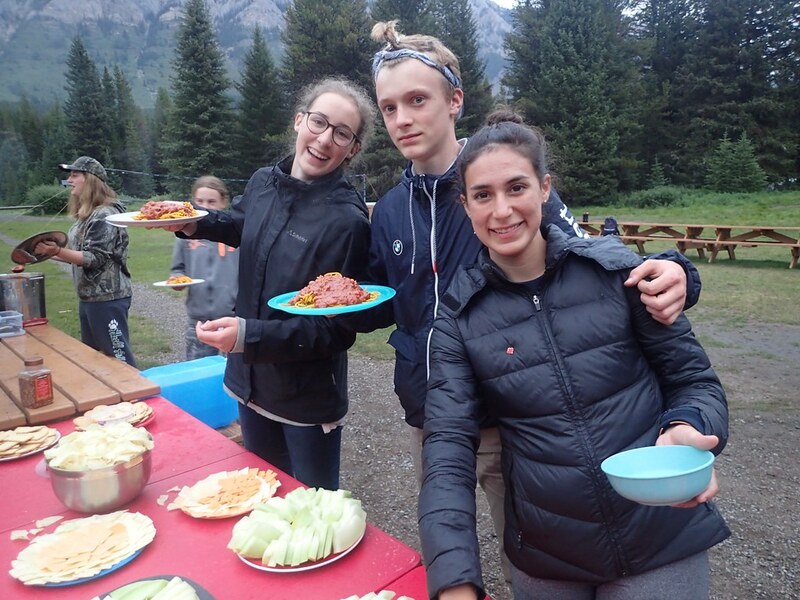 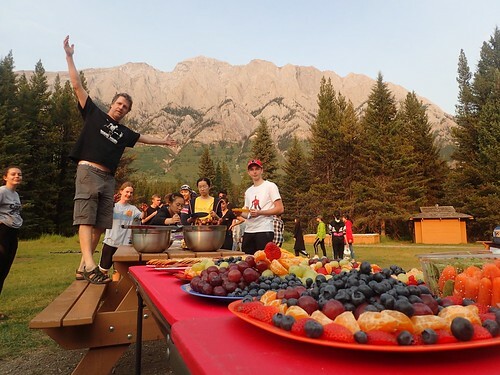 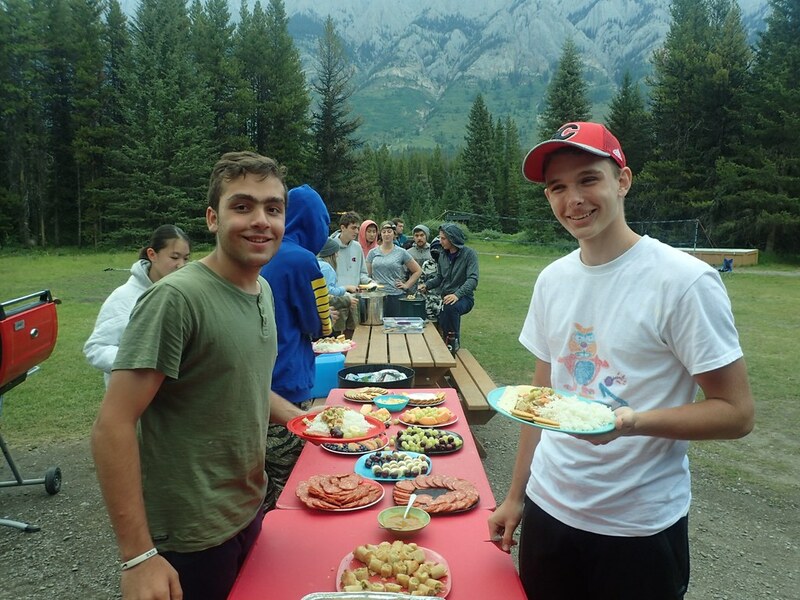 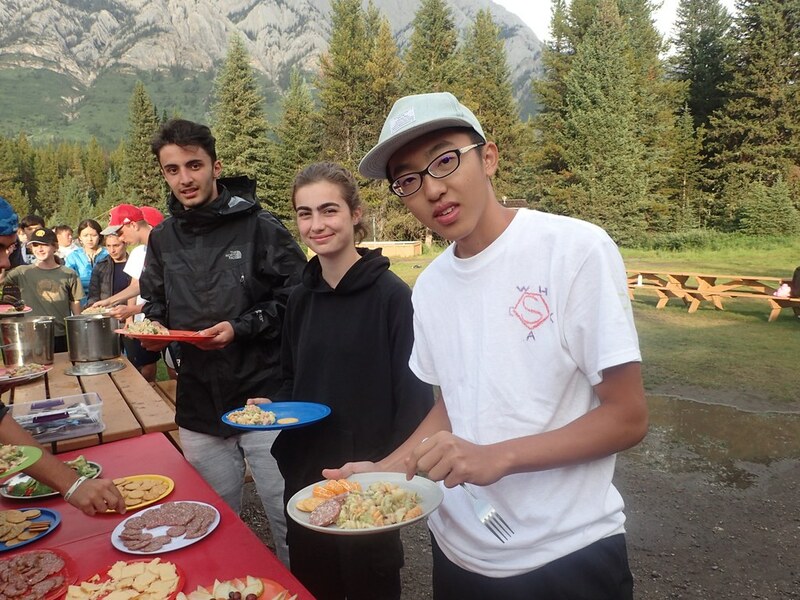 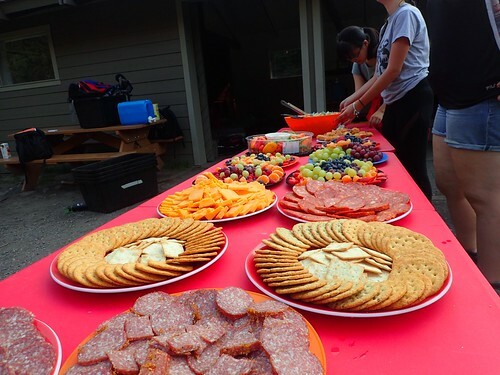 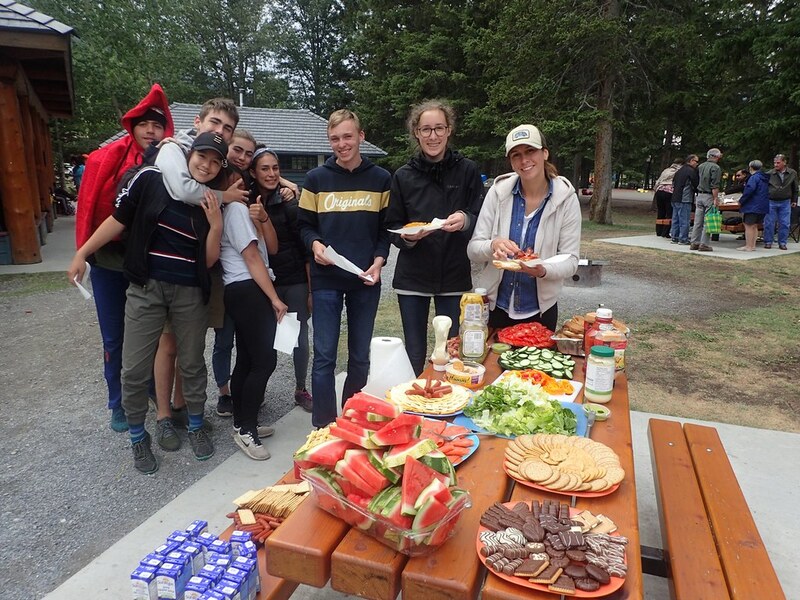 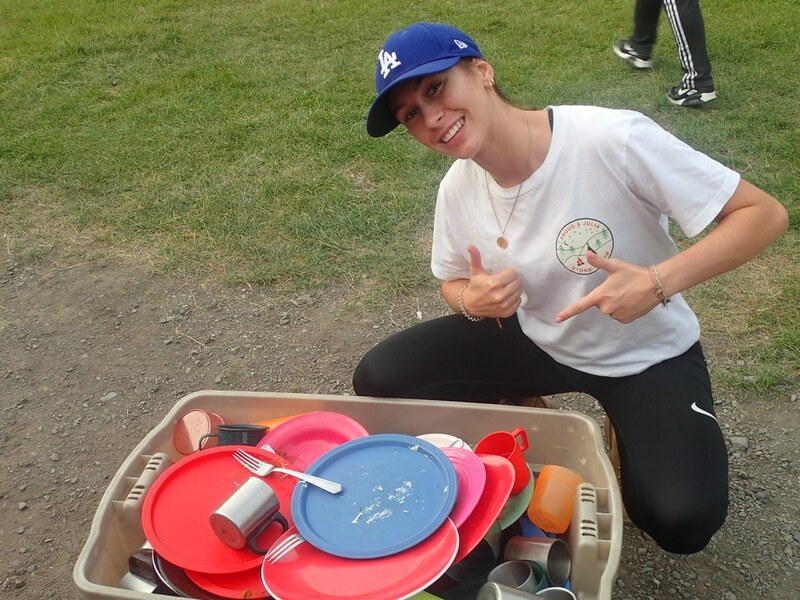 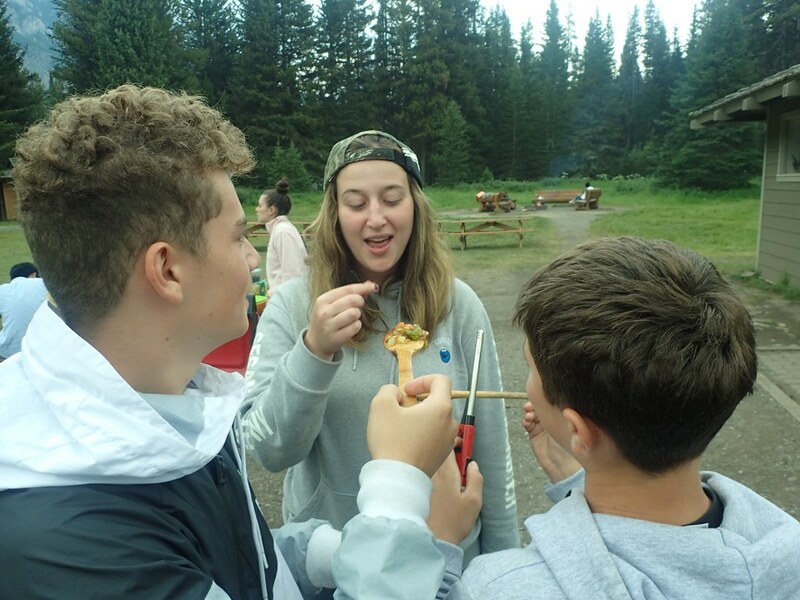 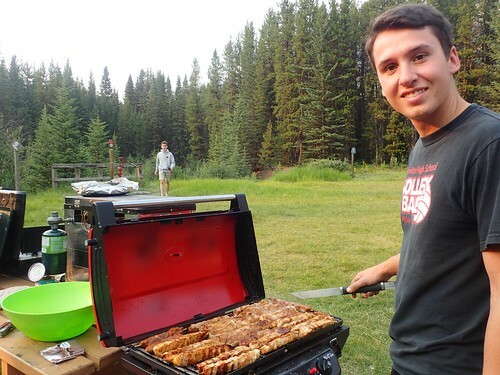 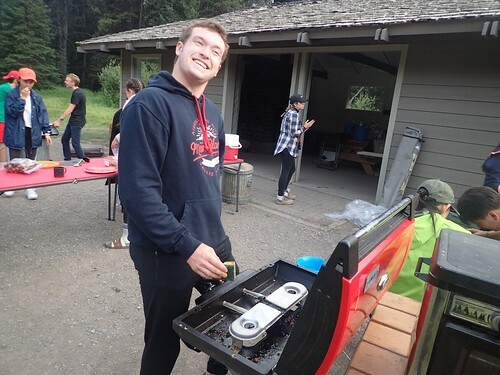 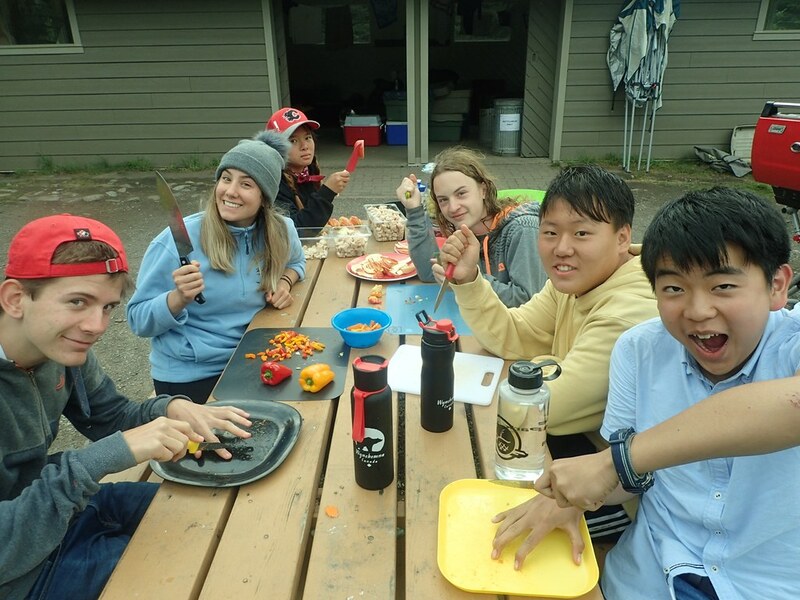 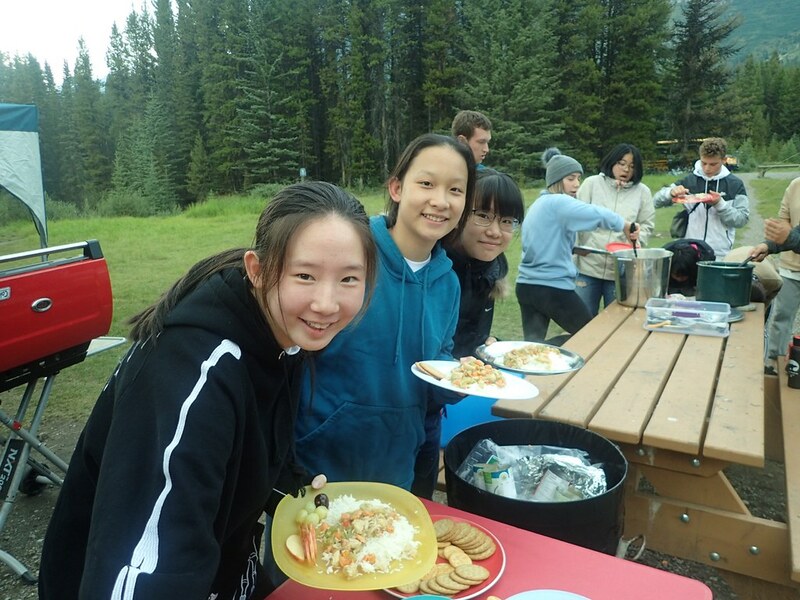 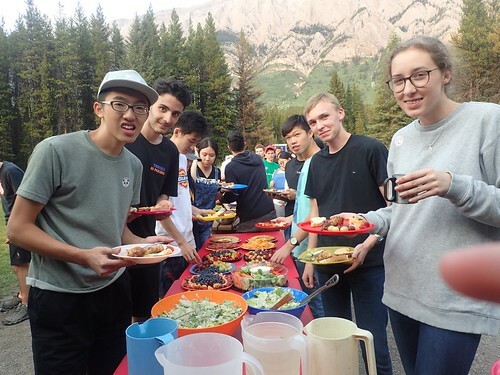 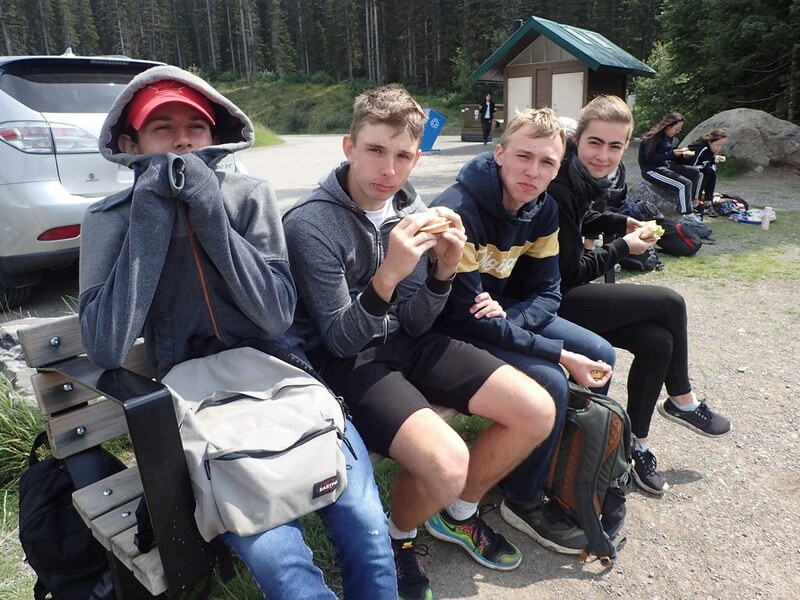 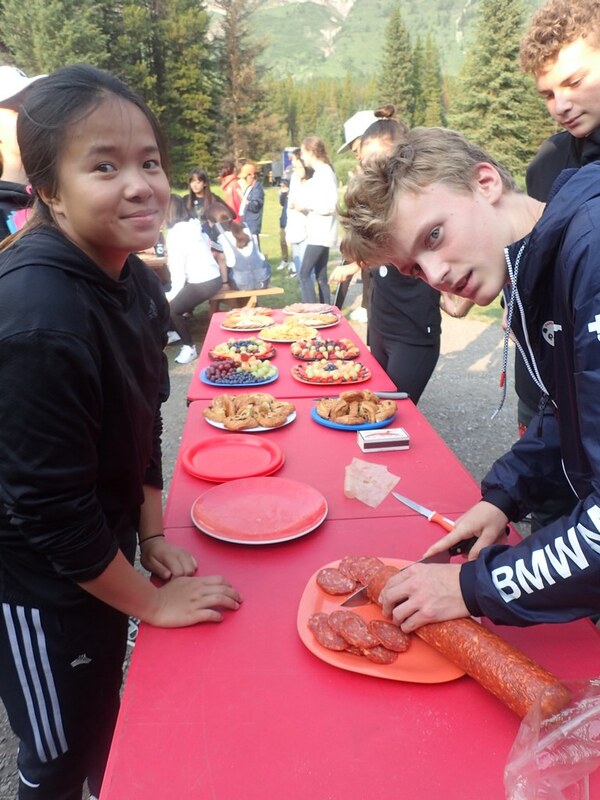 Next, we began to prepare our nutritious supper of chicken souvlaki and a myriad of fruits, veggies, and gourmet appetizer trays, everyone helped out with cooking and cleaning and all the team effort made camp cooking a real blast! 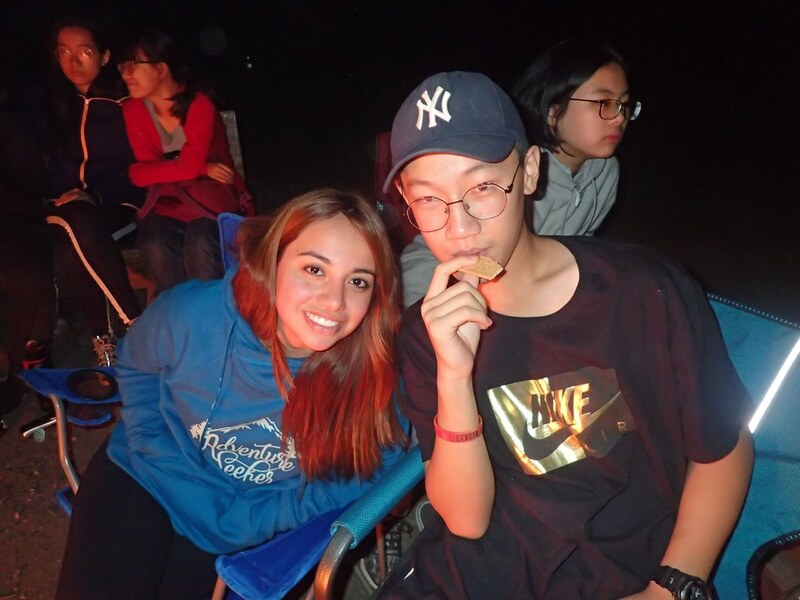 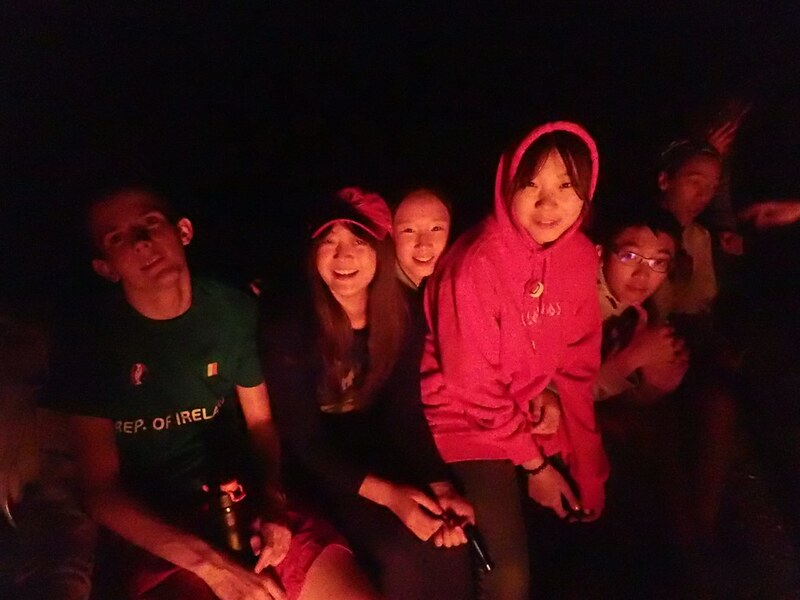 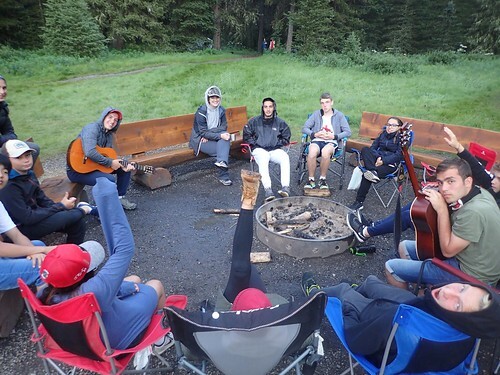 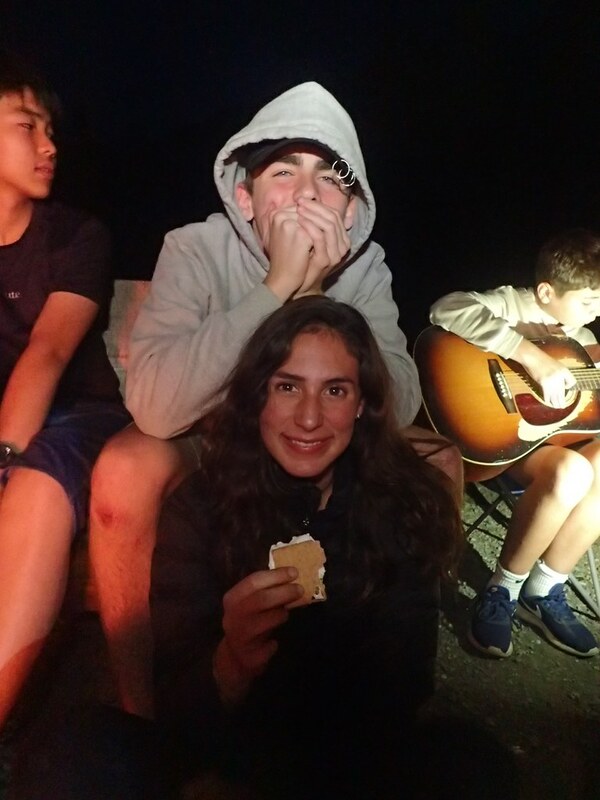 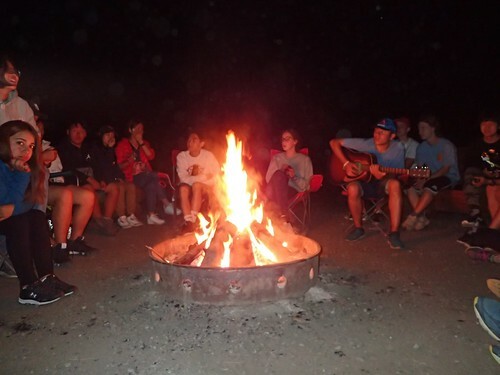 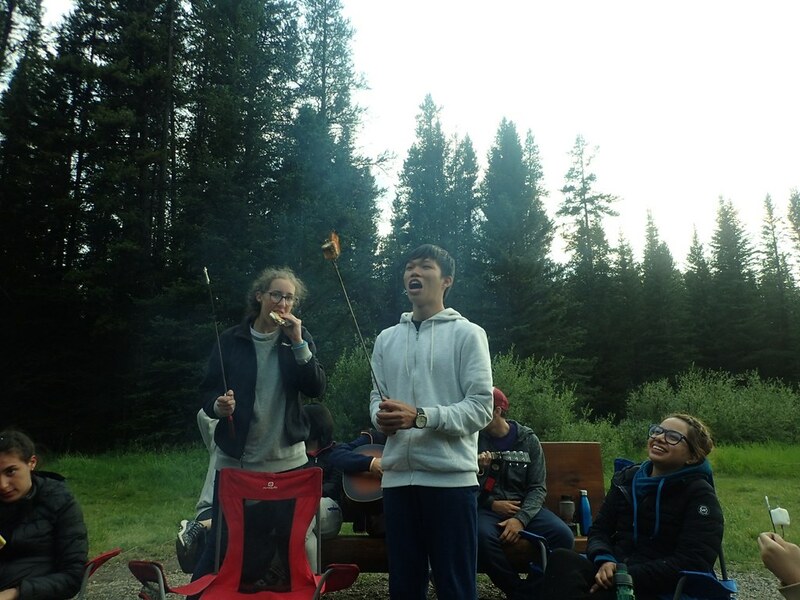 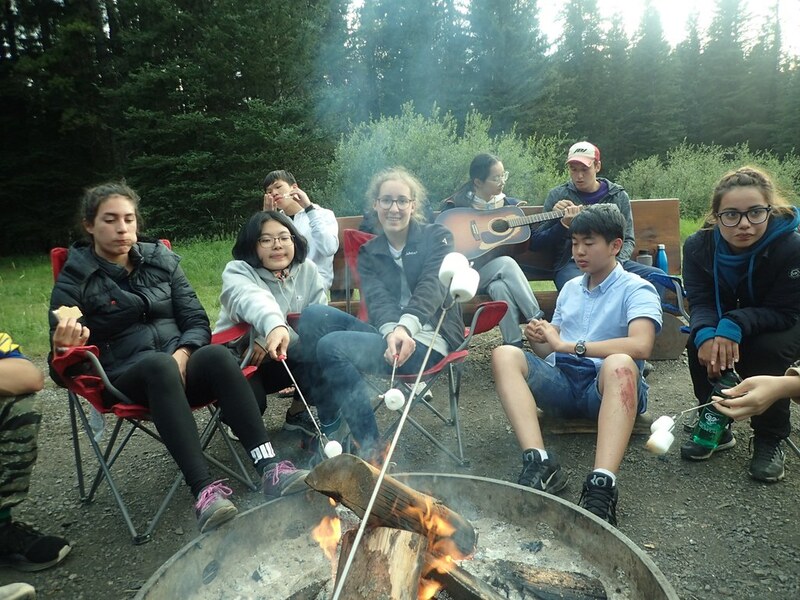 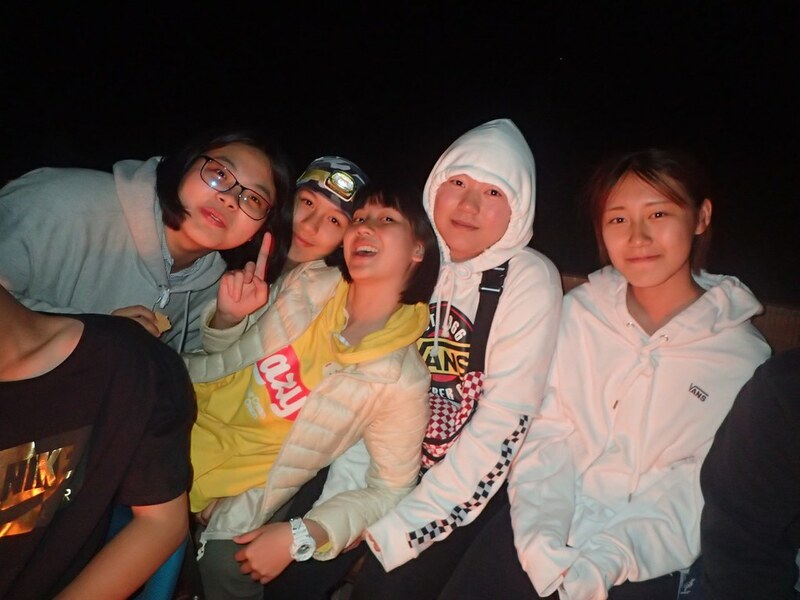 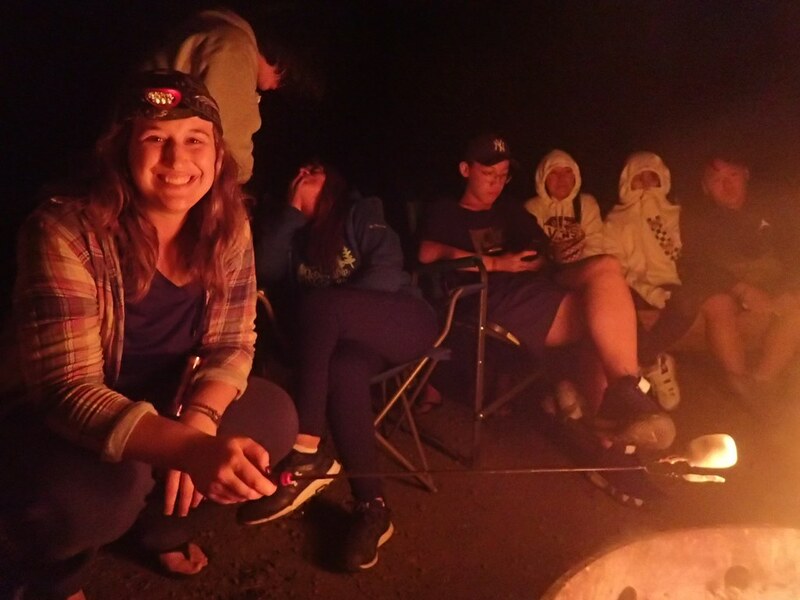 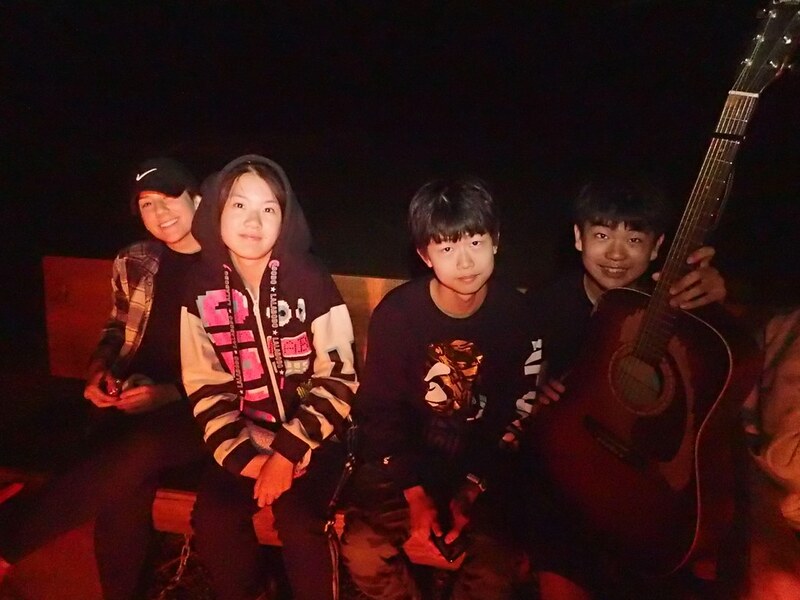 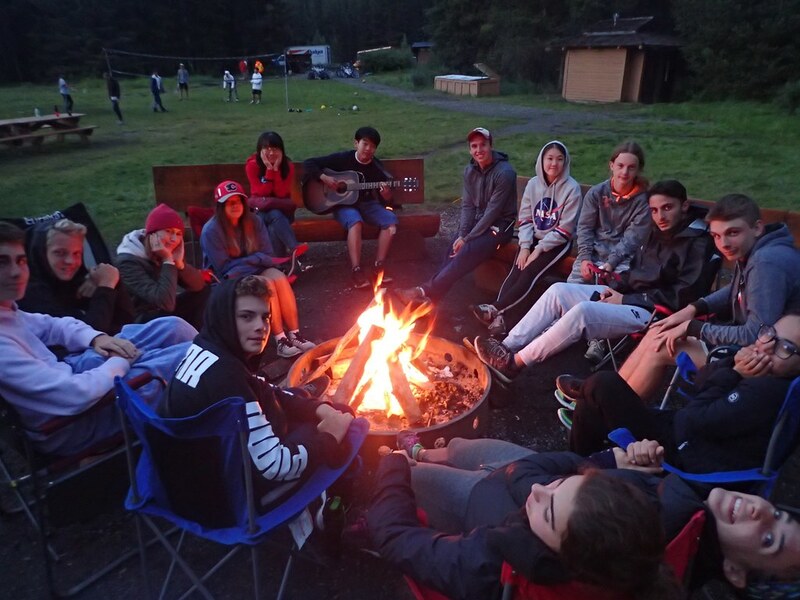 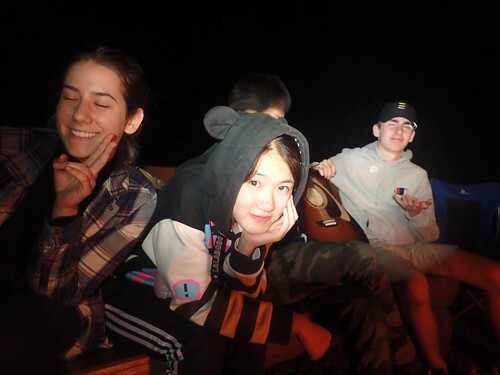 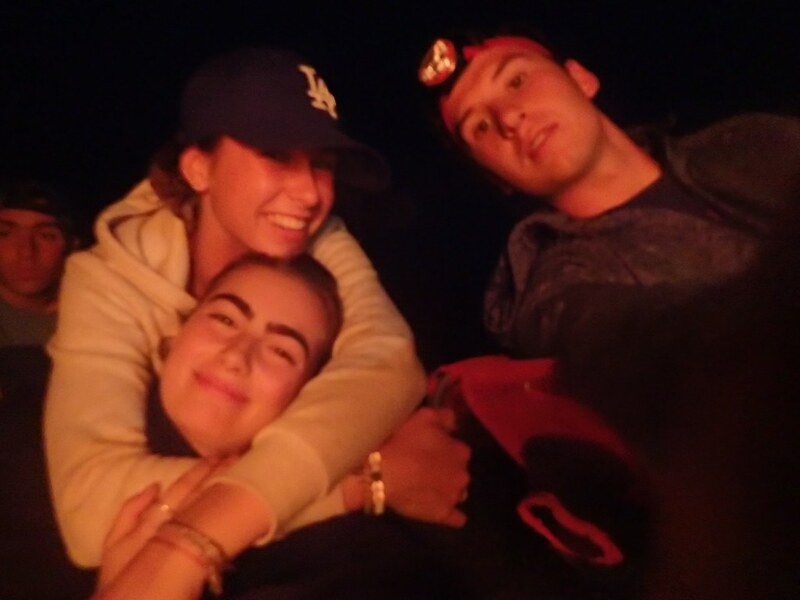 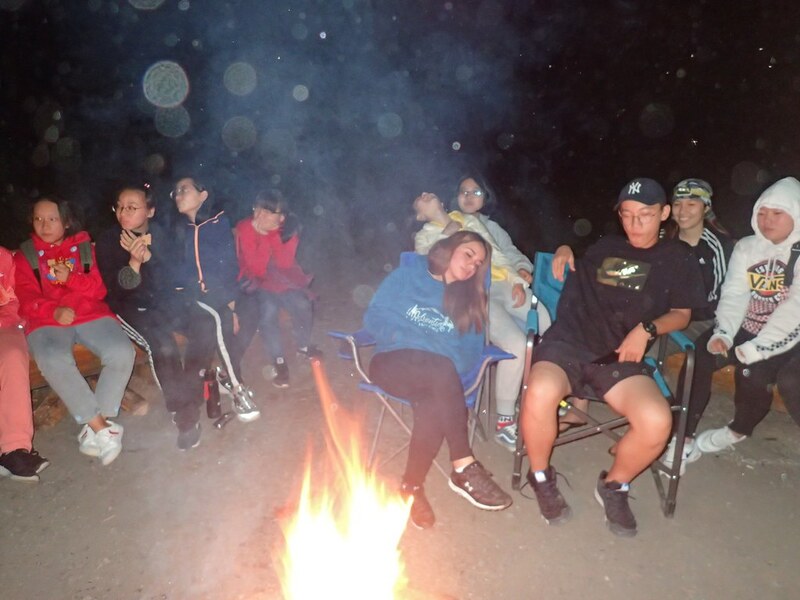 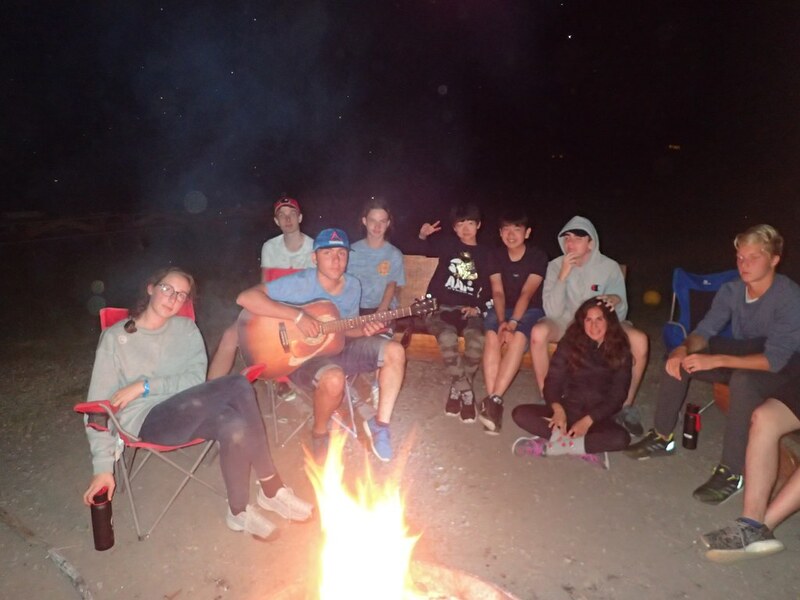 We capped off our first camping night with everyone getting warm around the campfire, singing songs, roasting marshmallows and gazing at the stars. 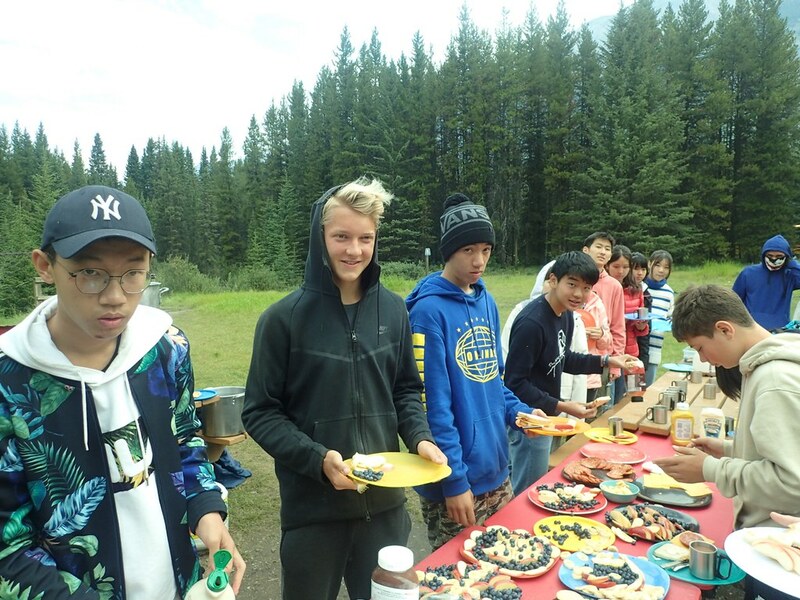 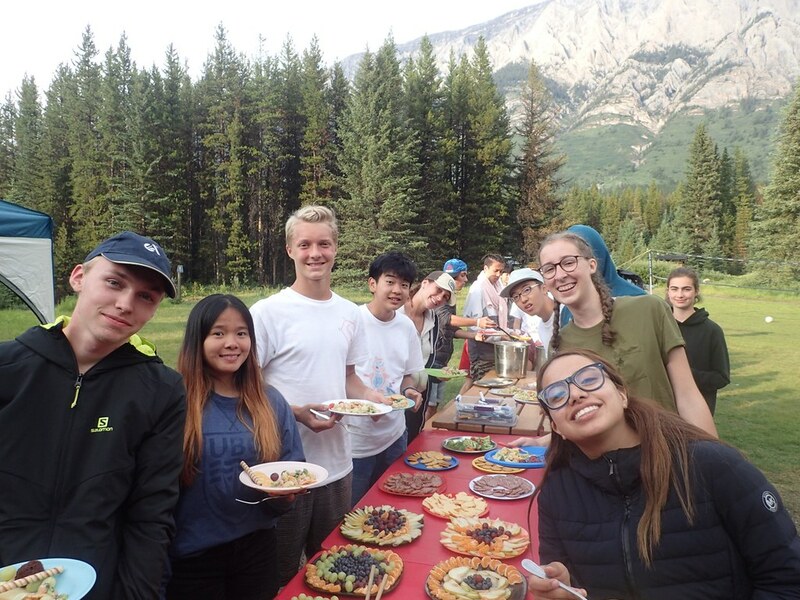 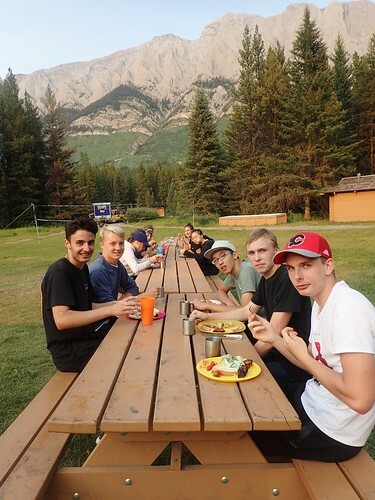 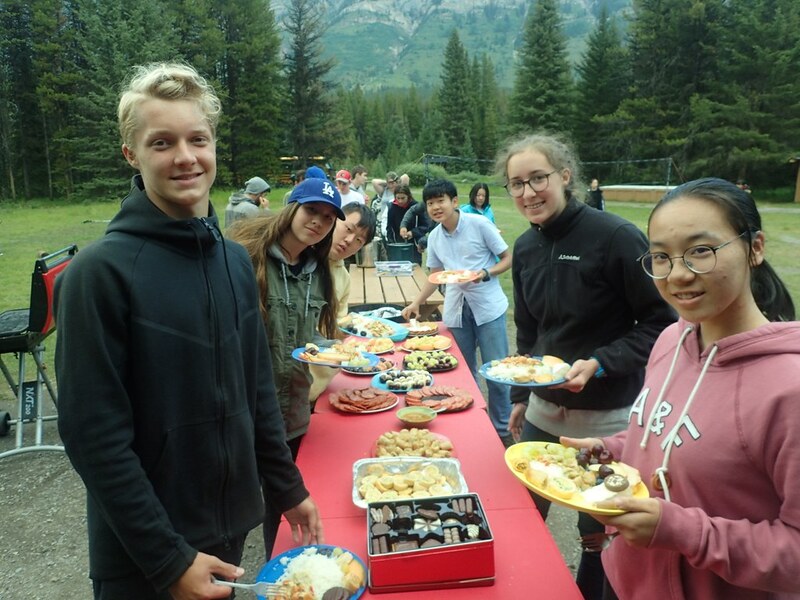 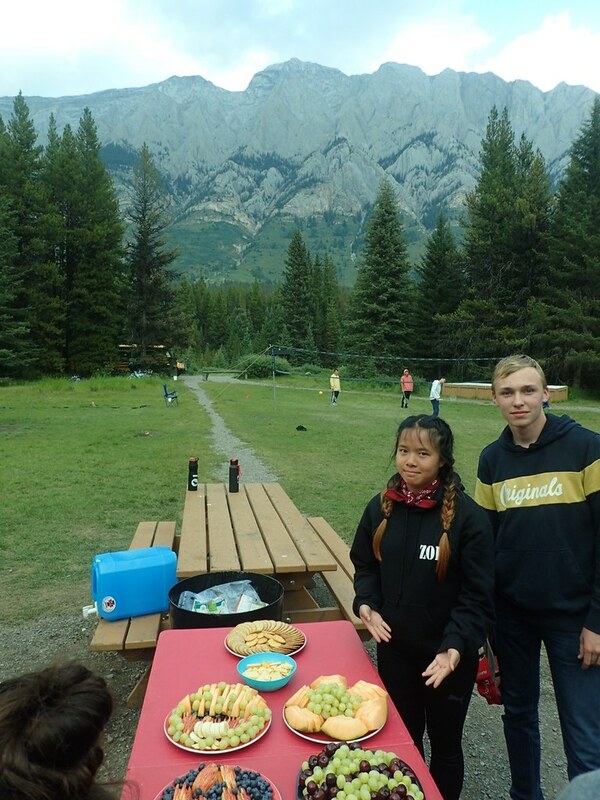 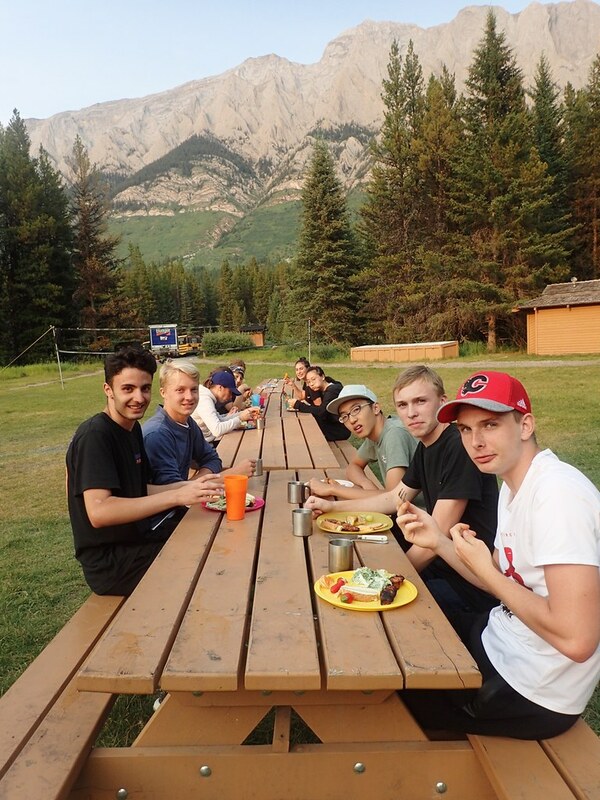 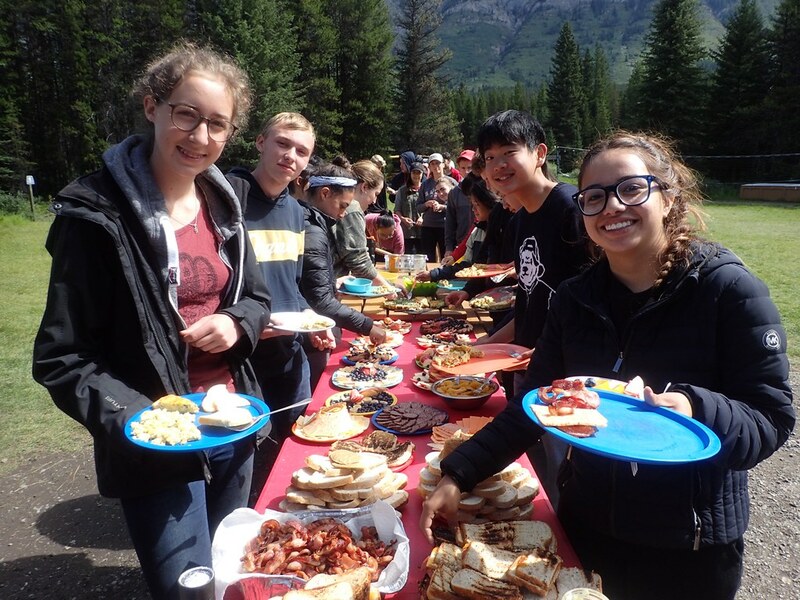 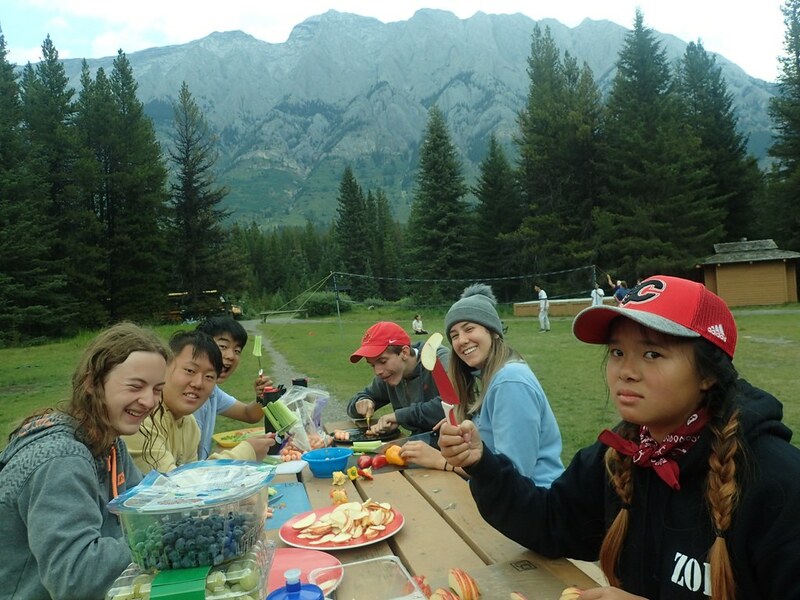 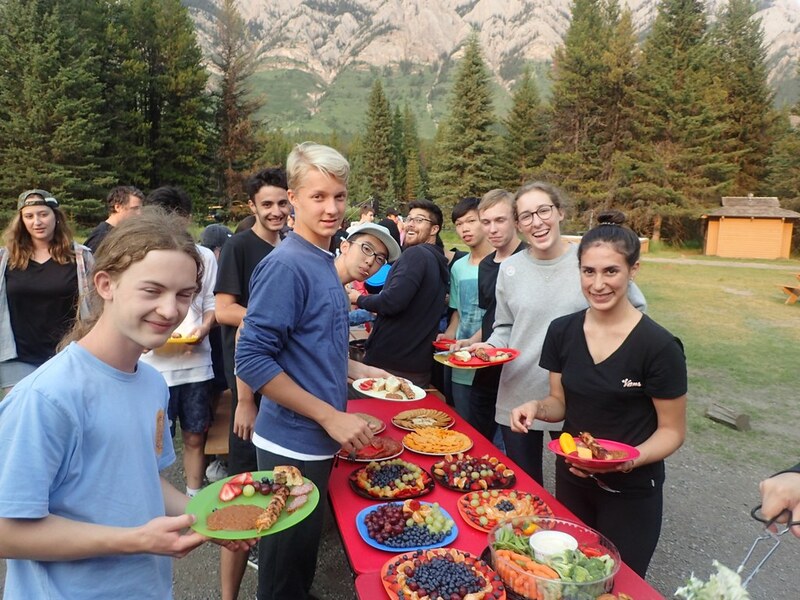 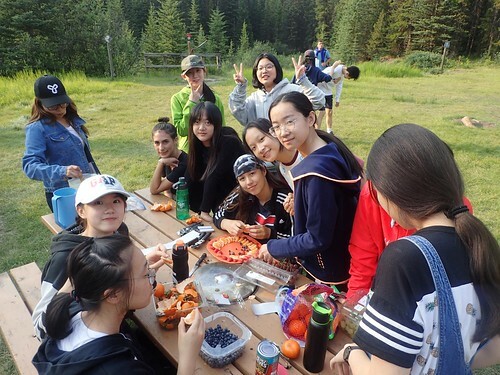 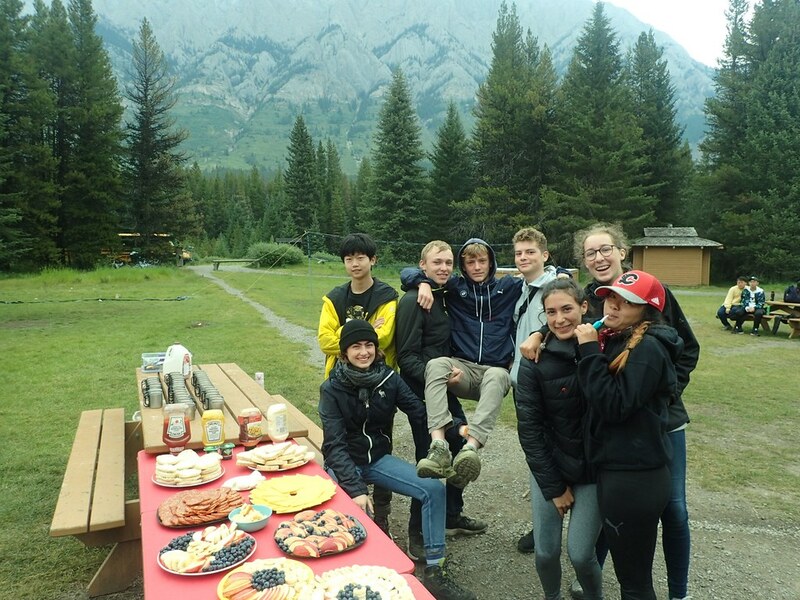 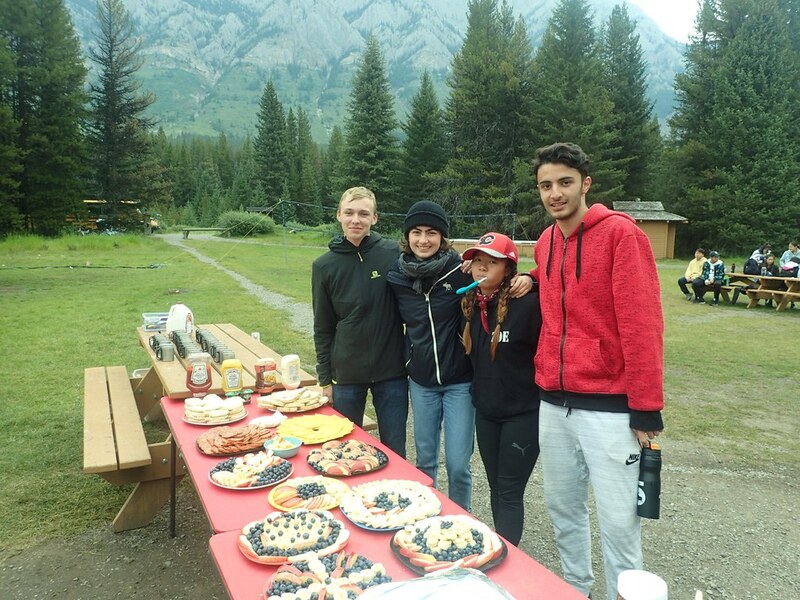 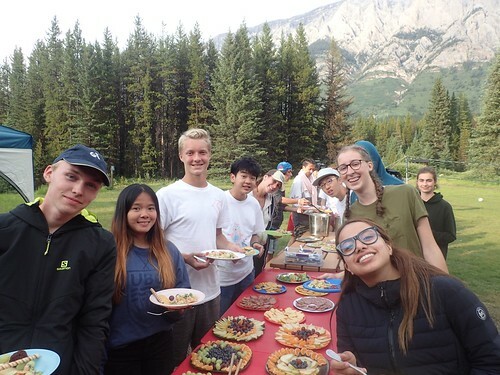 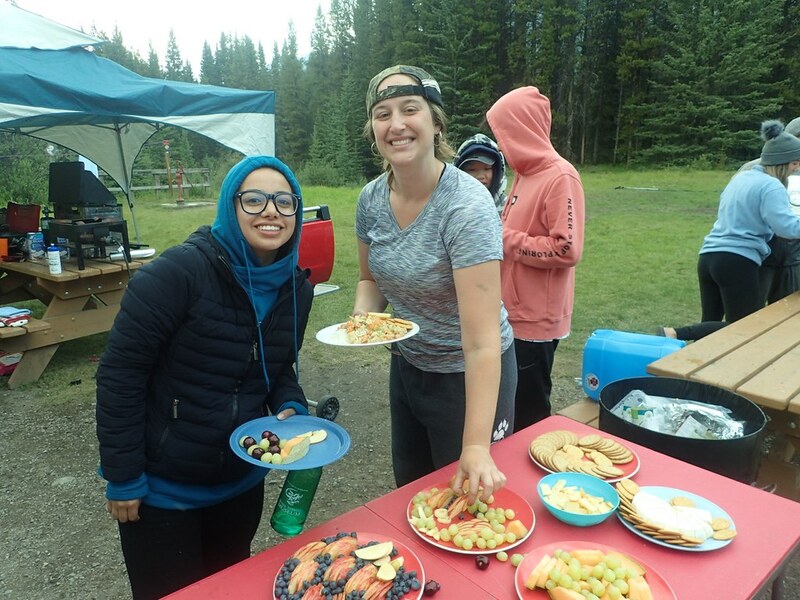 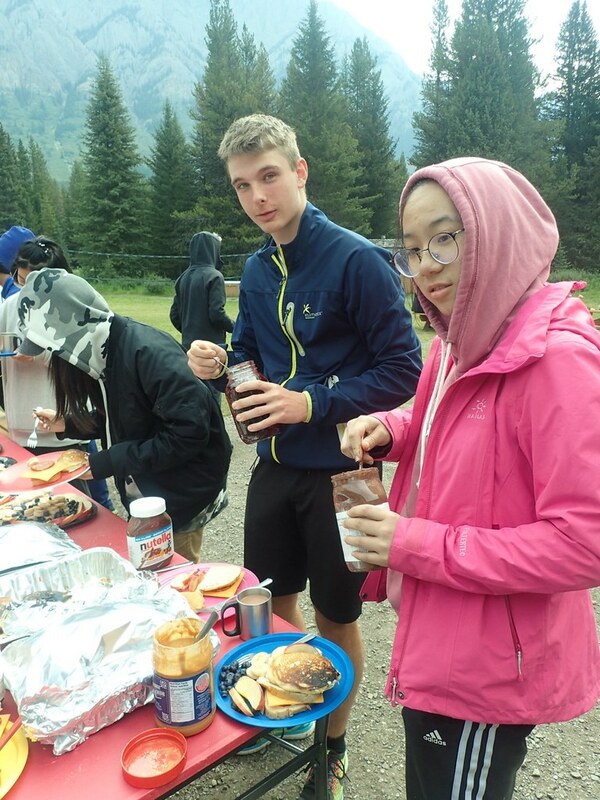 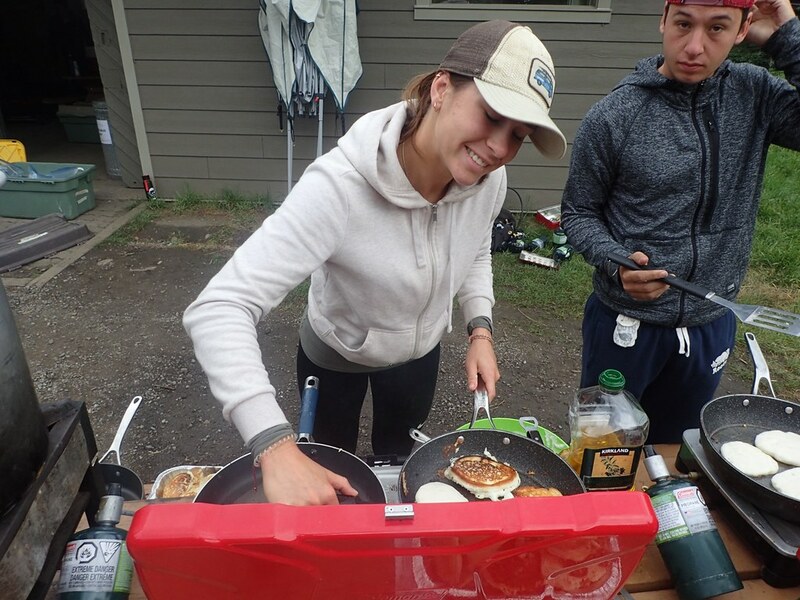 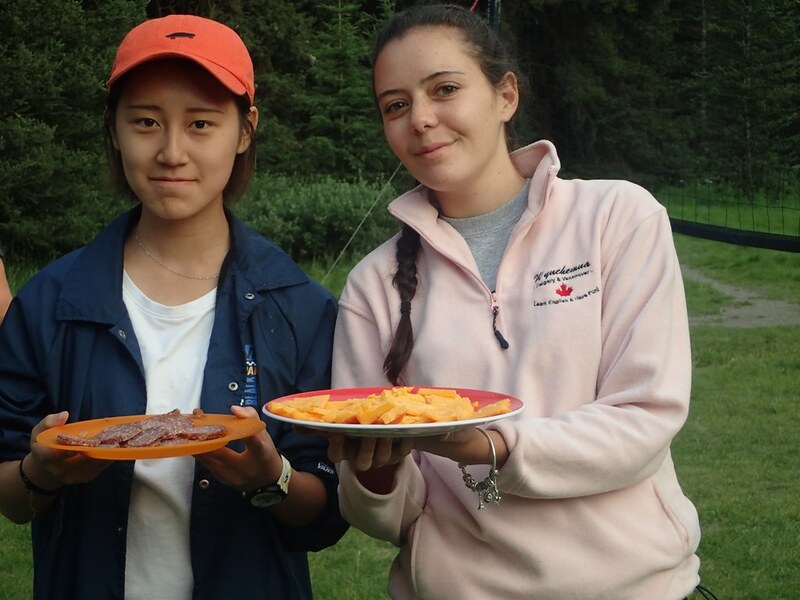 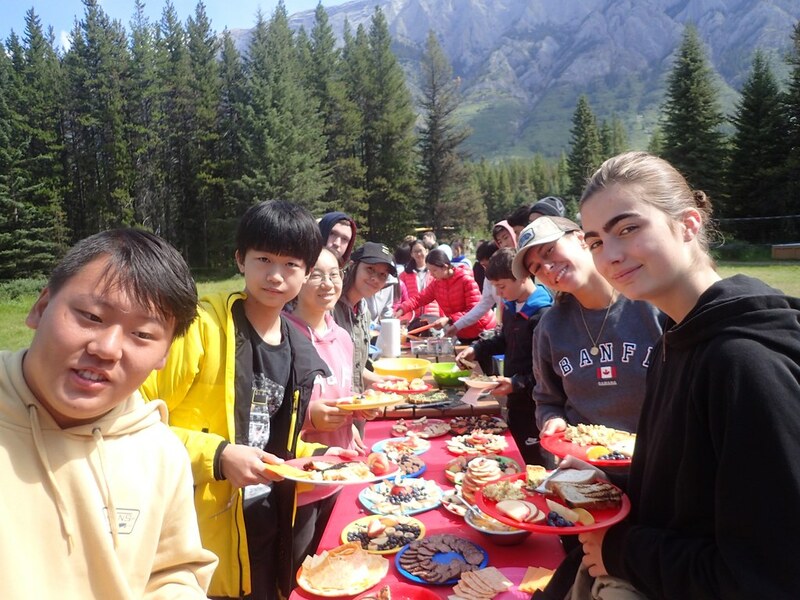 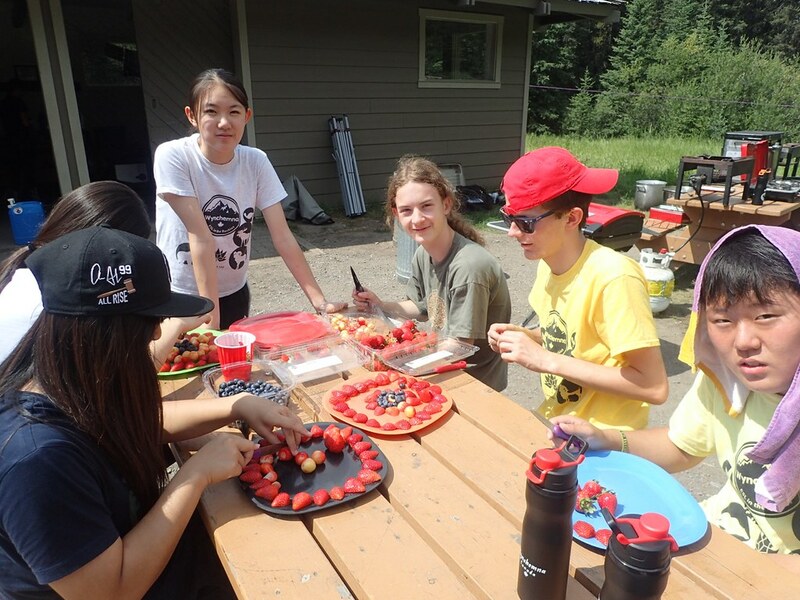 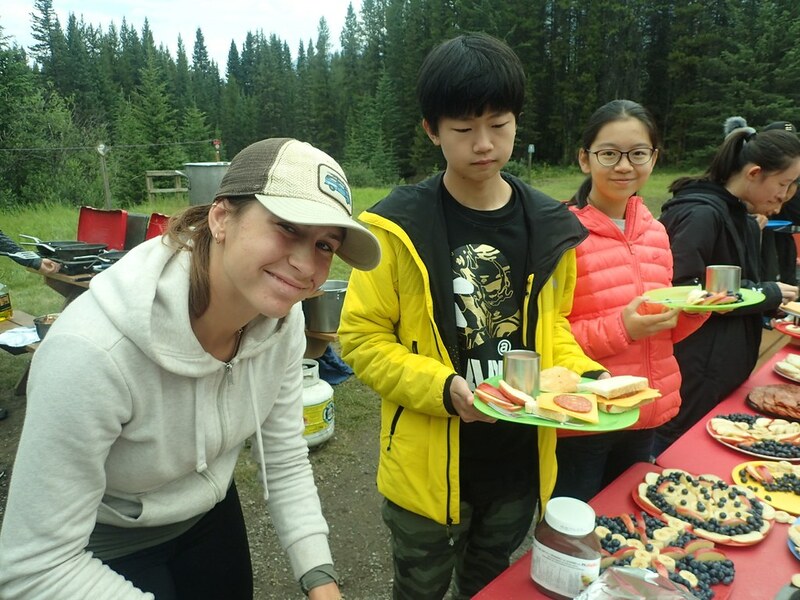 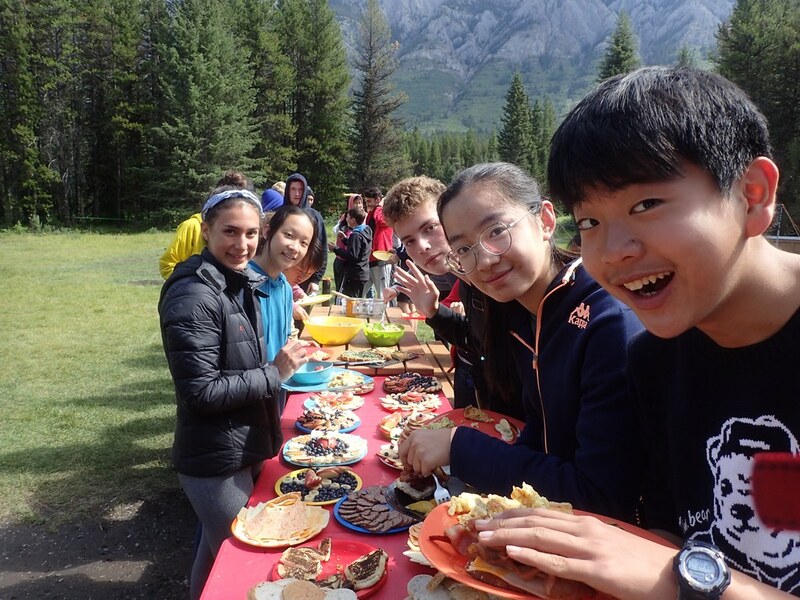 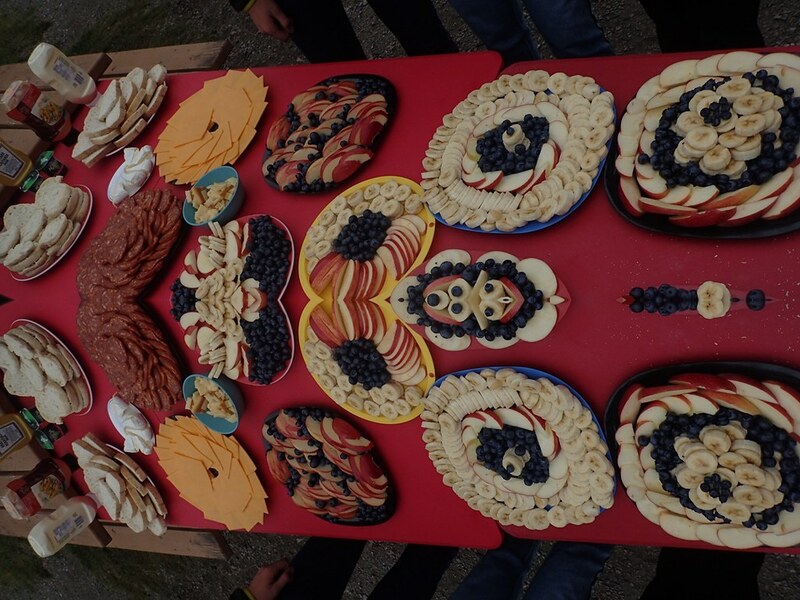 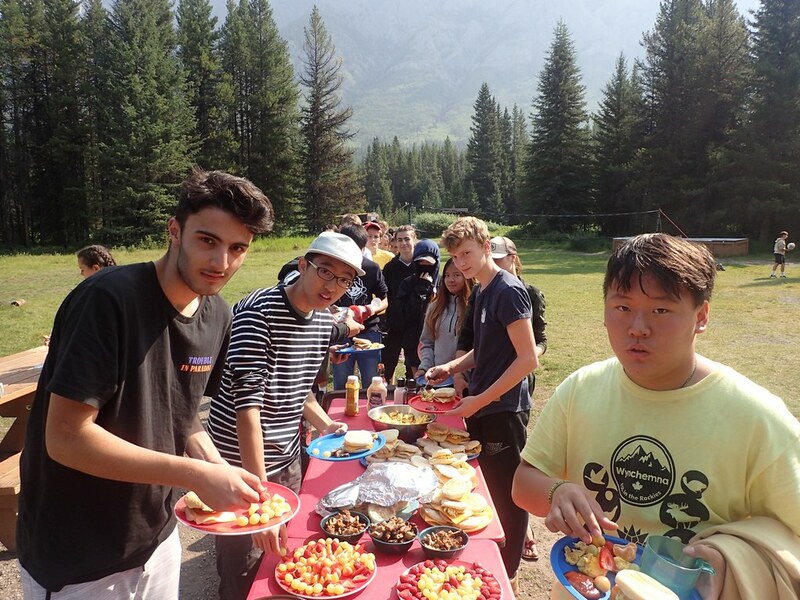 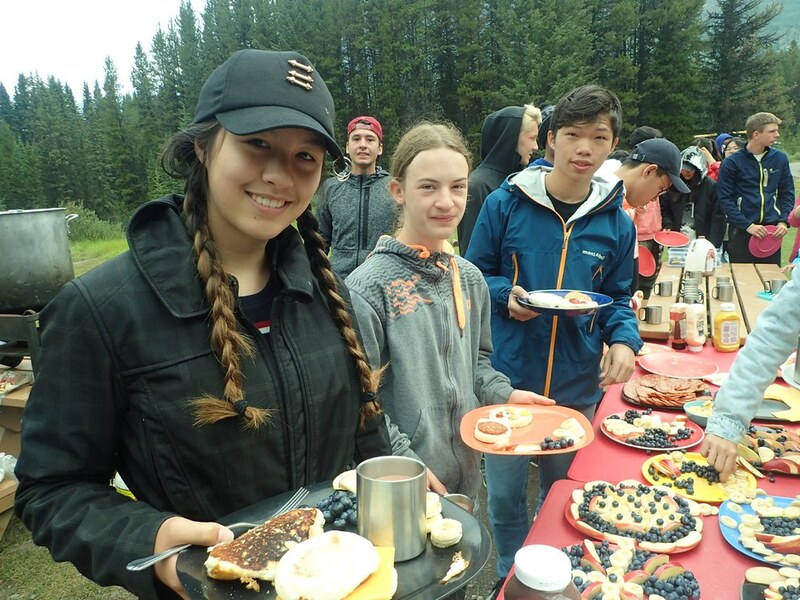 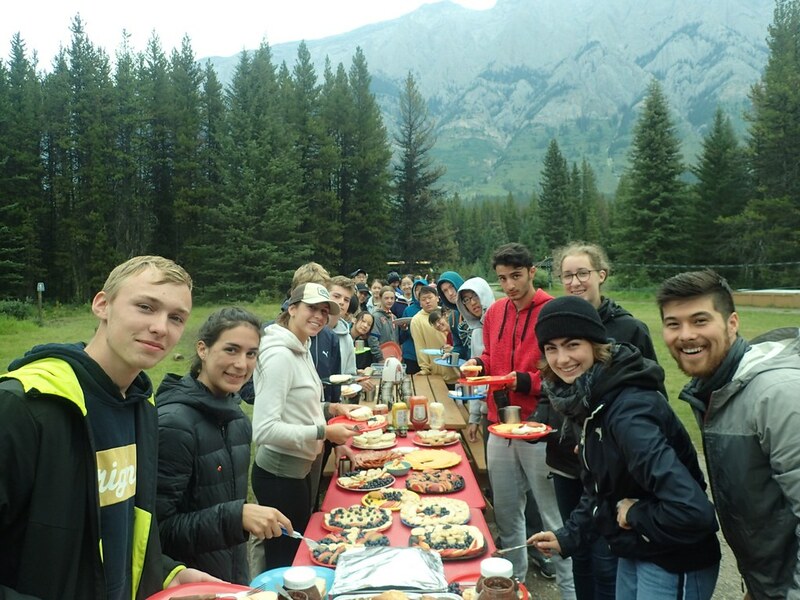 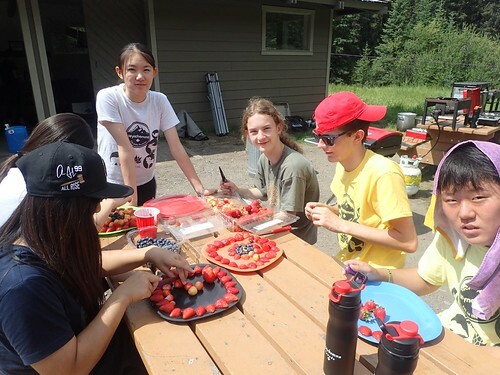 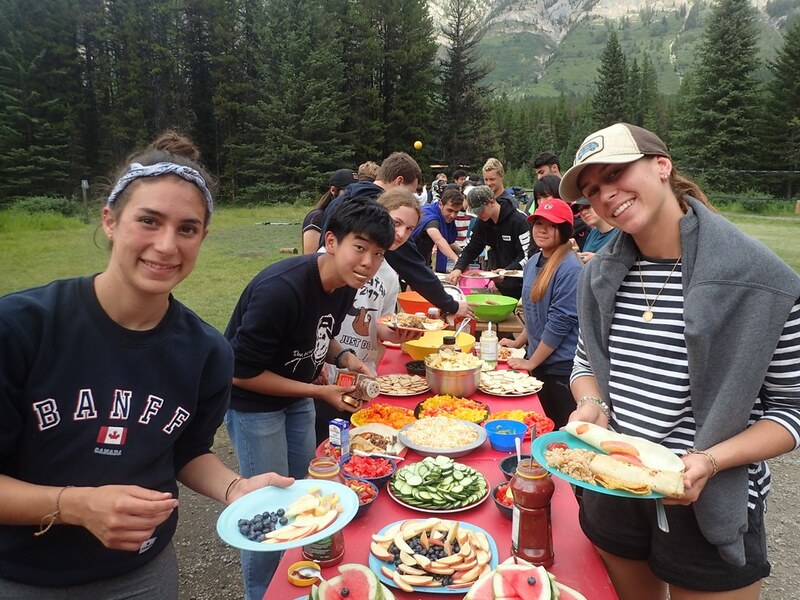 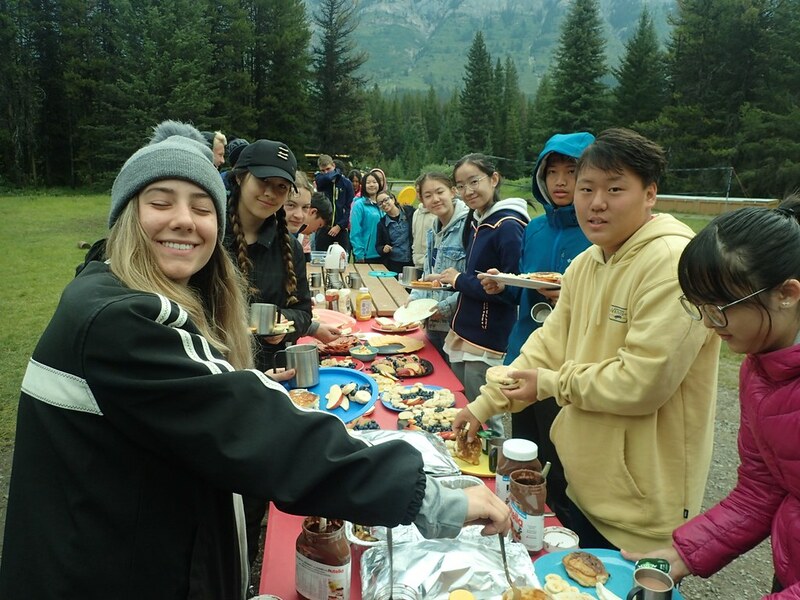 After an exciting night for the porcupines (as most of them slept in tents for the first time), the day started off with another team-made nutritious and delicious breakfast of English muffins with some beautifully arranged fruit! 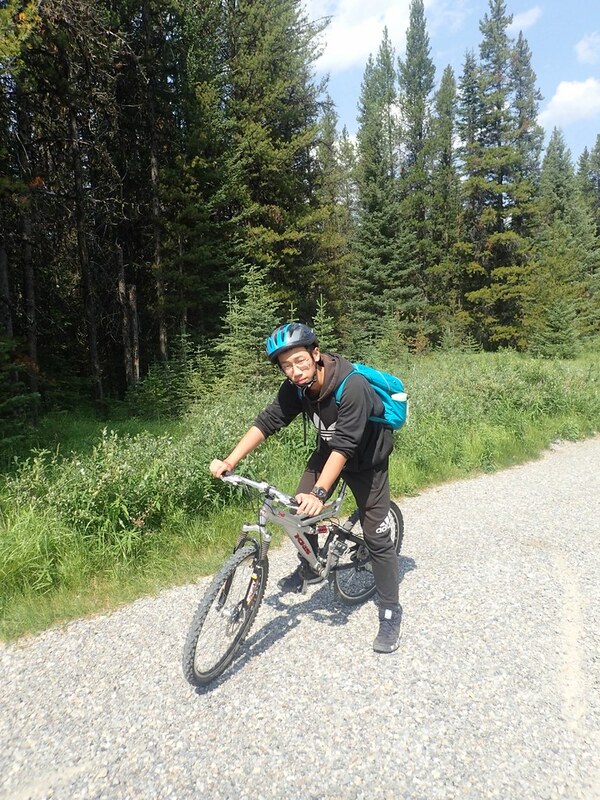 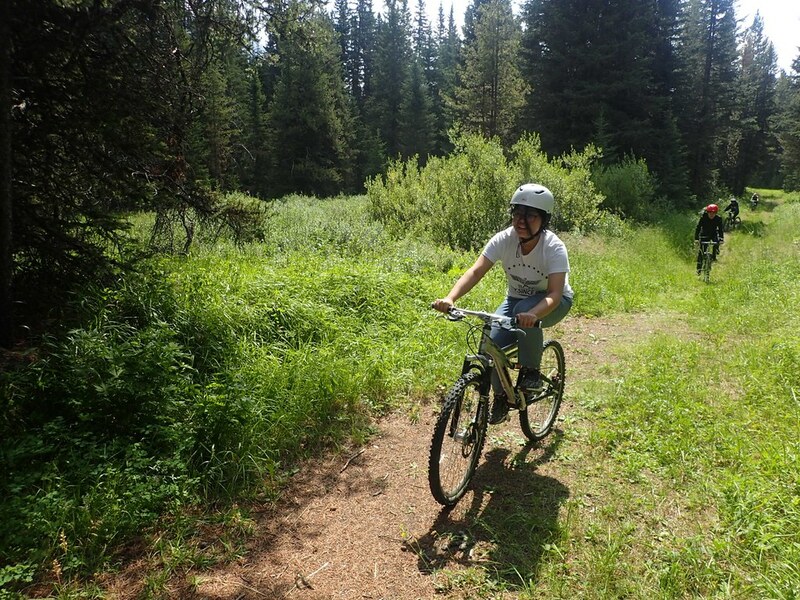 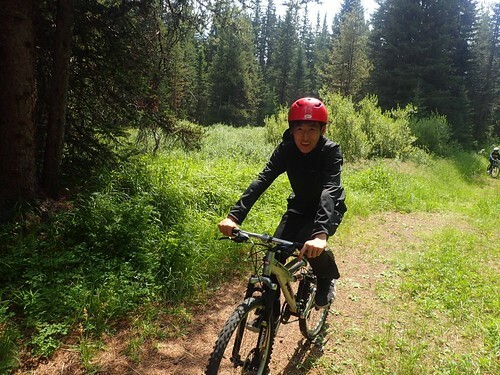 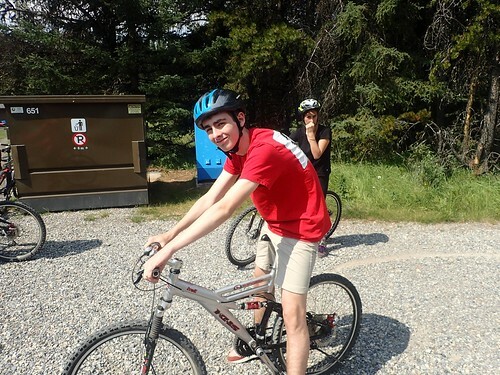 Next up was a mountain biking adventure down some exciting trails. 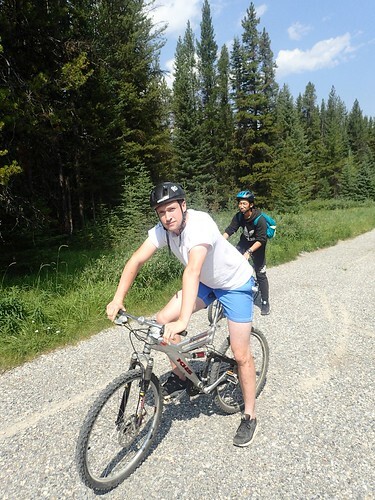 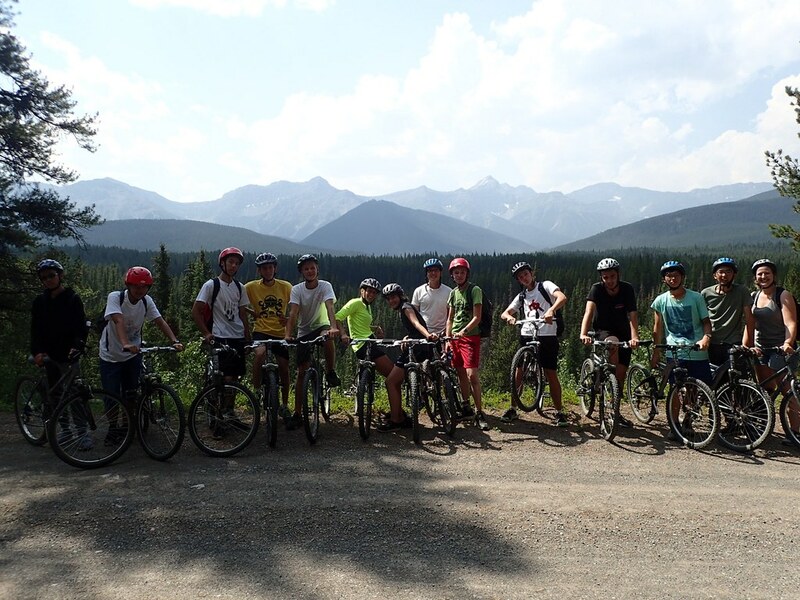 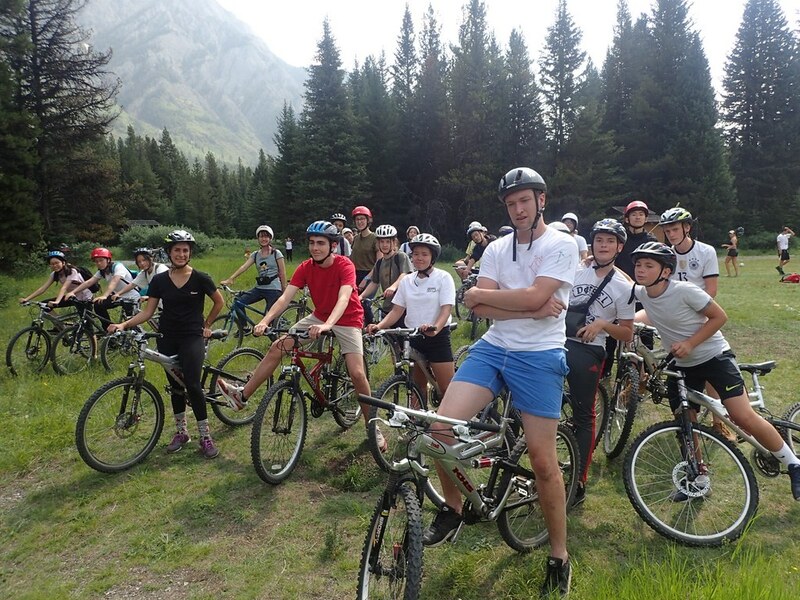 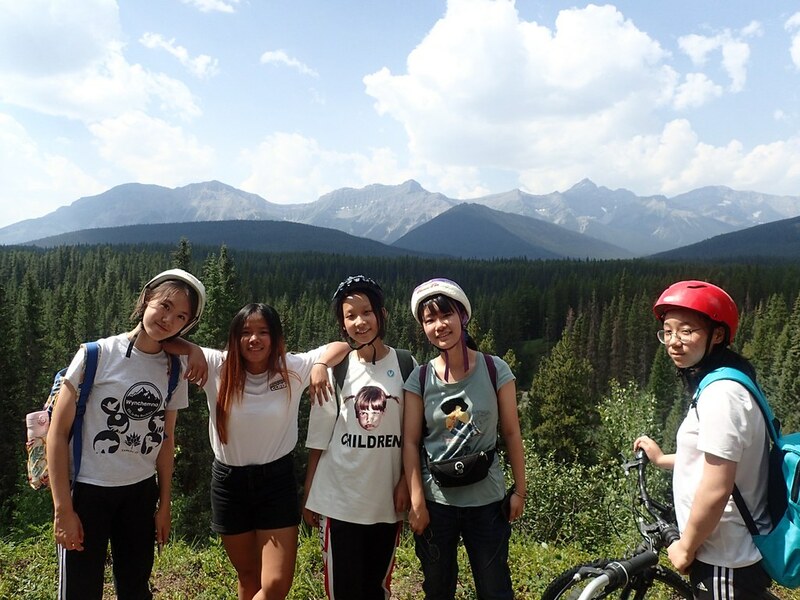 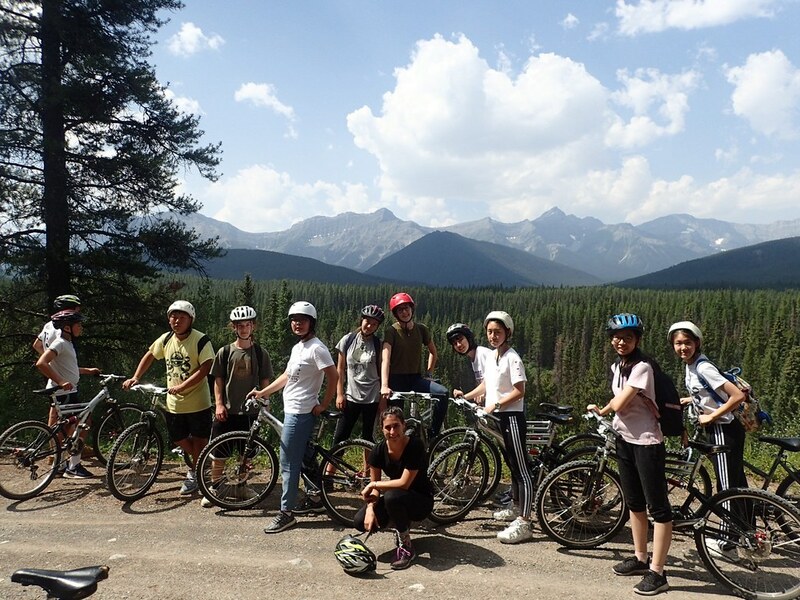 The views were amazing, and the mountain biking was a challenge that the porcupines accepted with determination. 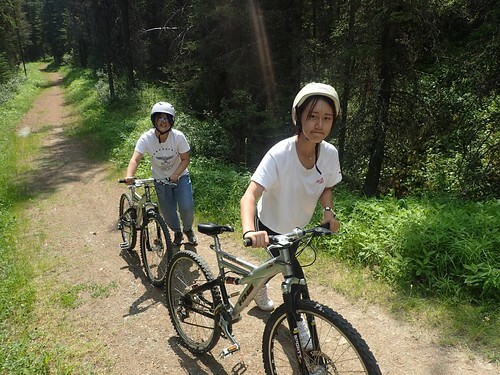 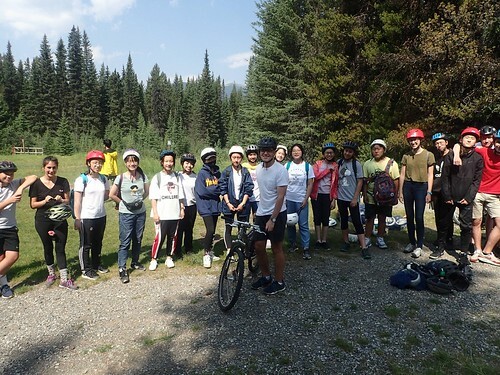 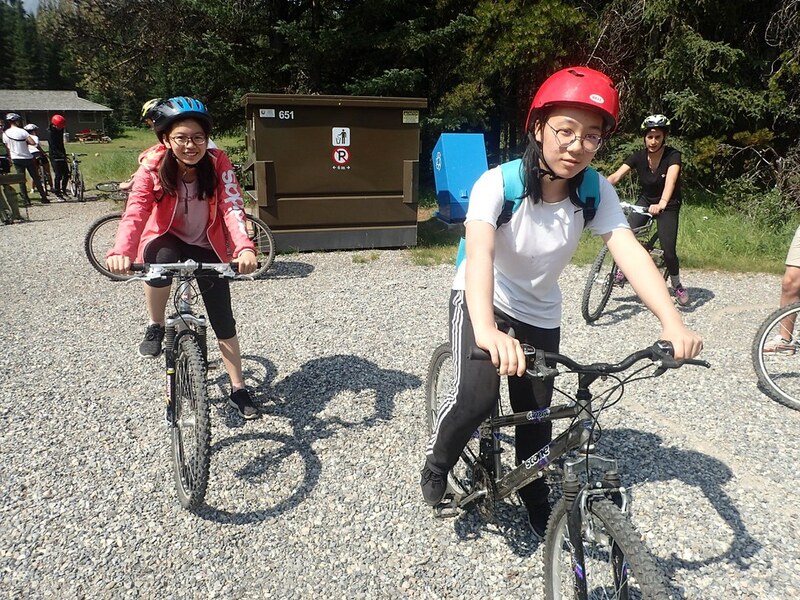 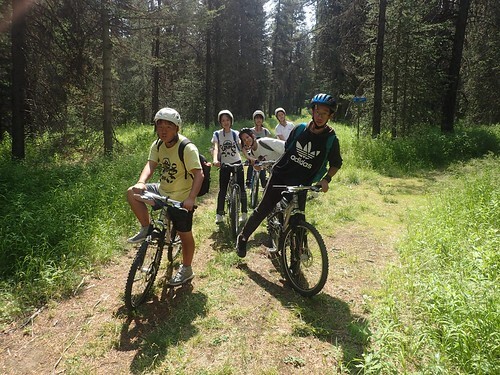 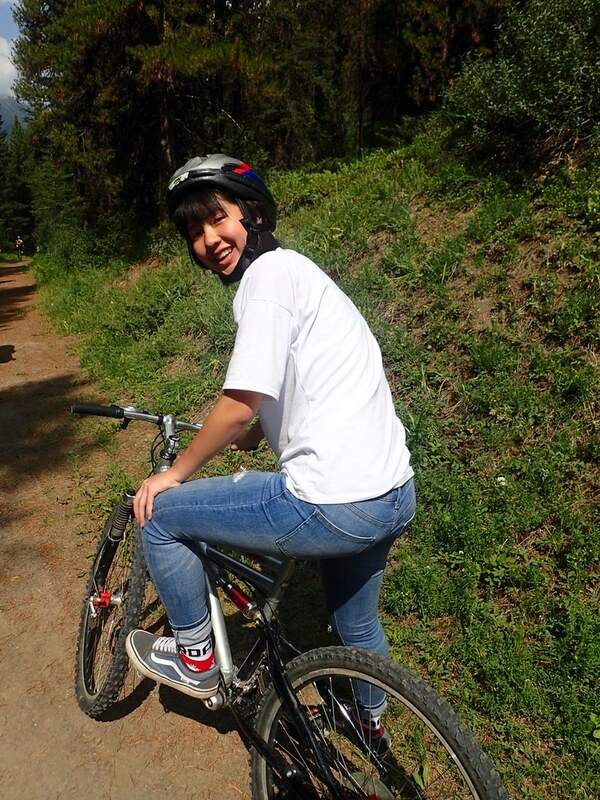 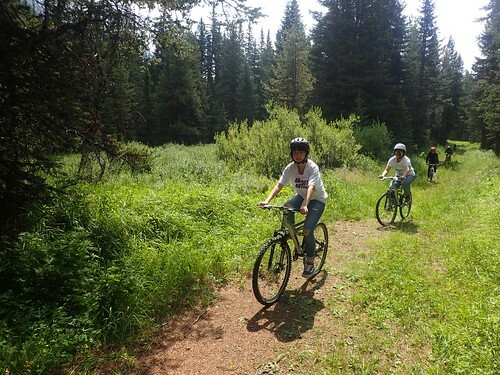 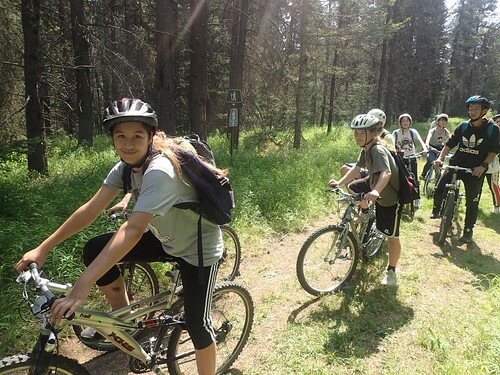 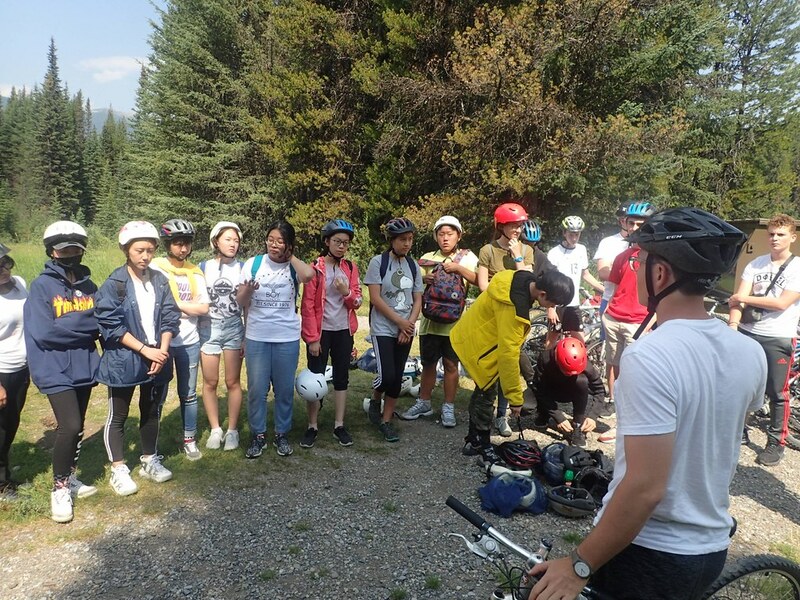 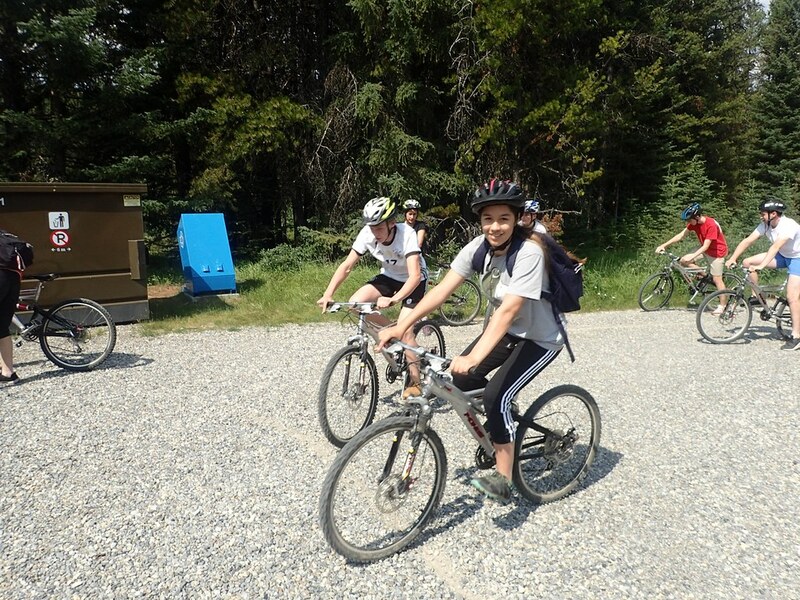 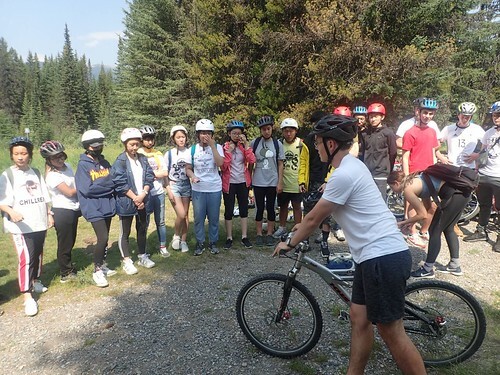 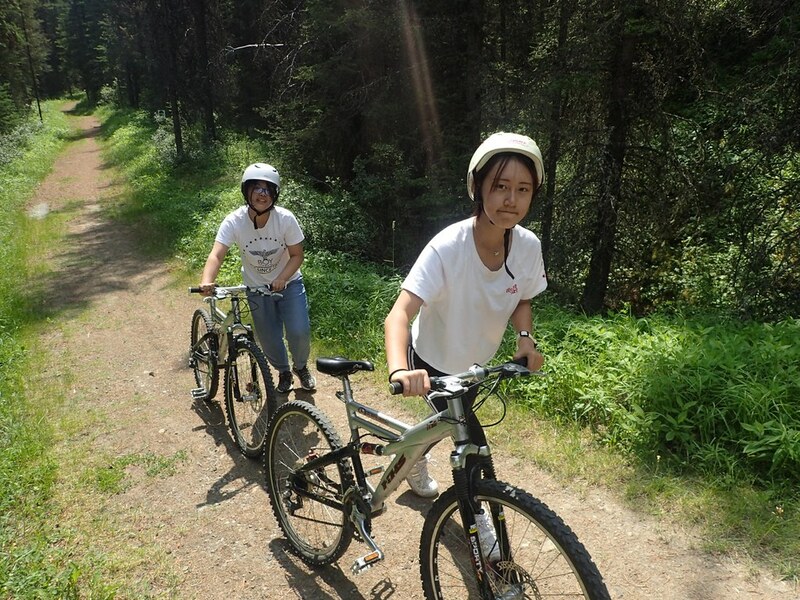 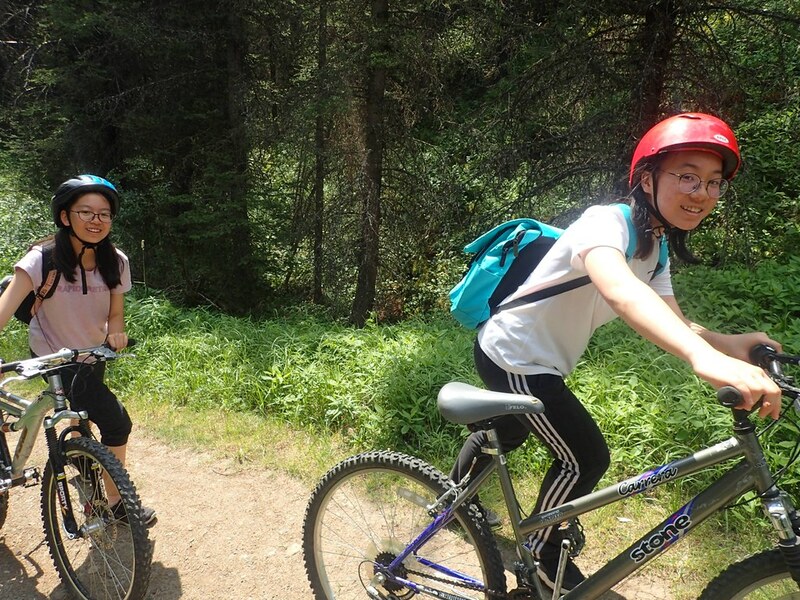 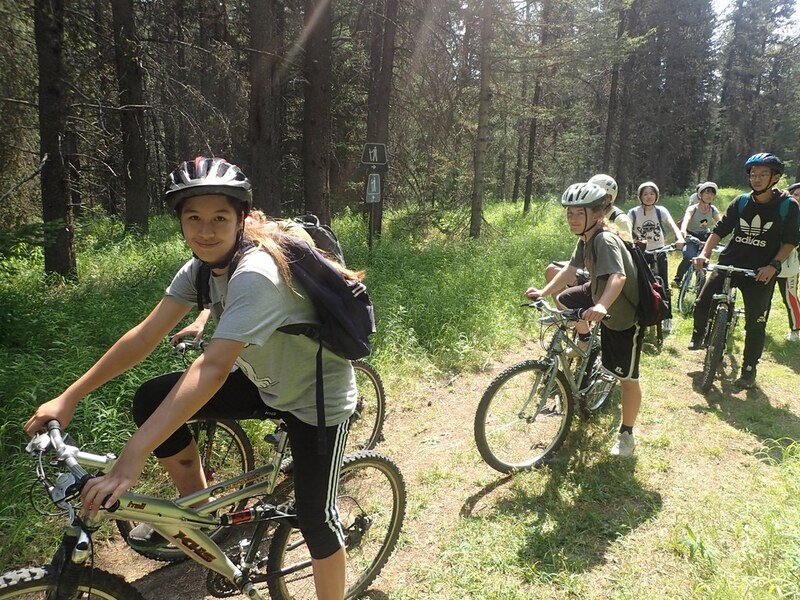 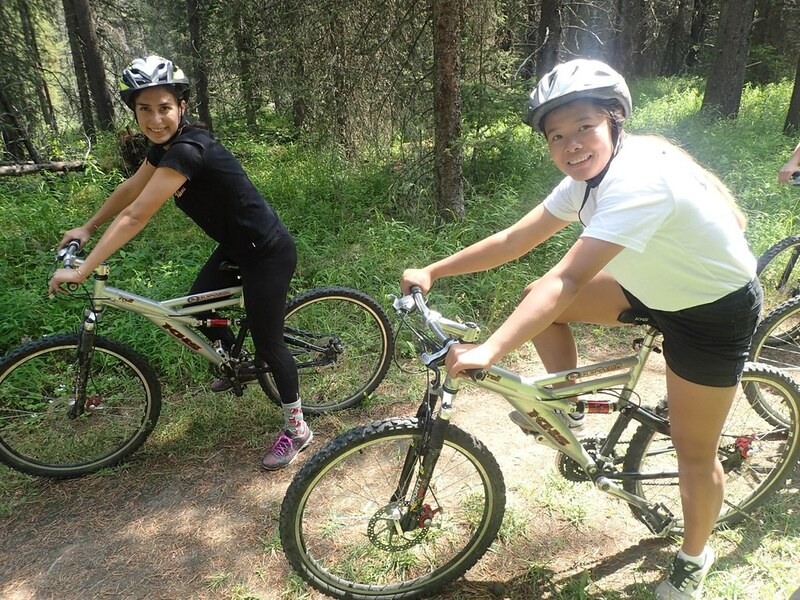 They enjoyed mountain biking so much that some of them decided to go twice! 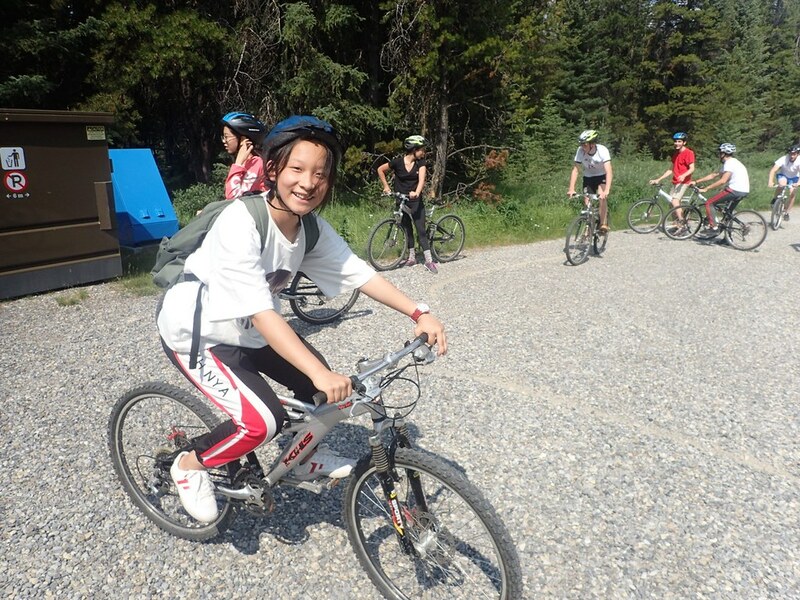 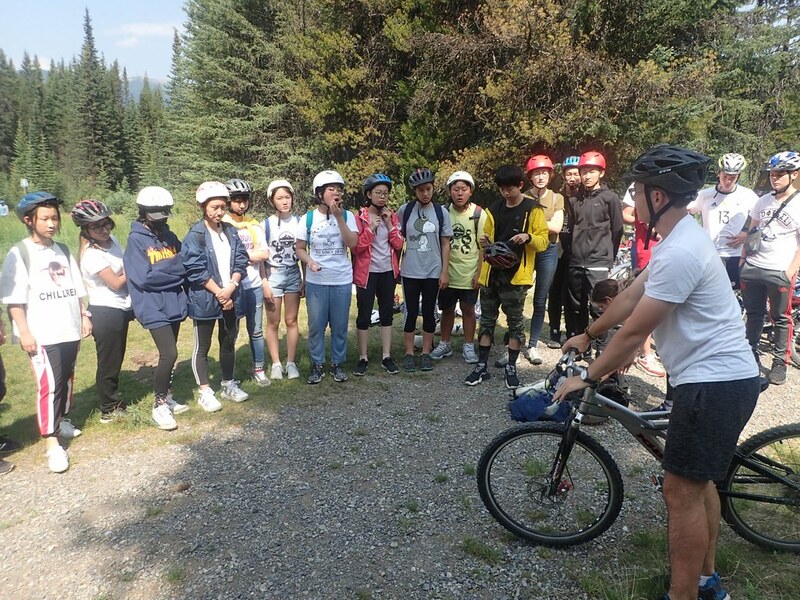 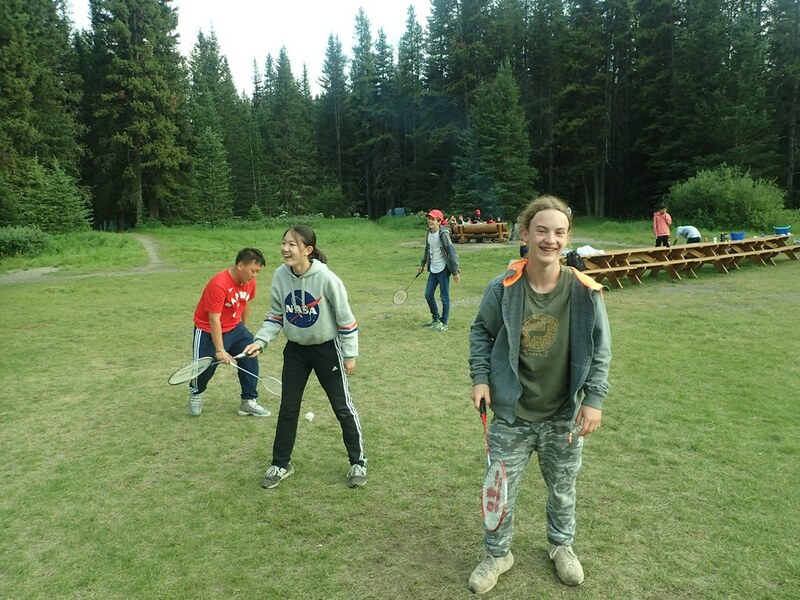 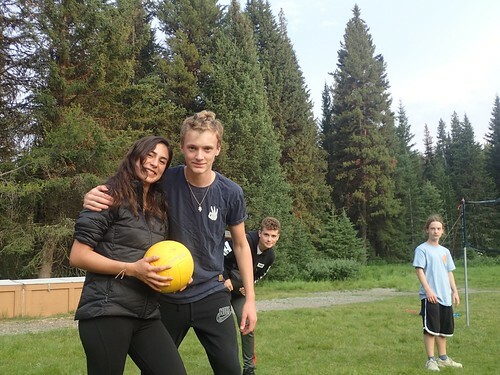 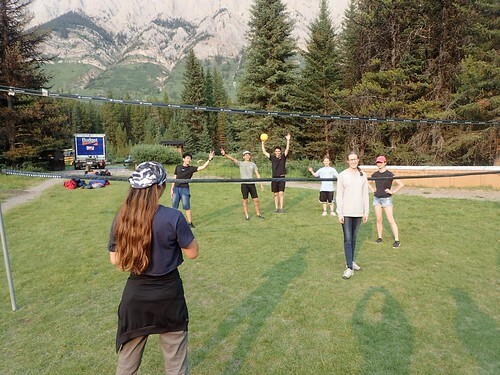 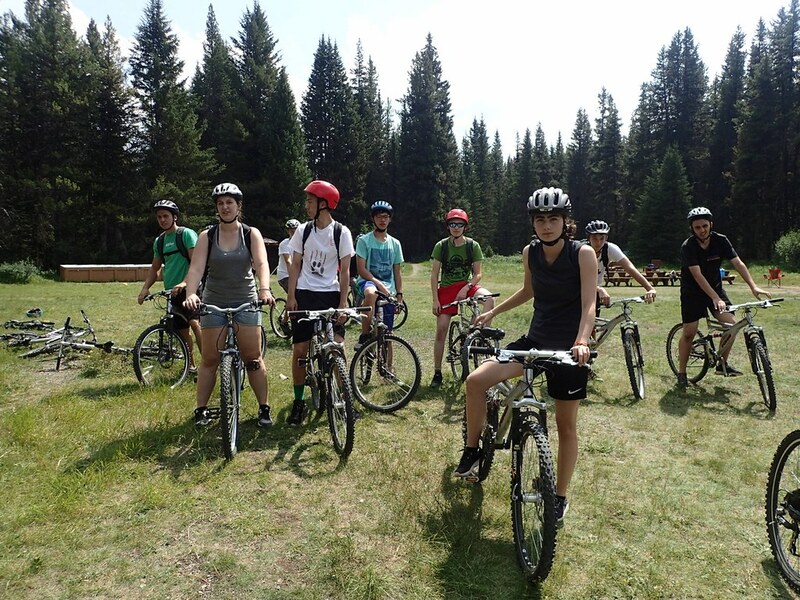 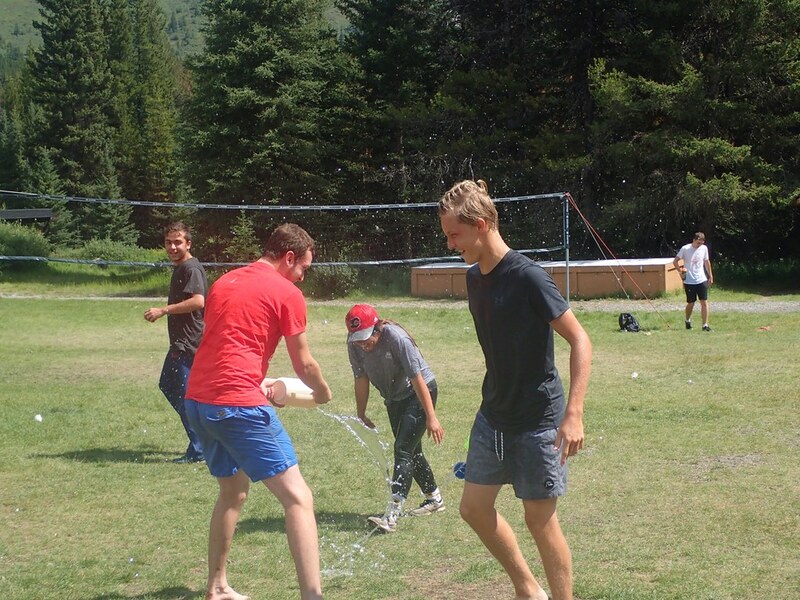 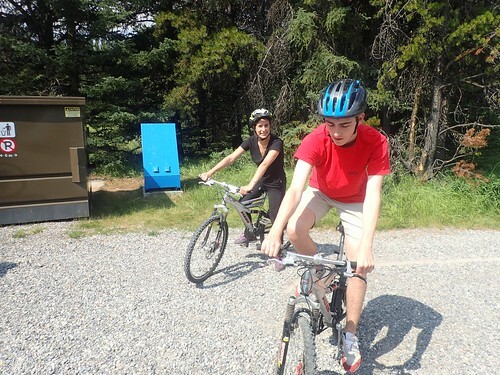 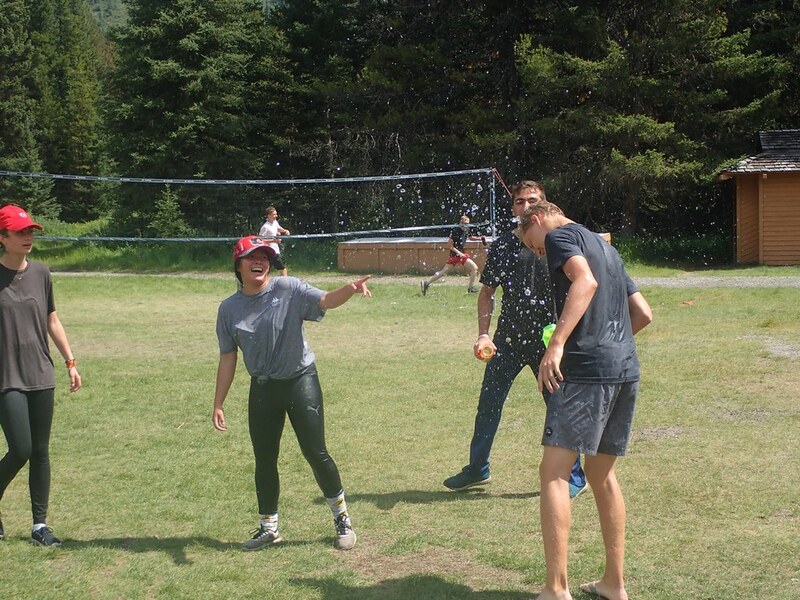 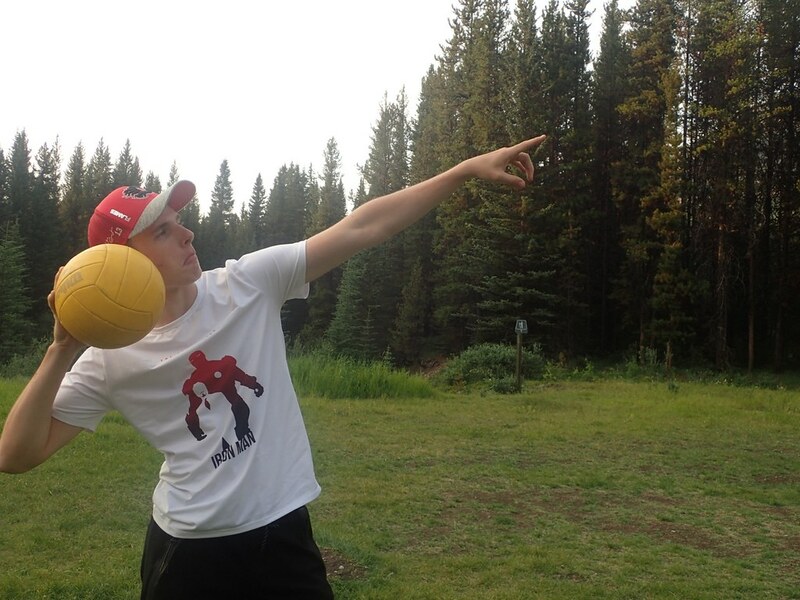 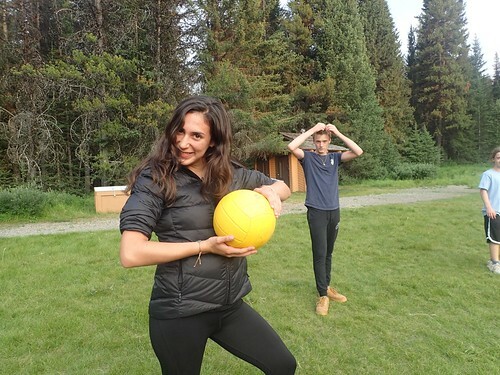 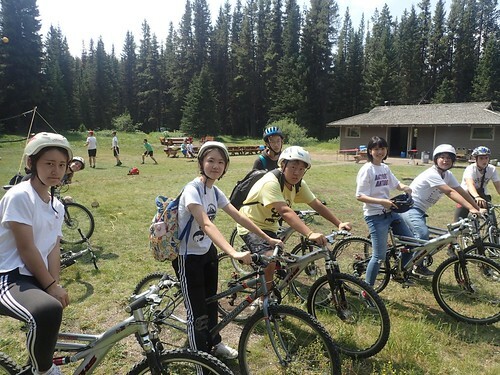 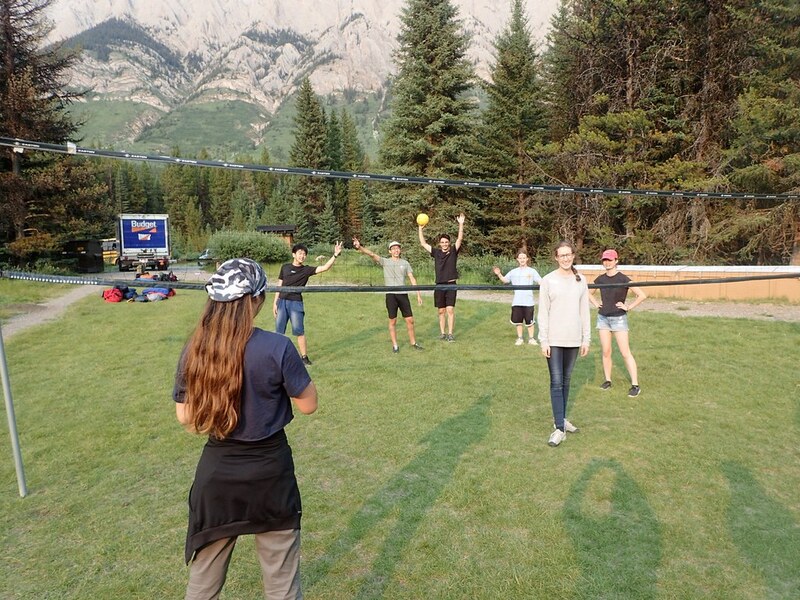 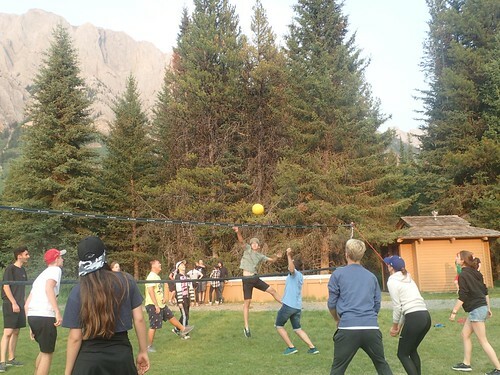 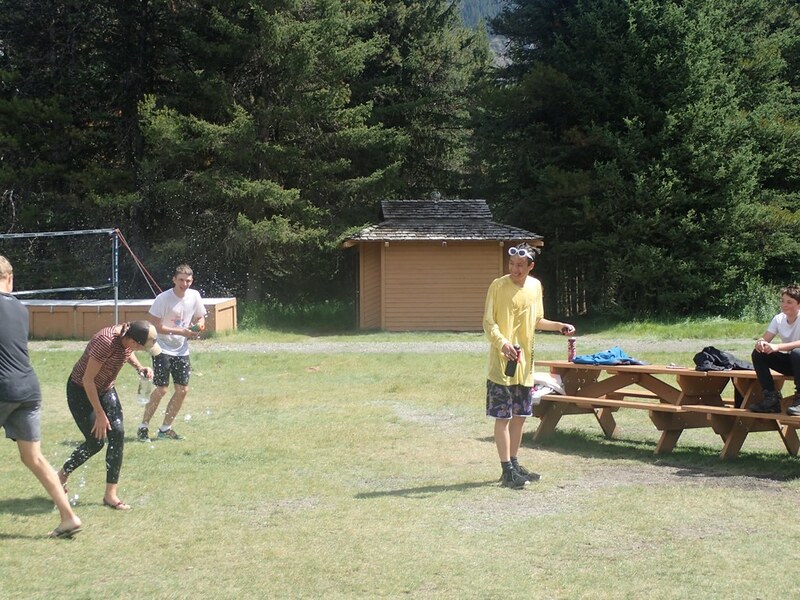 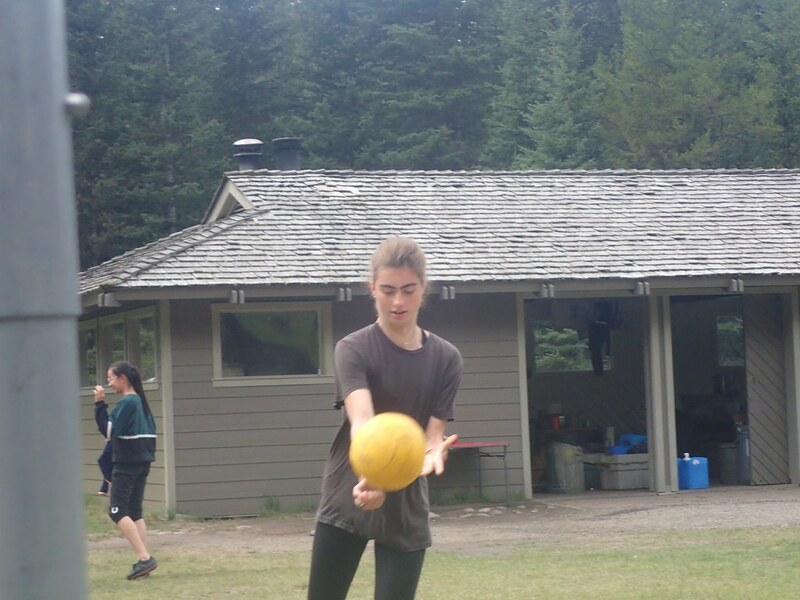 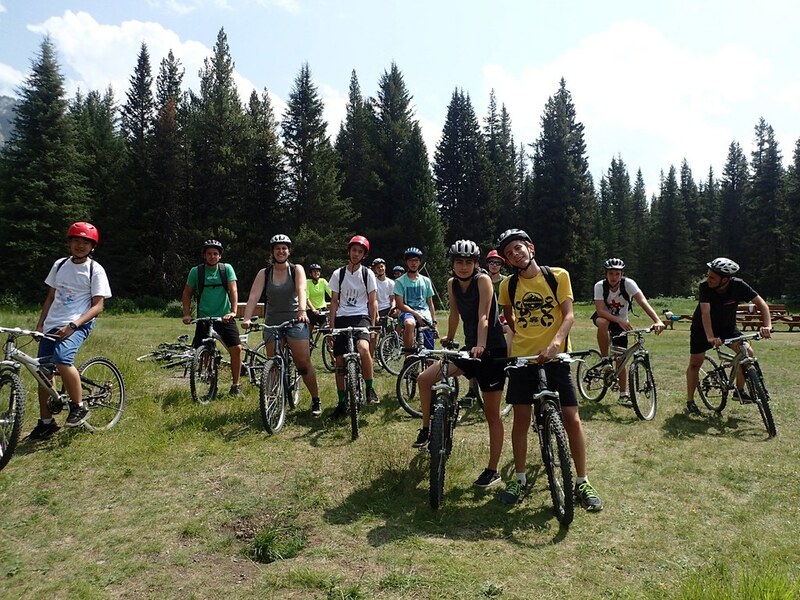 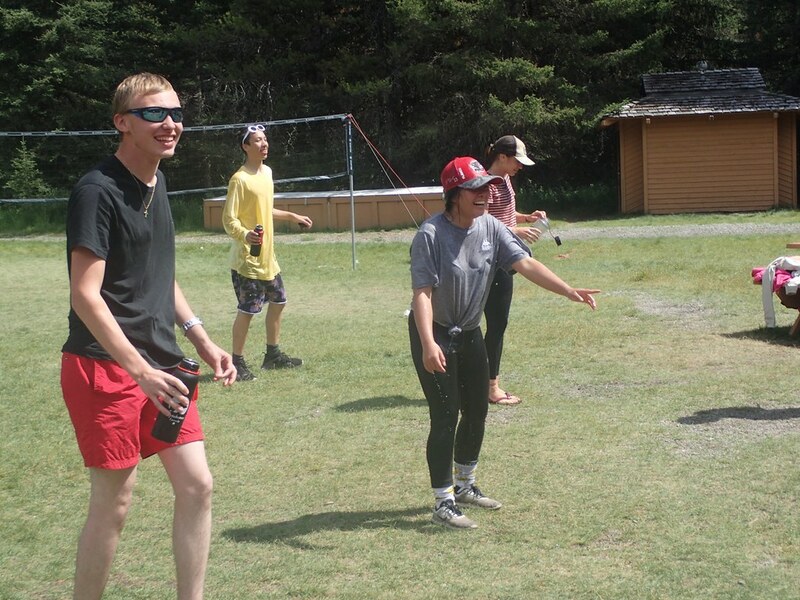 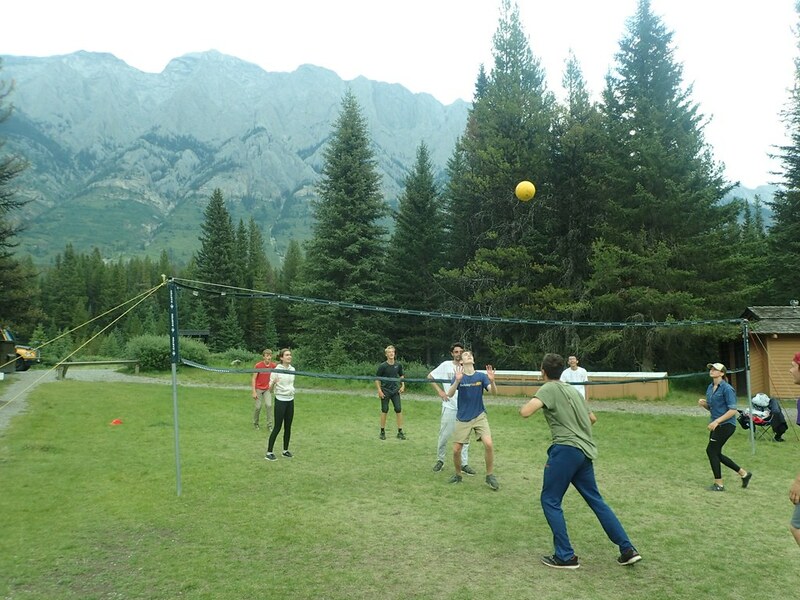 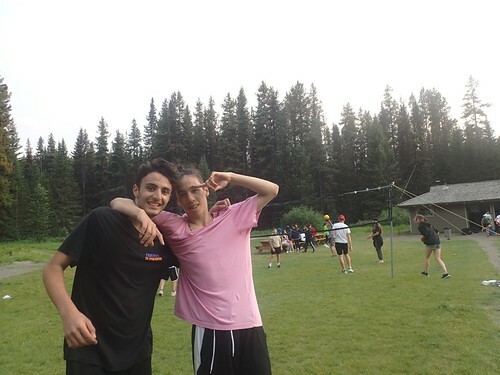 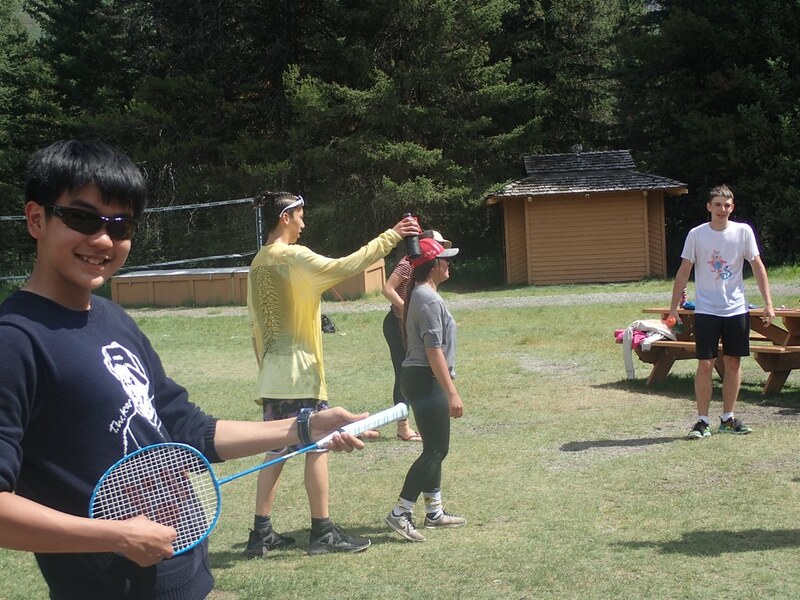 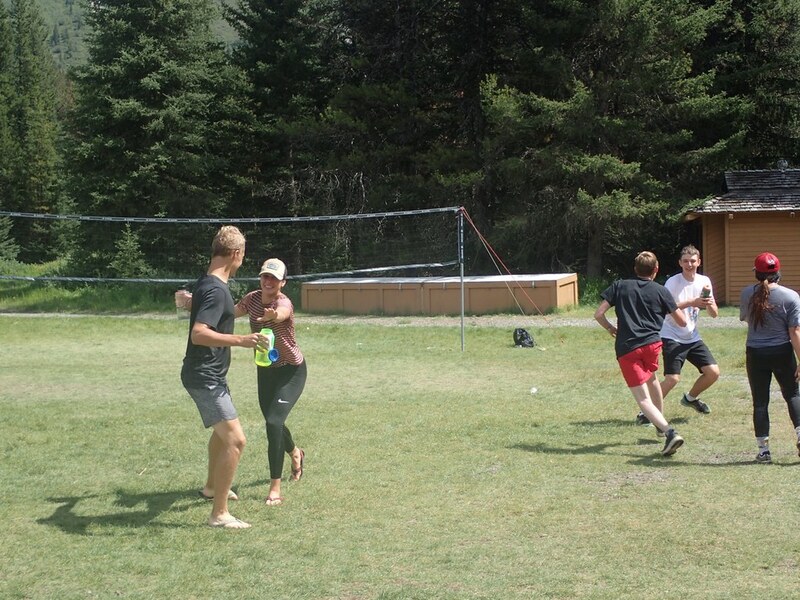 While one group went mountain biking, the others joined in on fun games ranging from volleyball to soccer. 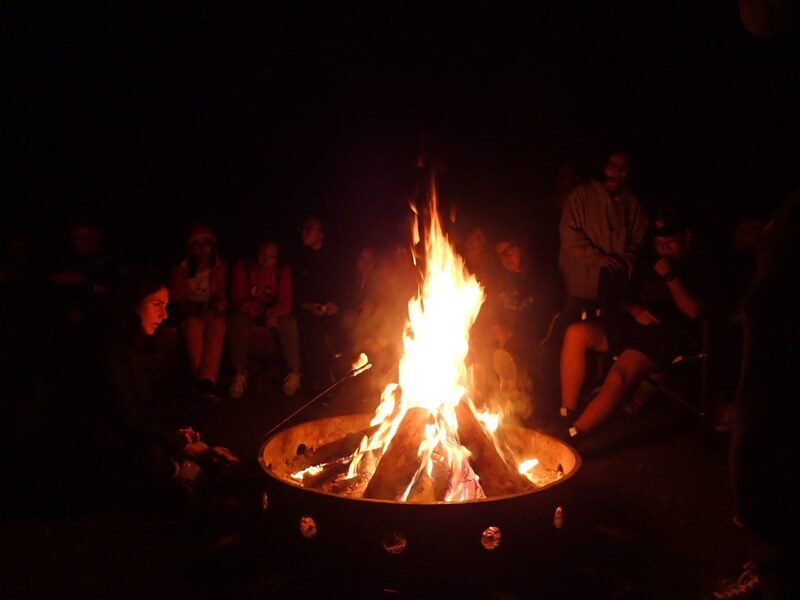 The day passed with a blink of an eye and soon it was time for another warm campfire under the light of hundreds of stars. 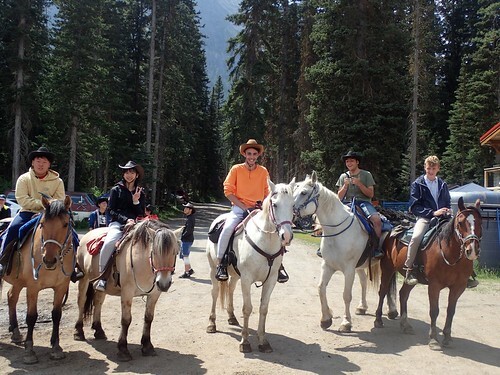 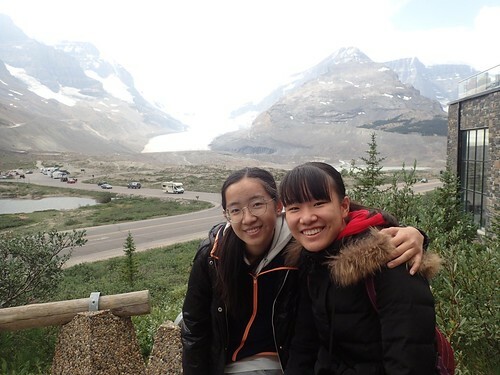 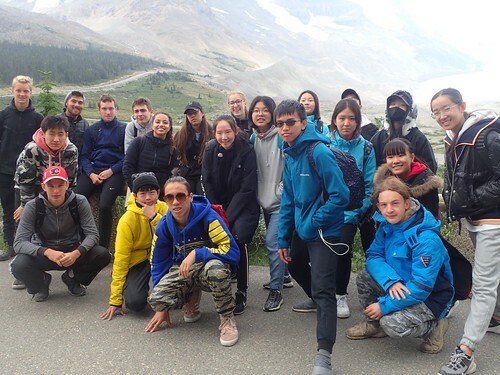 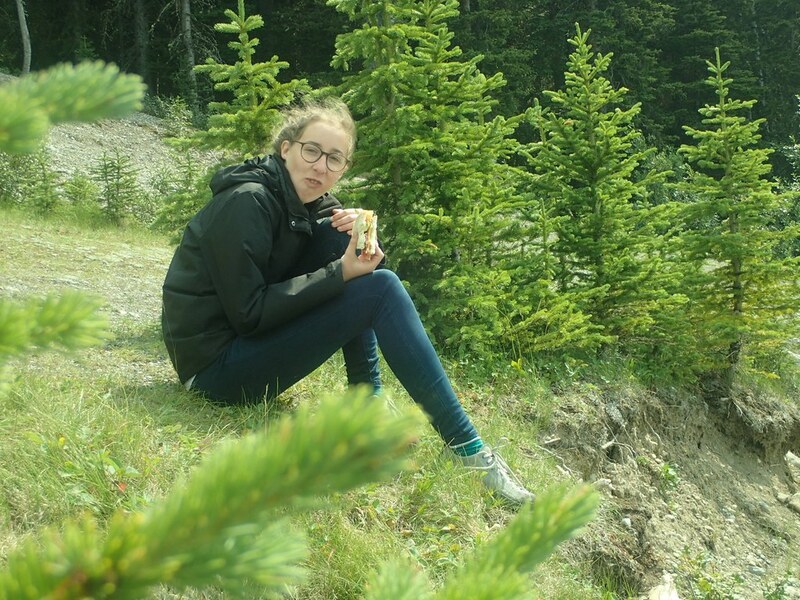 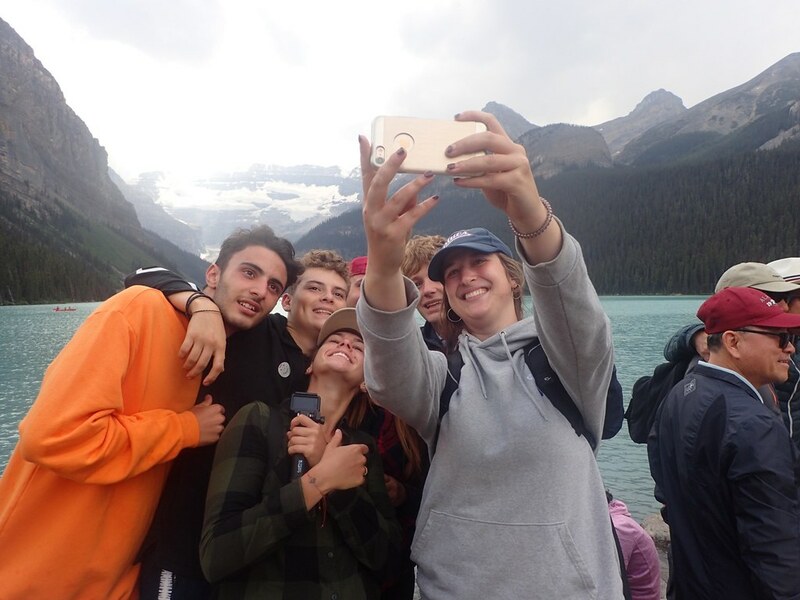 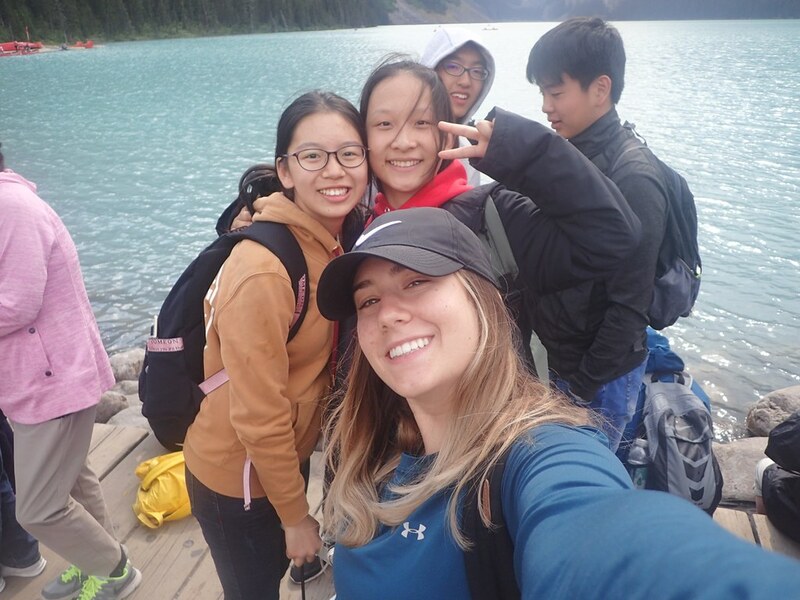 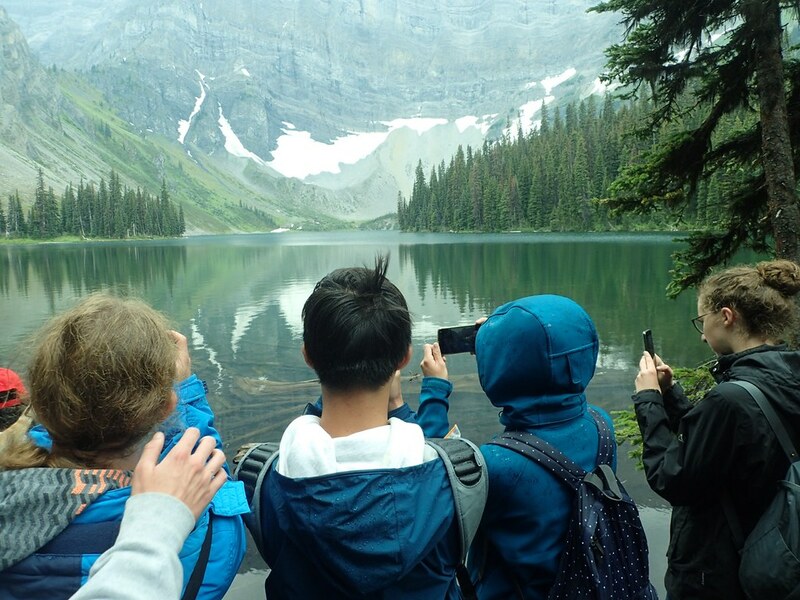 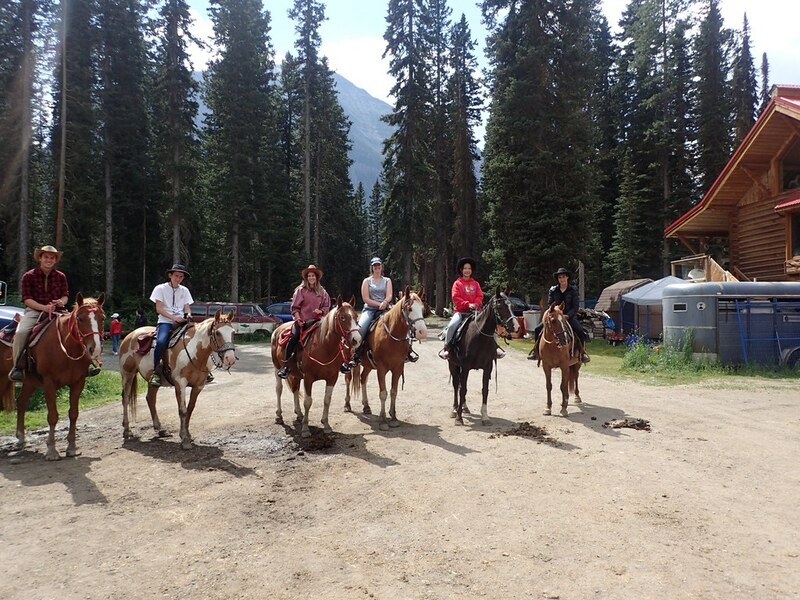 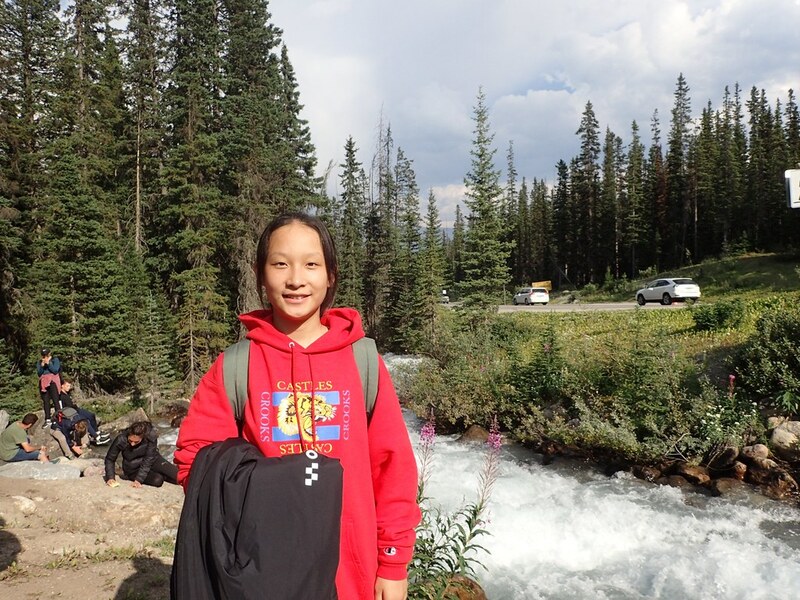 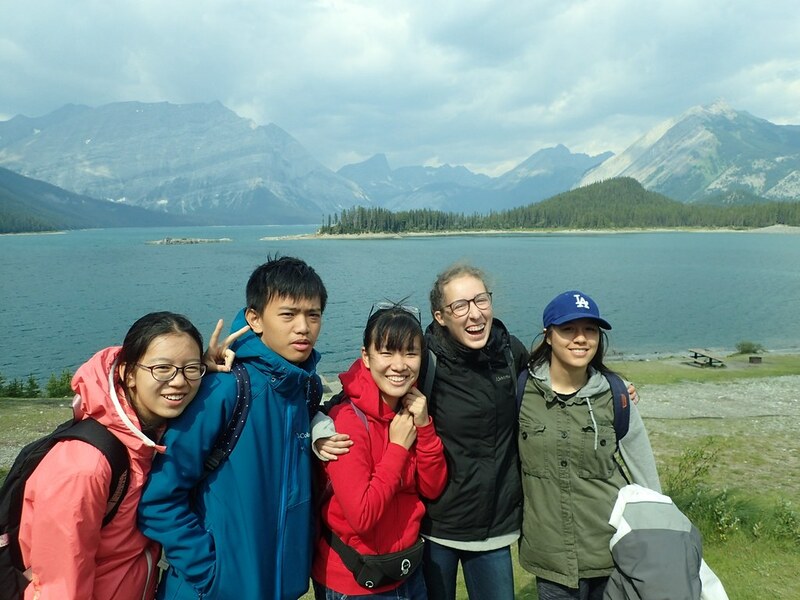 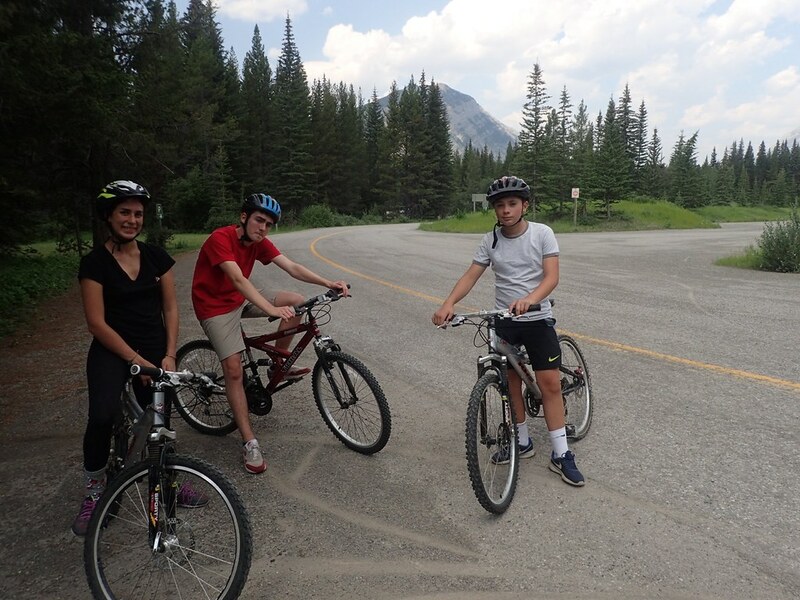 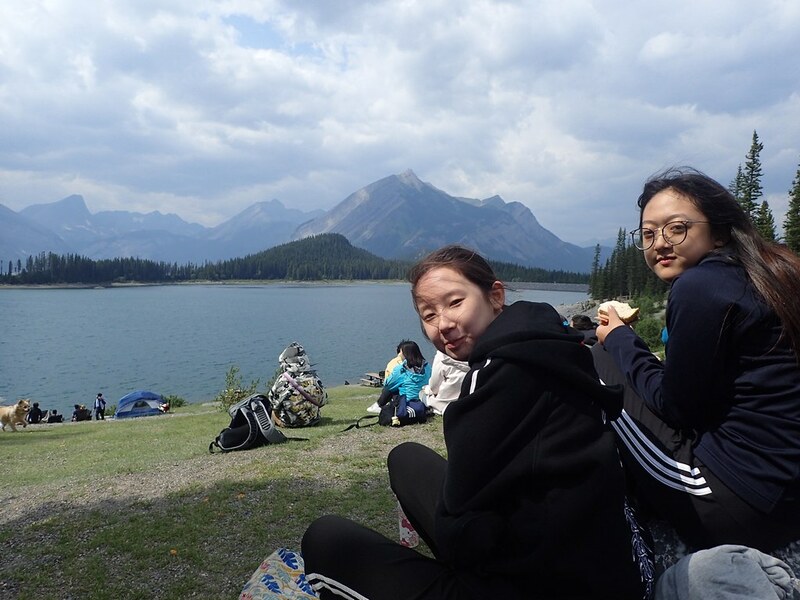 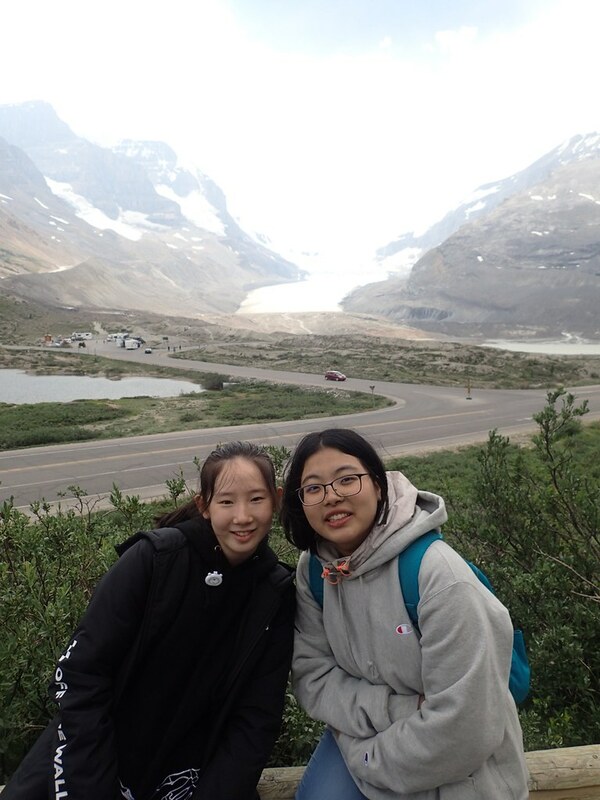 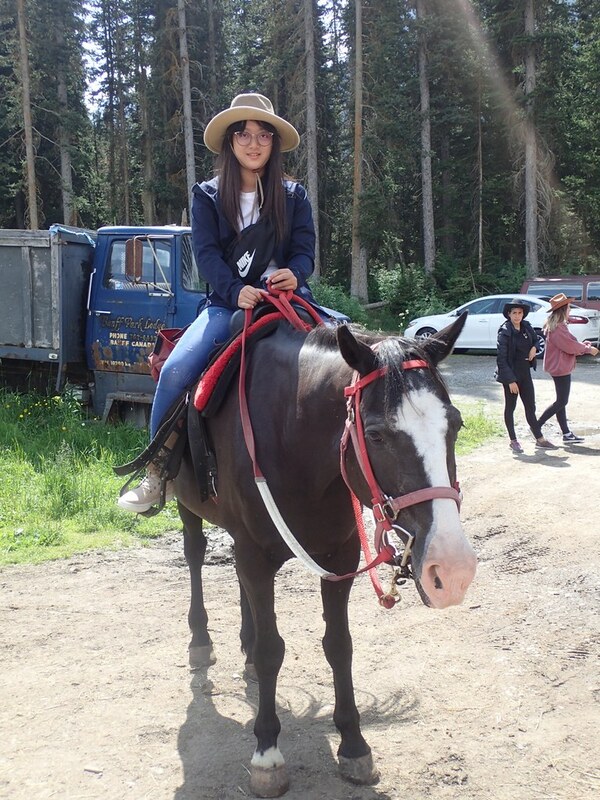 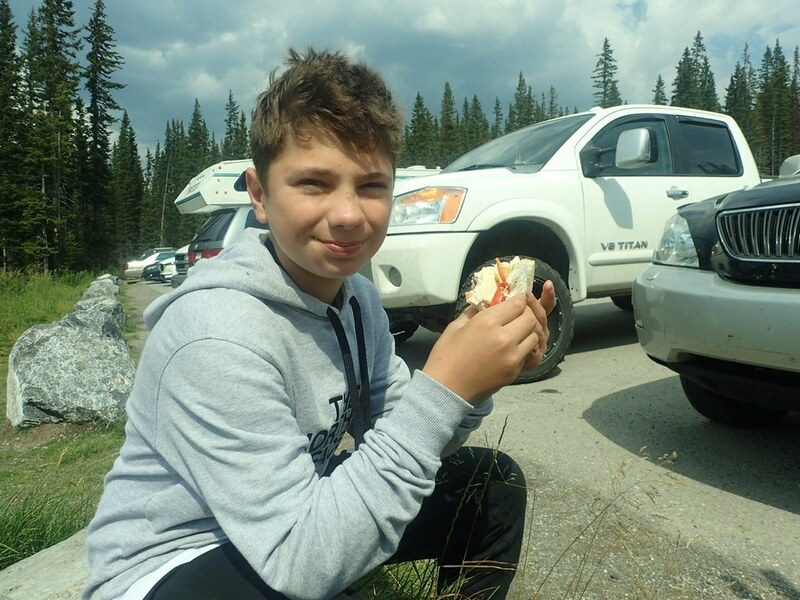 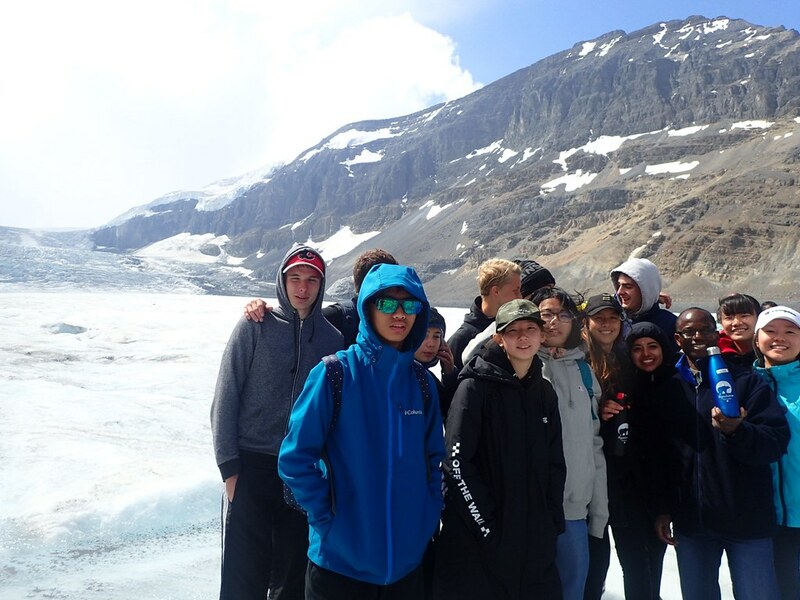 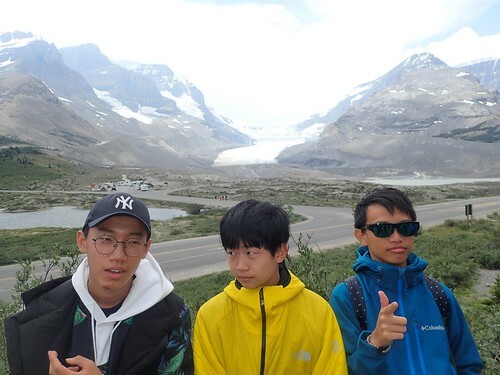 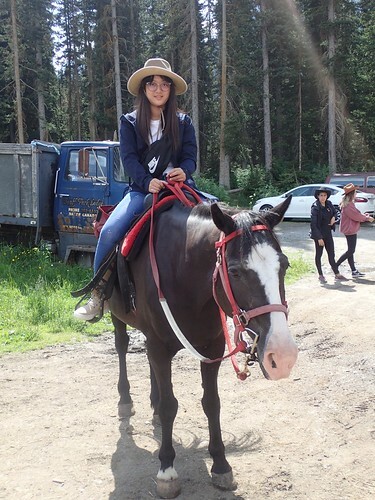 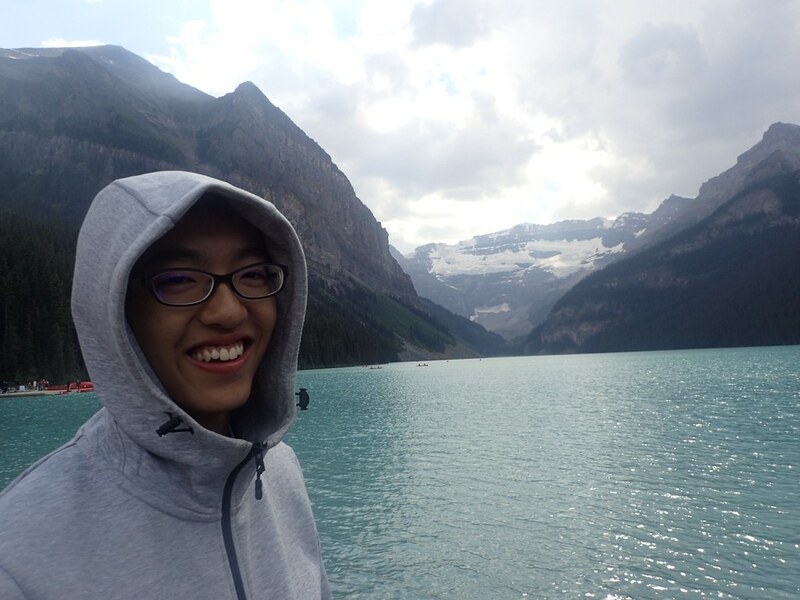 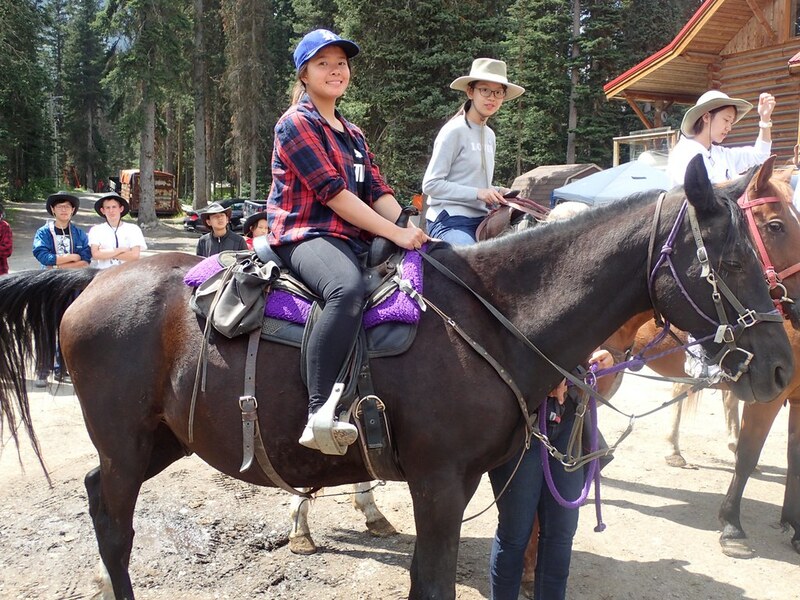 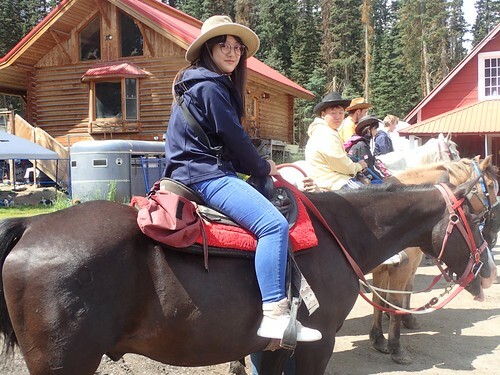 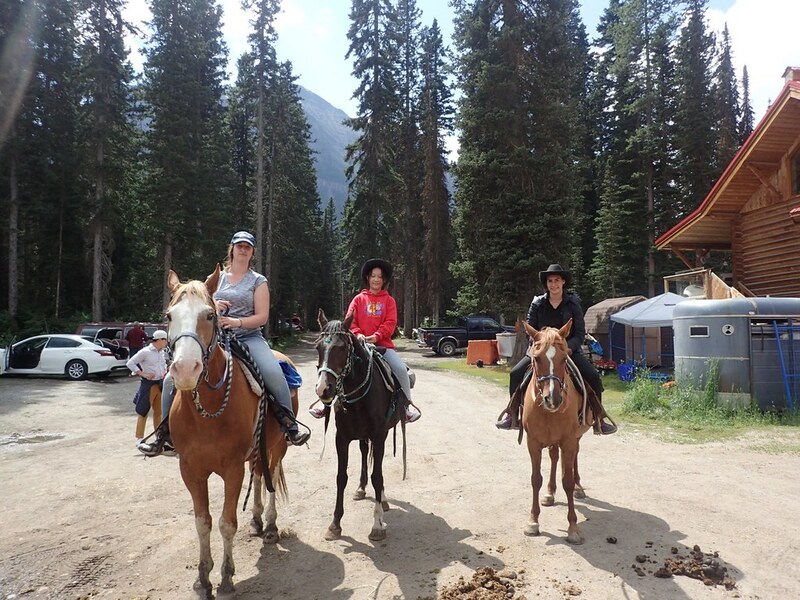 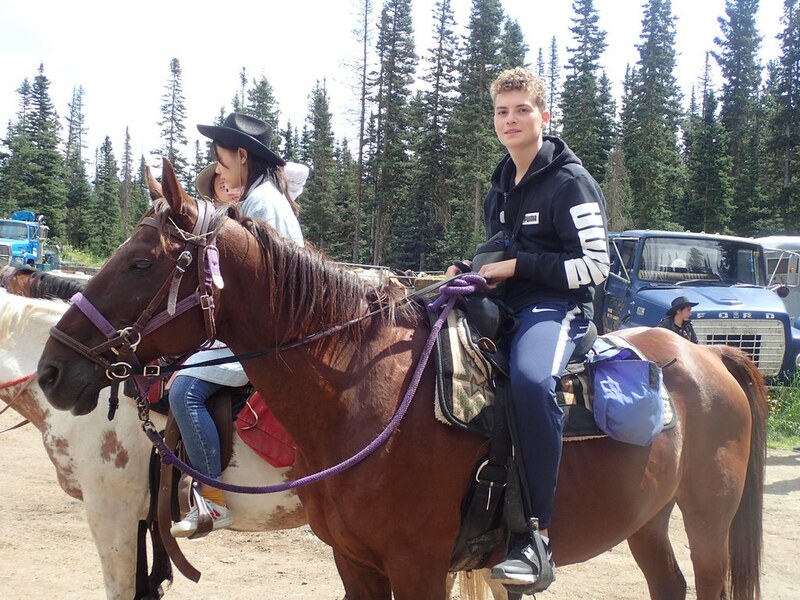 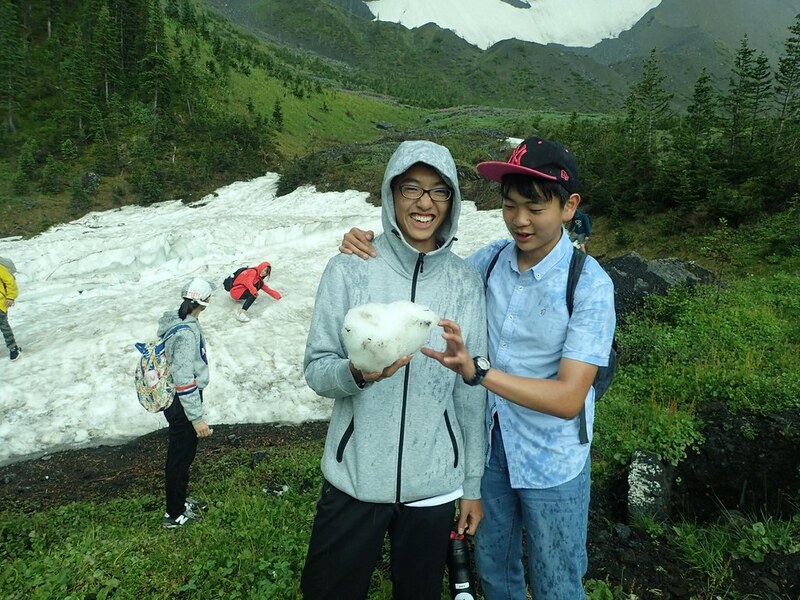 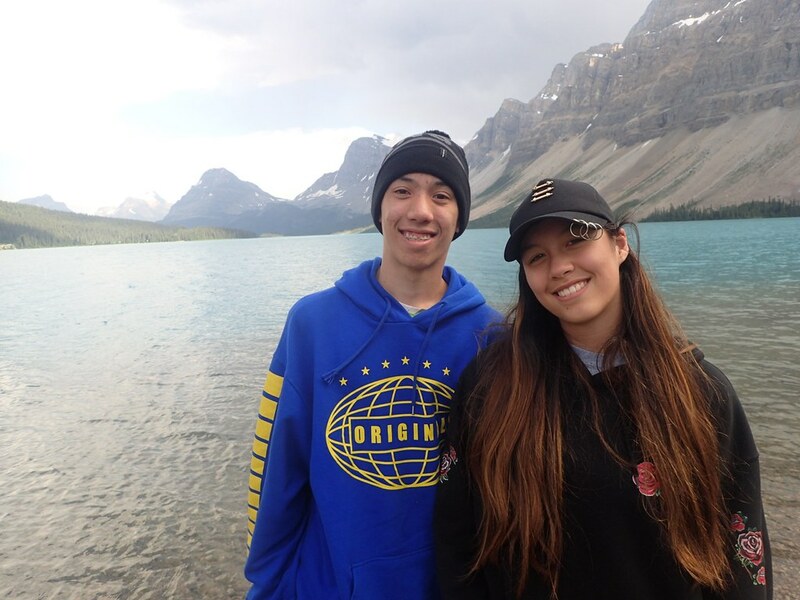 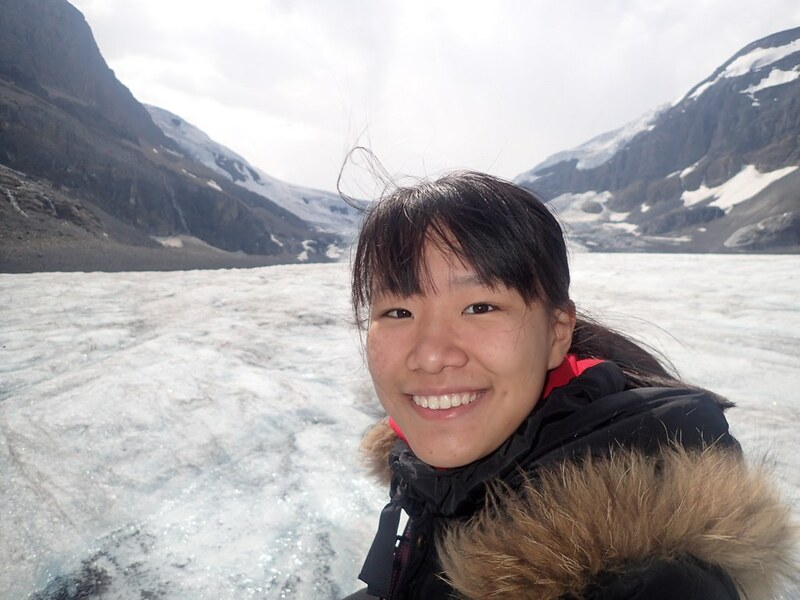 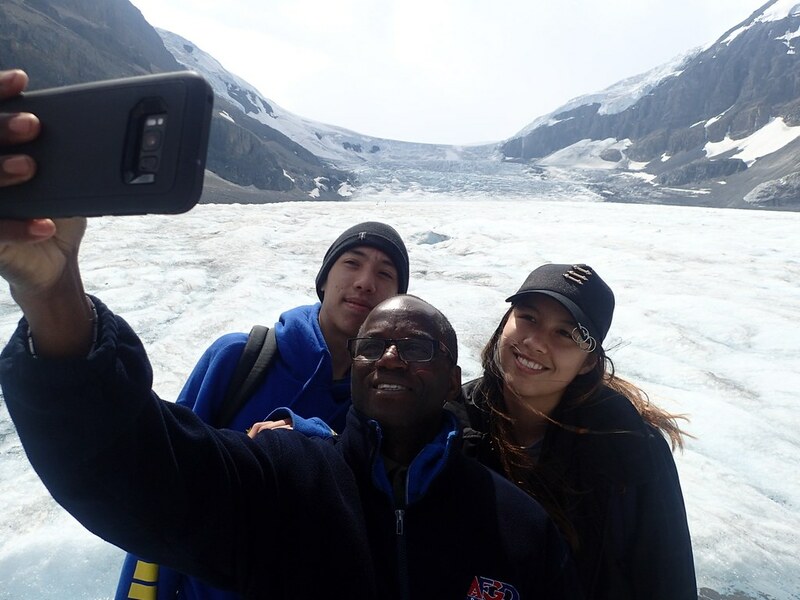 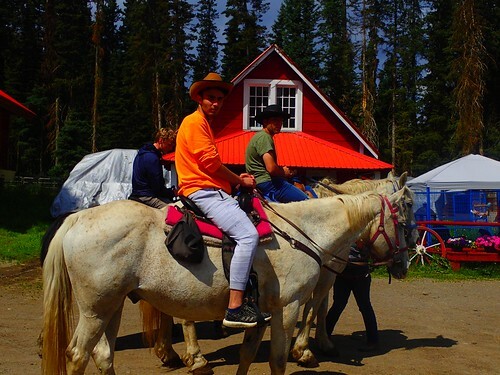 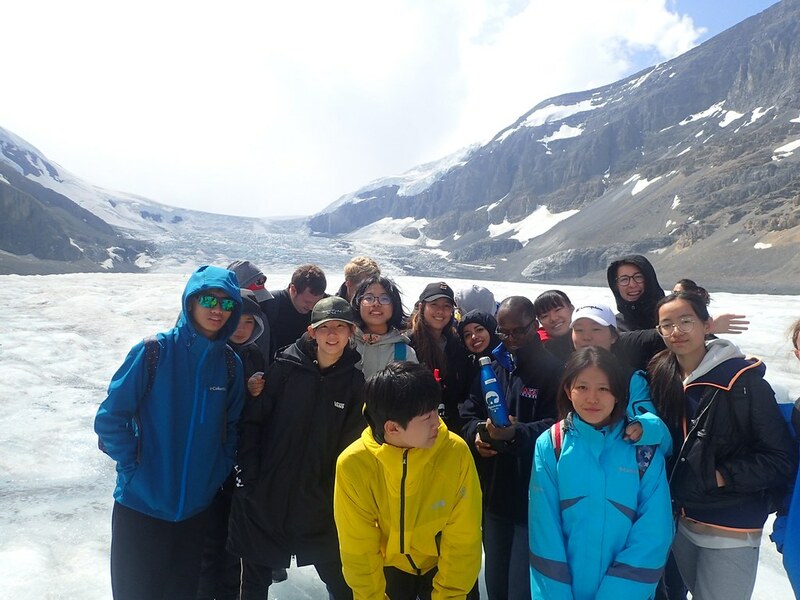 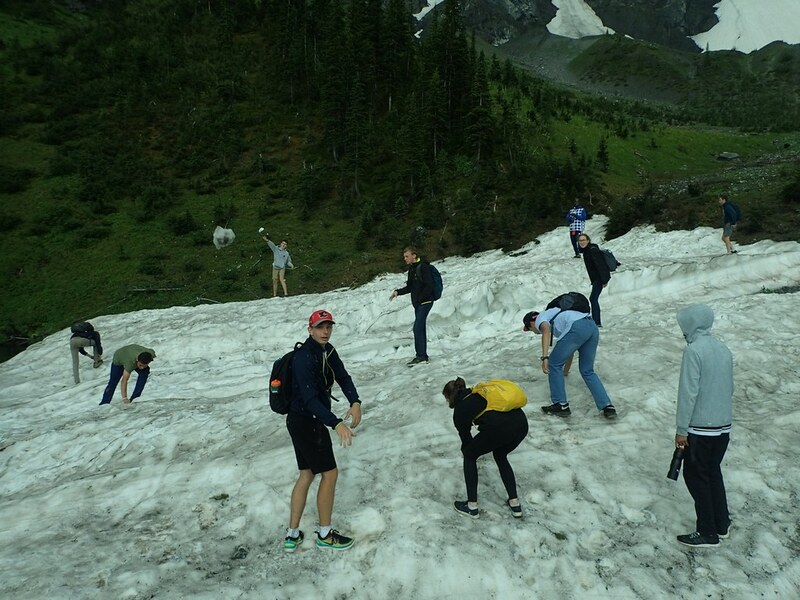 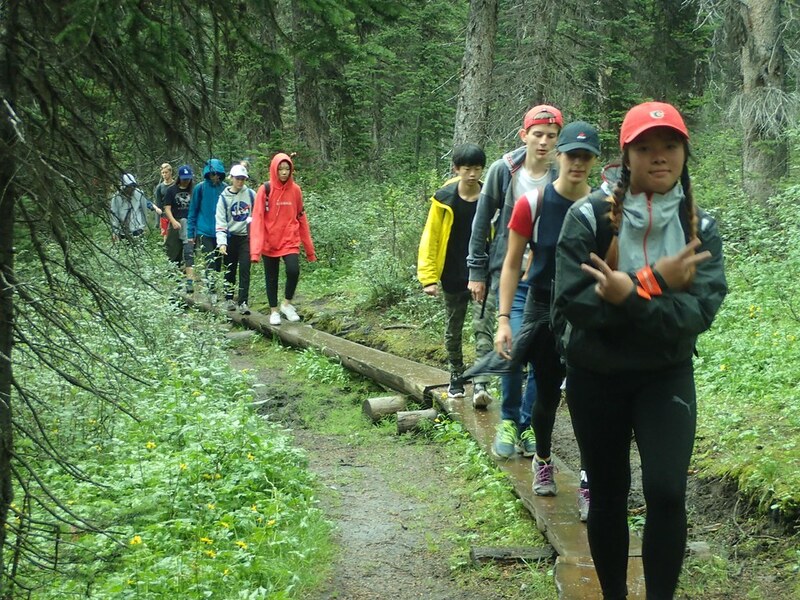 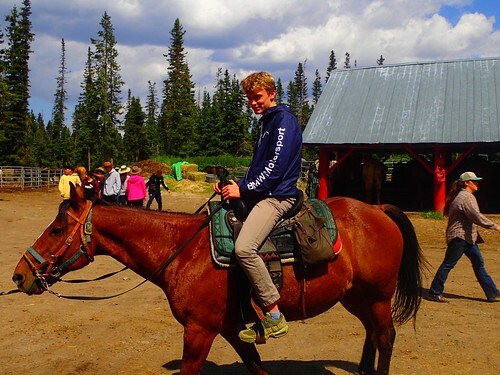 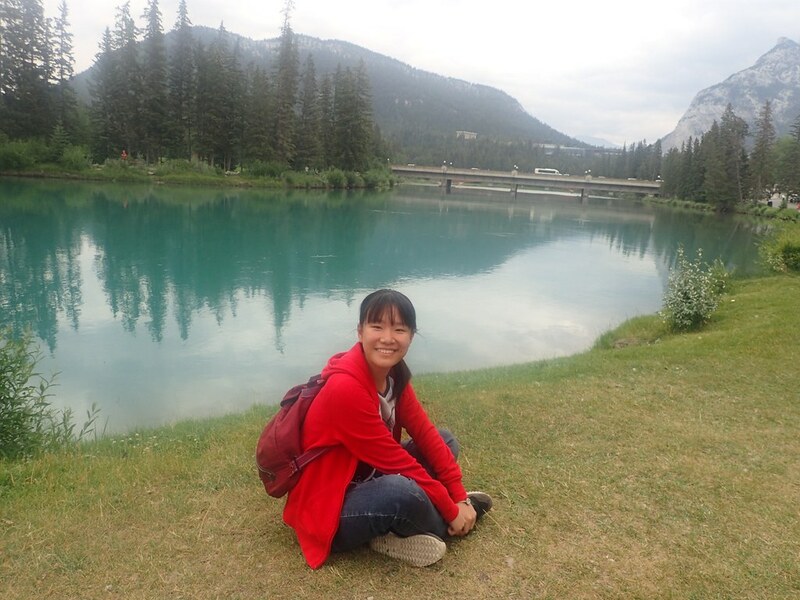 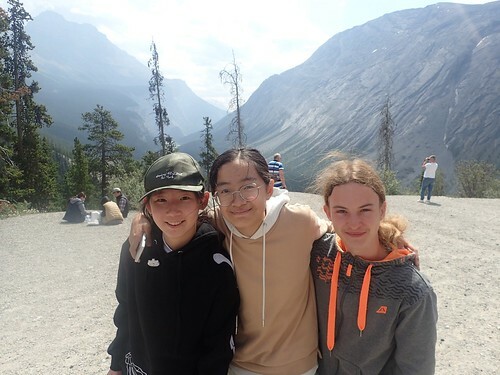 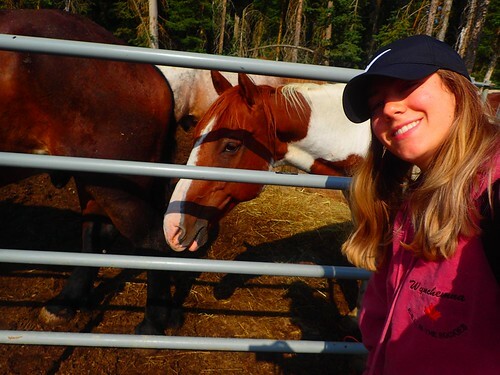 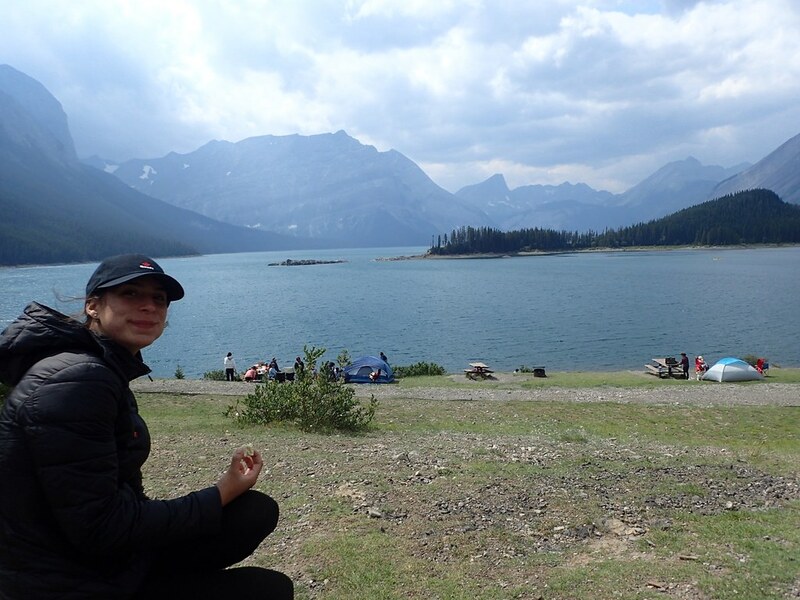 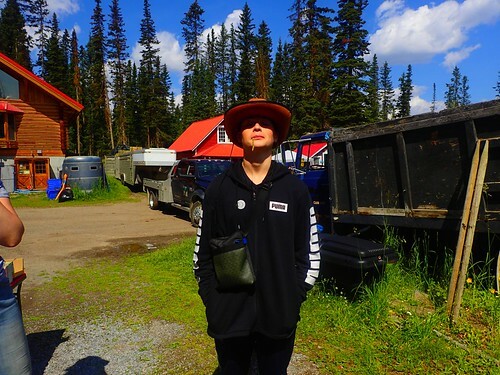 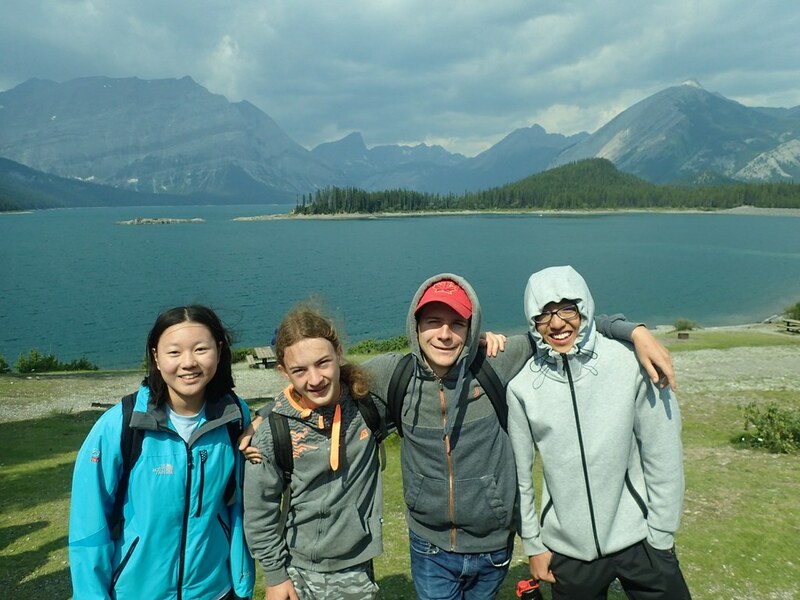 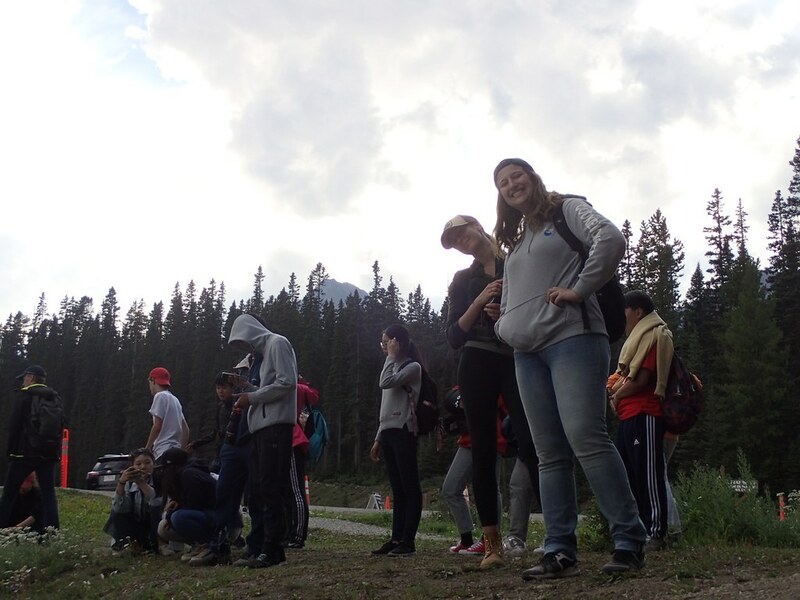 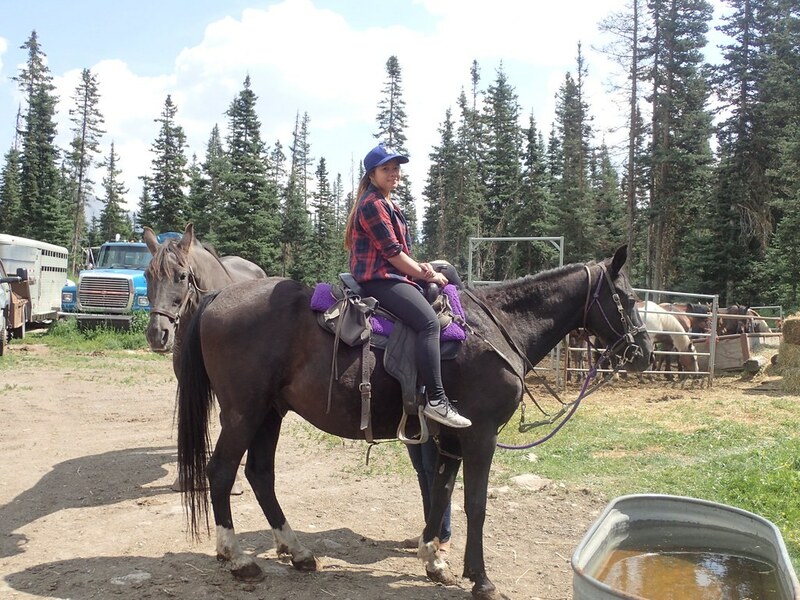 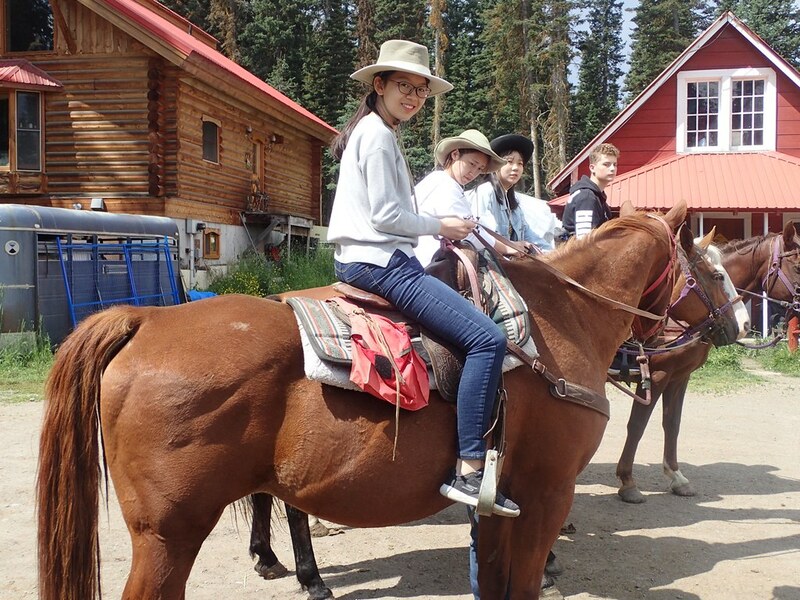 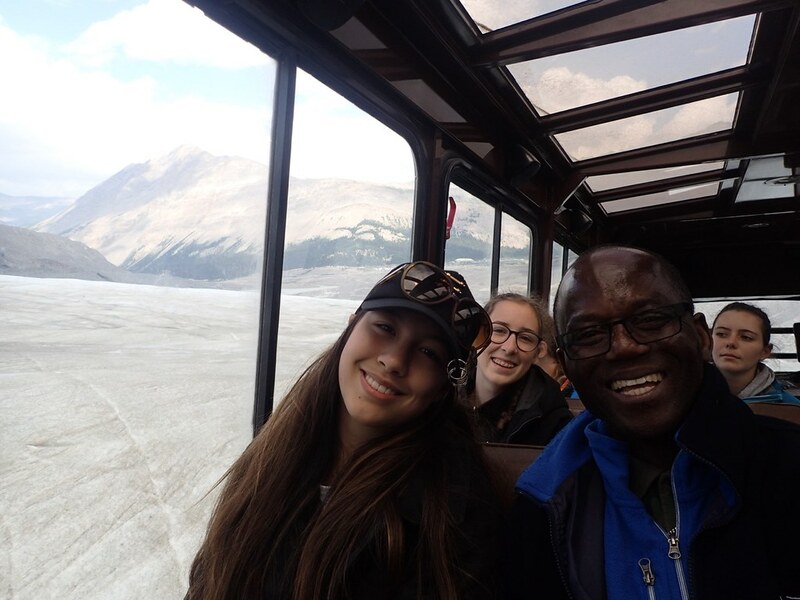 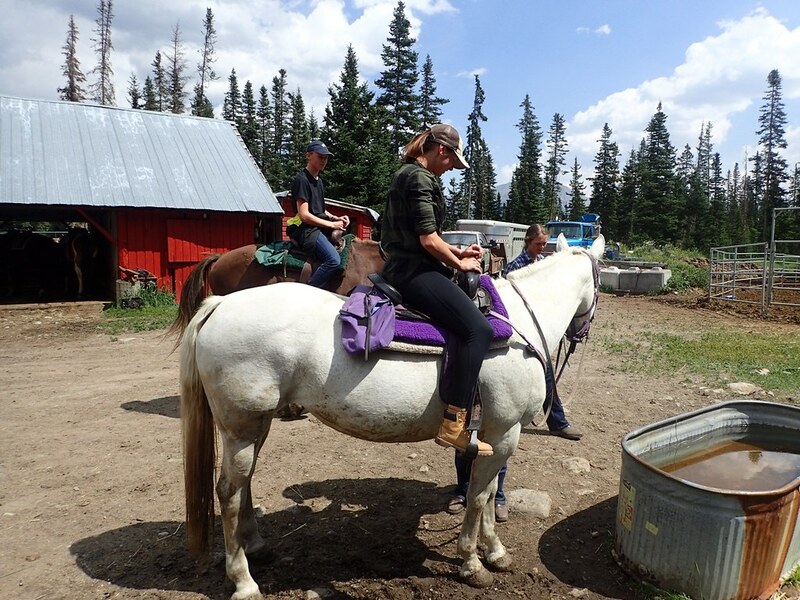 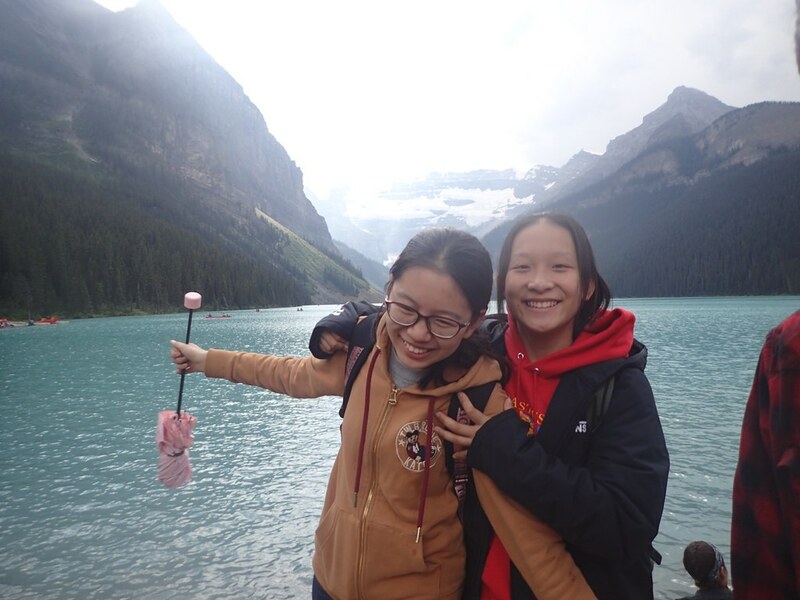 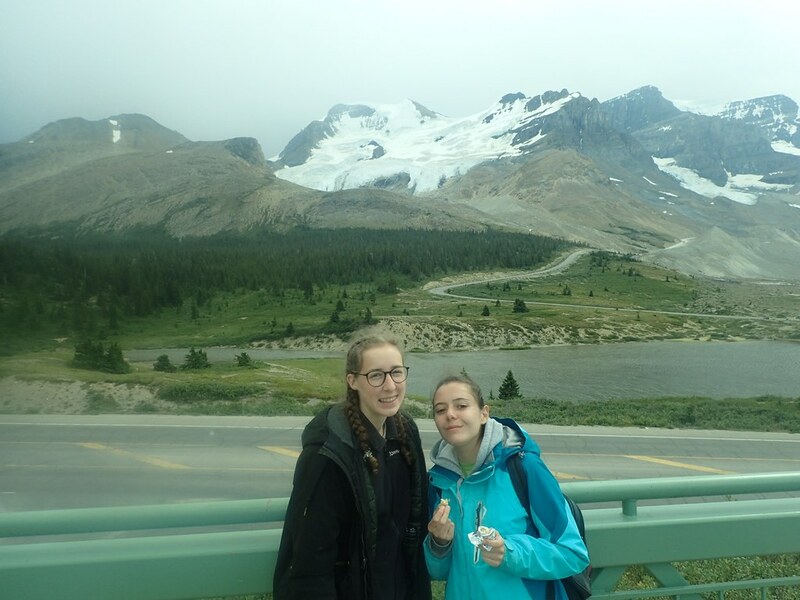 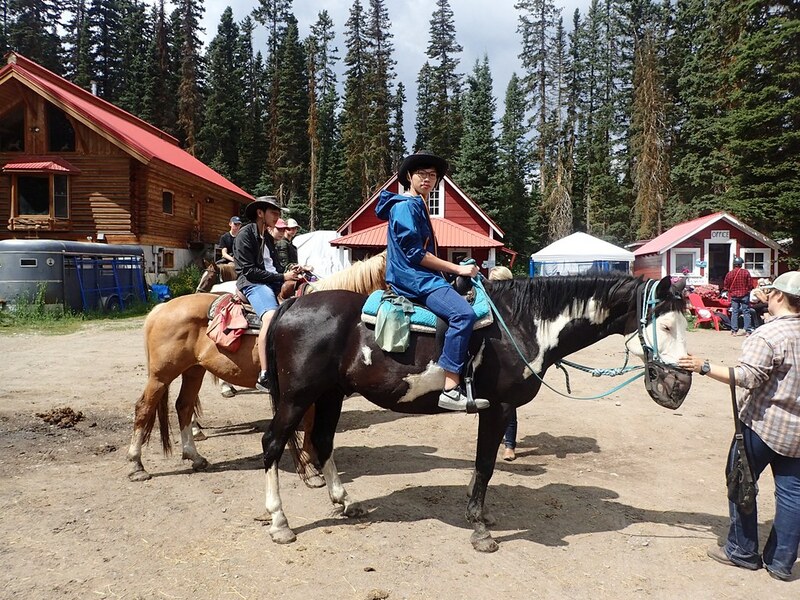 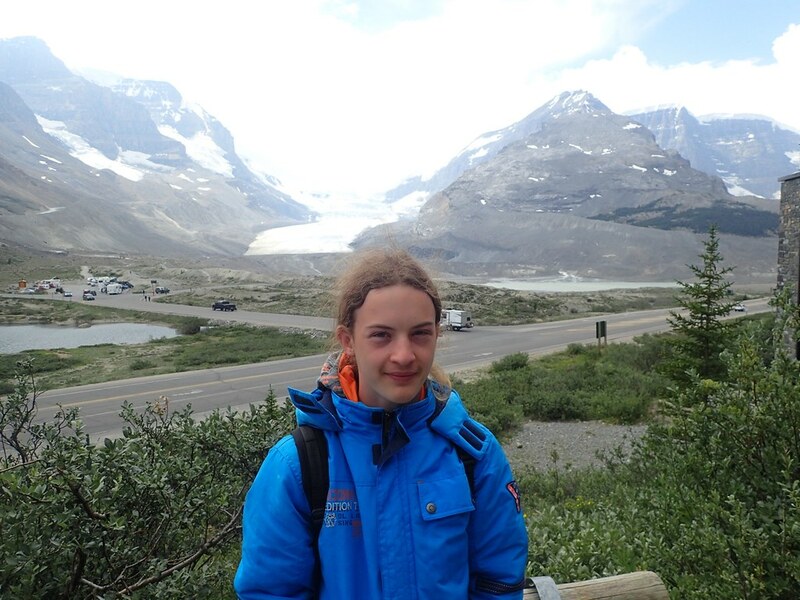 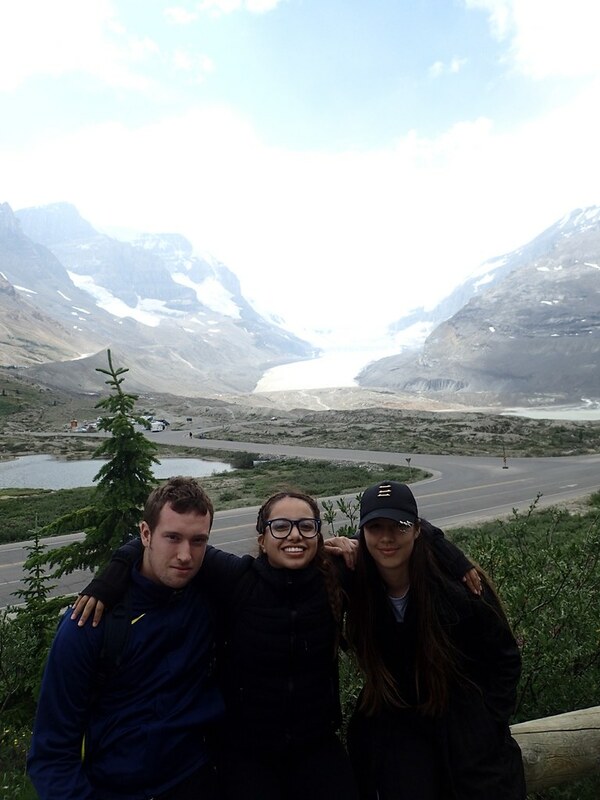 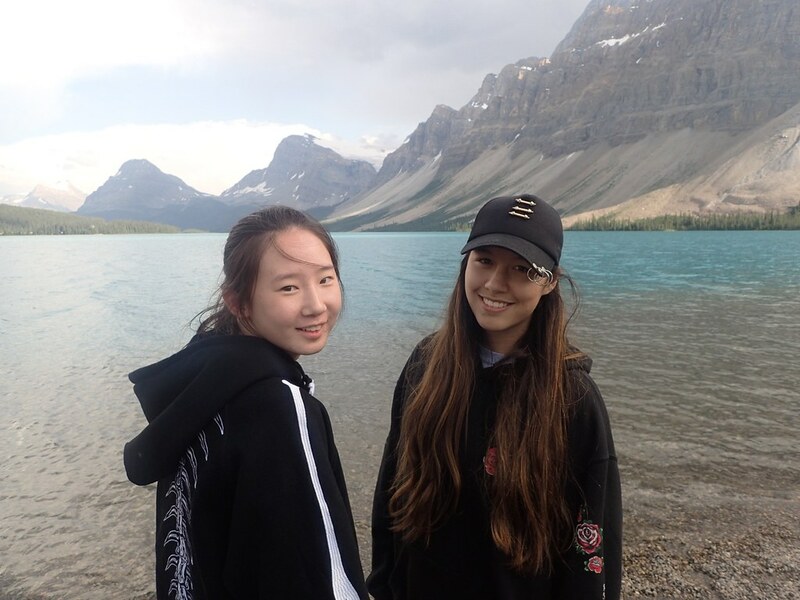 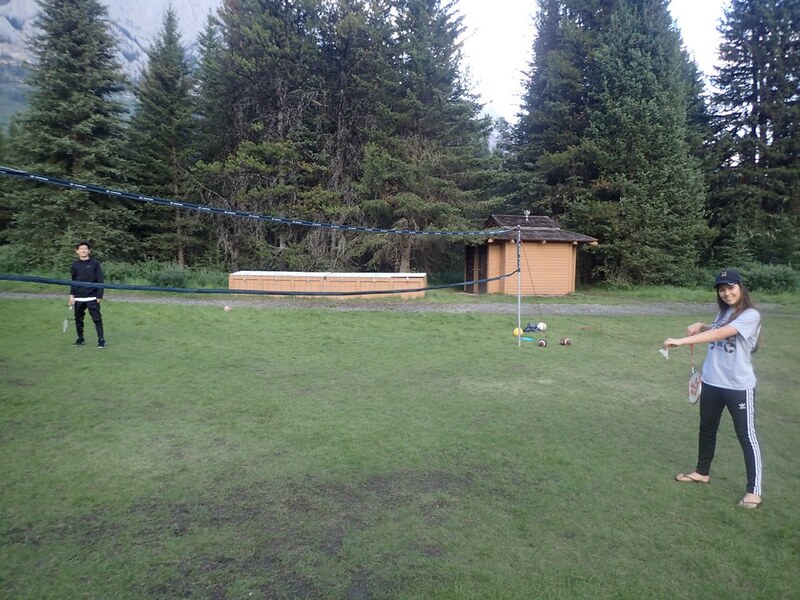 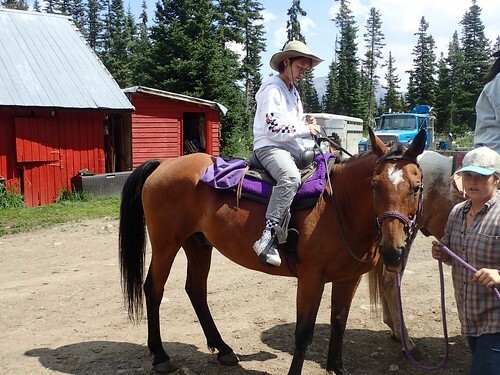 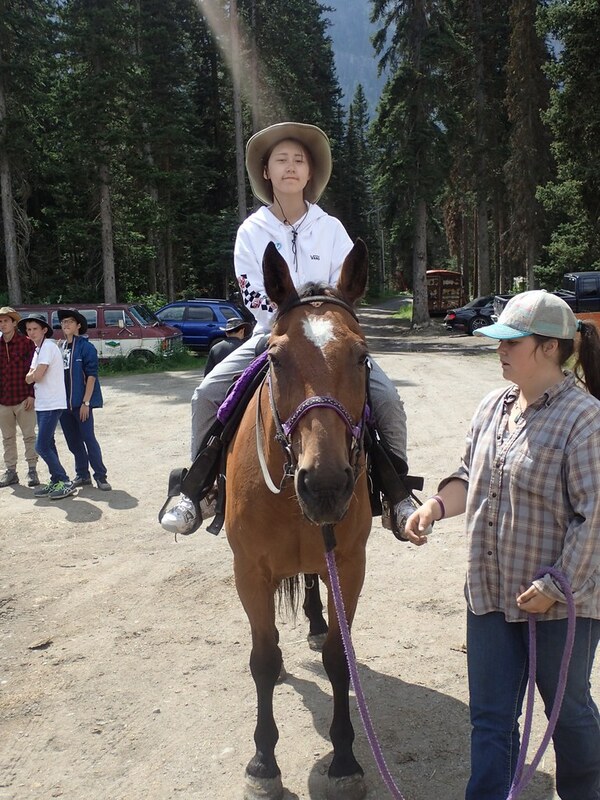 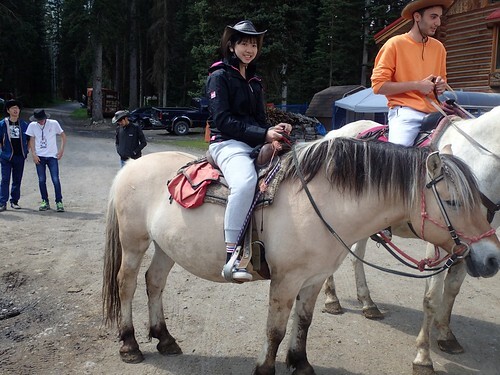 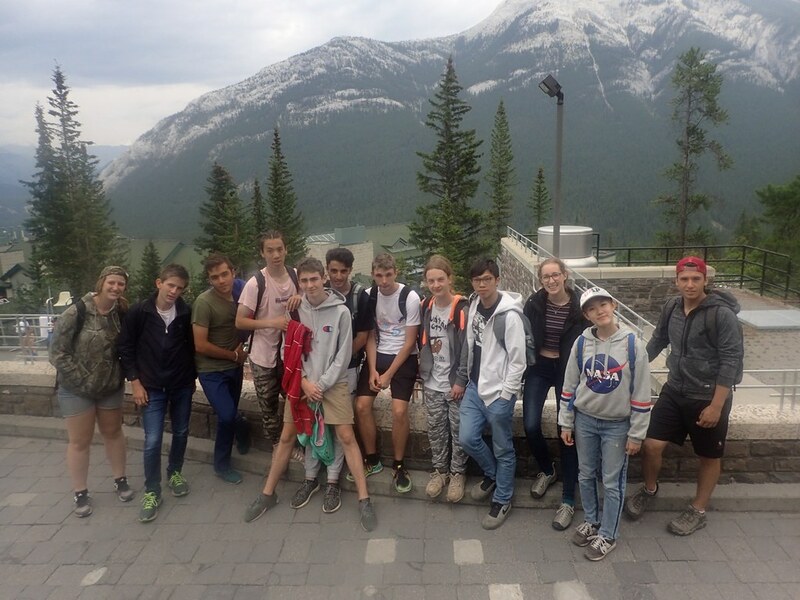 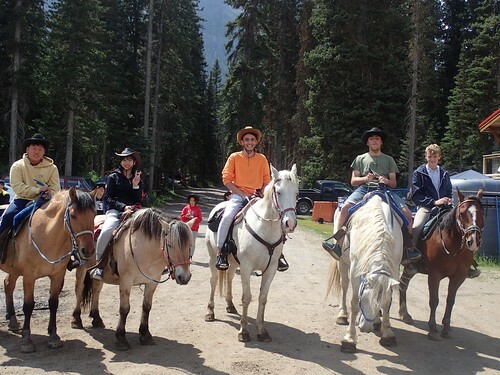 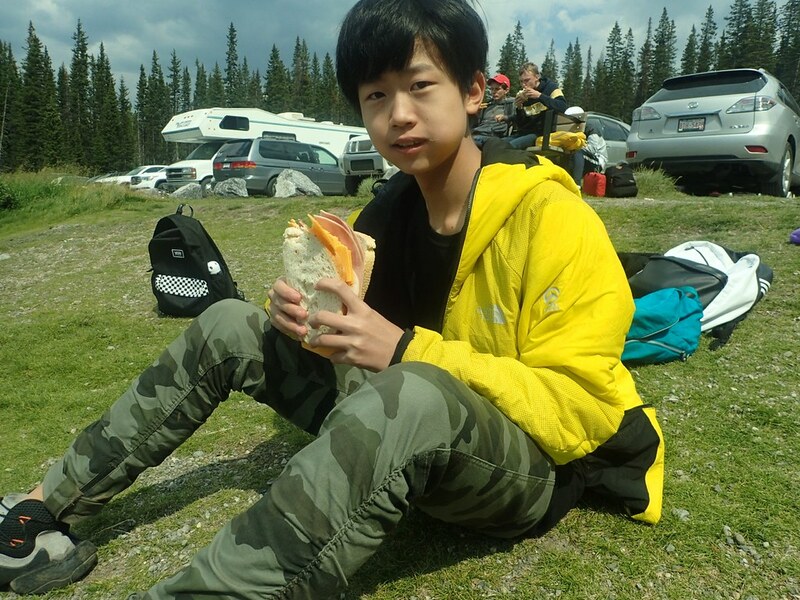 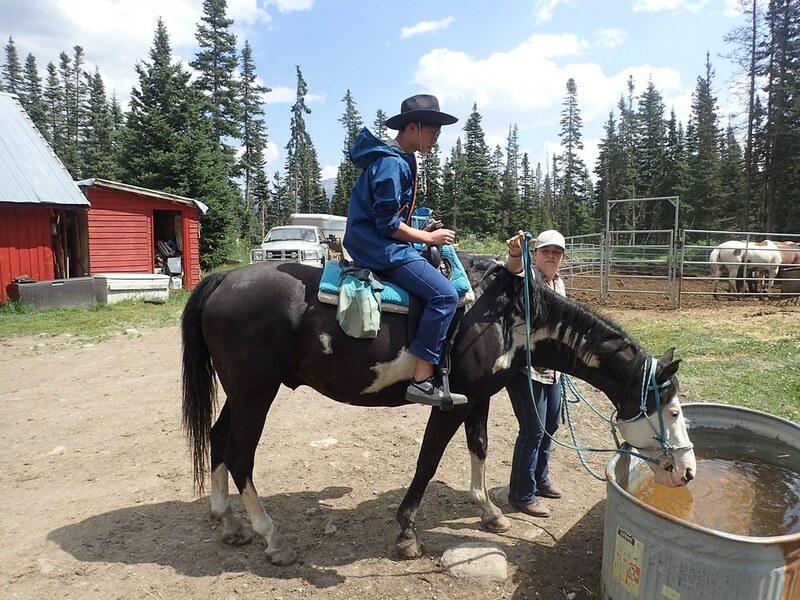 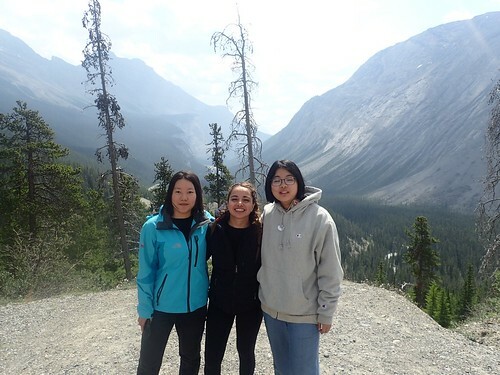 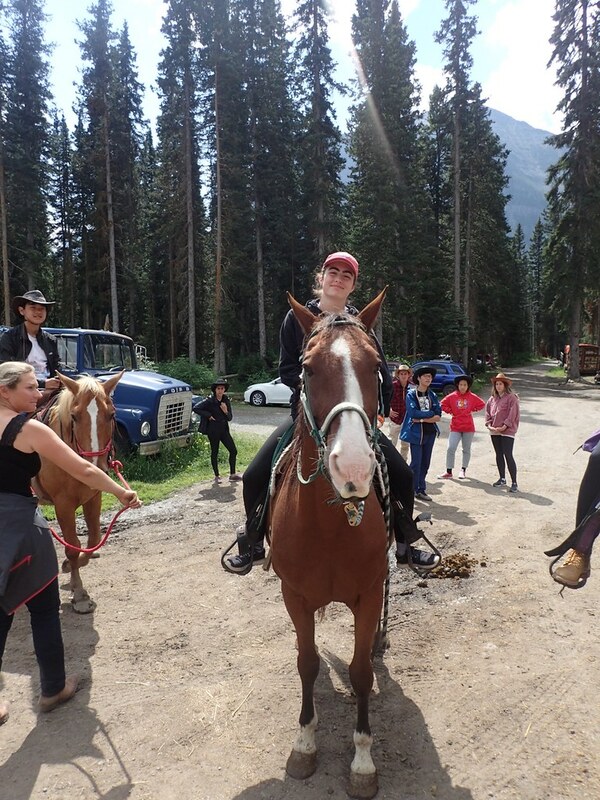 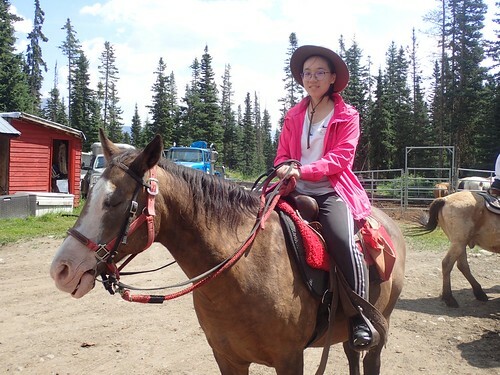 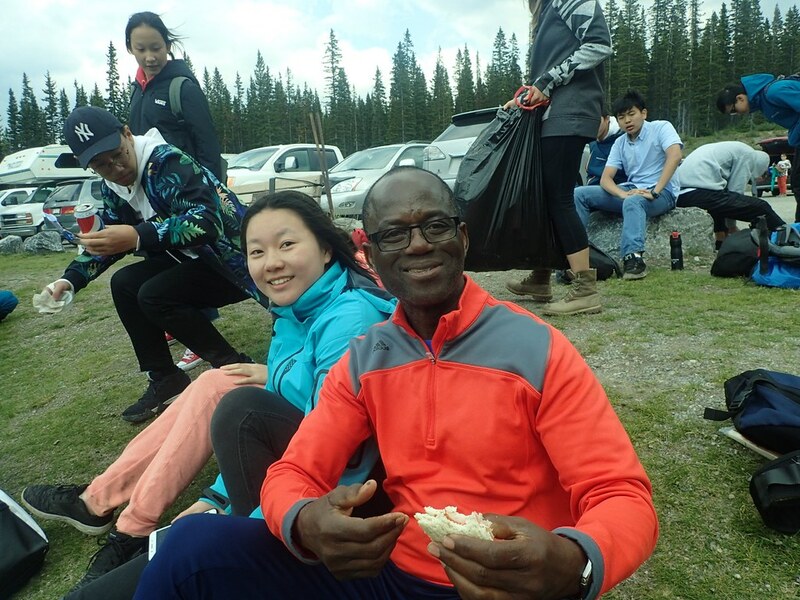 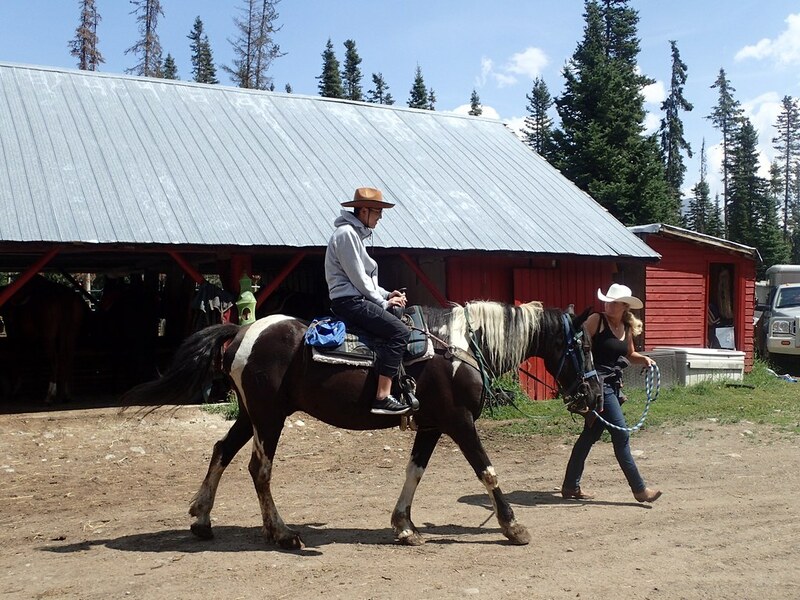 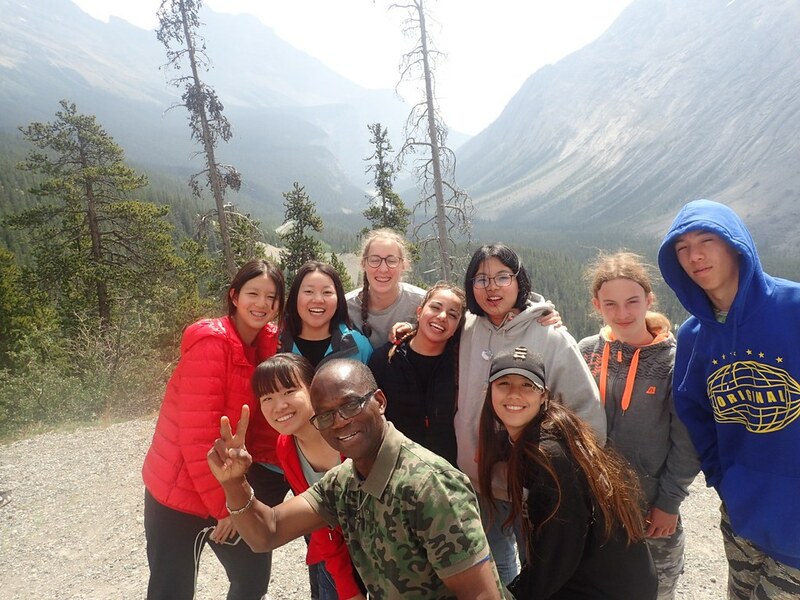 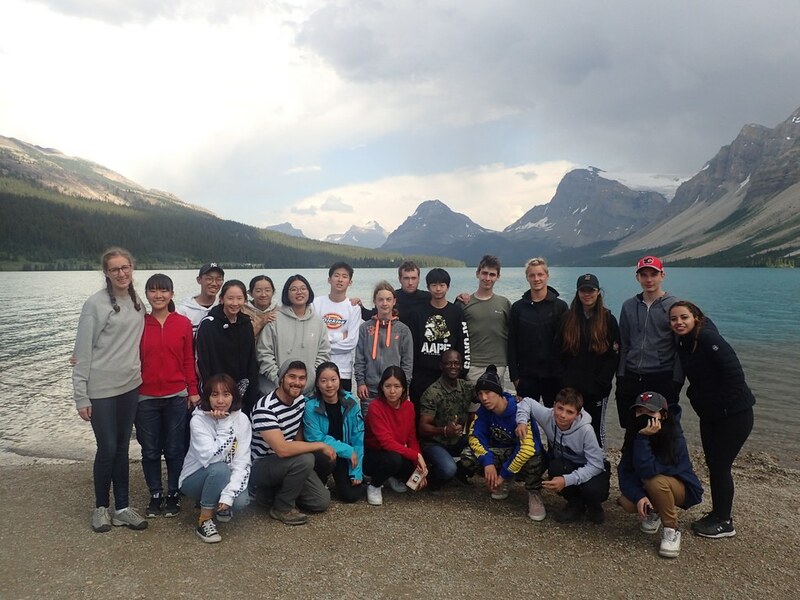 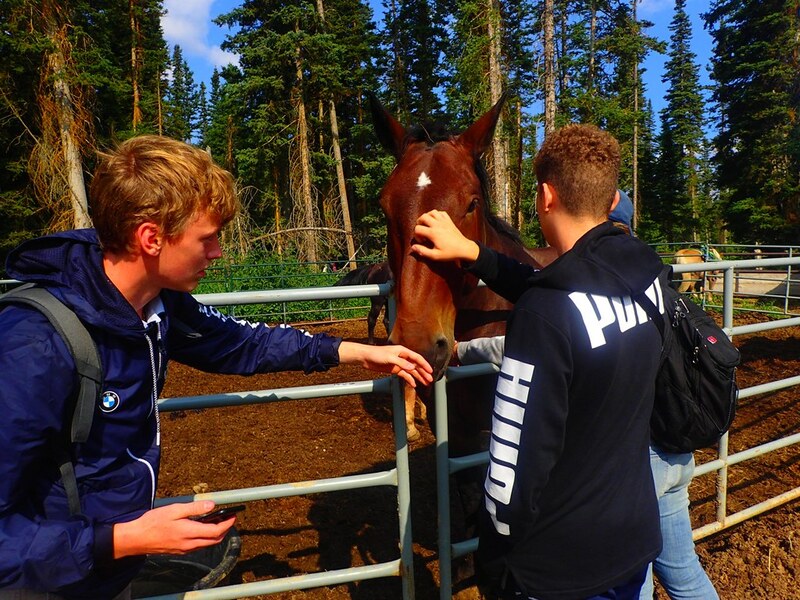 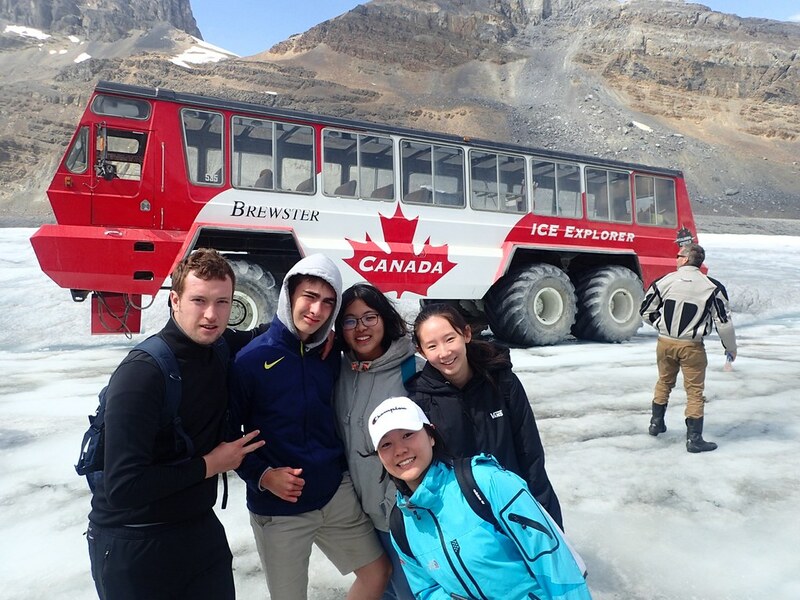 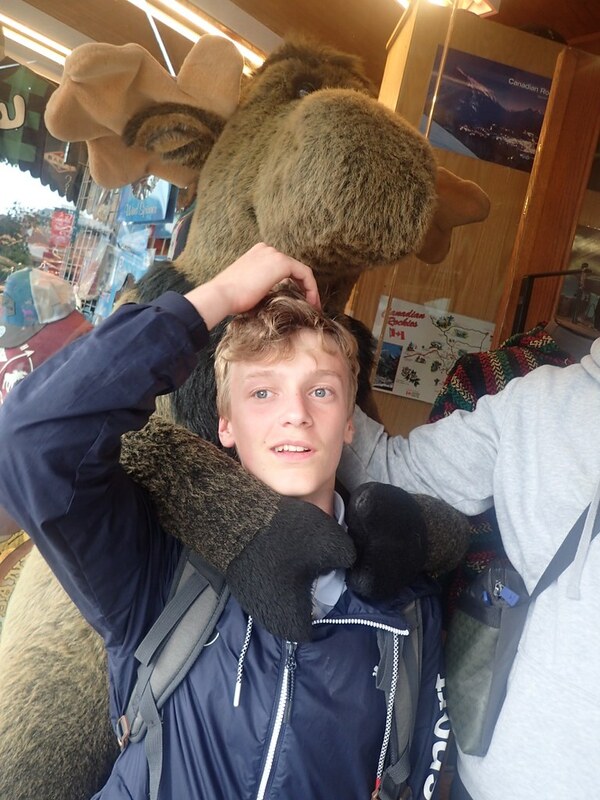 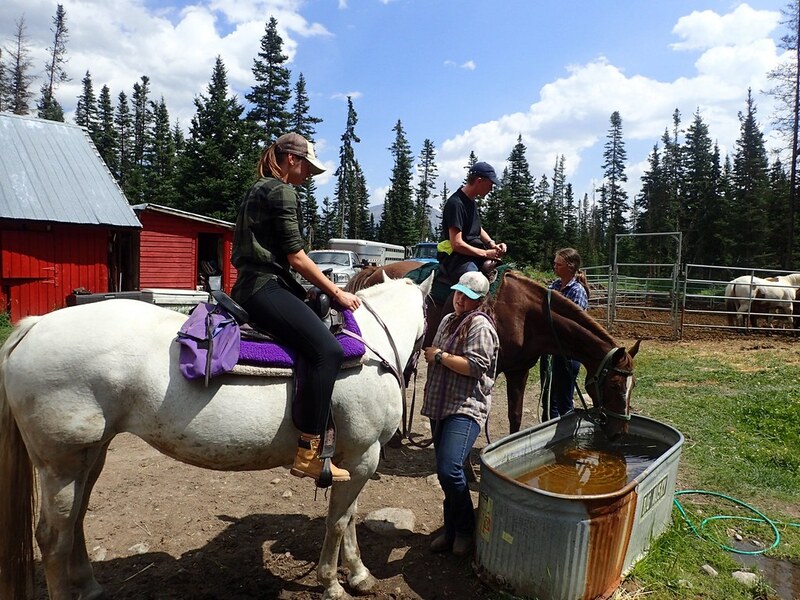 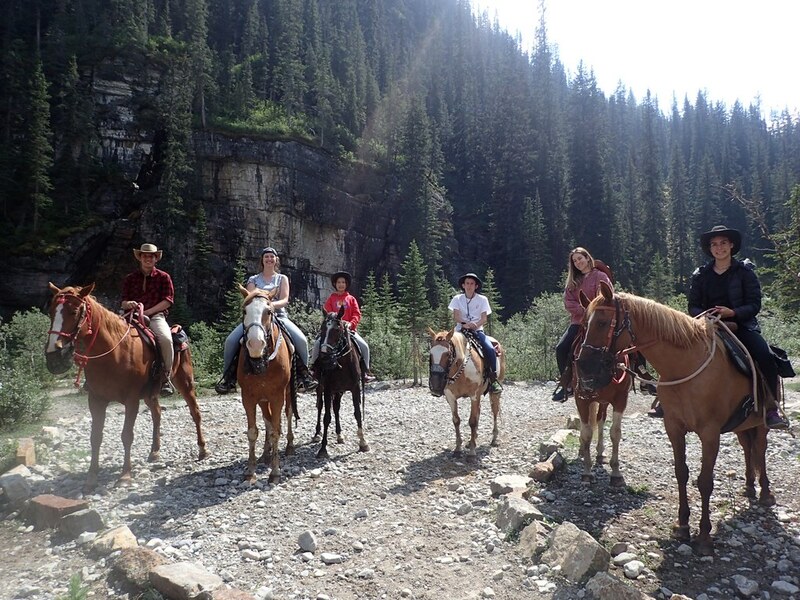 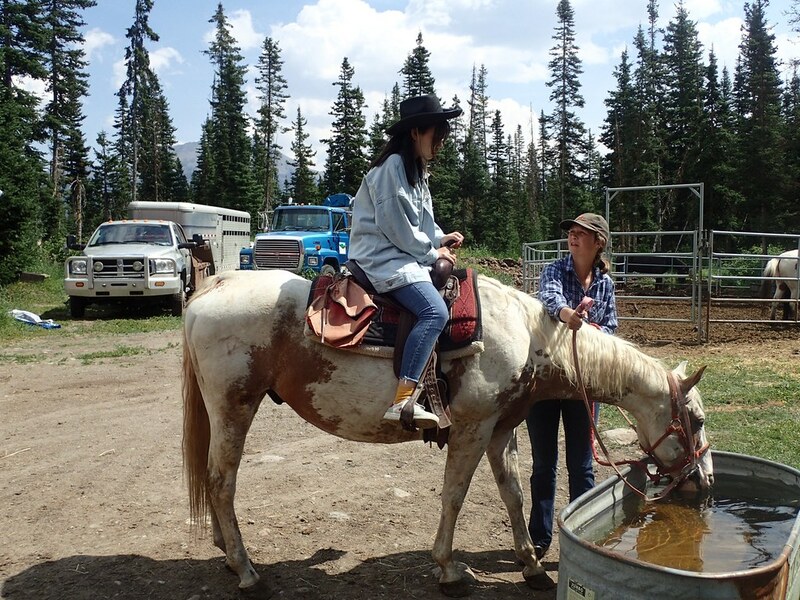 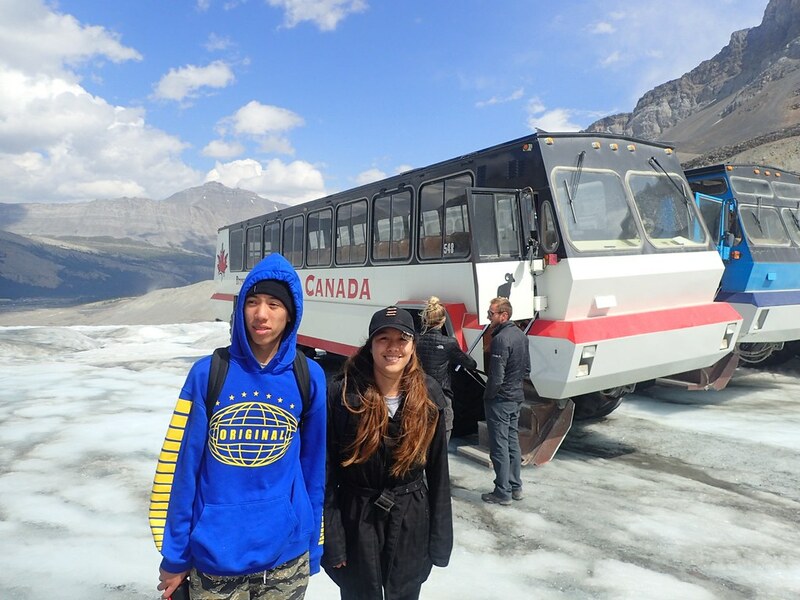 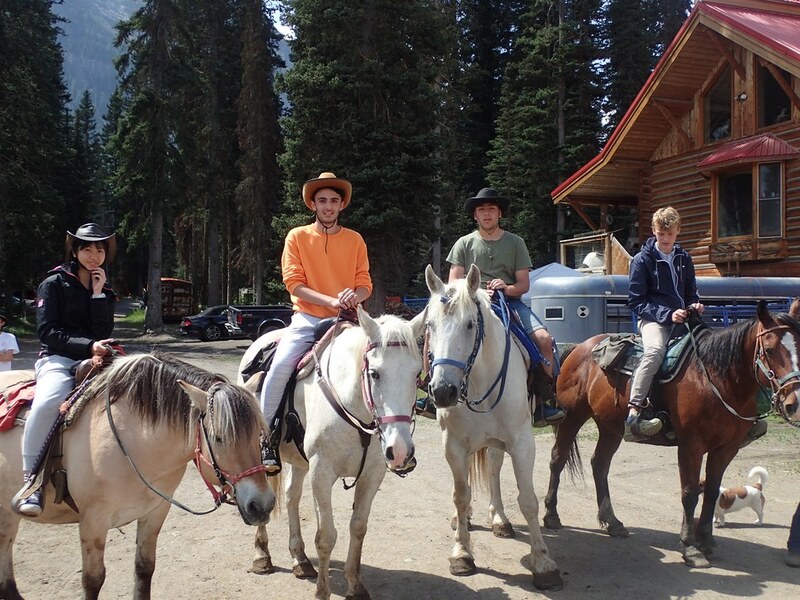 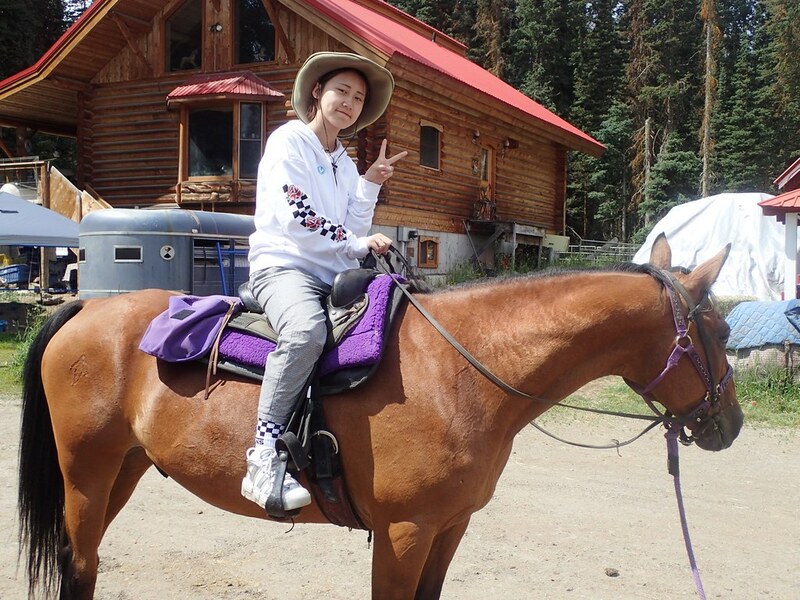 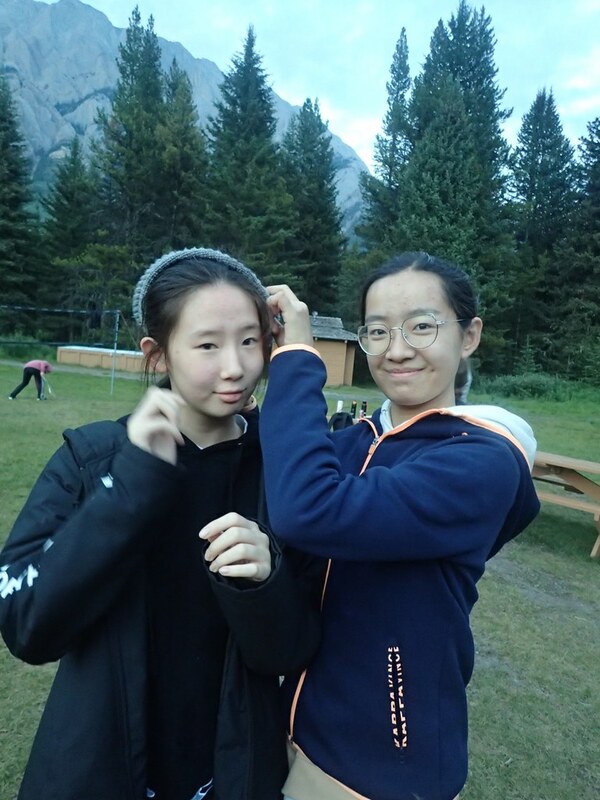 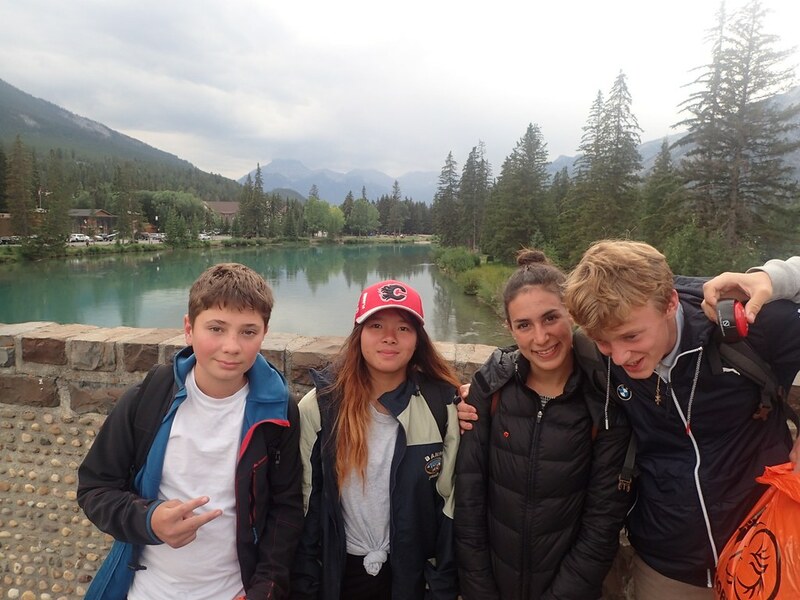 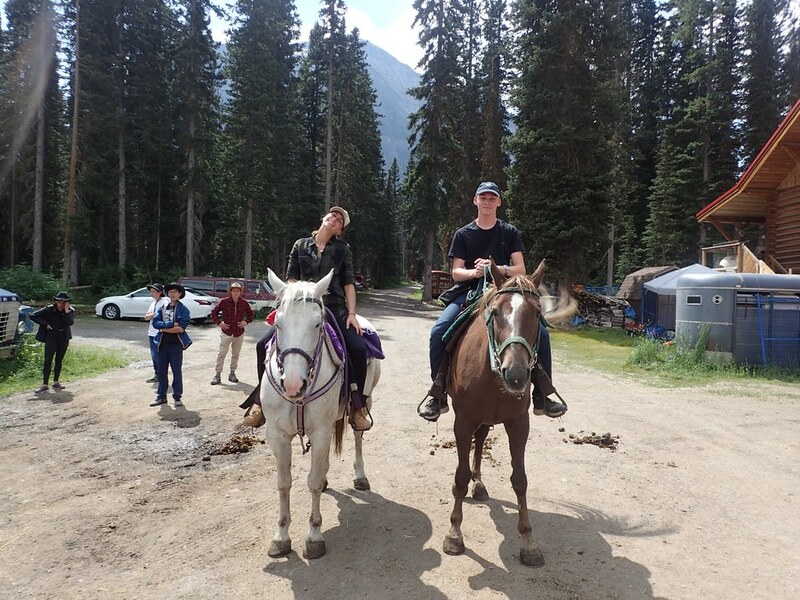 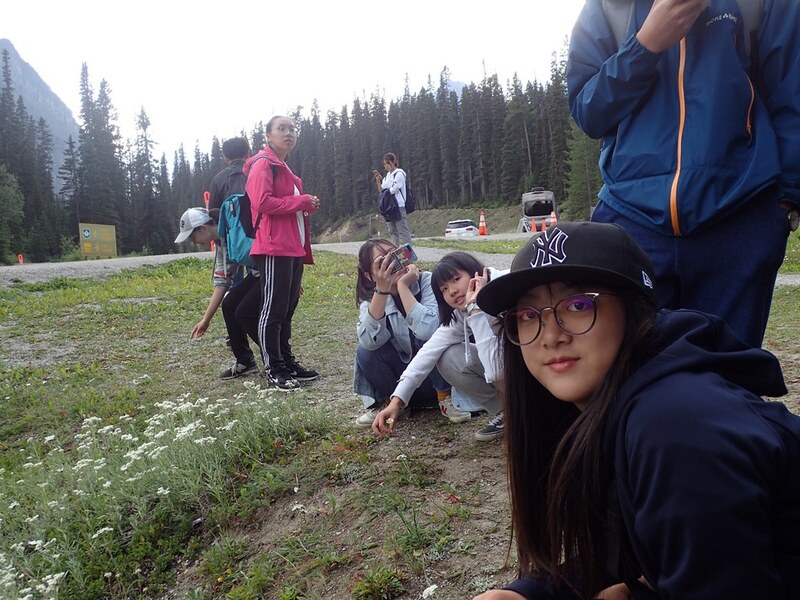 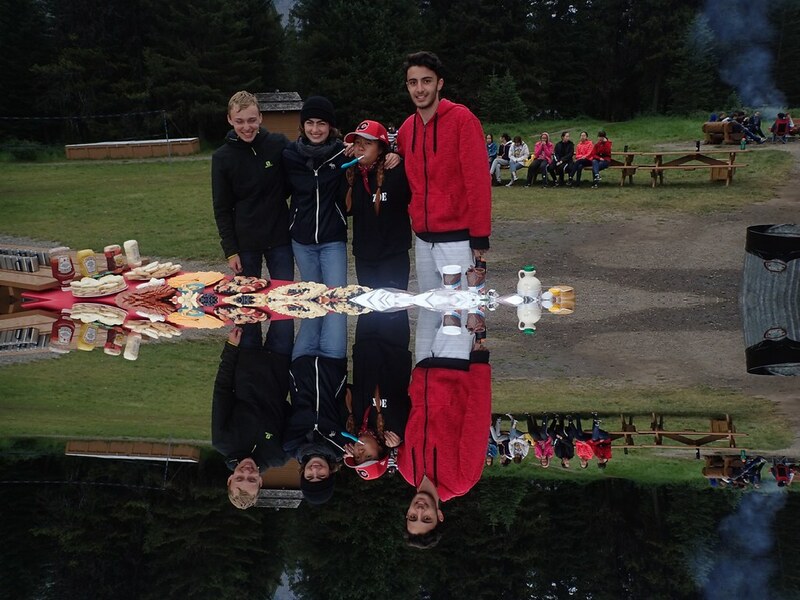 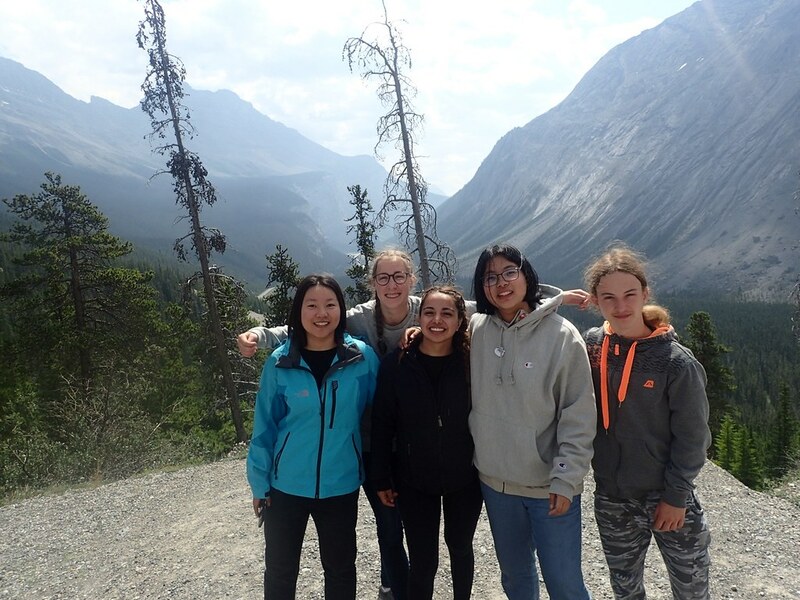 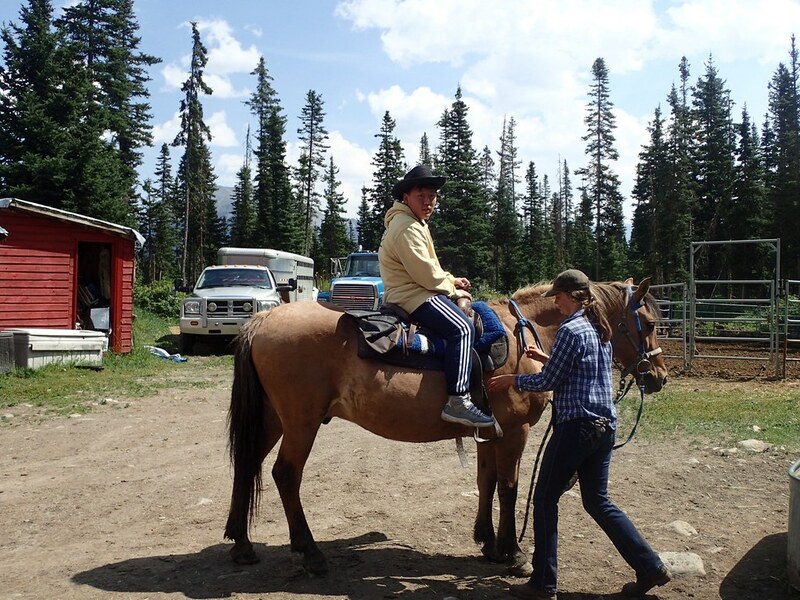 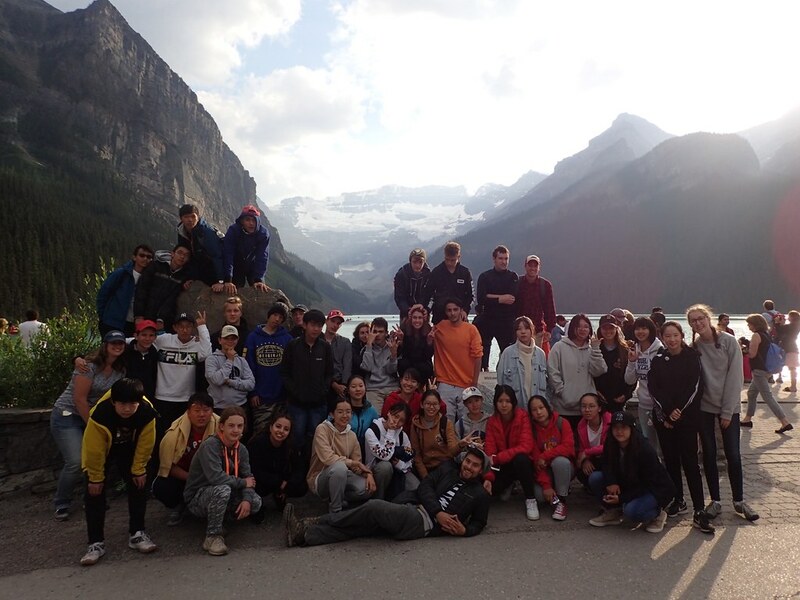 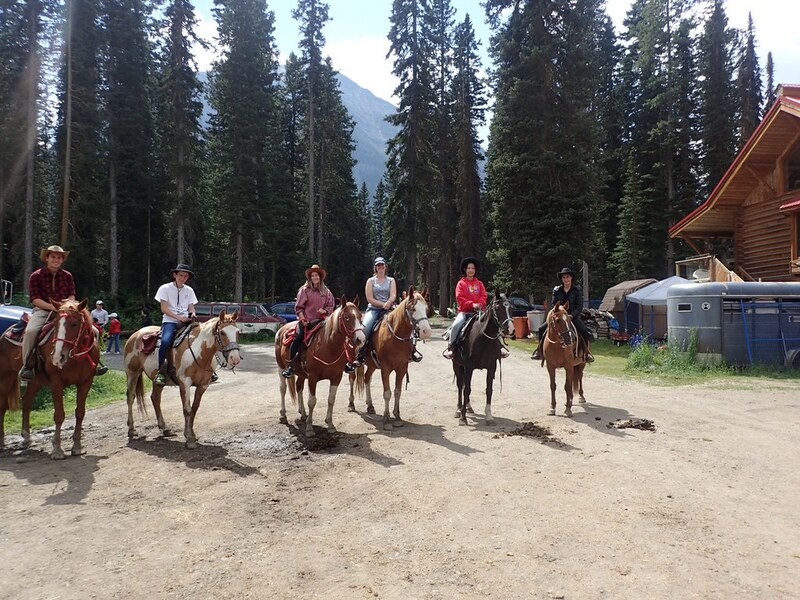 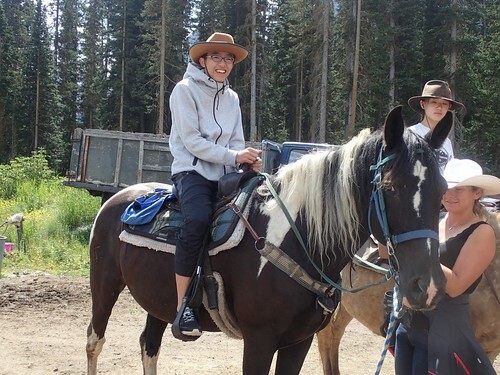 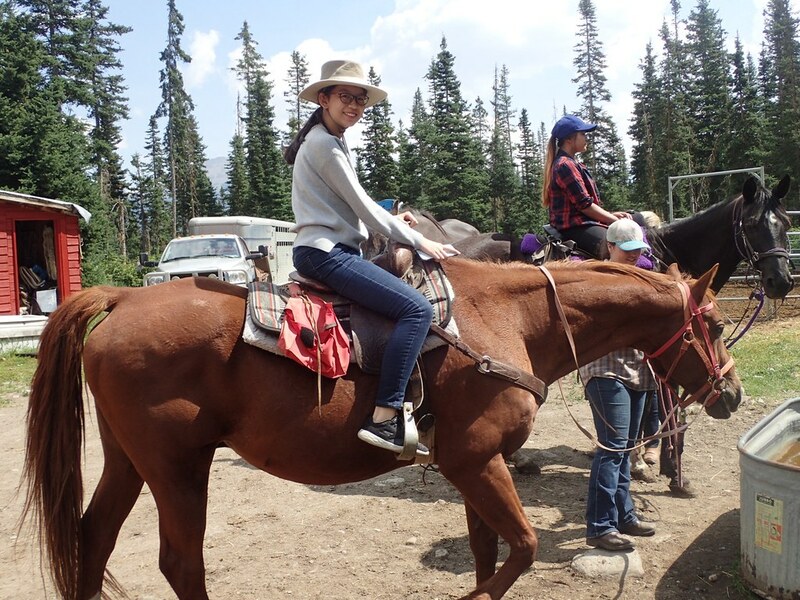 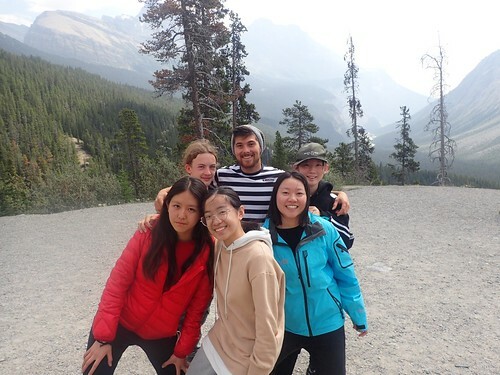 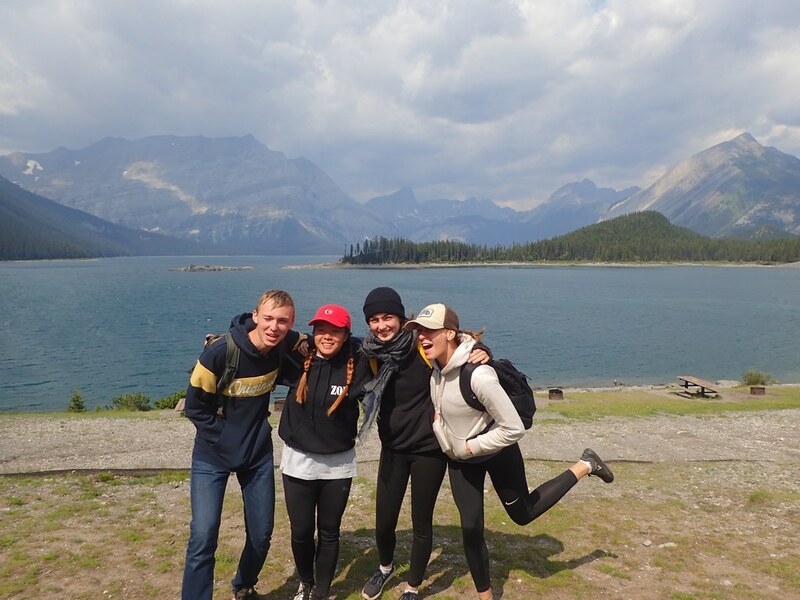 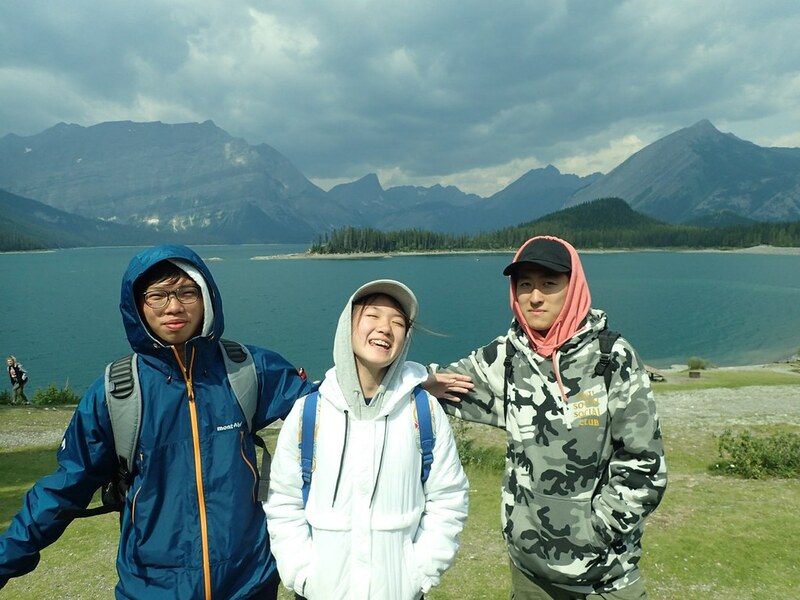 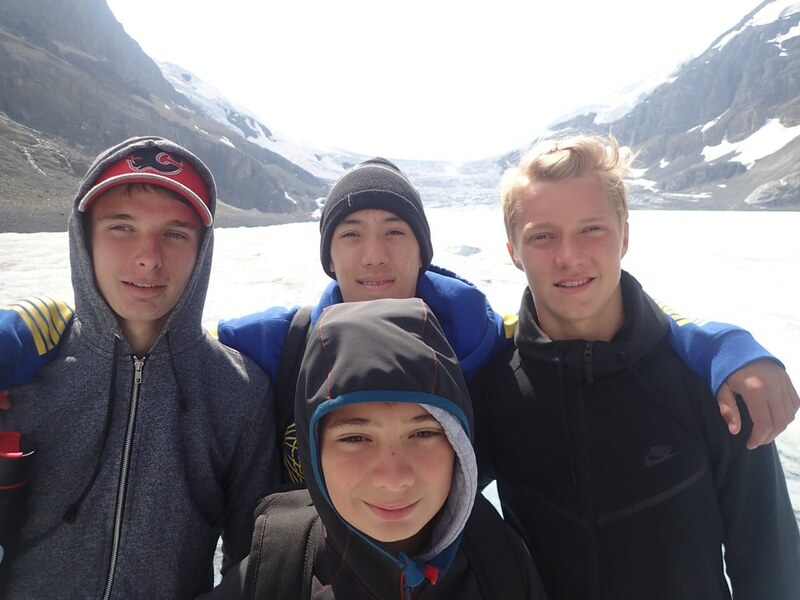 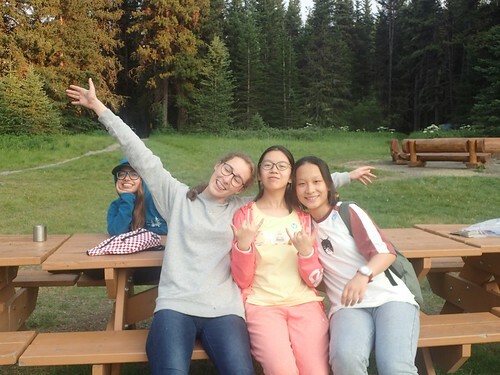 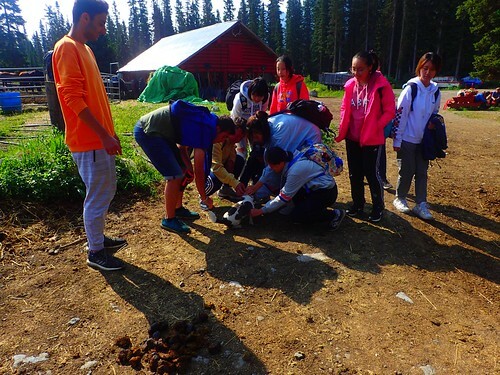 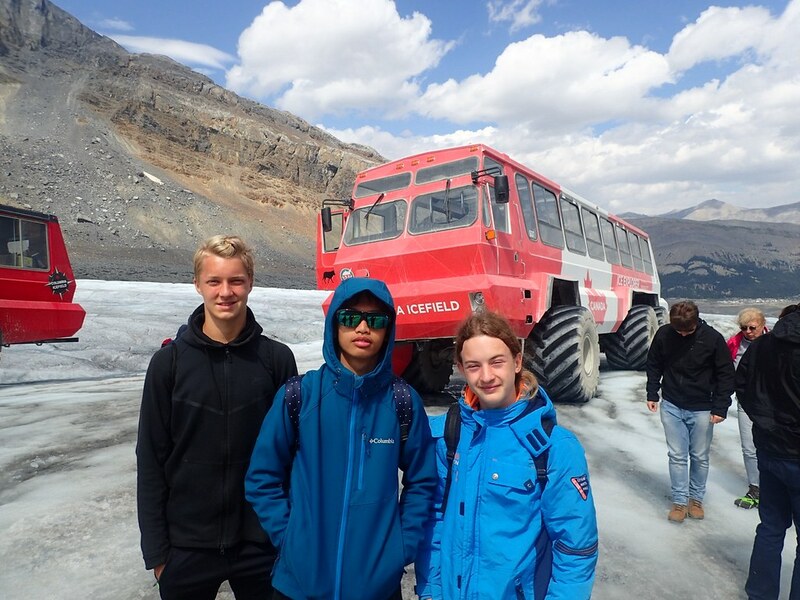 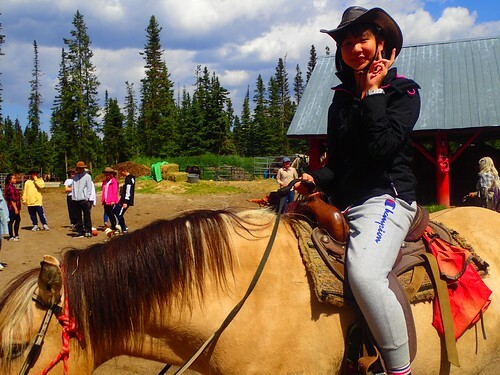 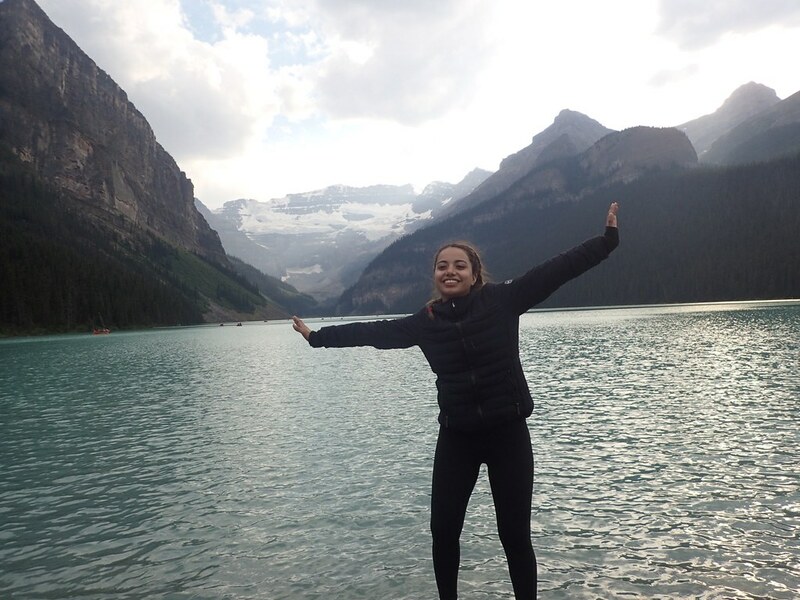 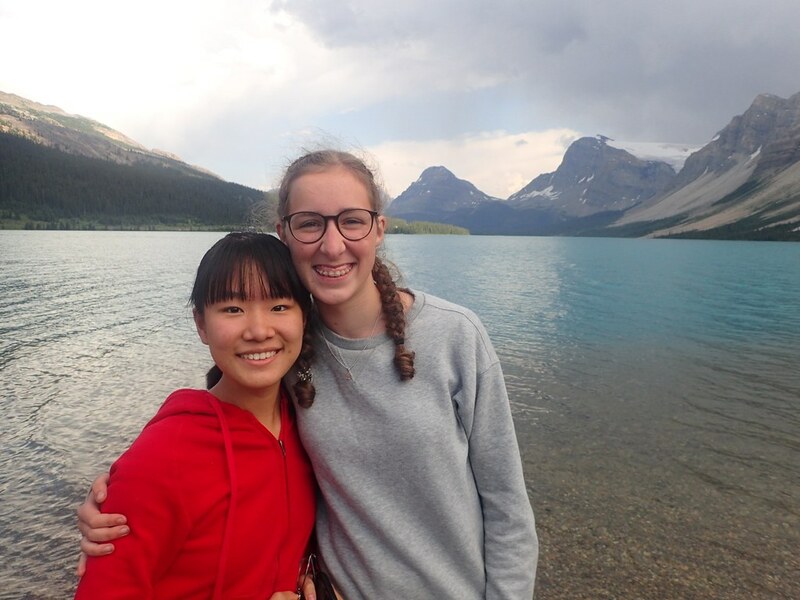 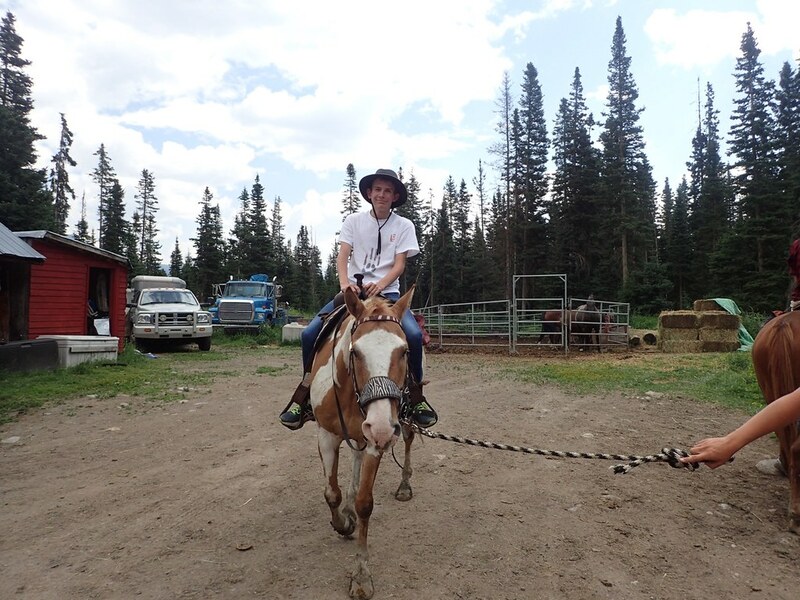 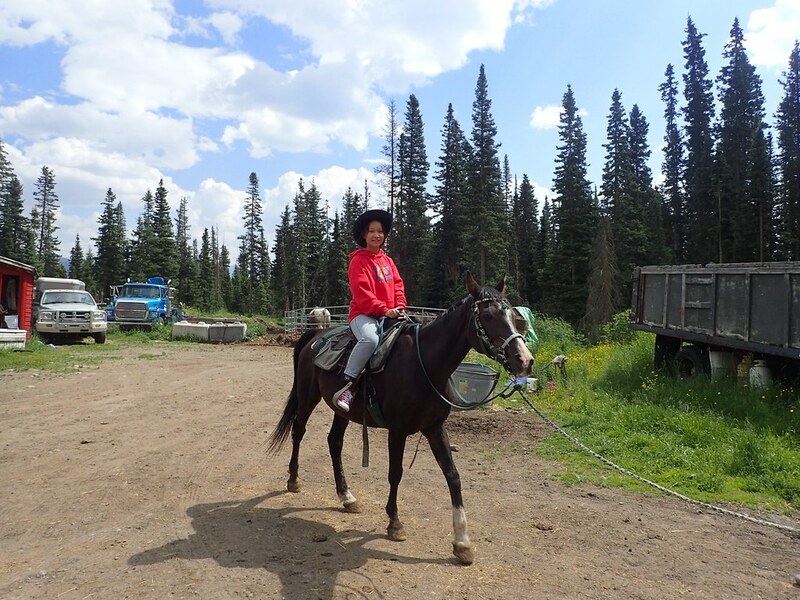 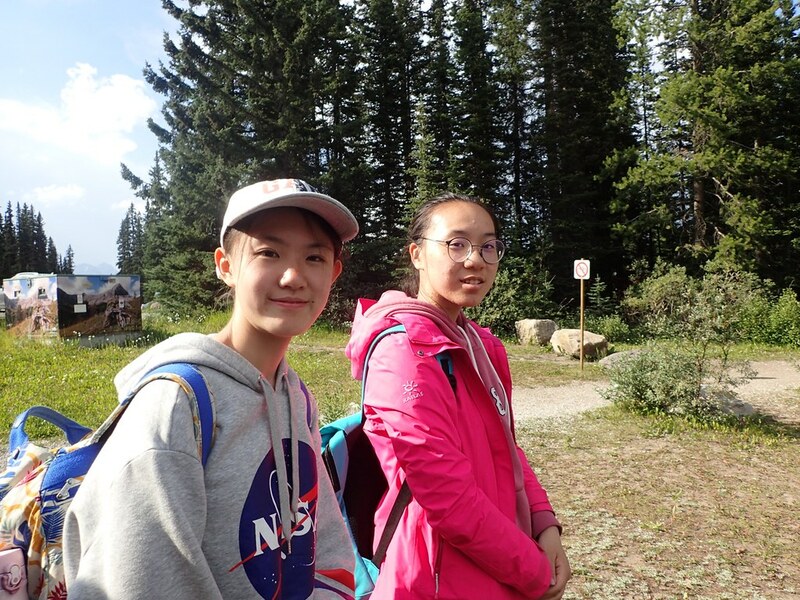 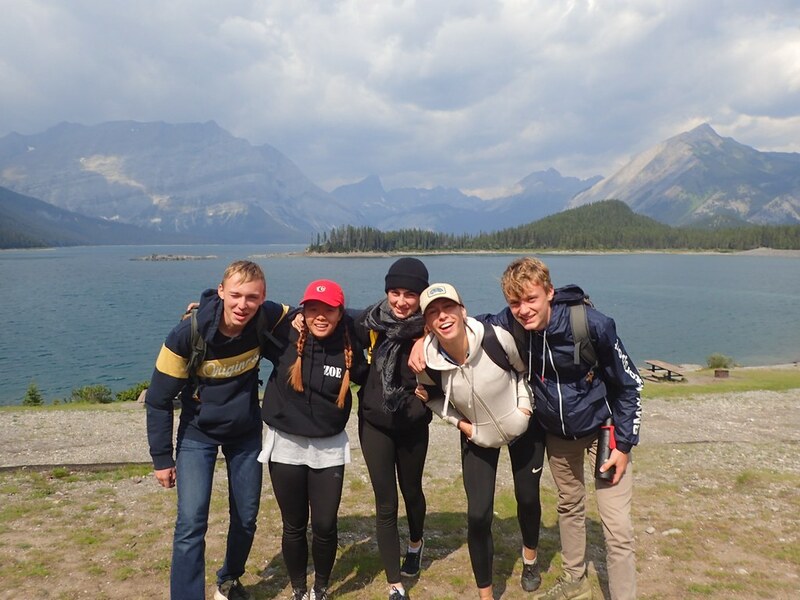 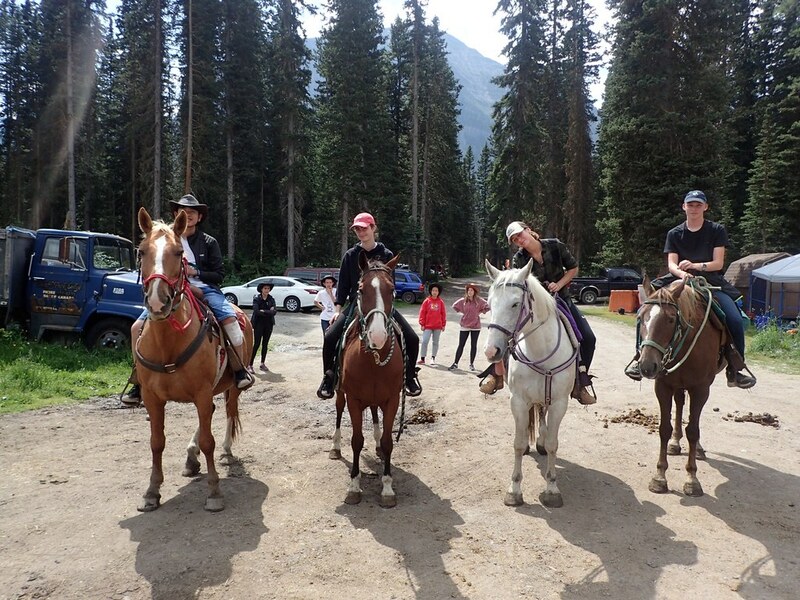 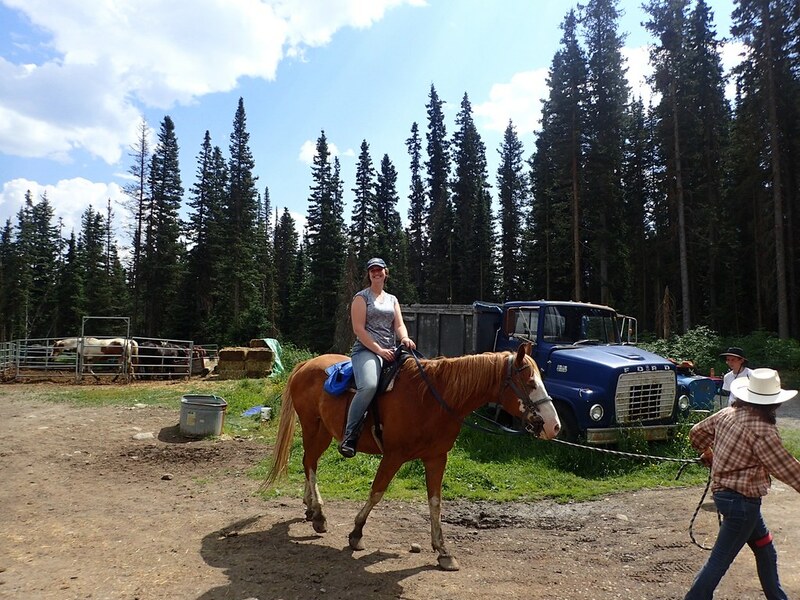 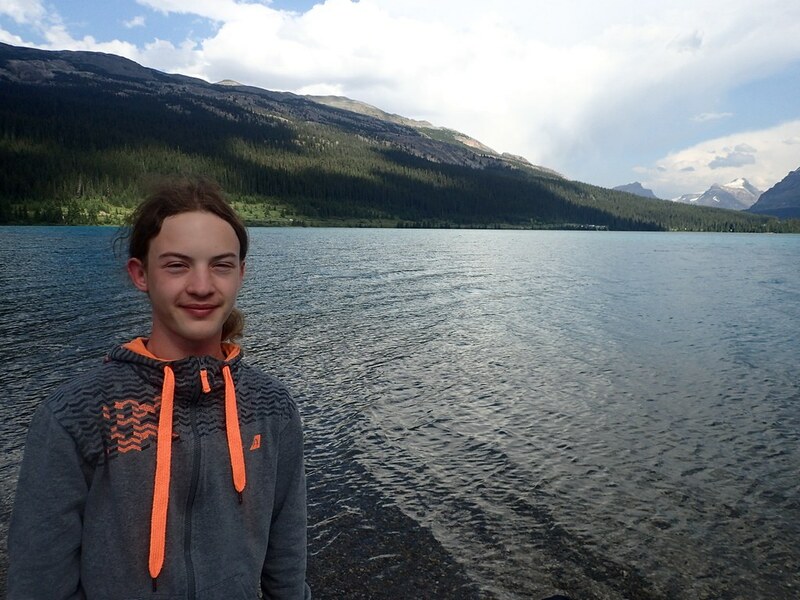 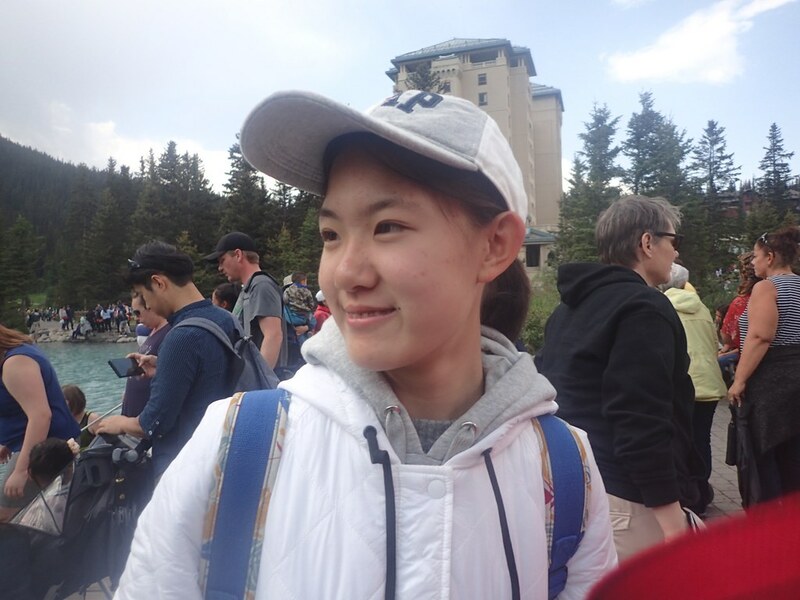 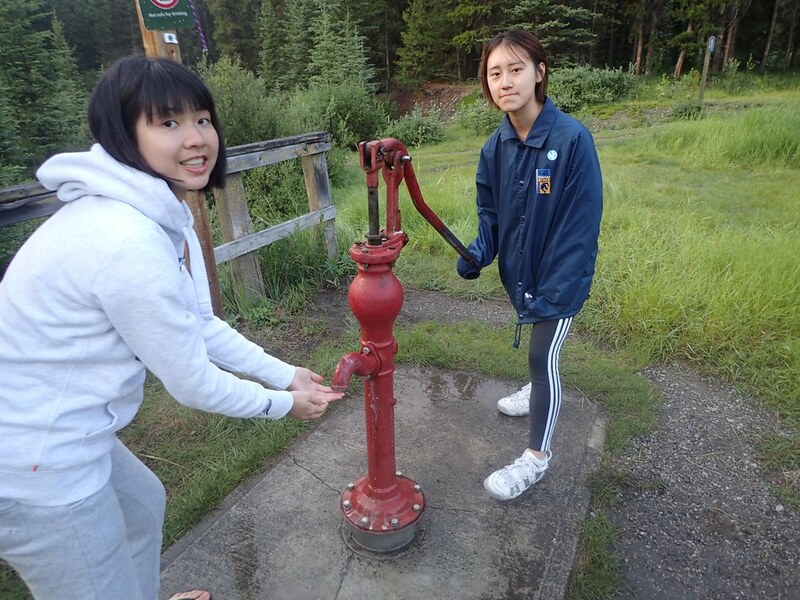 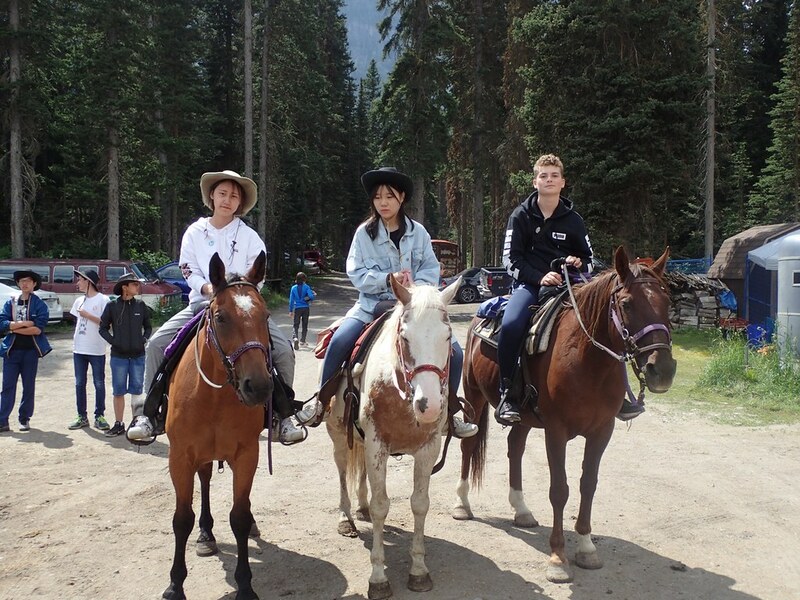 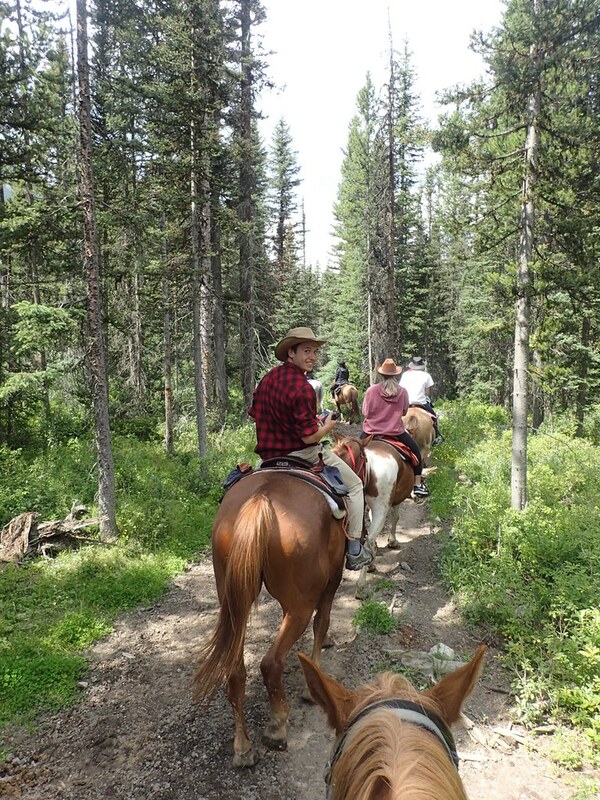 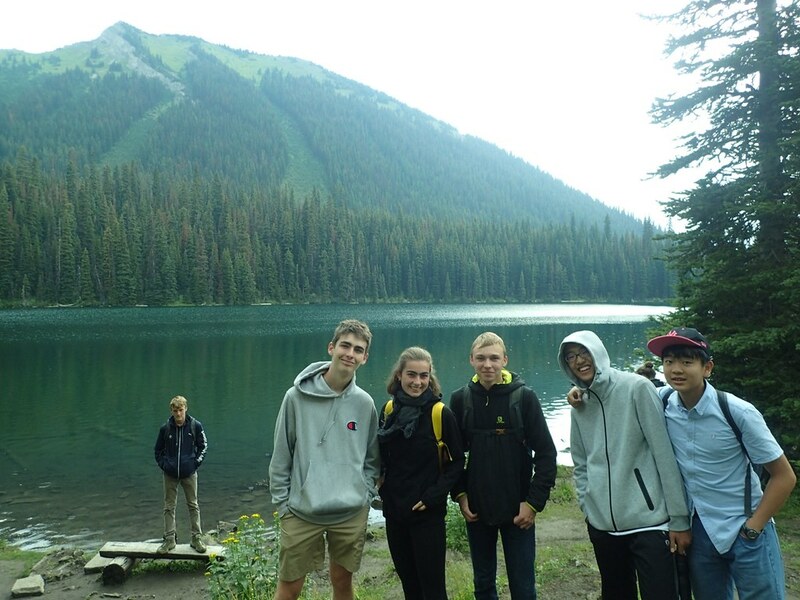 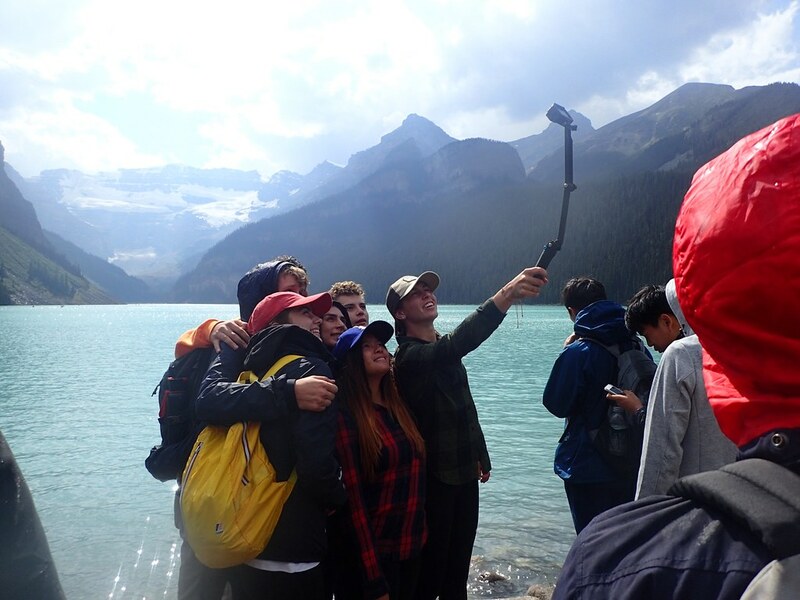 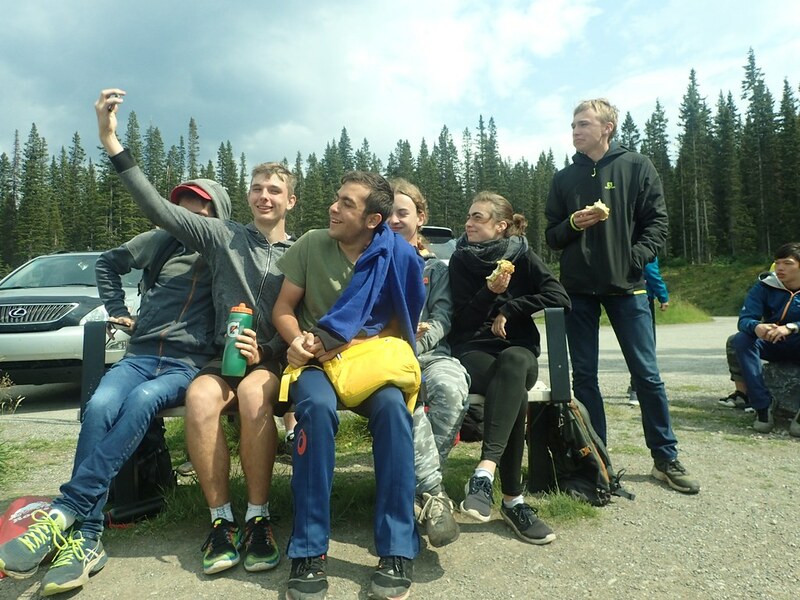 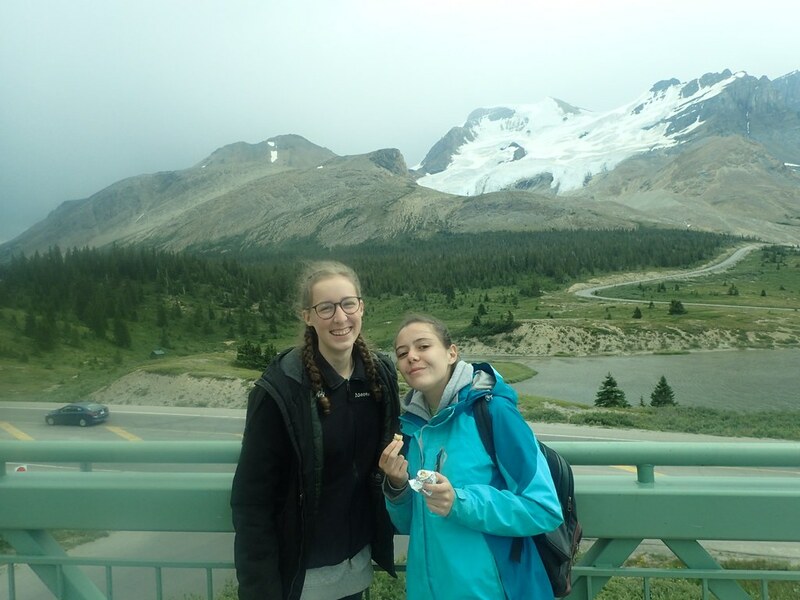 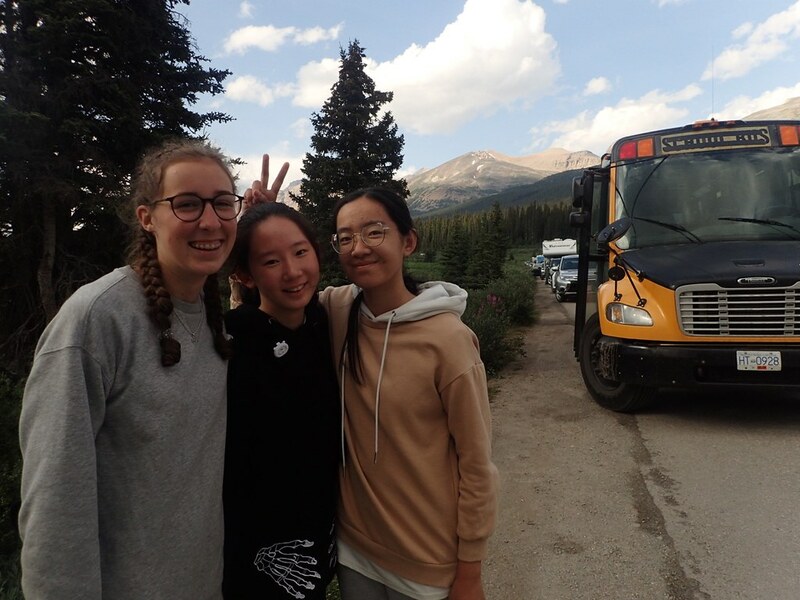 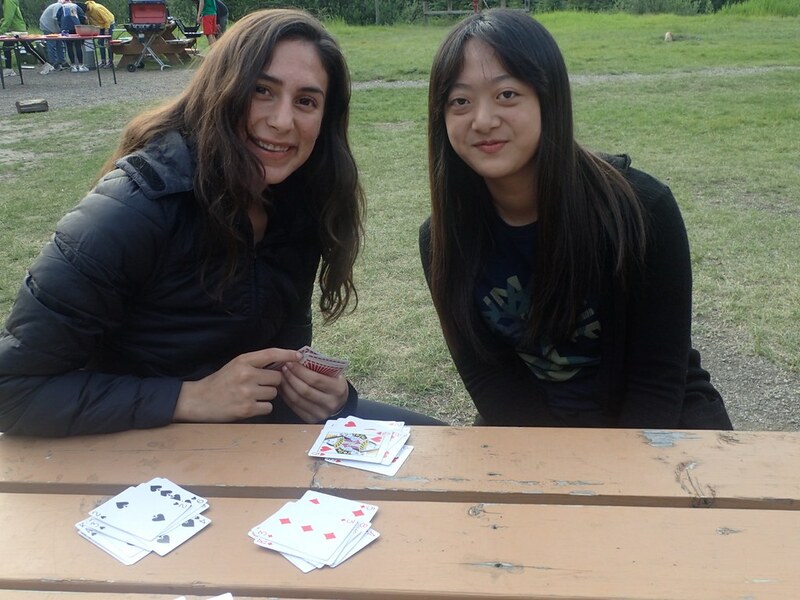 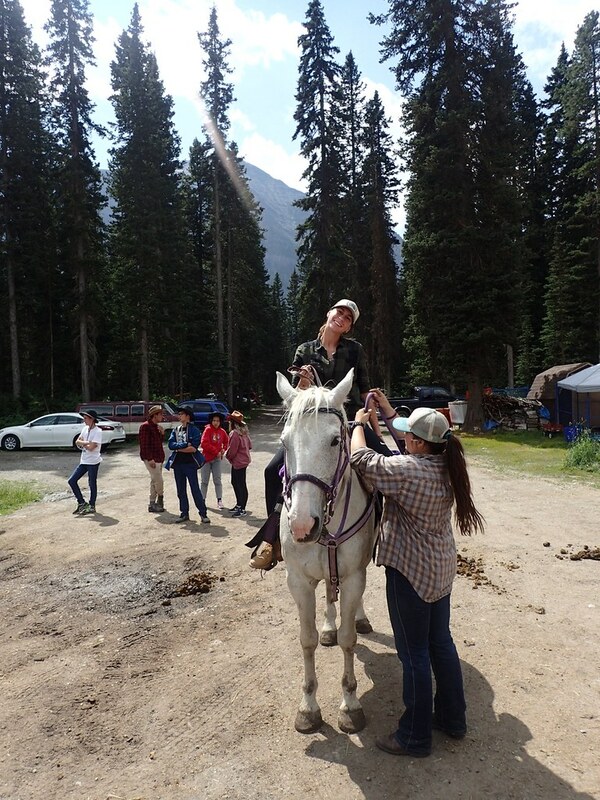 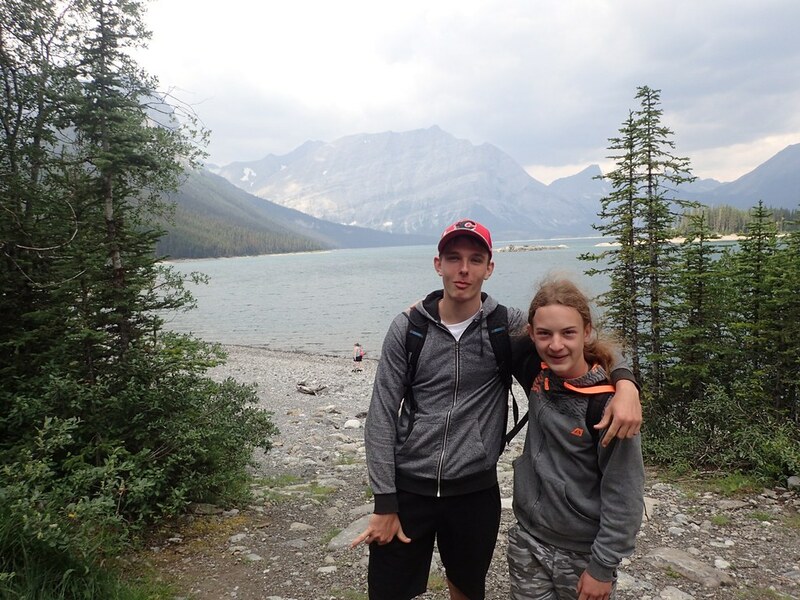 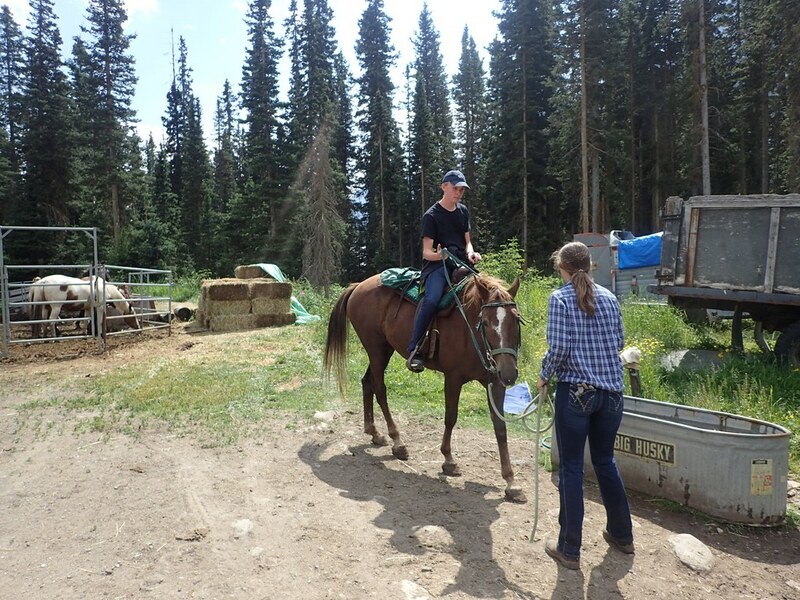 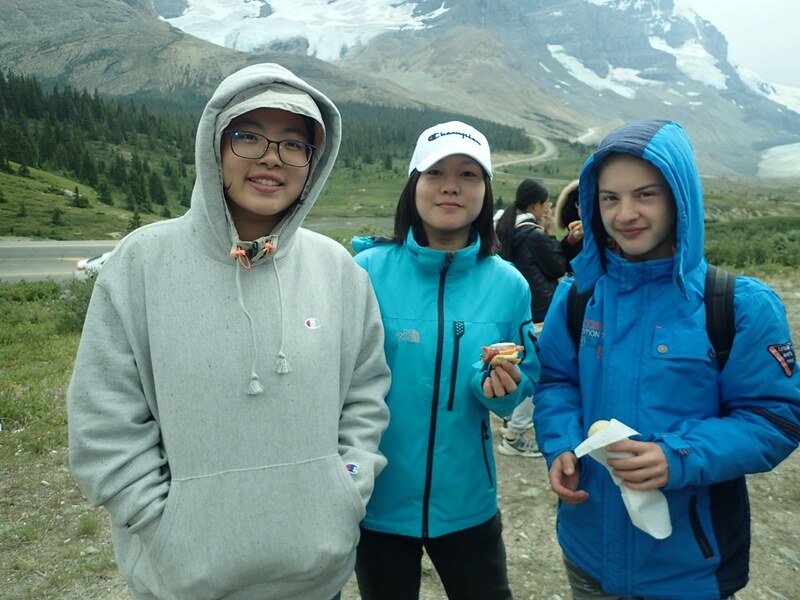 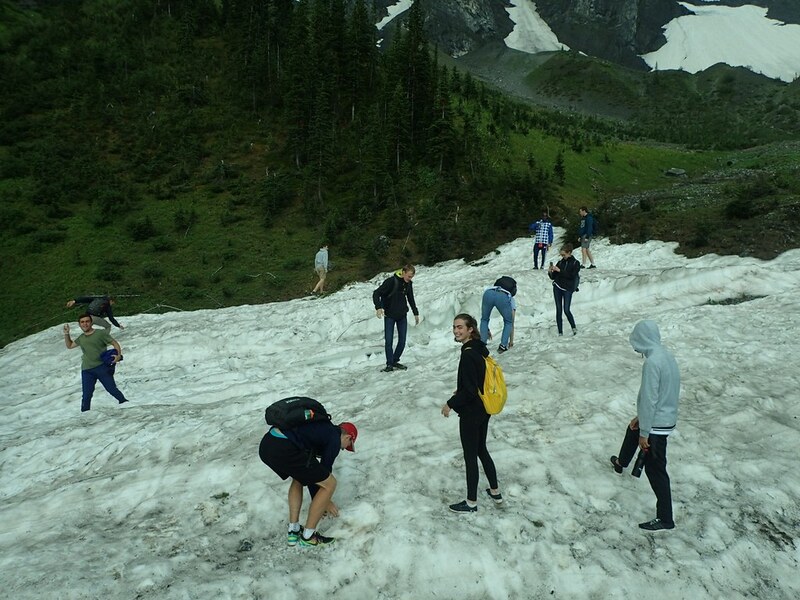 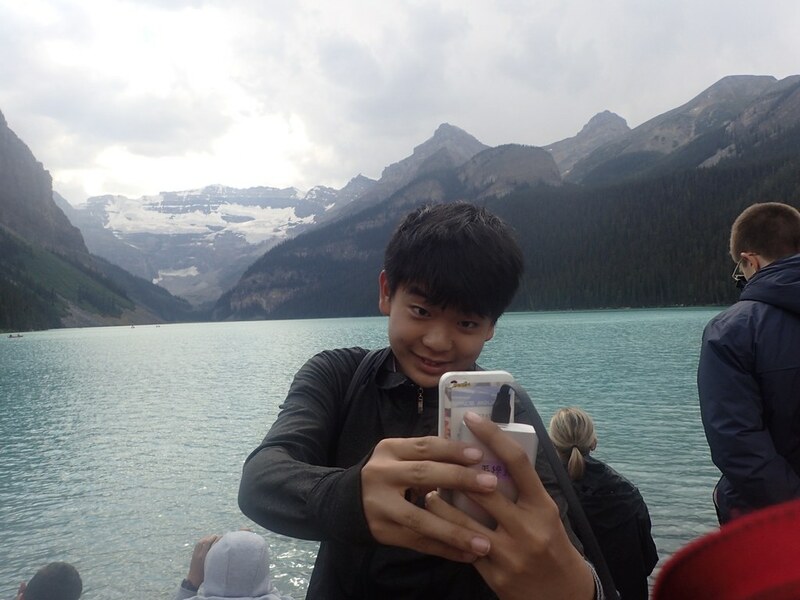 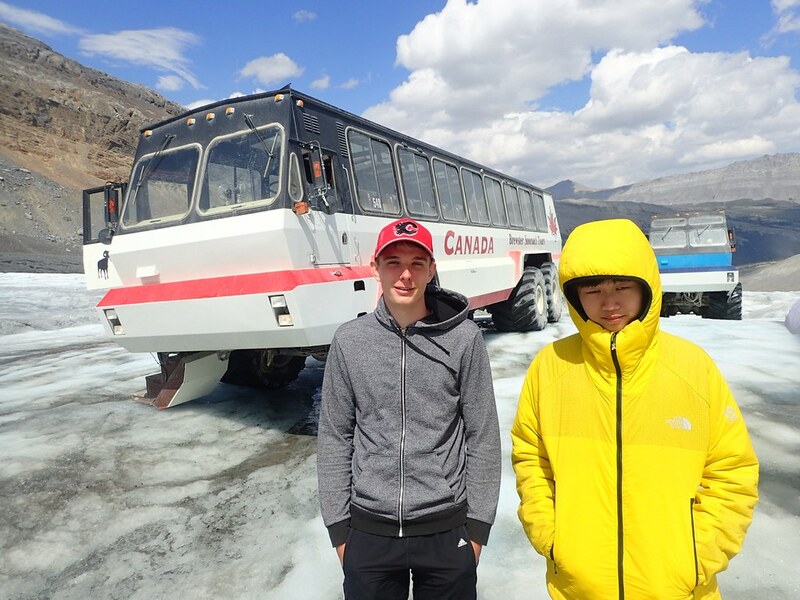 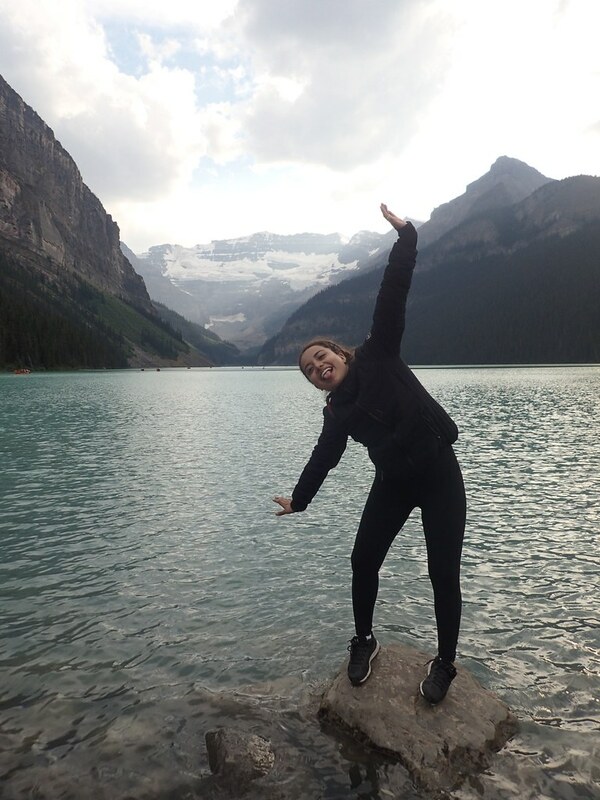 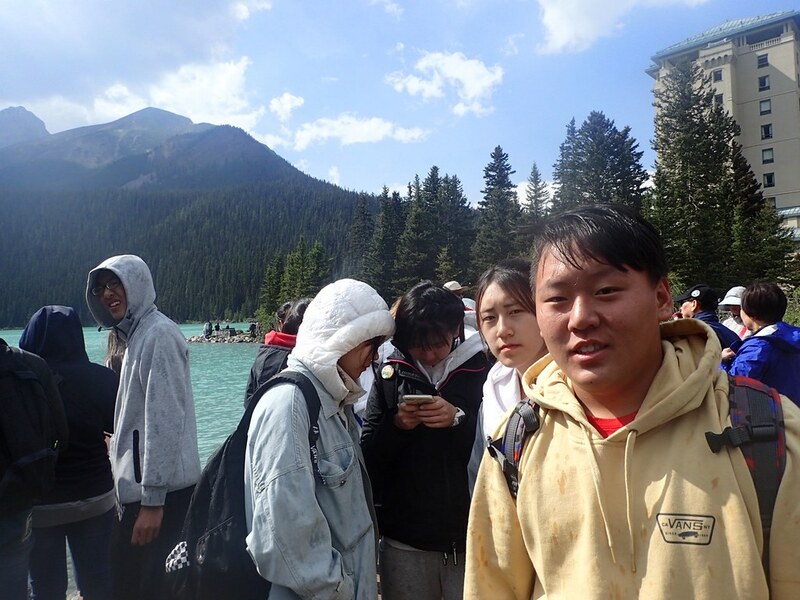 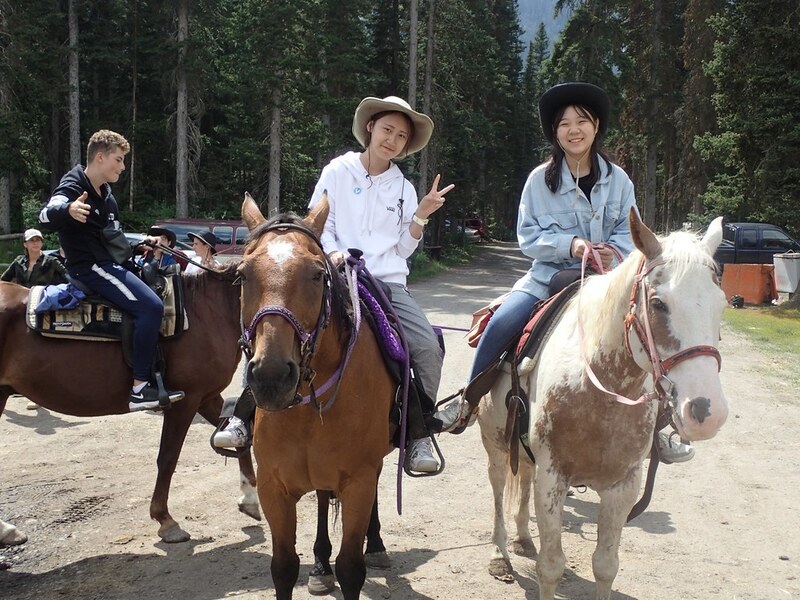 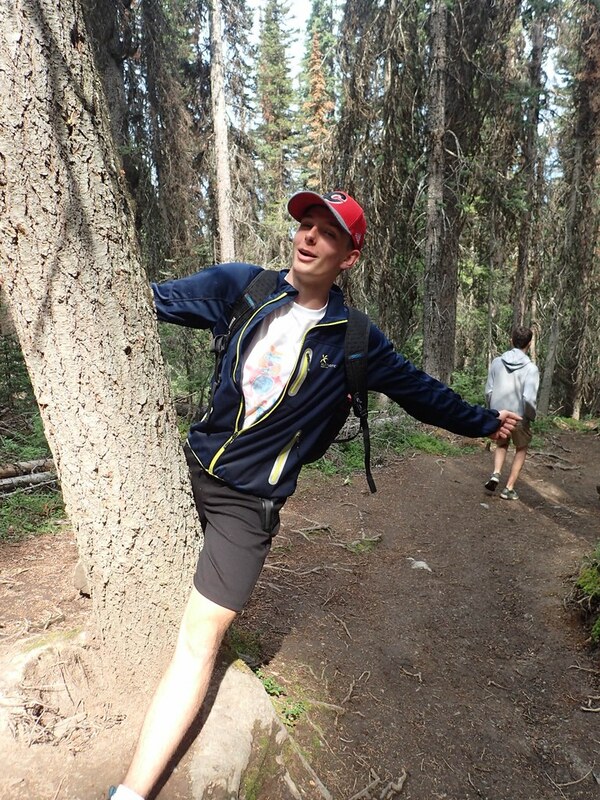 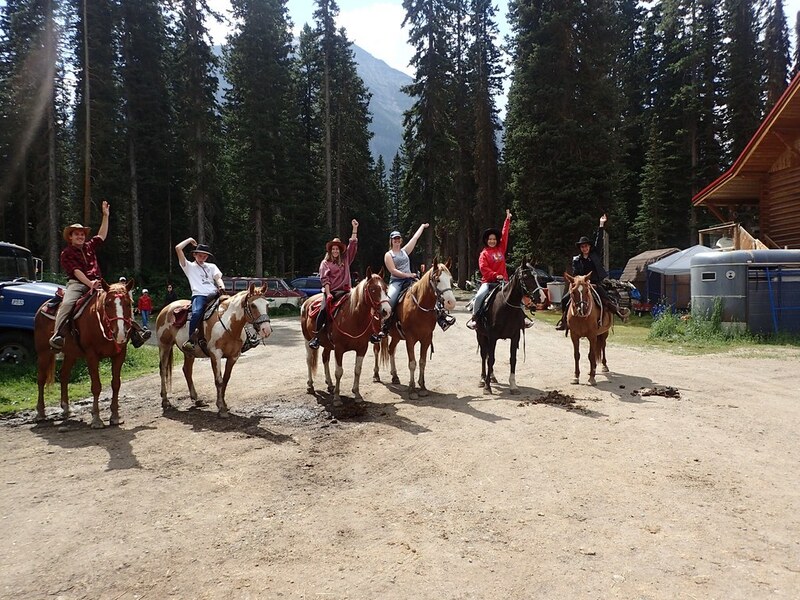 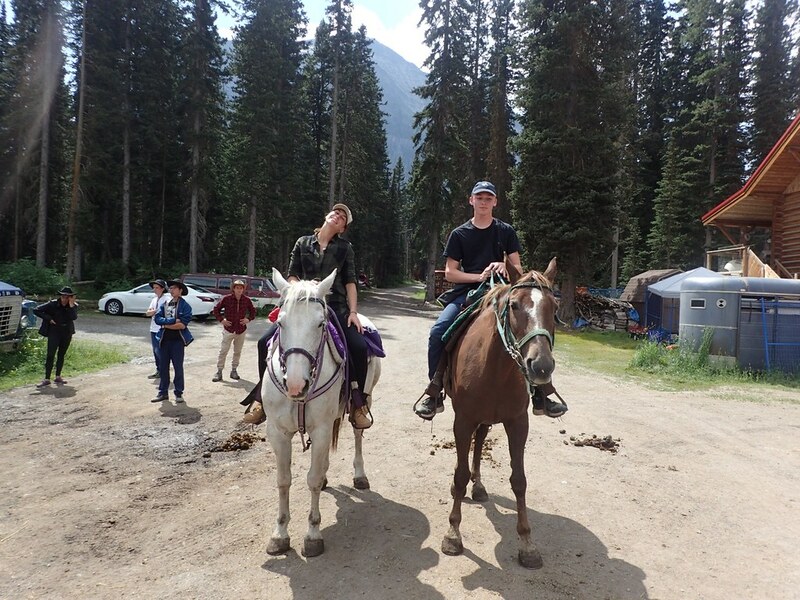 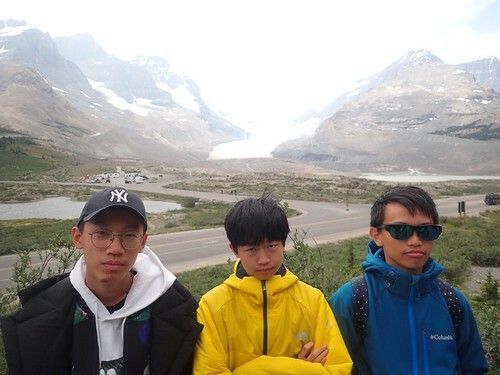 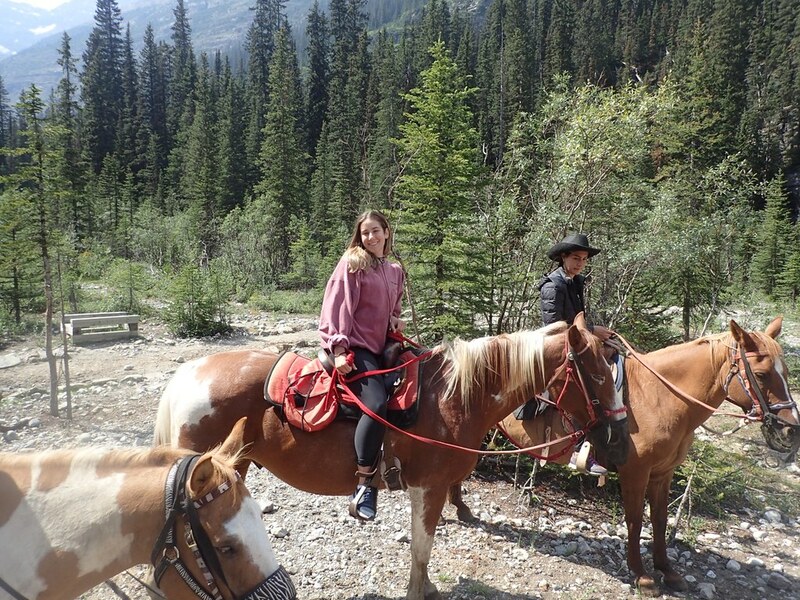 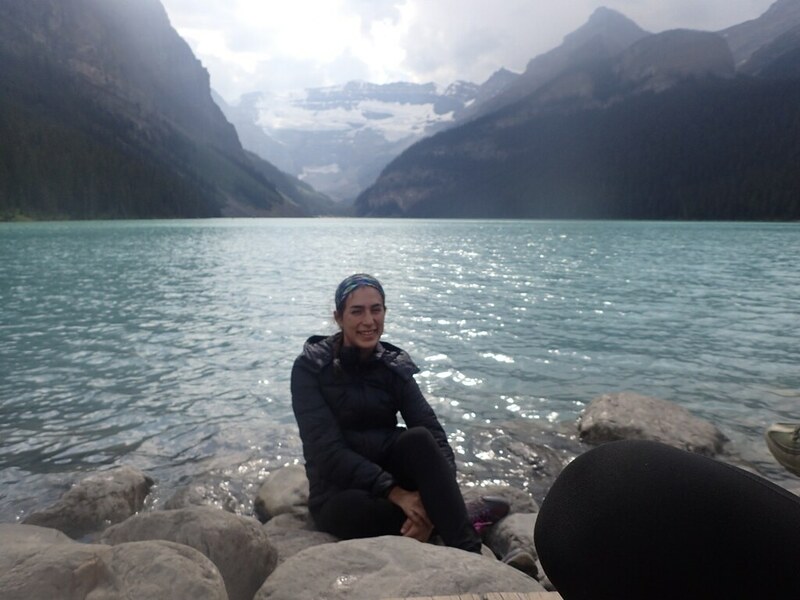 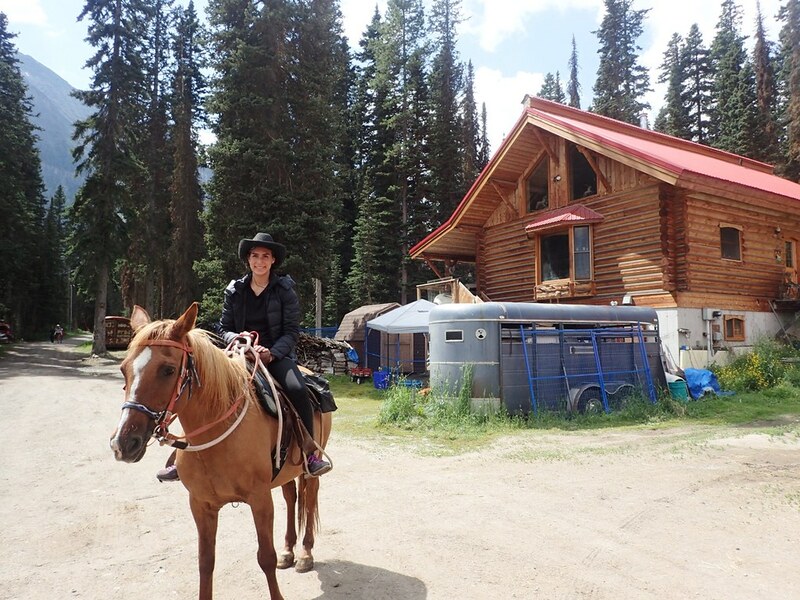 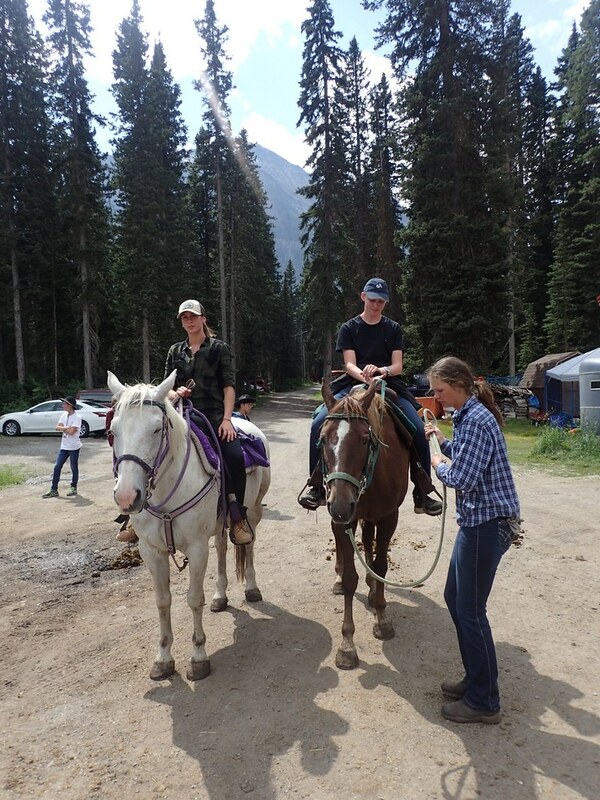 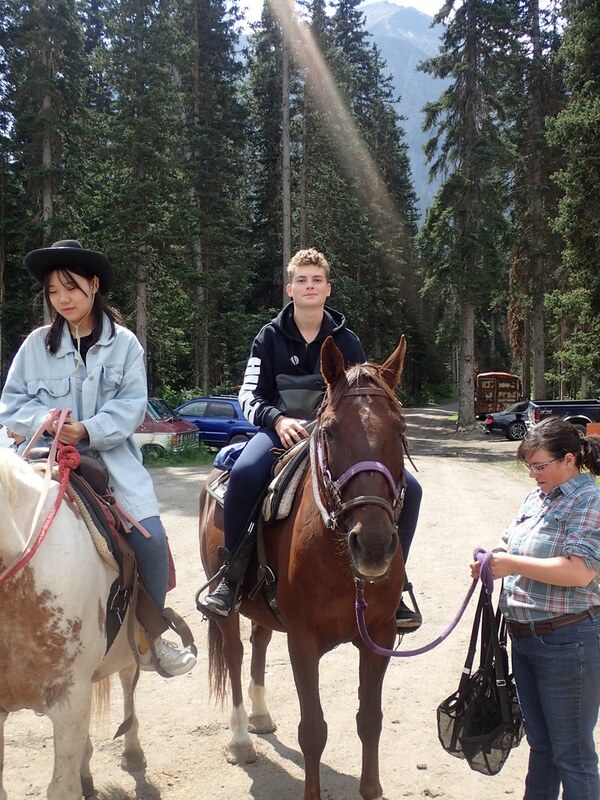 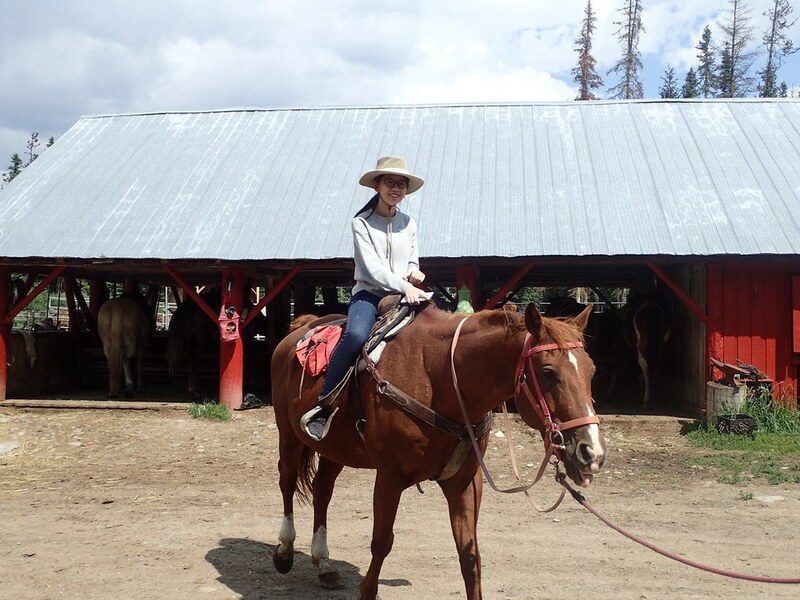 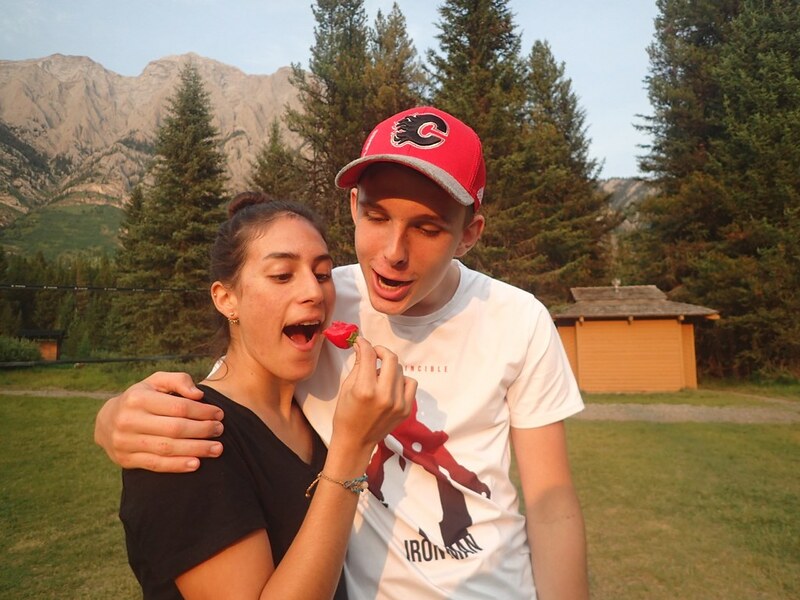 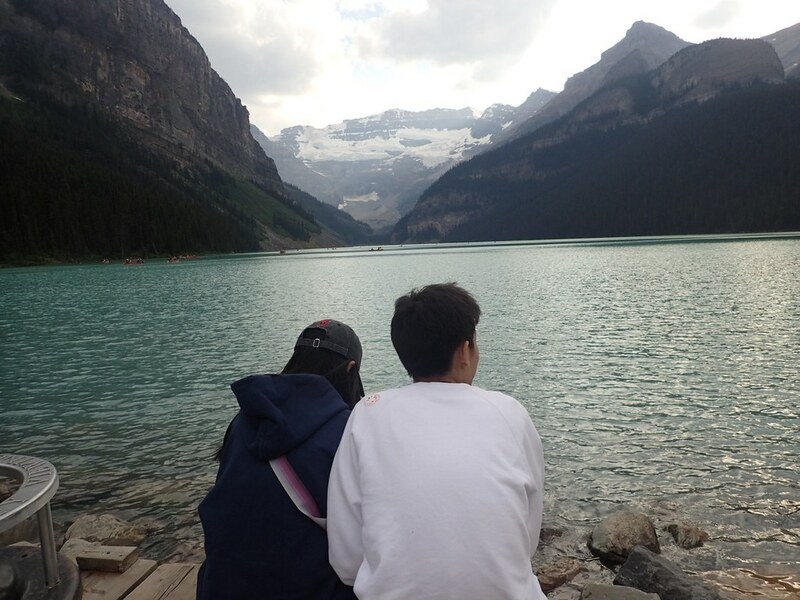 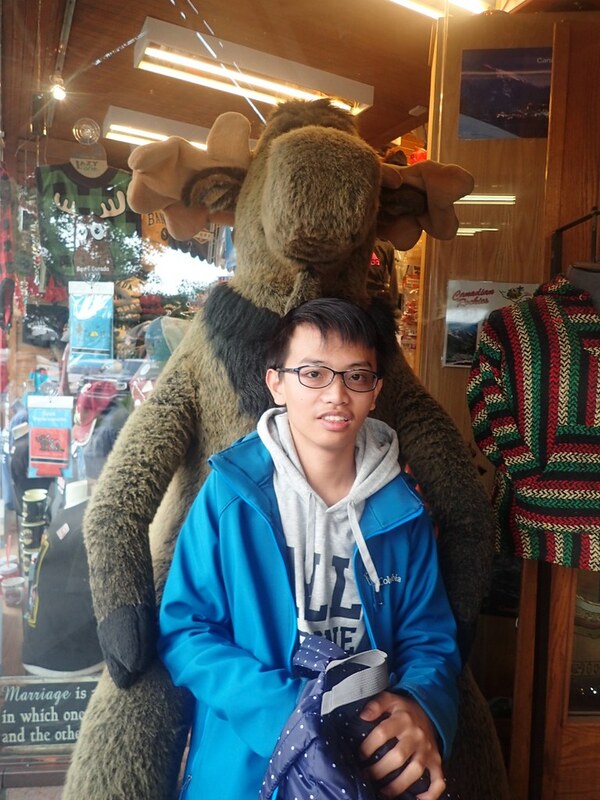 Day 3 – August 2 – Horseback Riding, Lake Louise and The Icefields! 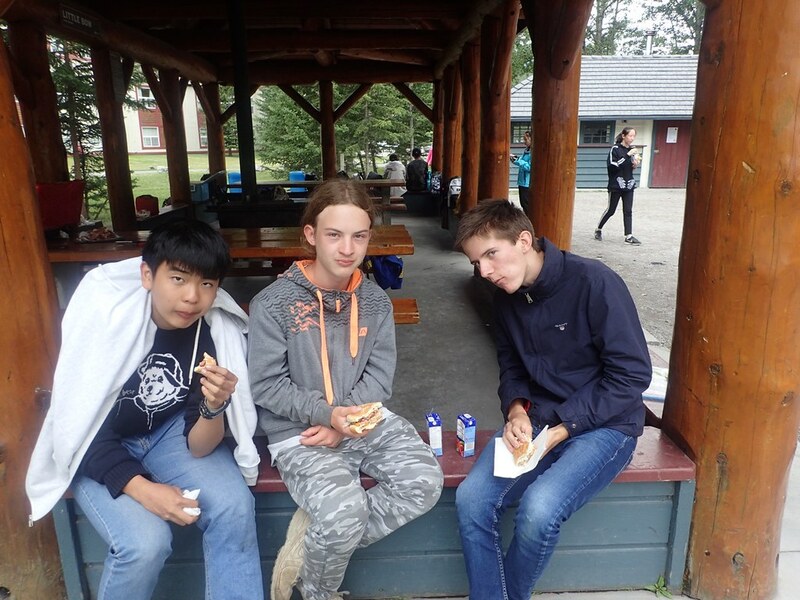 The porcupines had to wake up bright and early to eat a delicious croissant with Nutella, yogurt and fruit. 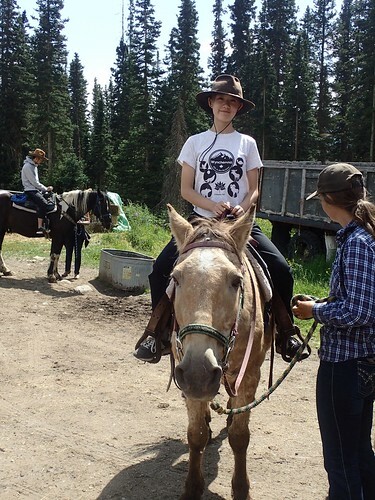 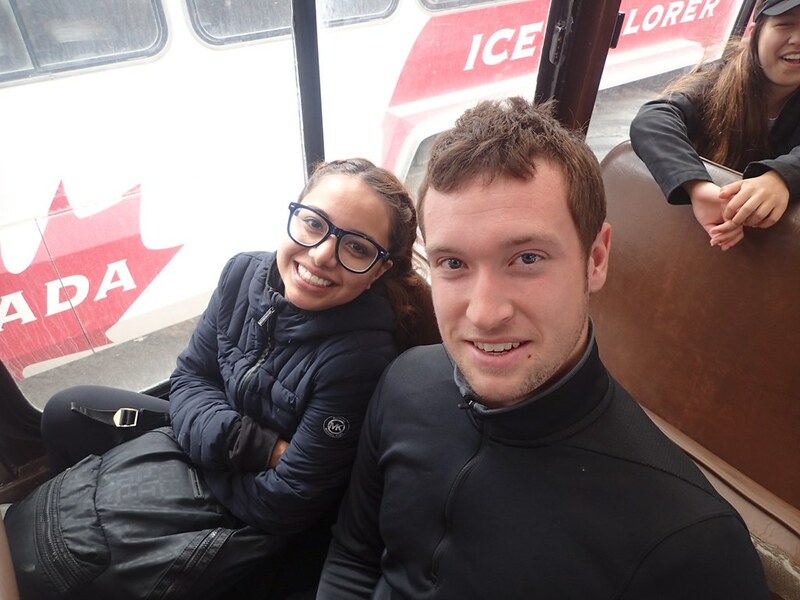 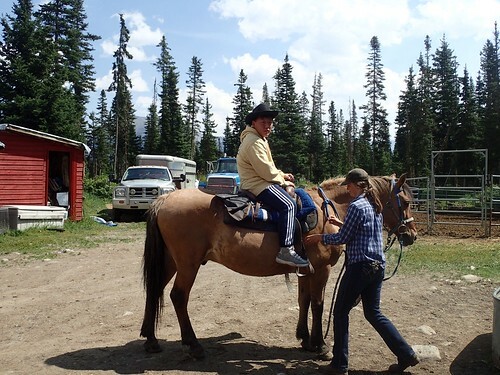 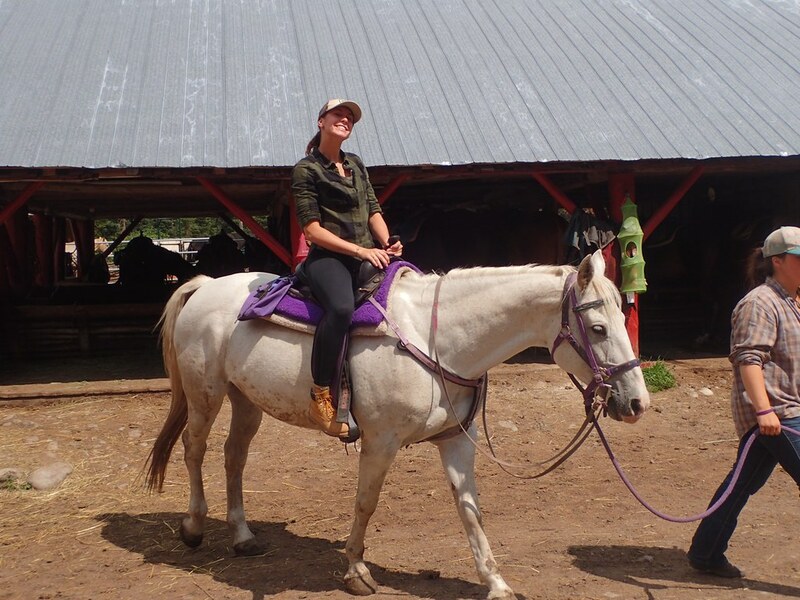 Then it was off to see the ice fields and horseback riding! 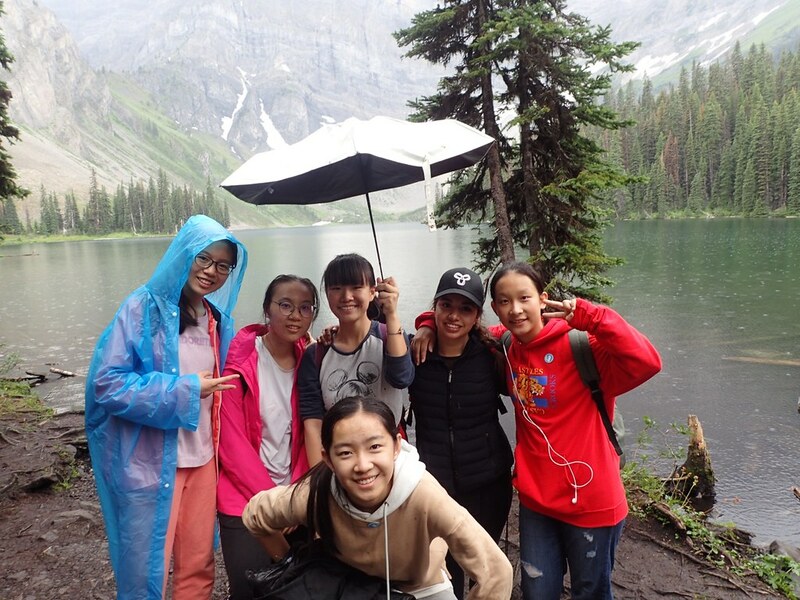 The porcupines were feeling very enthusiastic on this day and were looking forward to the breathtaking views that awaited! 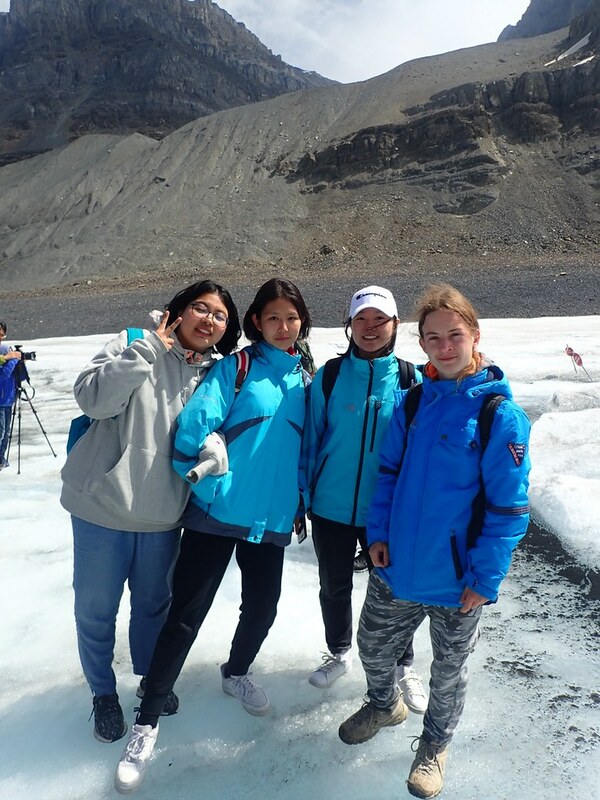 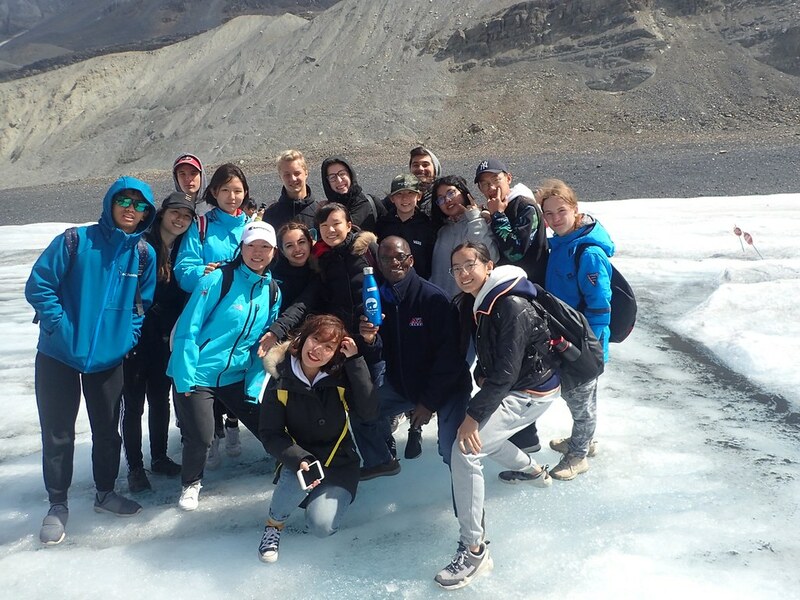 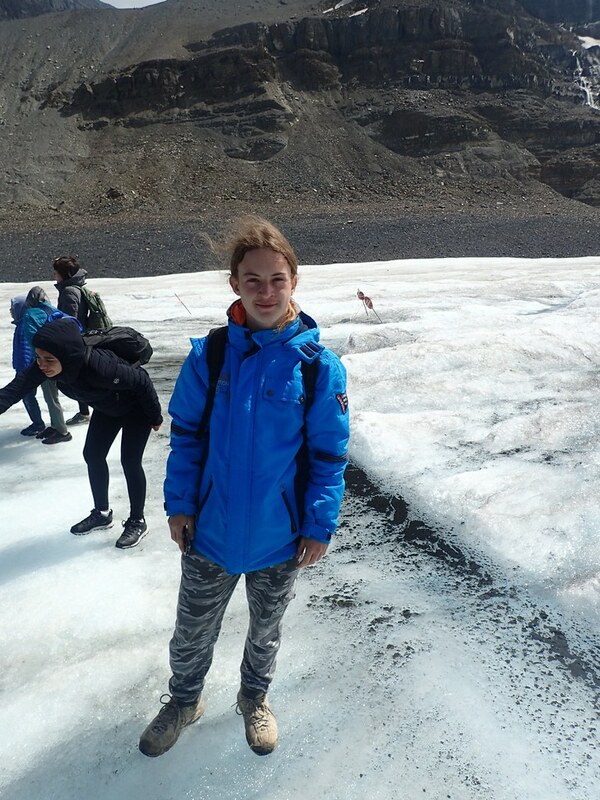 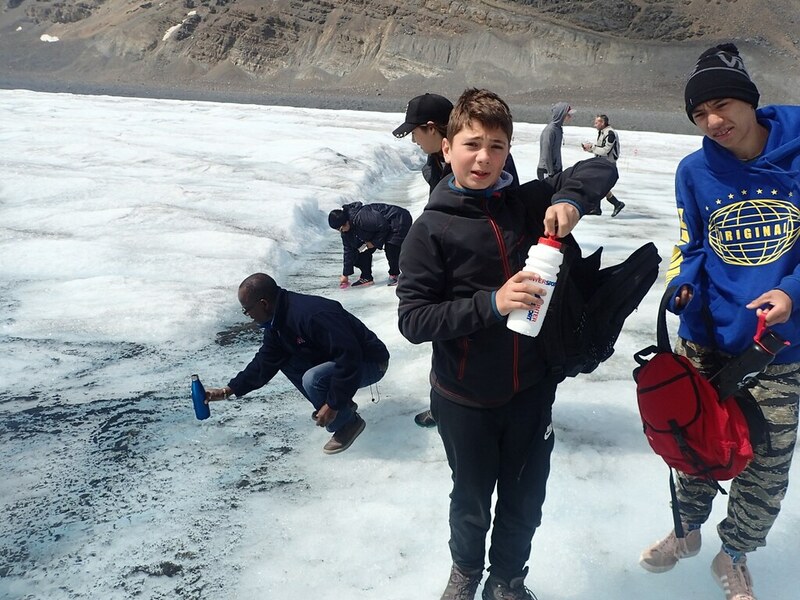 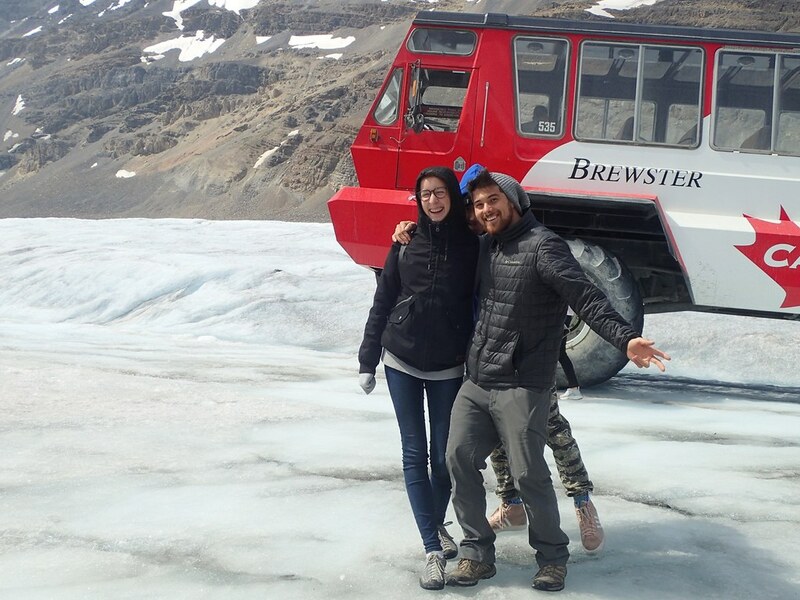 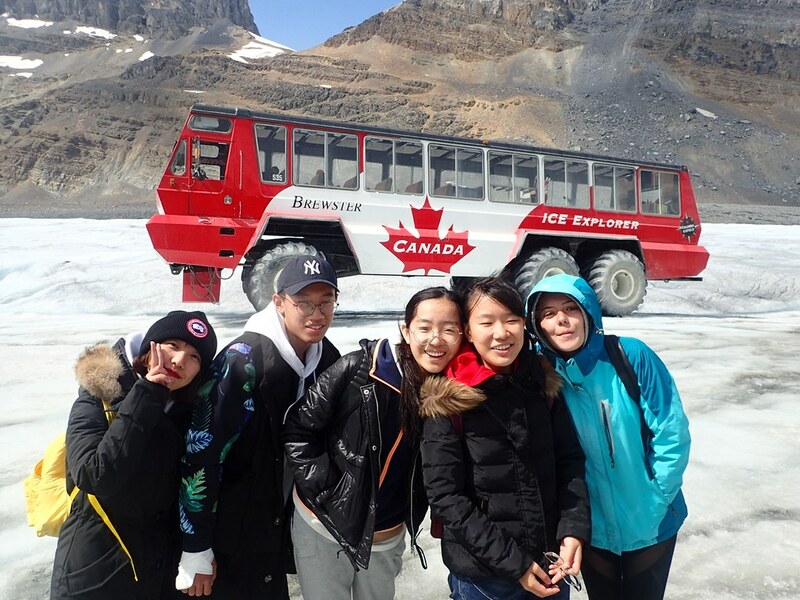 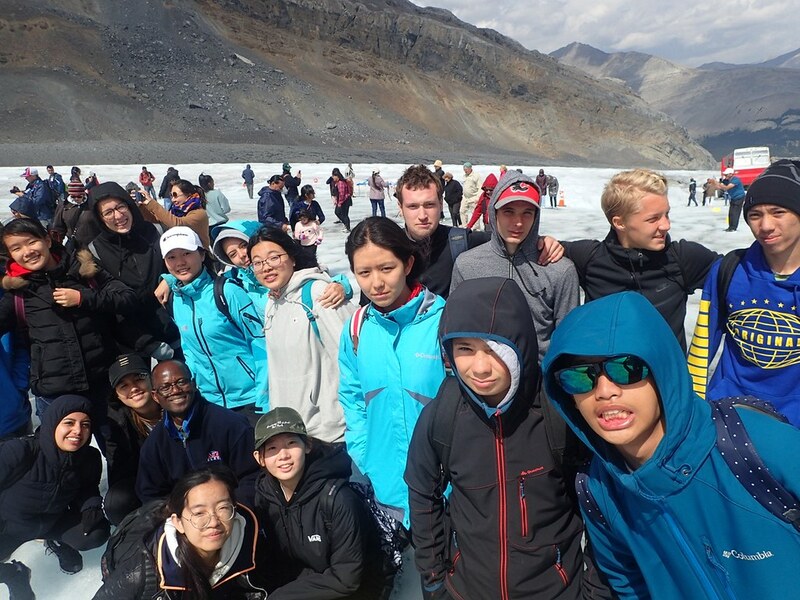 Our ice field explorers layered up for the chilly experience ahead! 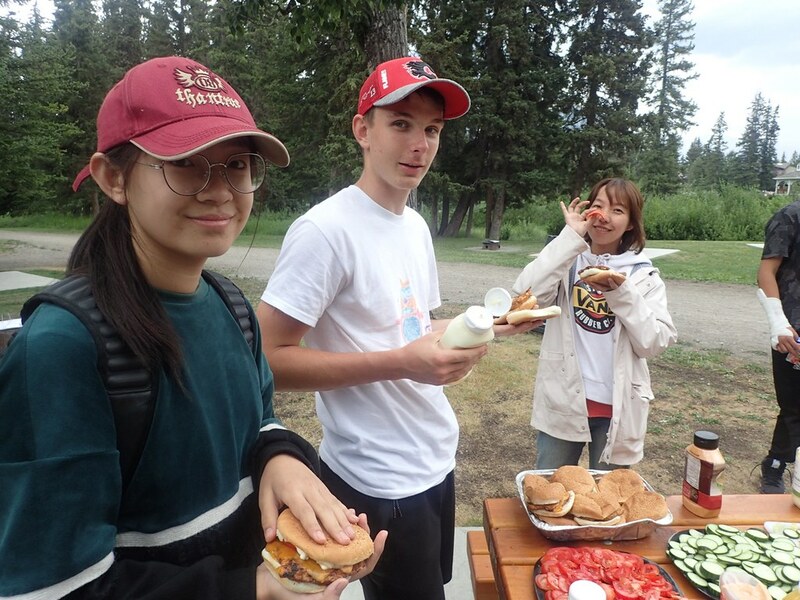 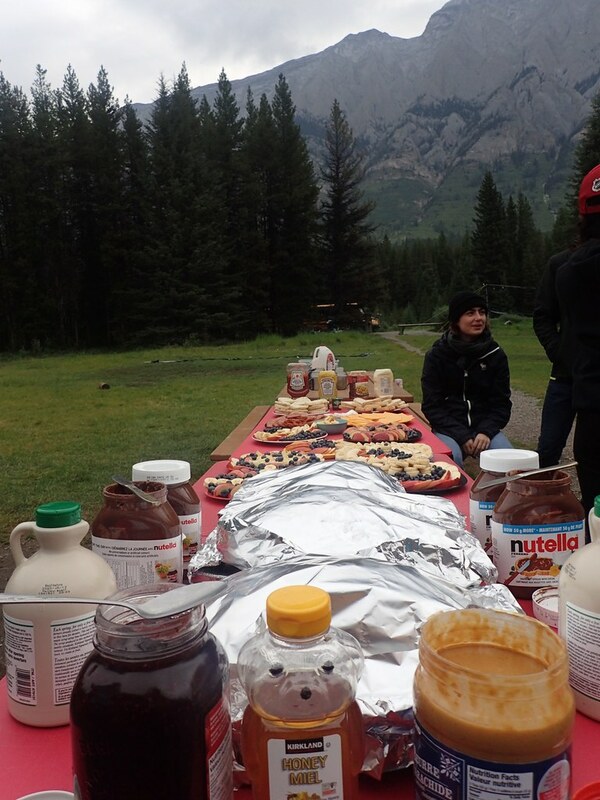 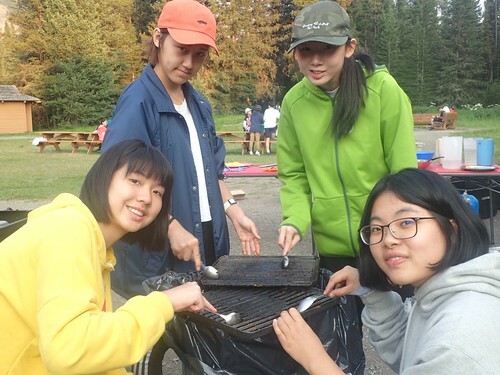 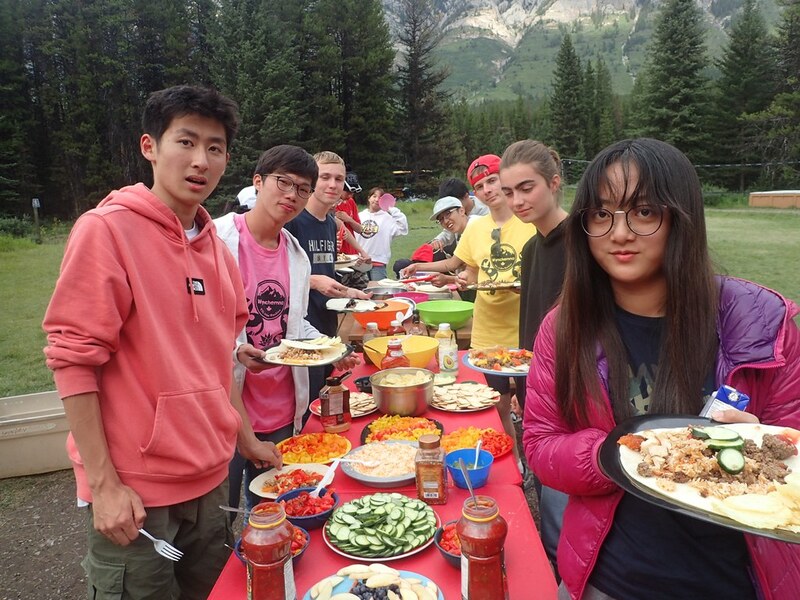 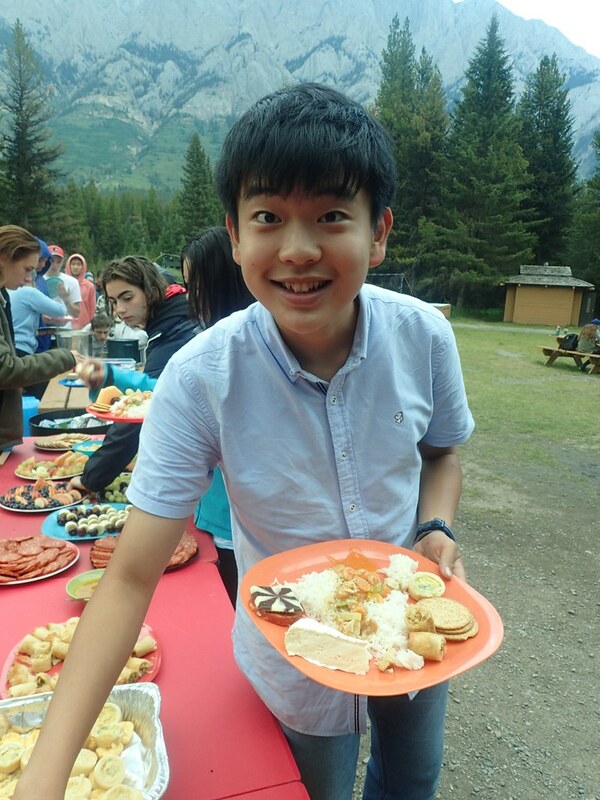 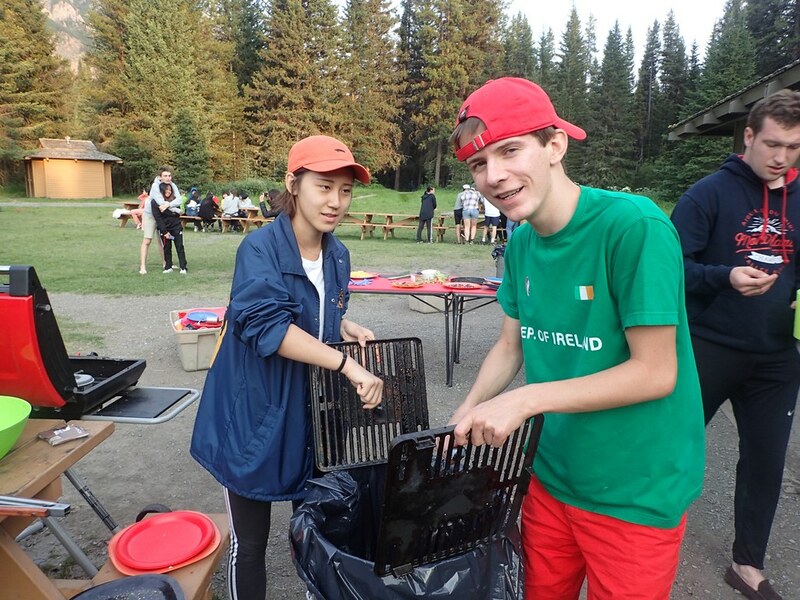 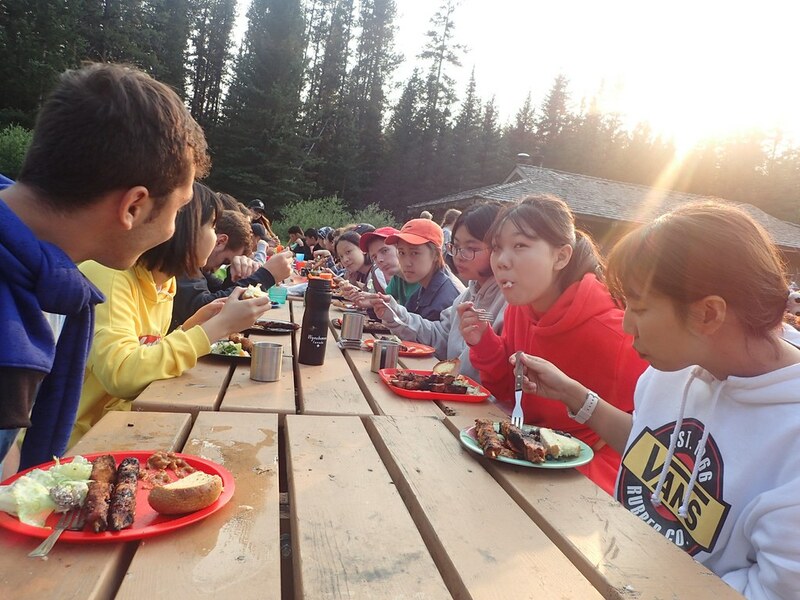 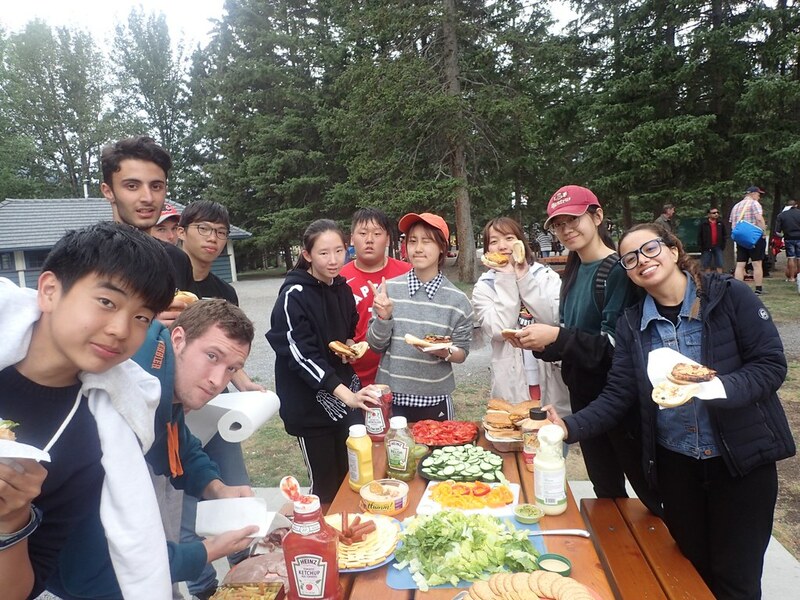 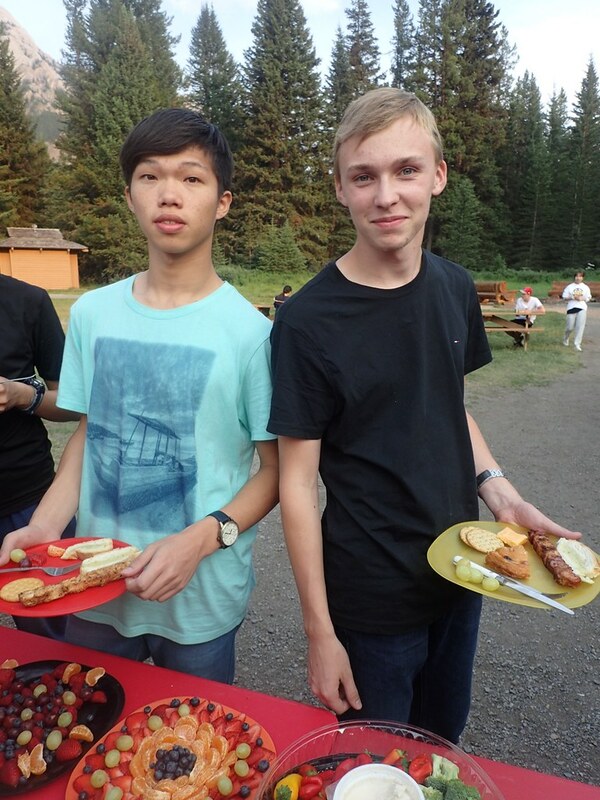 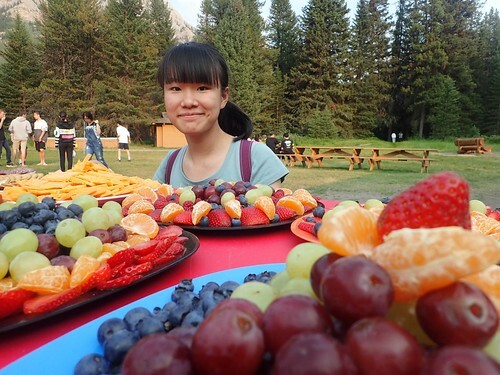 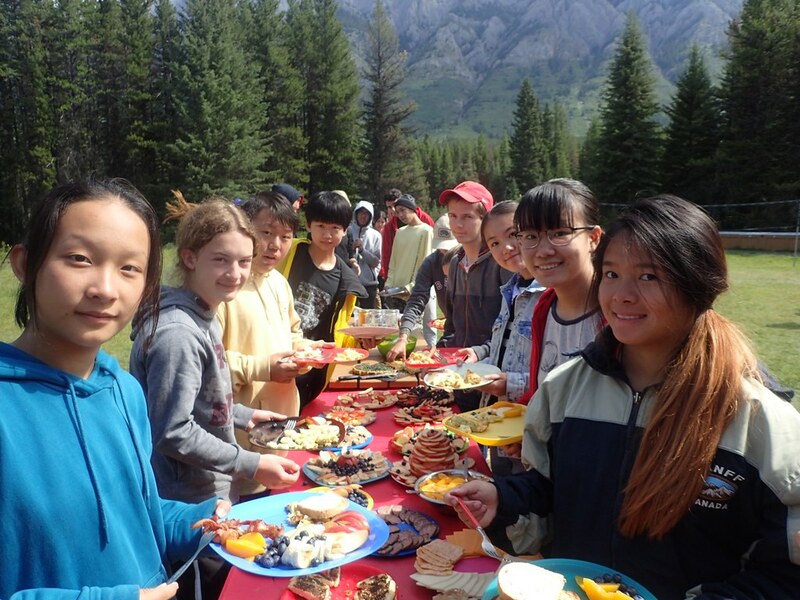 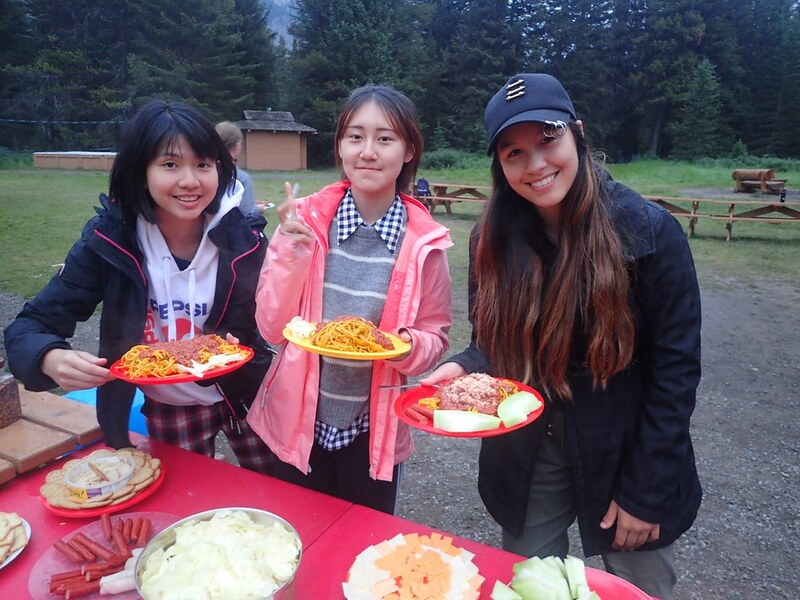 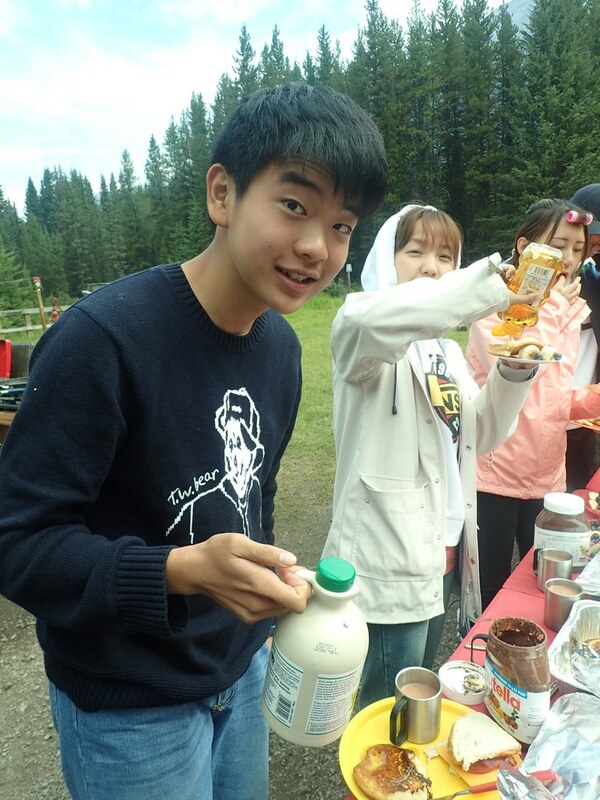 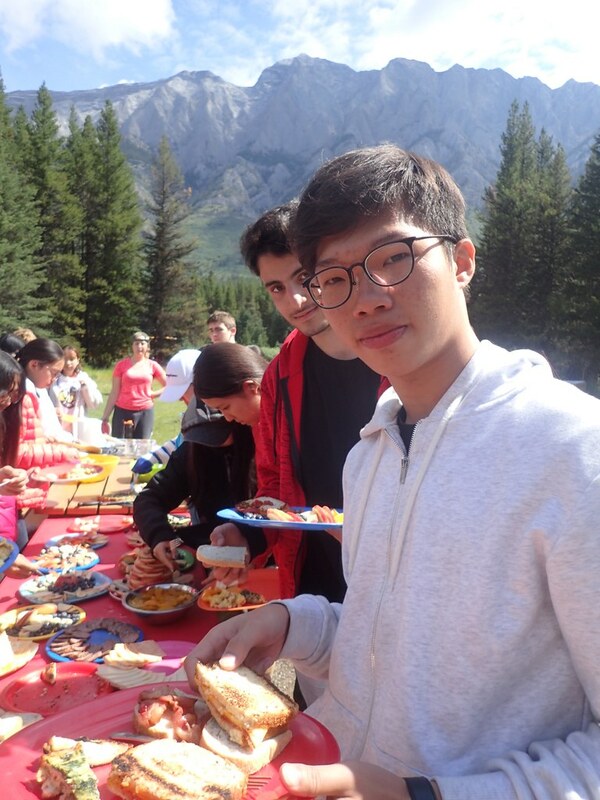 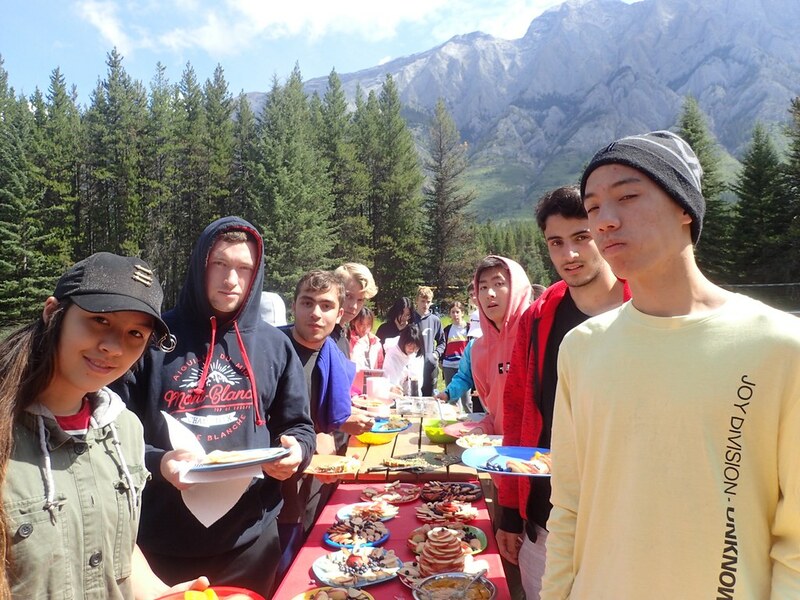 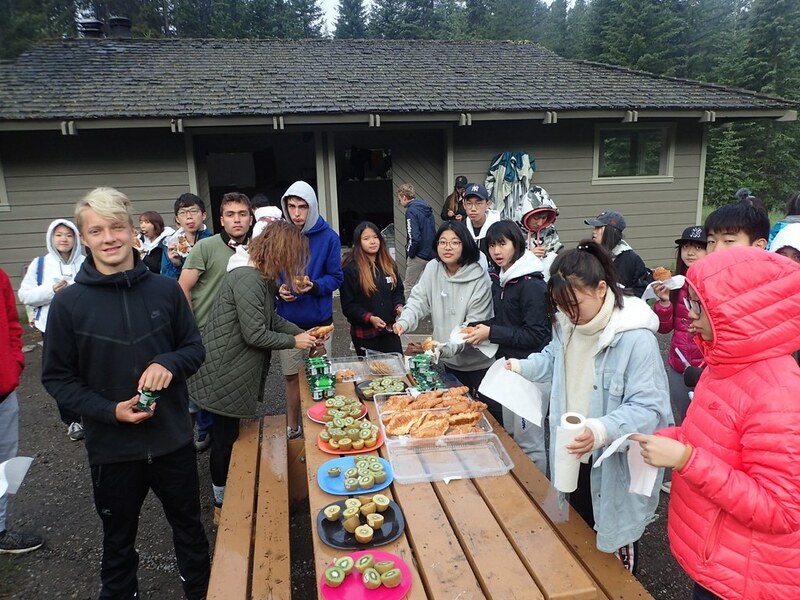 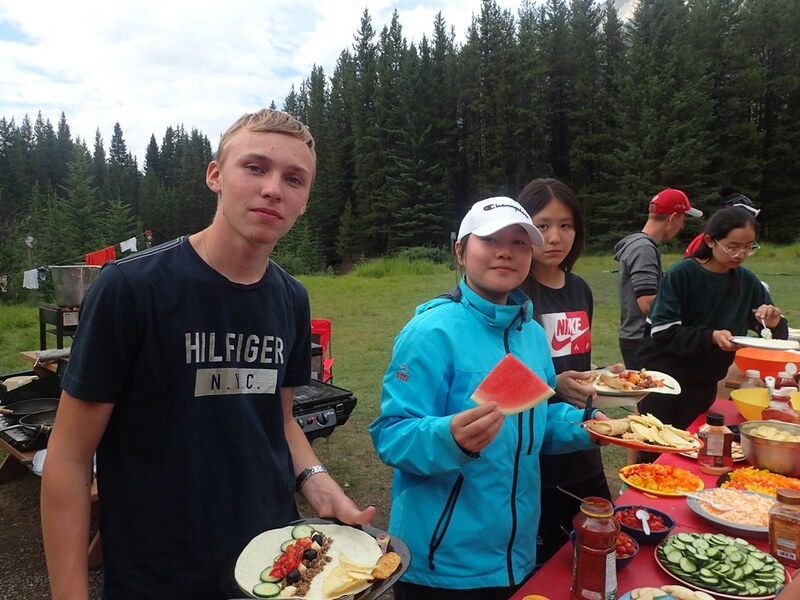 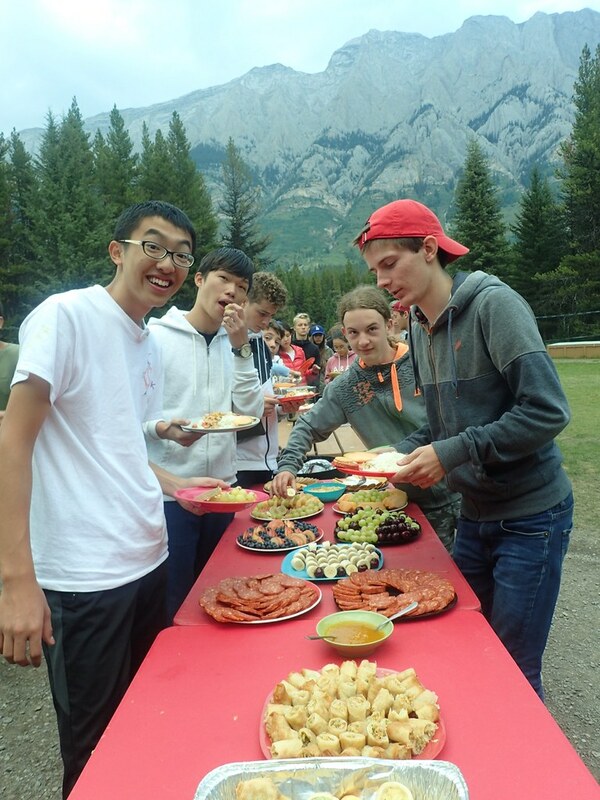 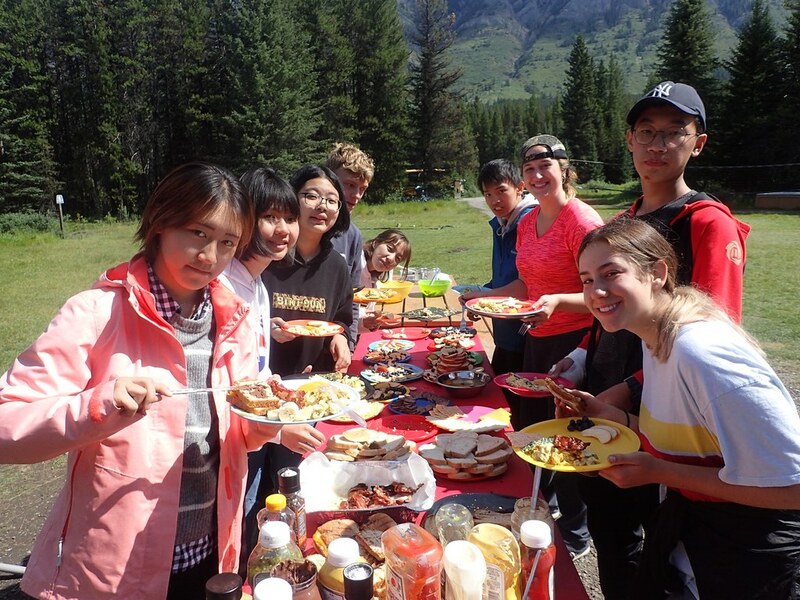 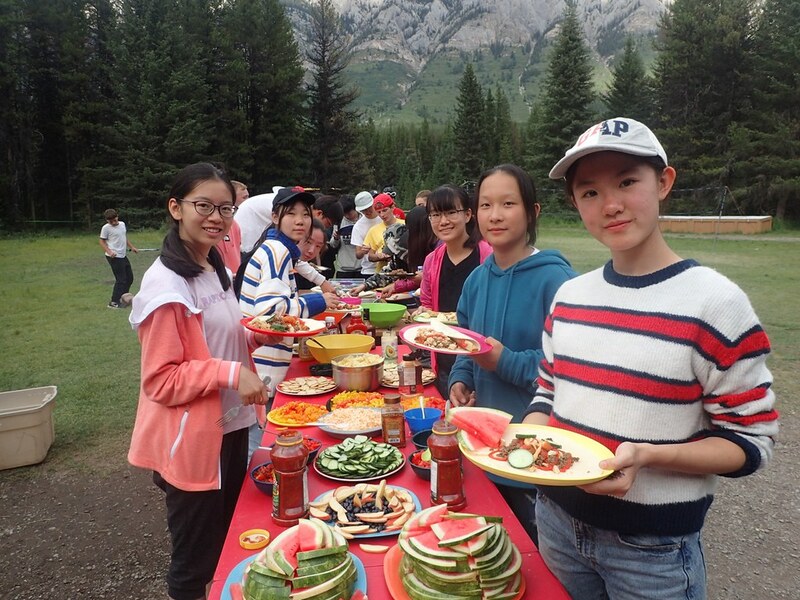 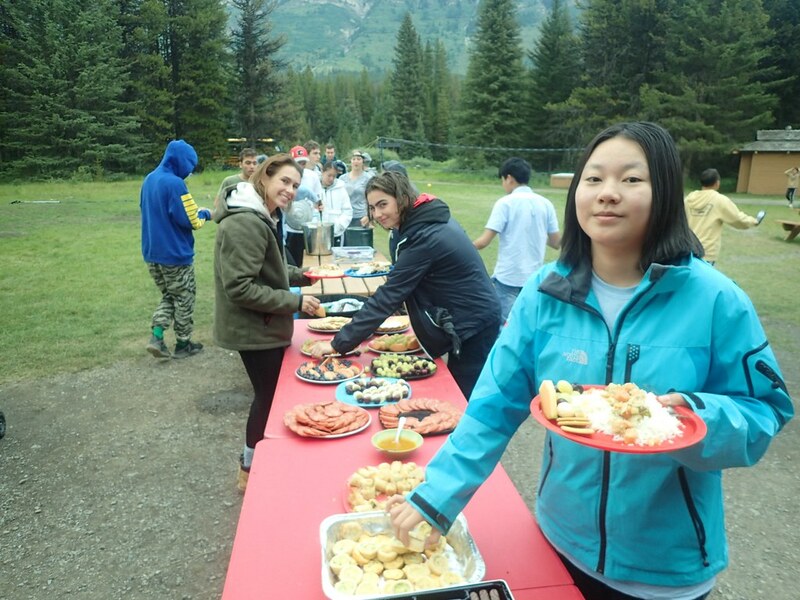 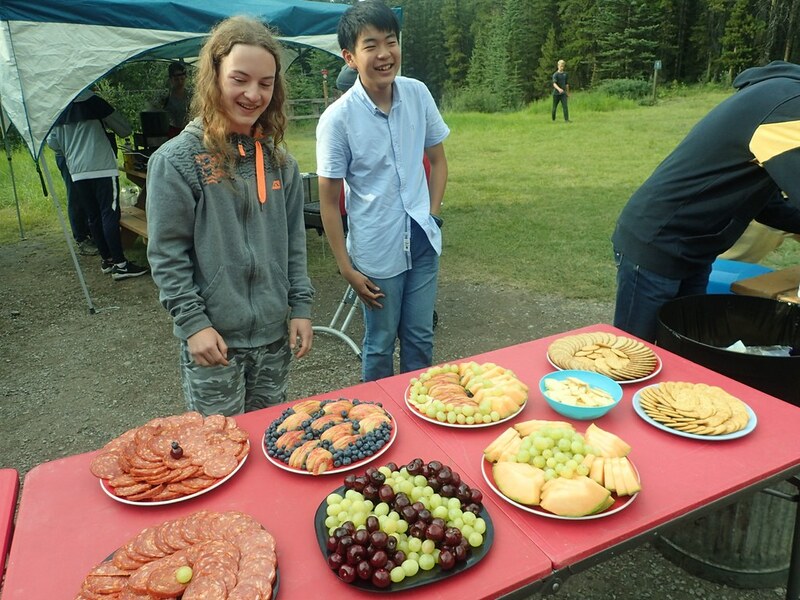 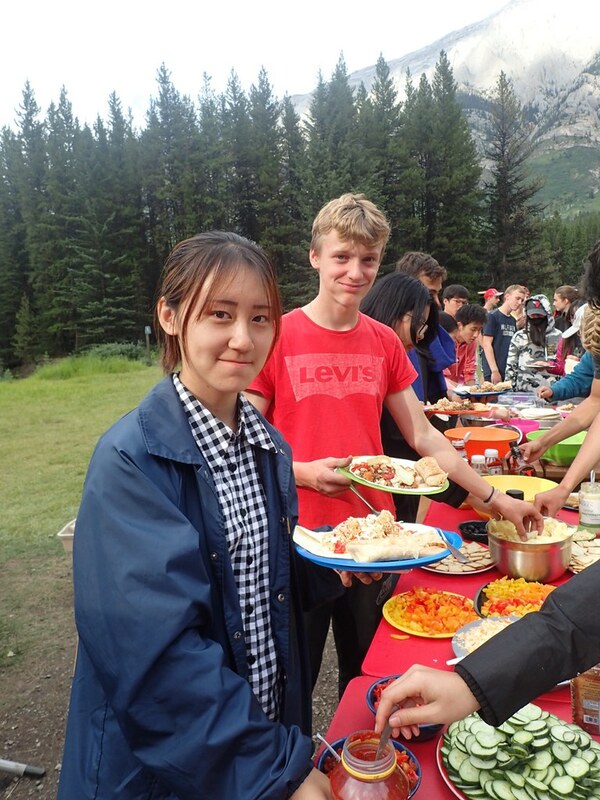 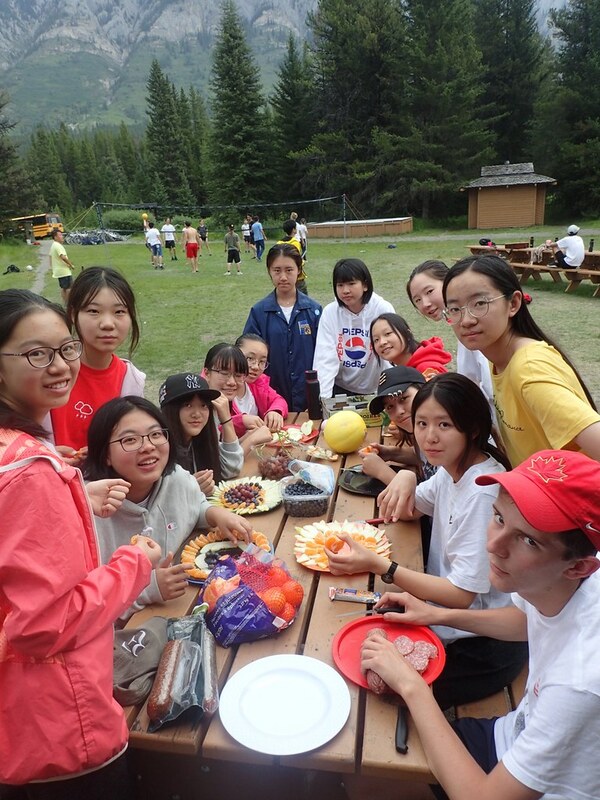 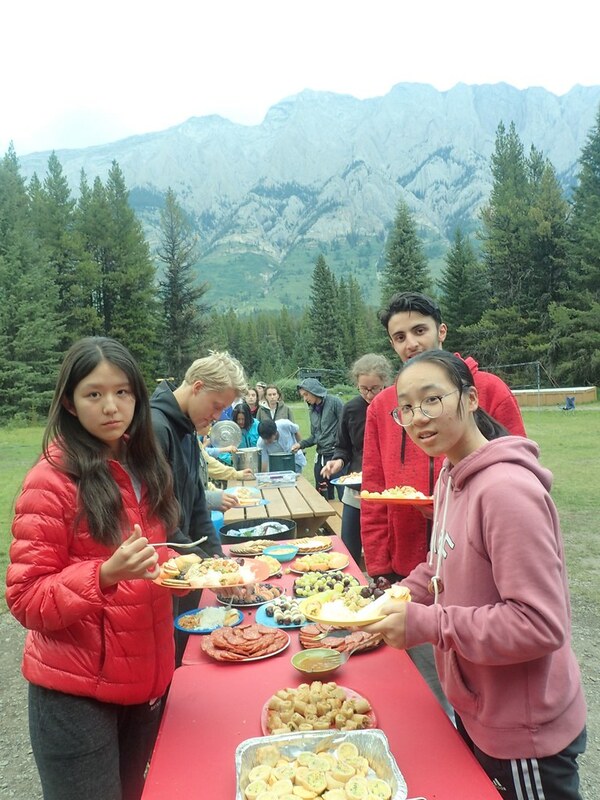 Each group had a barbeque with hot dogs and lots of delicious veggies and fruit. 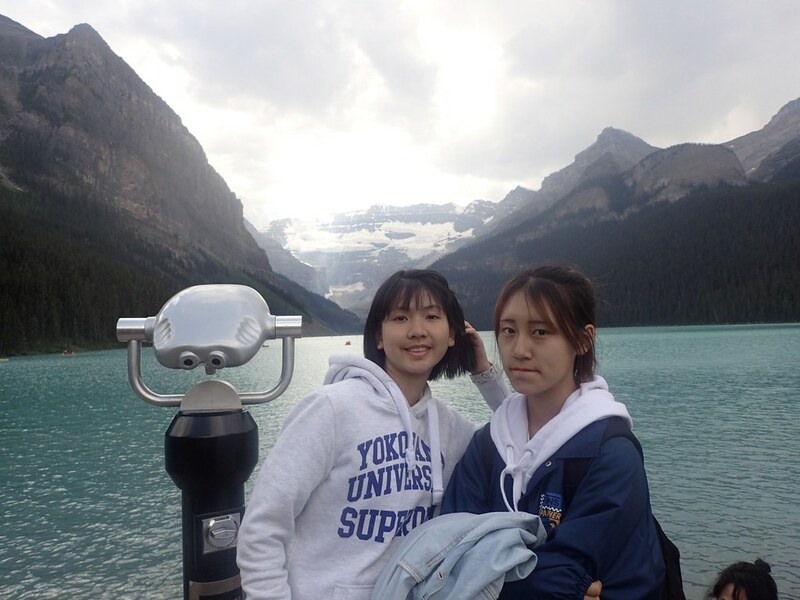 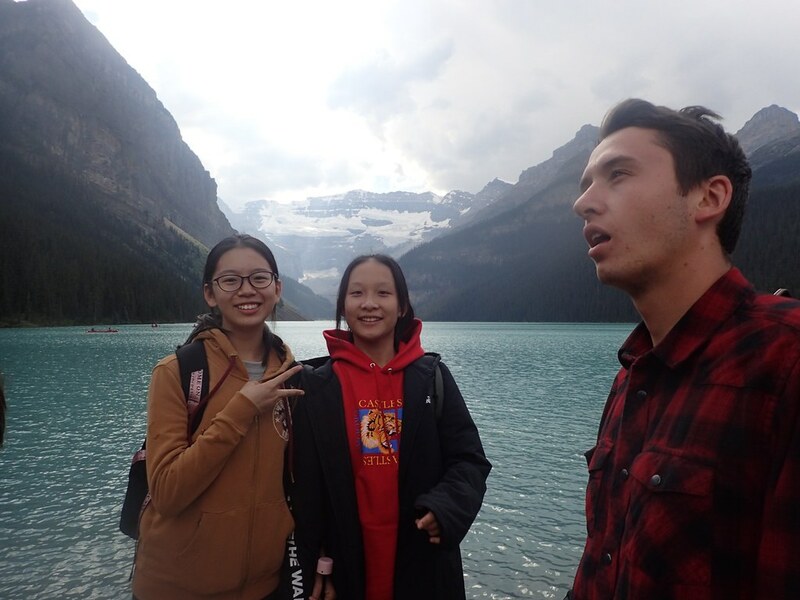 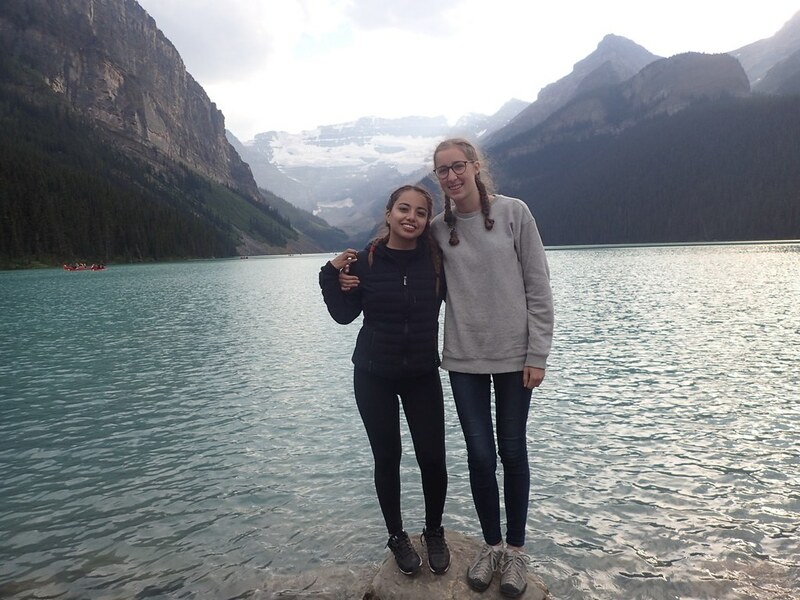 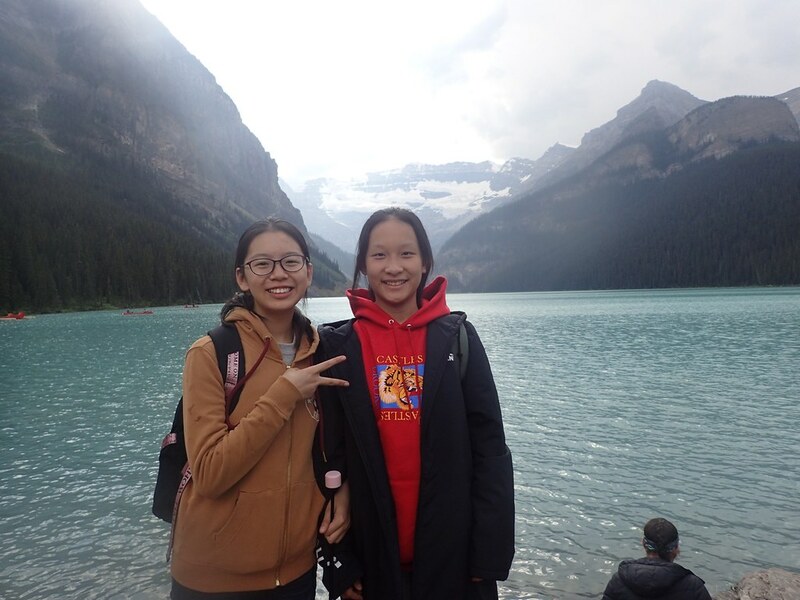 We finished the evening by taking some photos in front of the famous and even more beautiful lake louise, a glacial lake situated between two staggering mountains backed by a glacier. 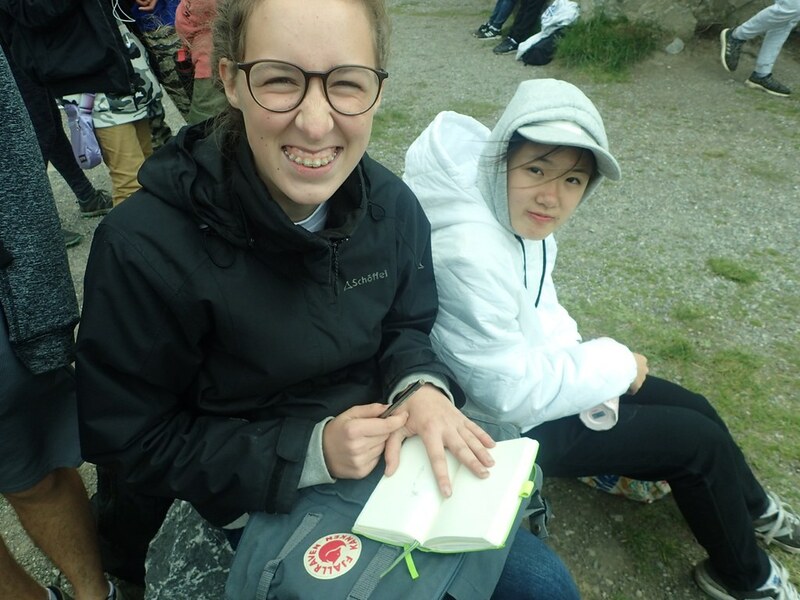 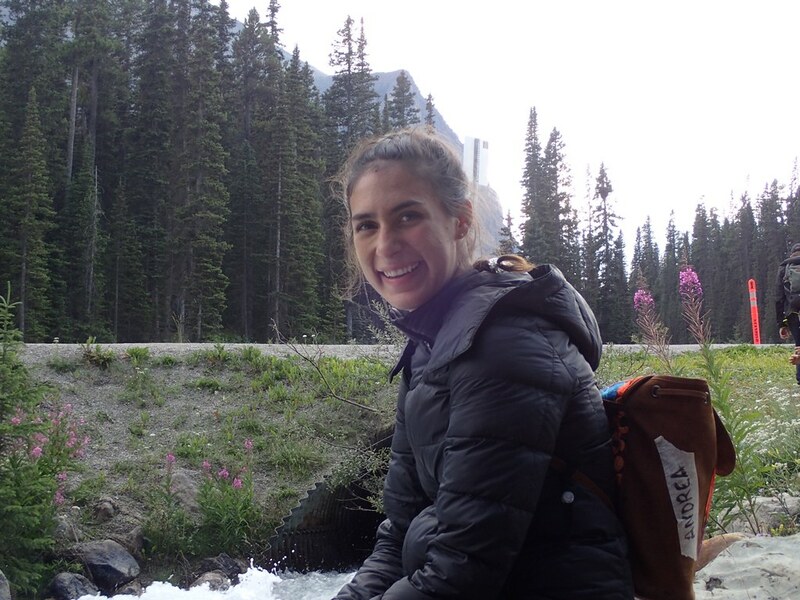 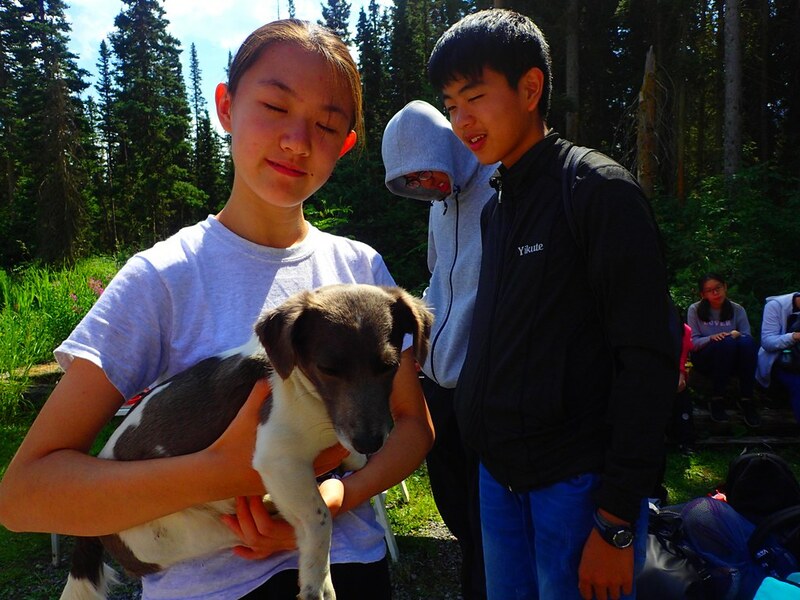 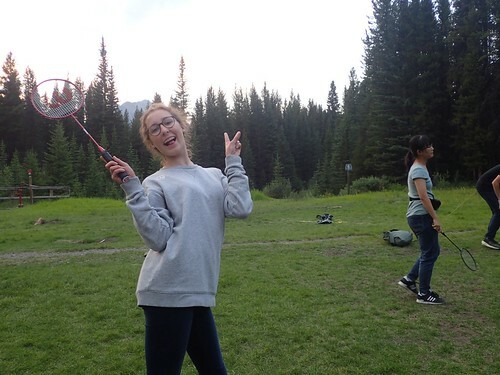 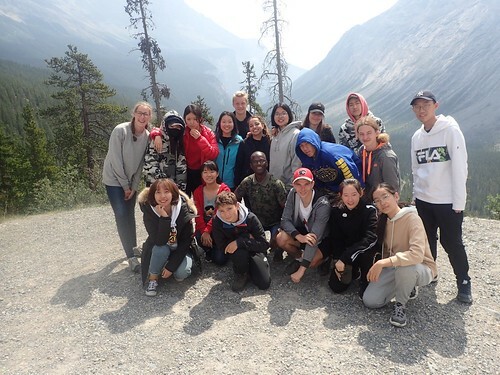 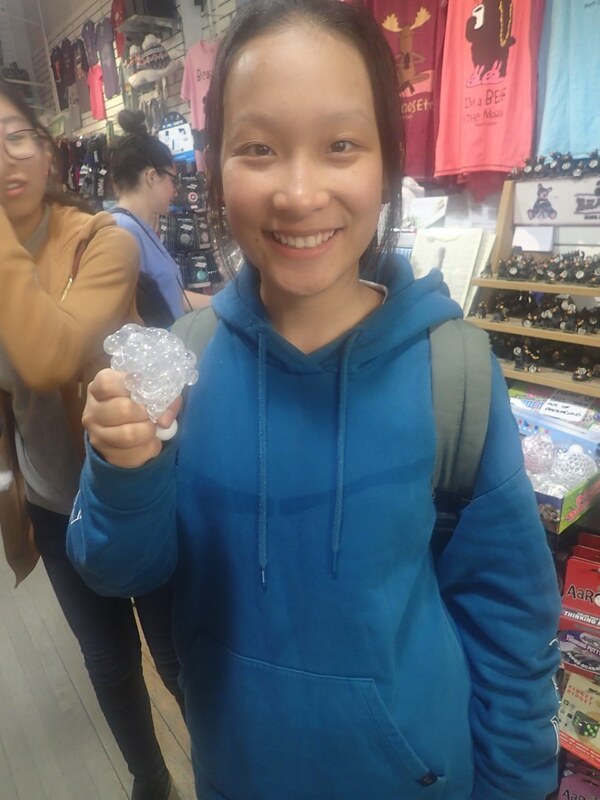 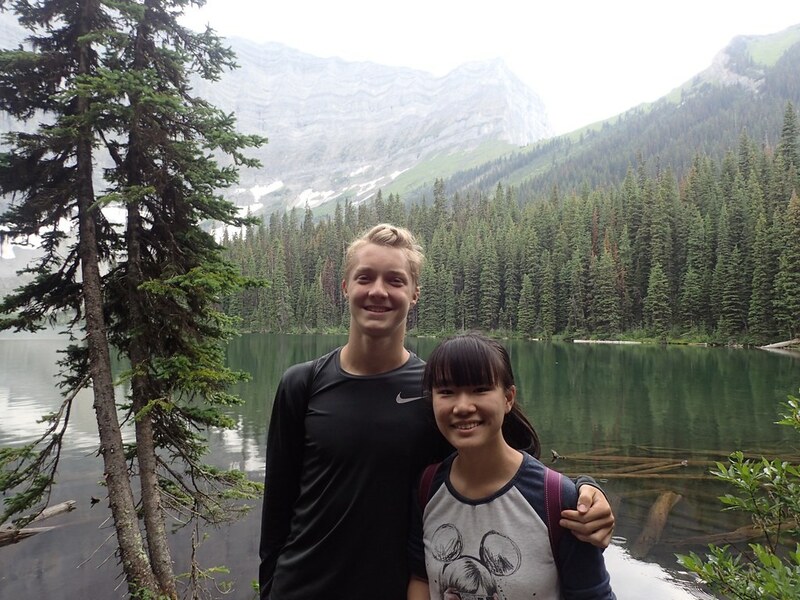 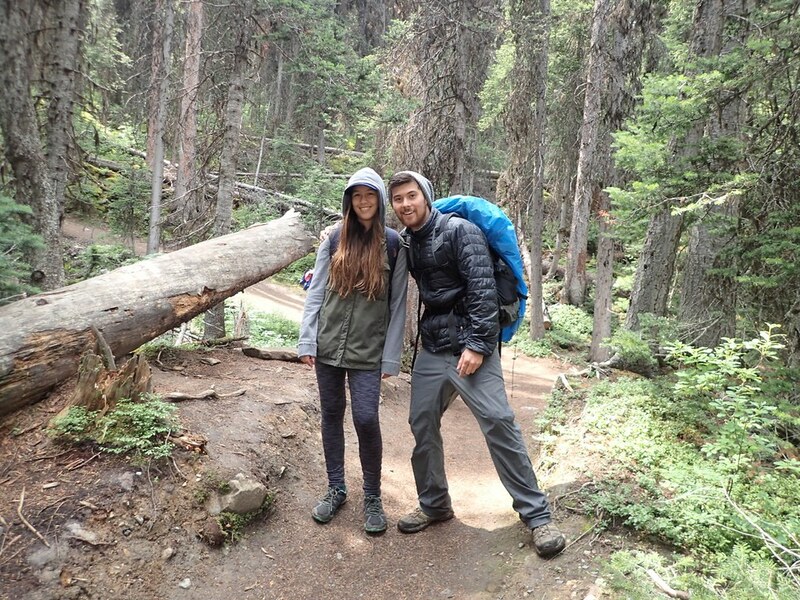 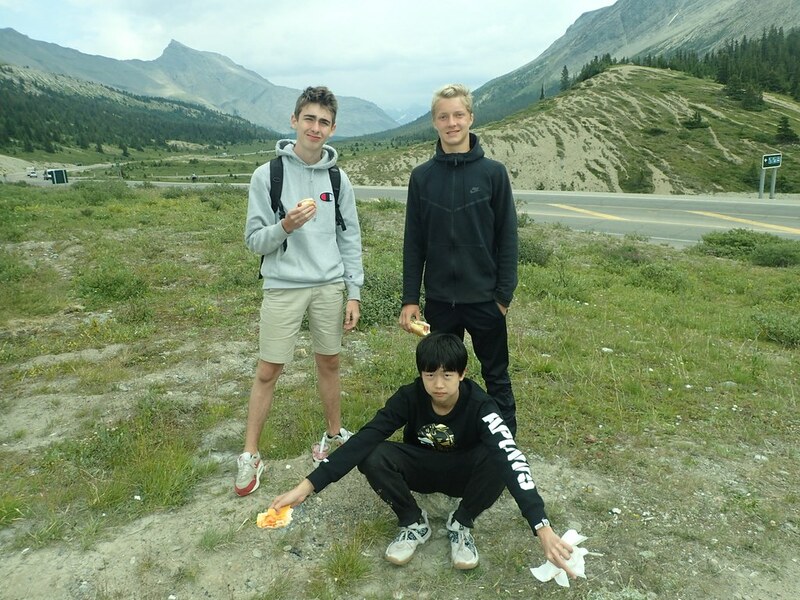 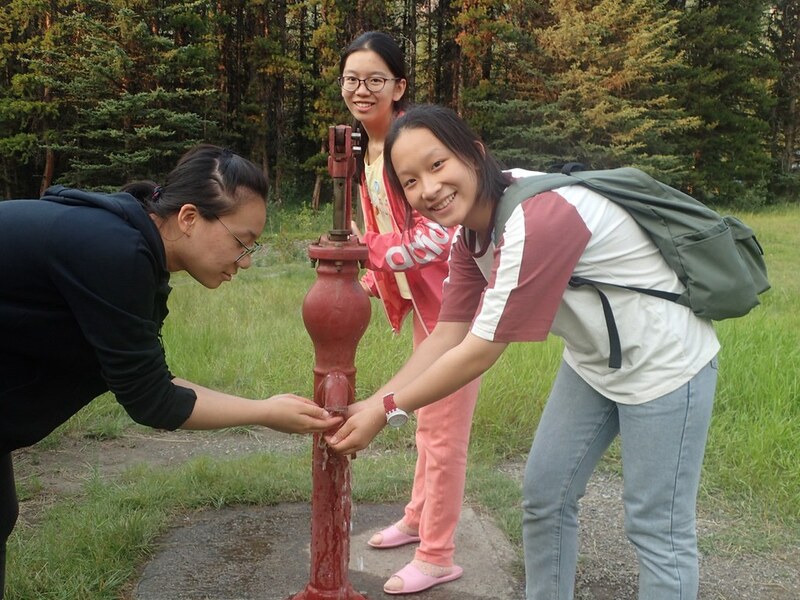 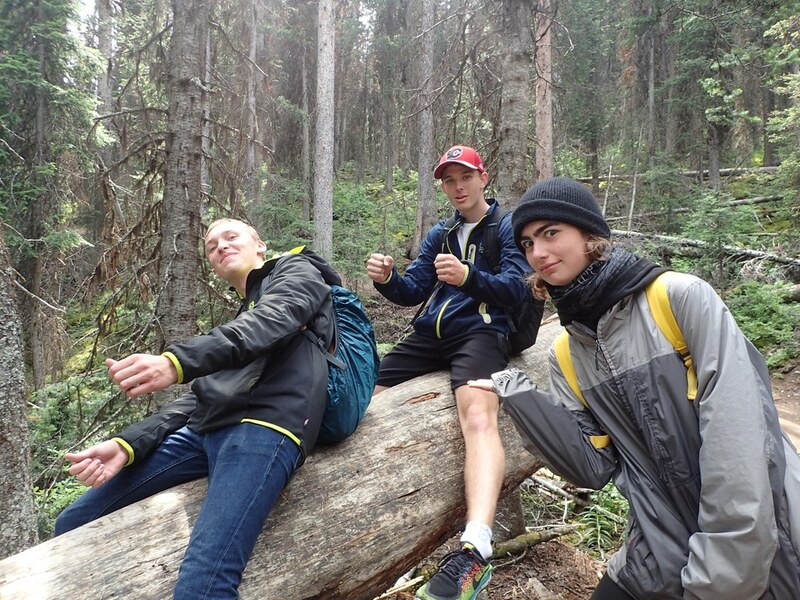 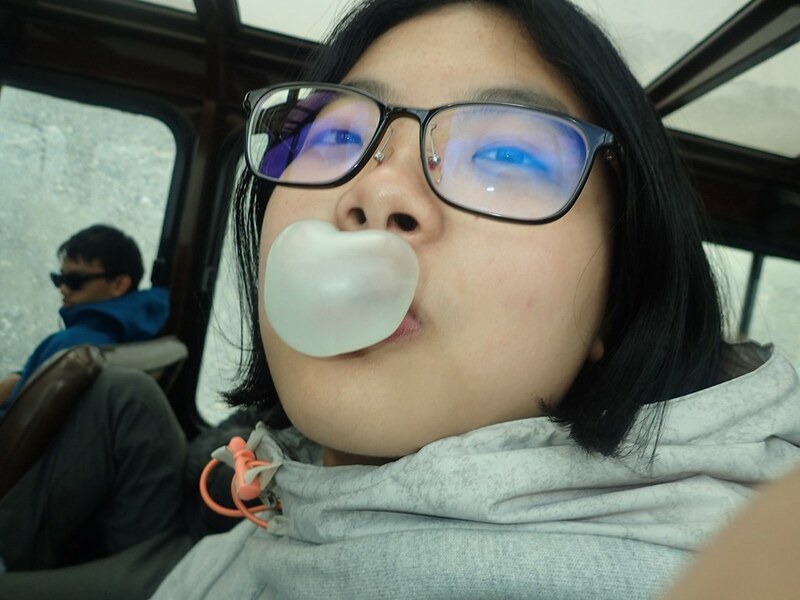 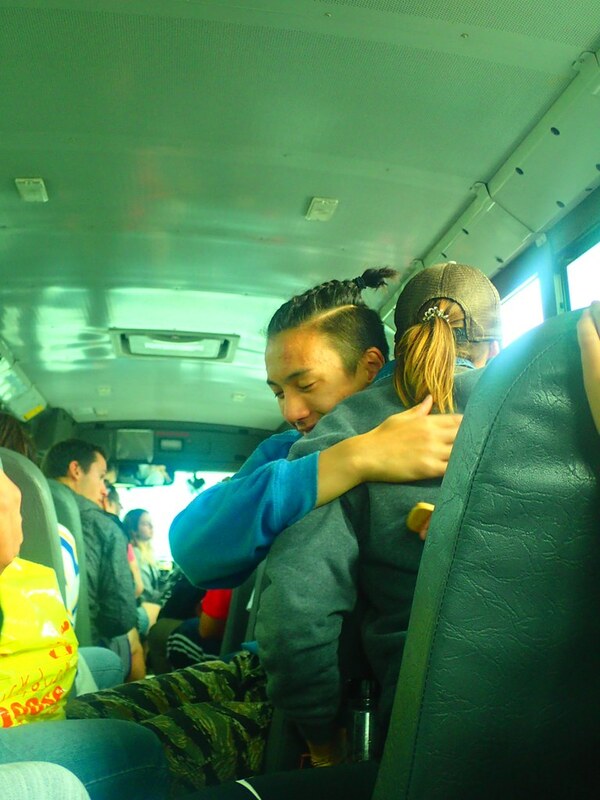 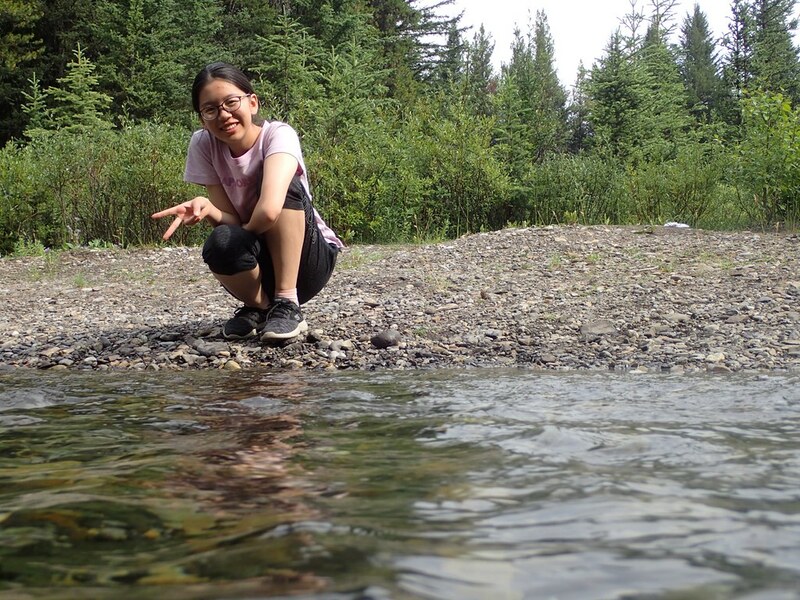 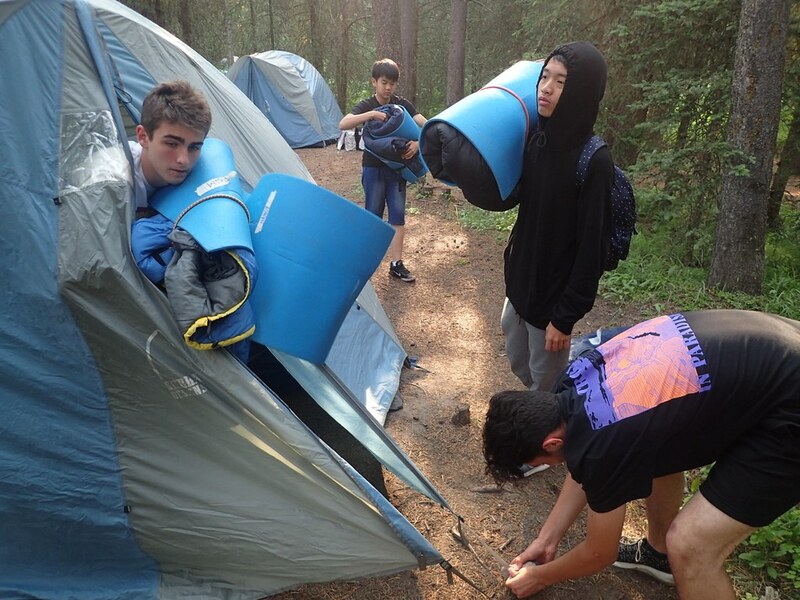 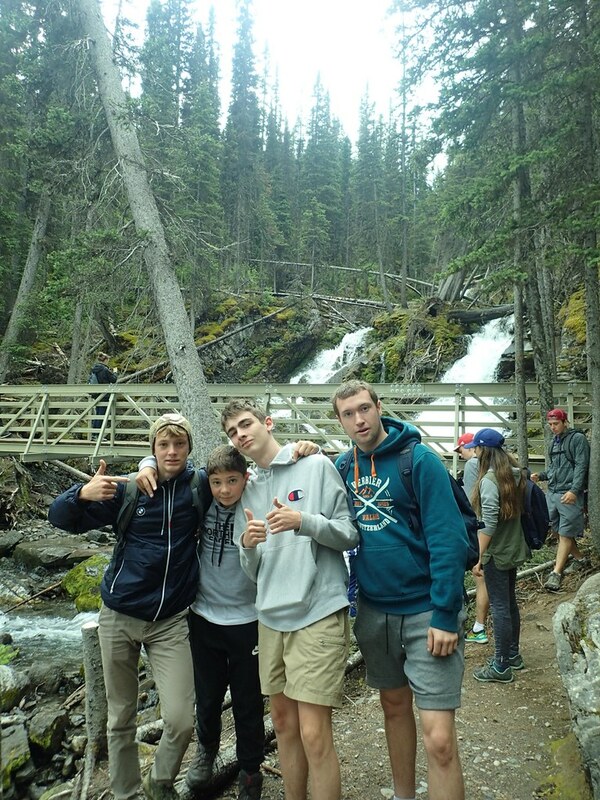 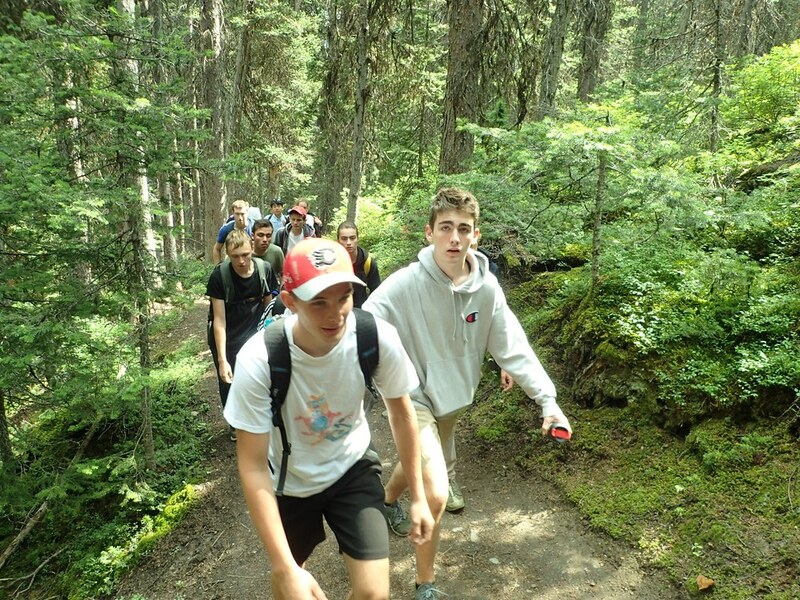 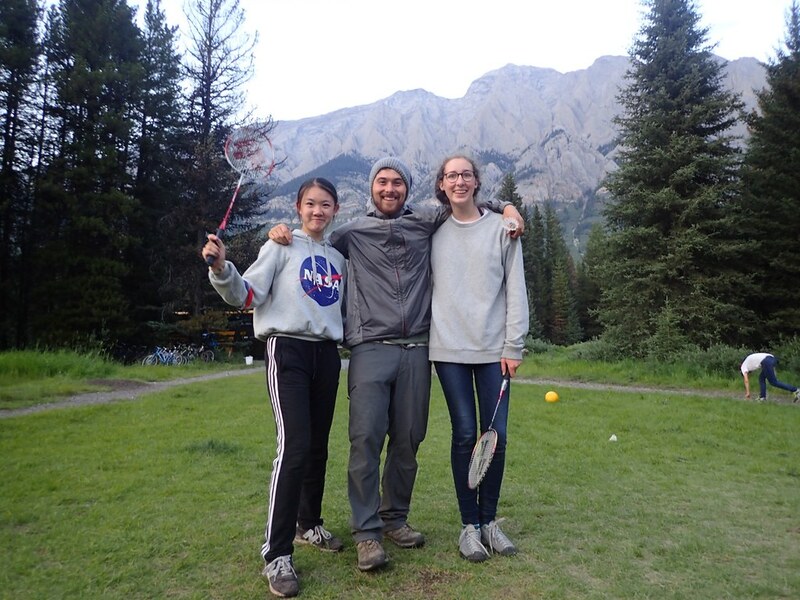 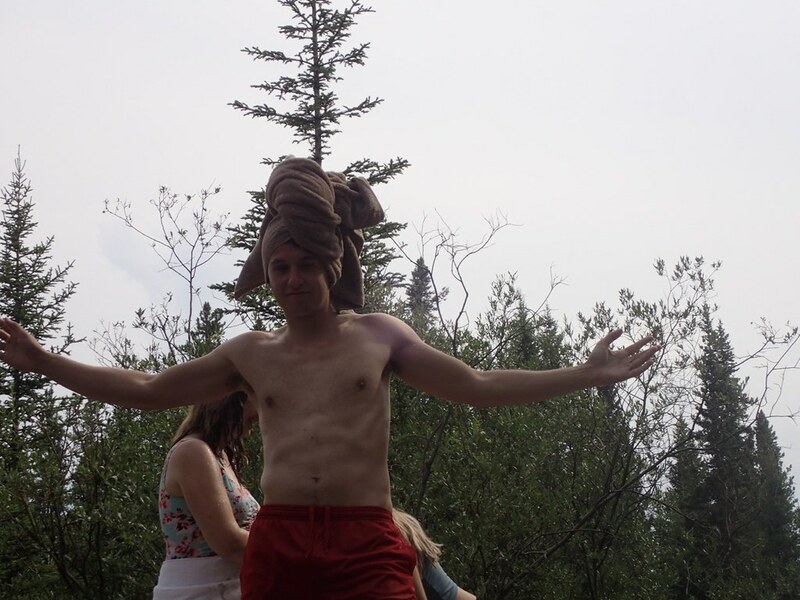 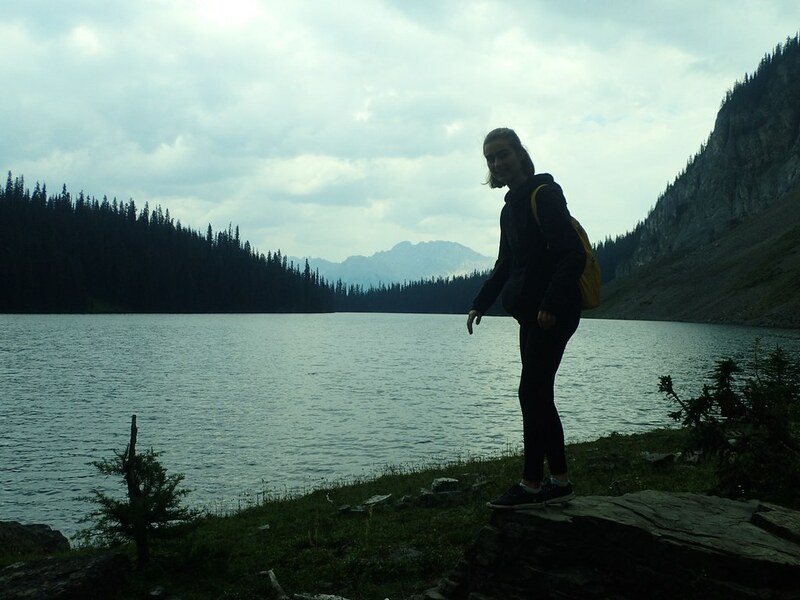 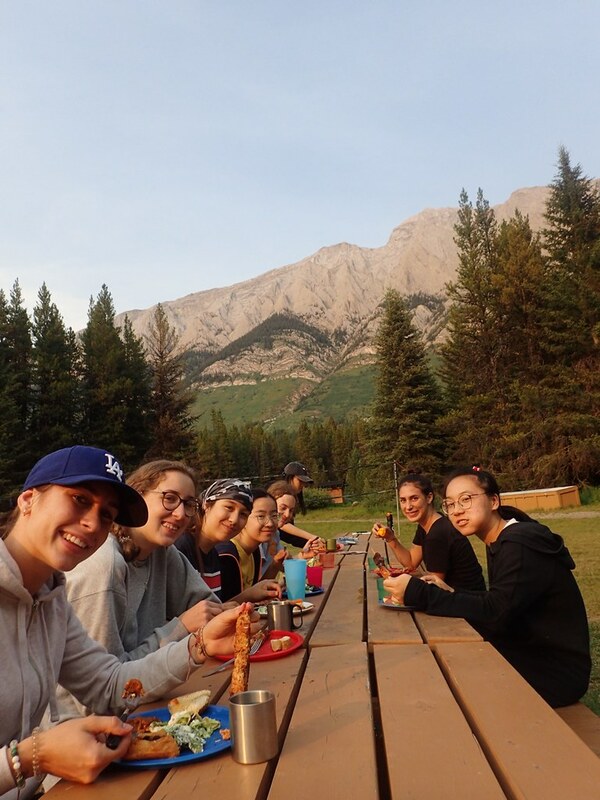 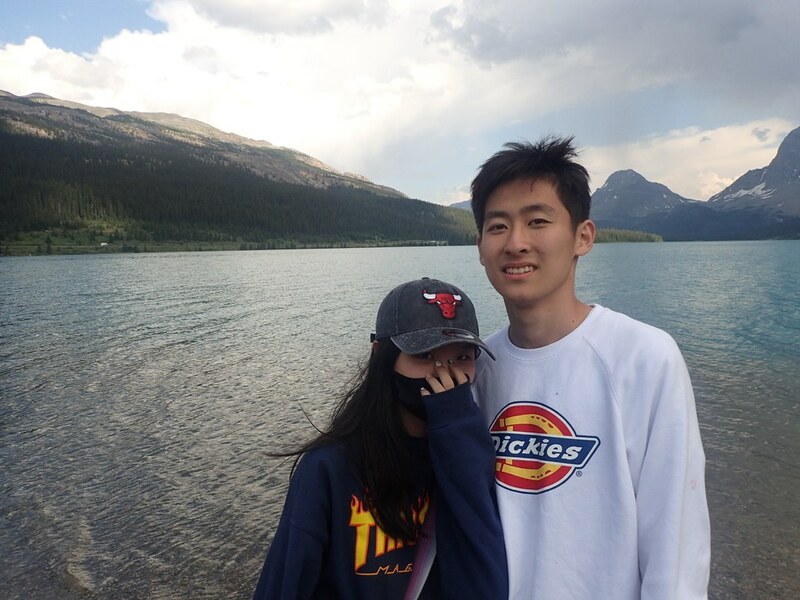 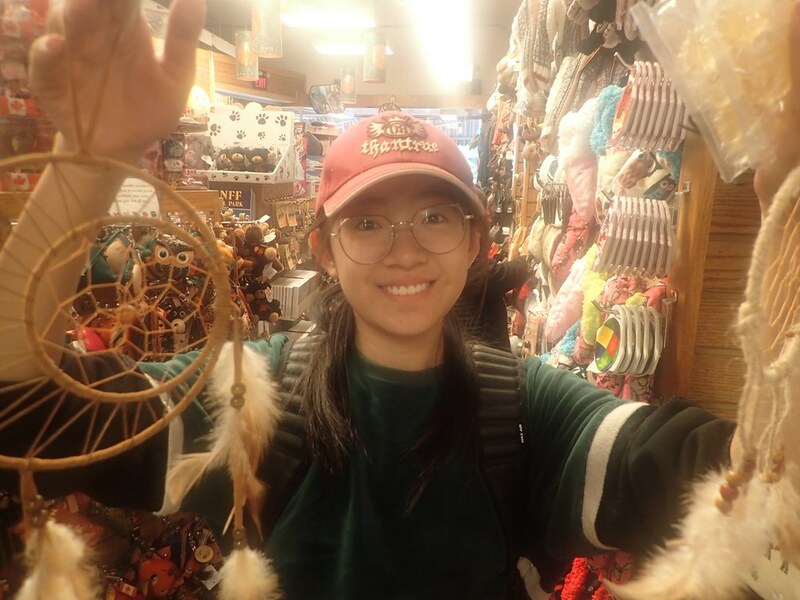 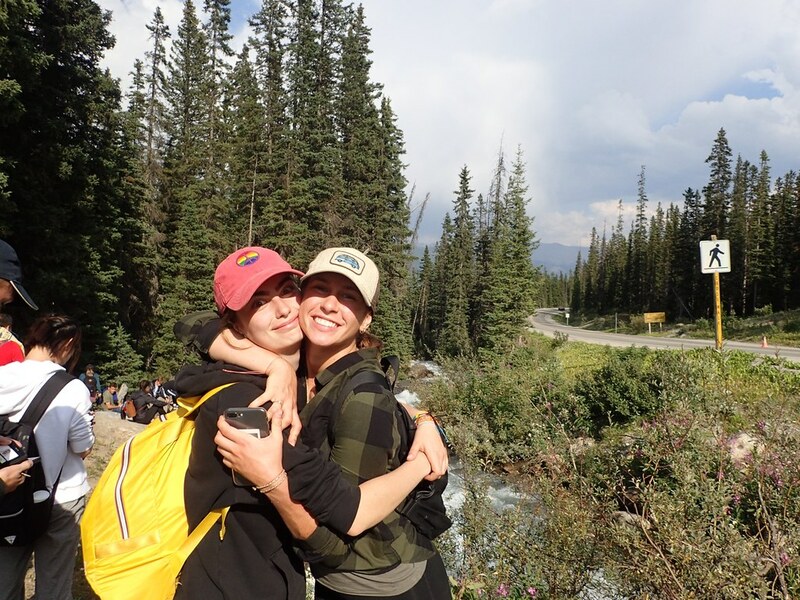 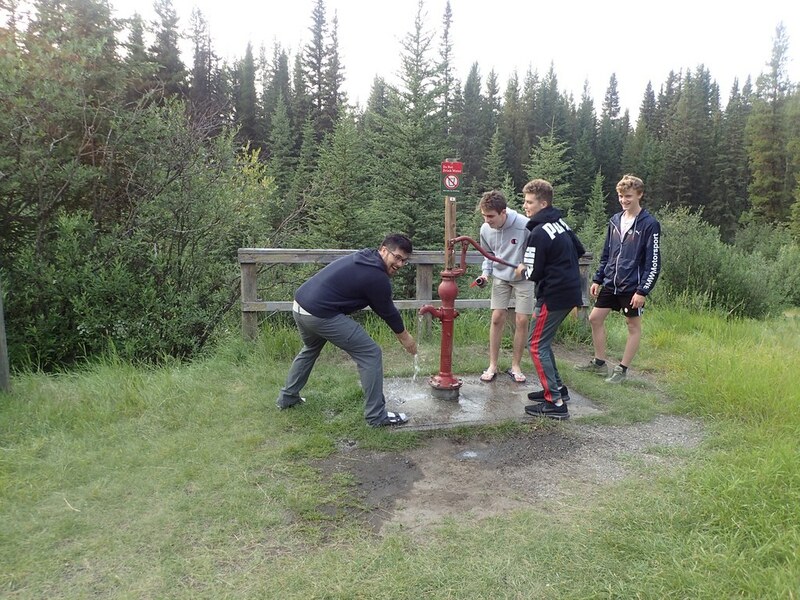 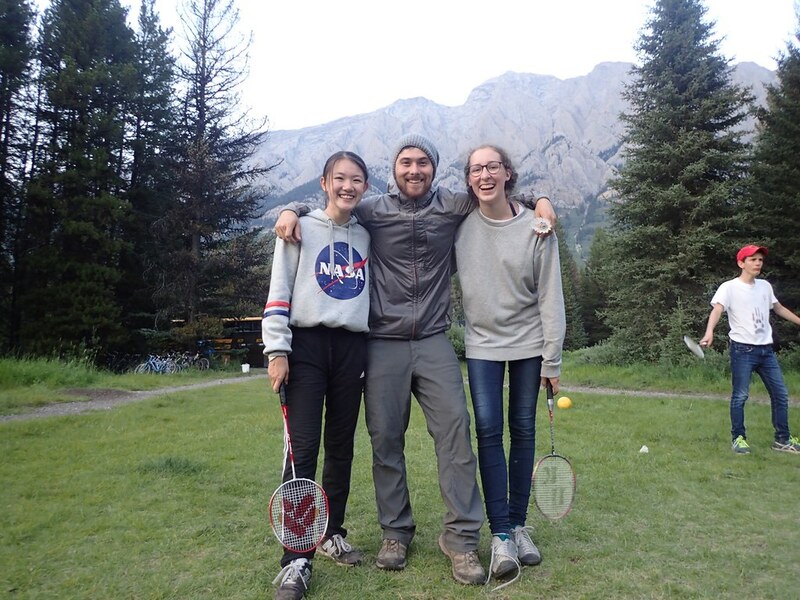 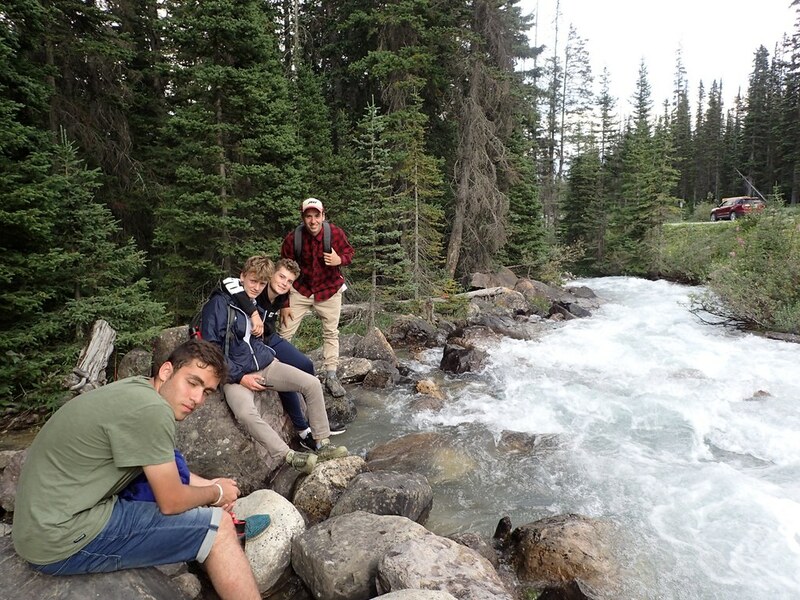 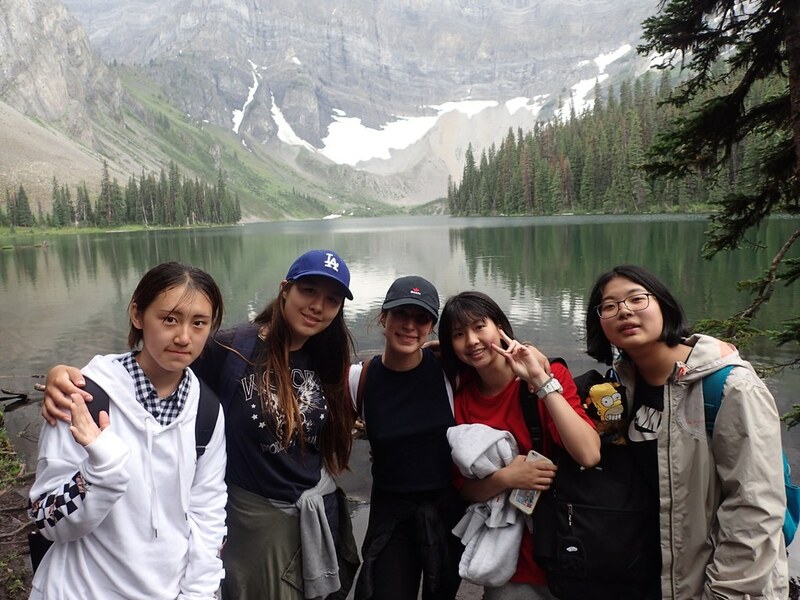 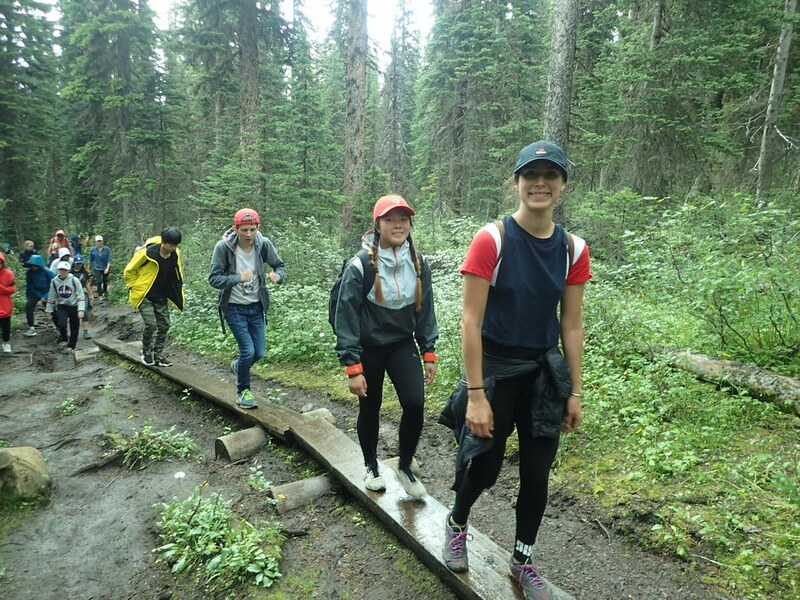 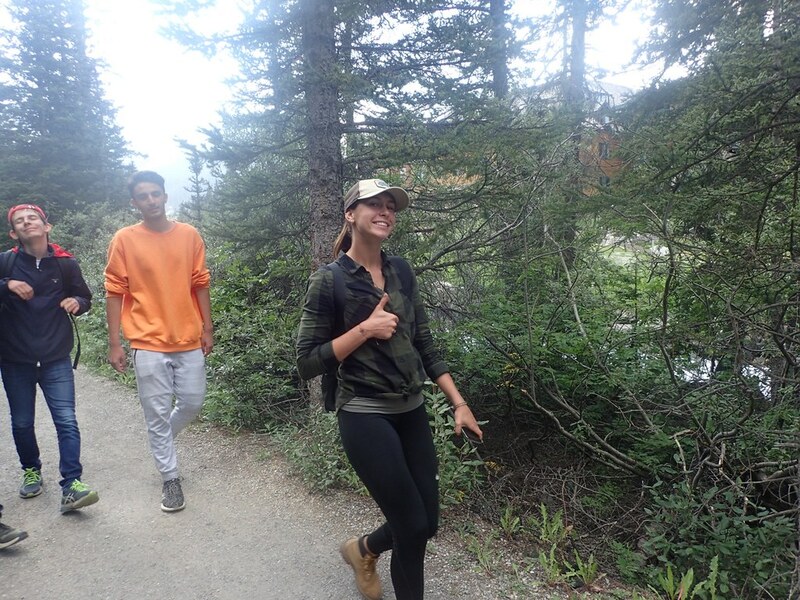 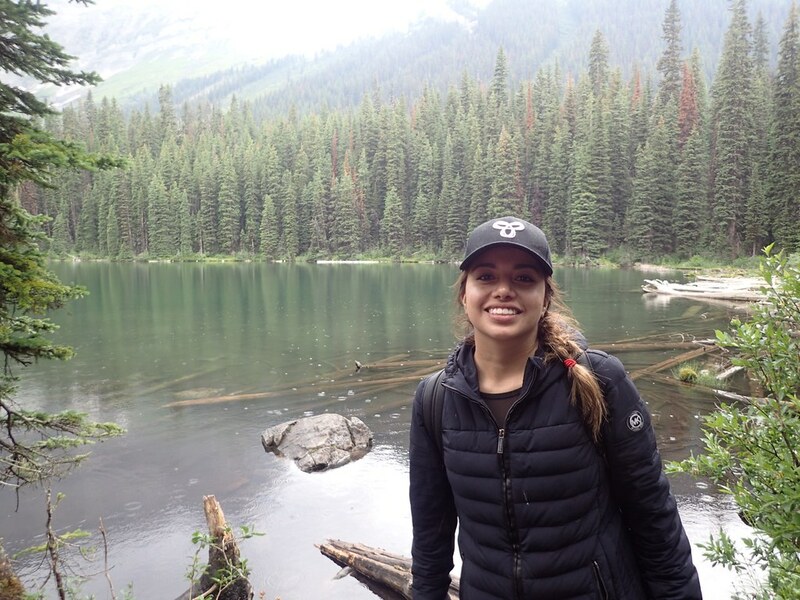 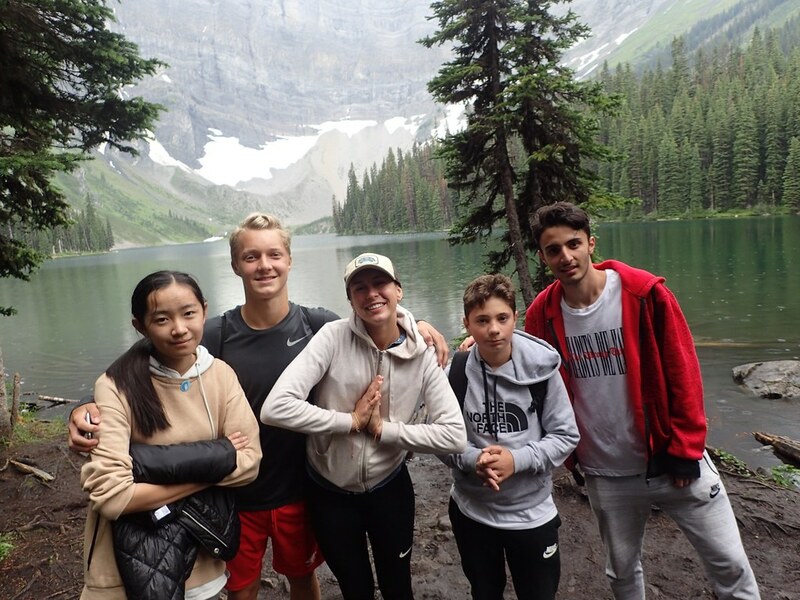 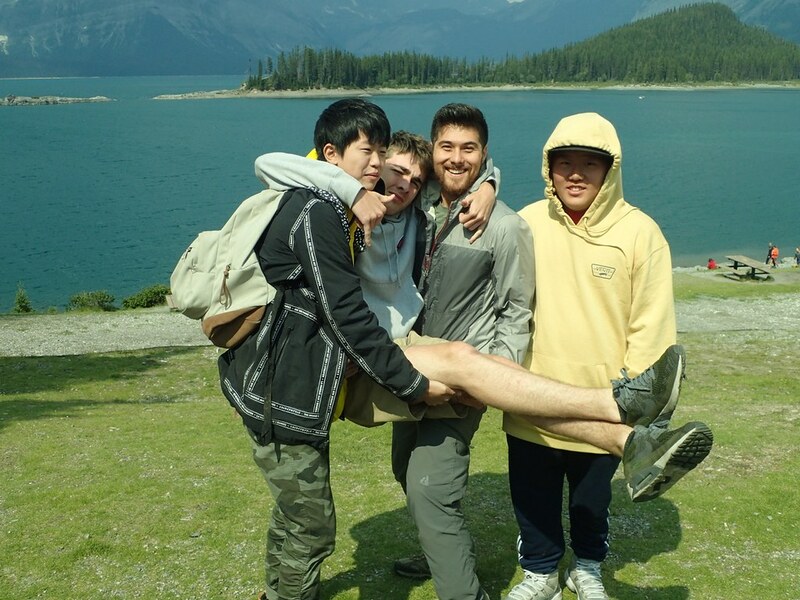 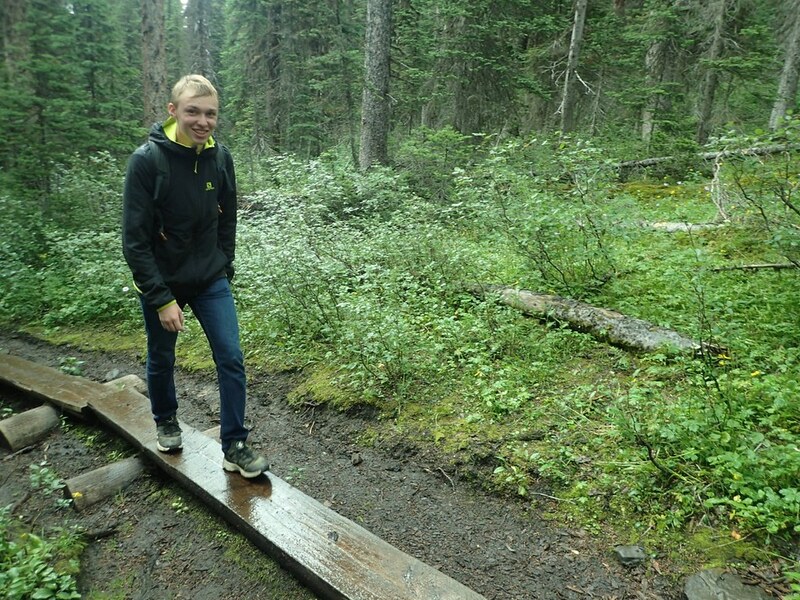 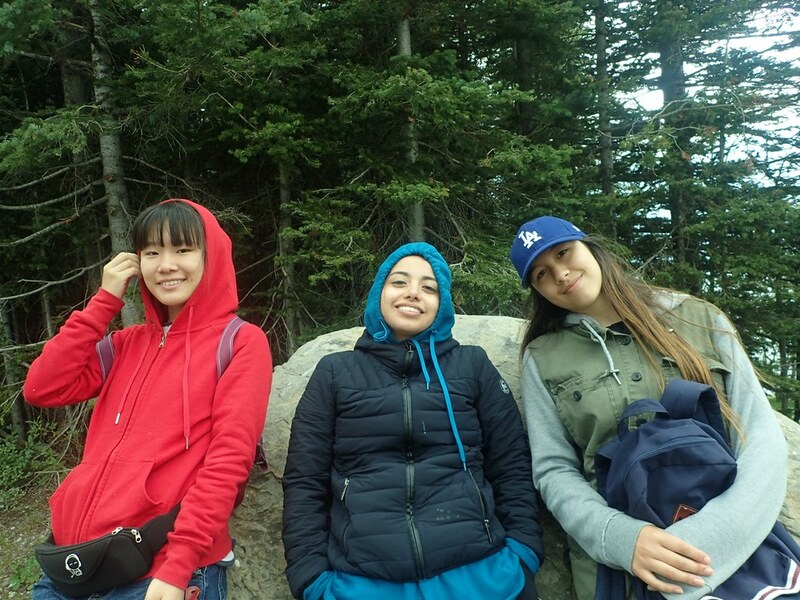 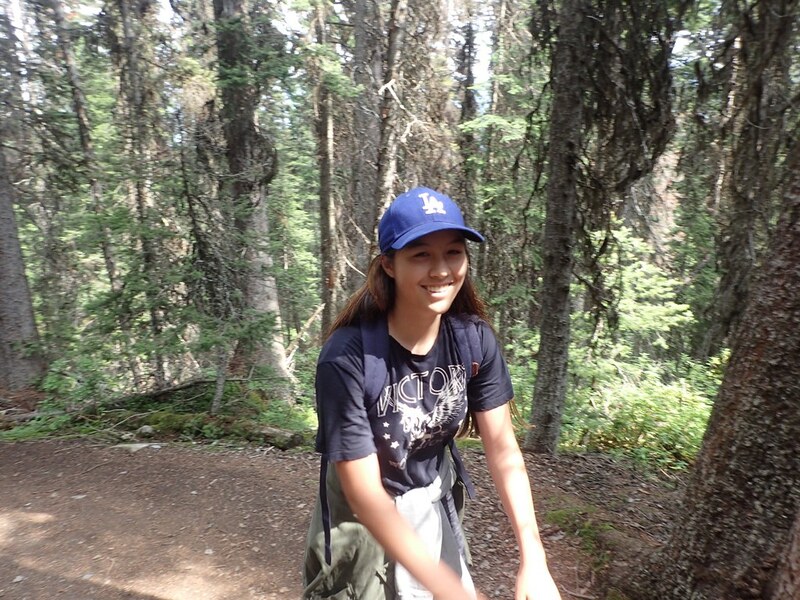 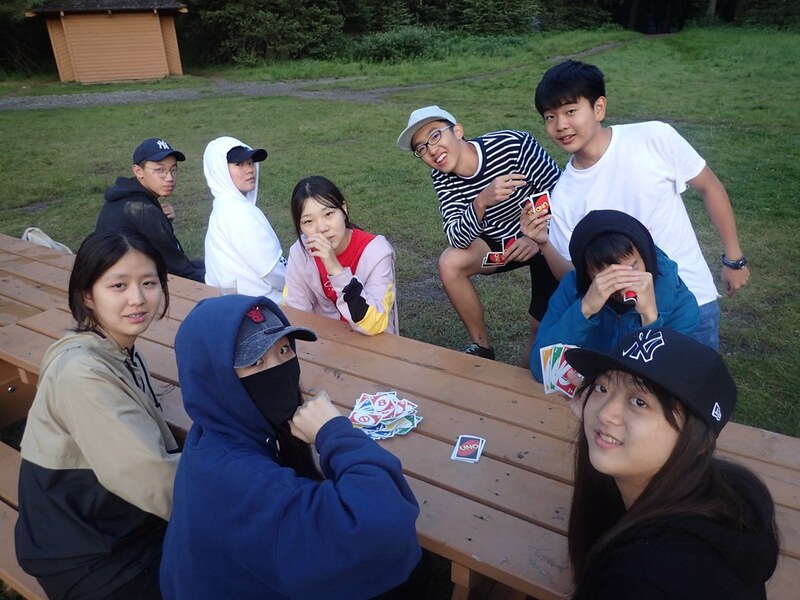 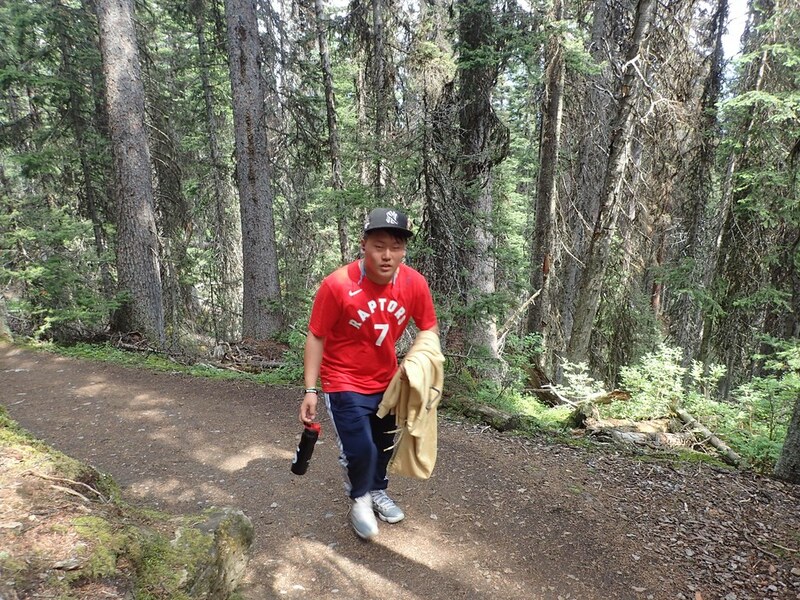 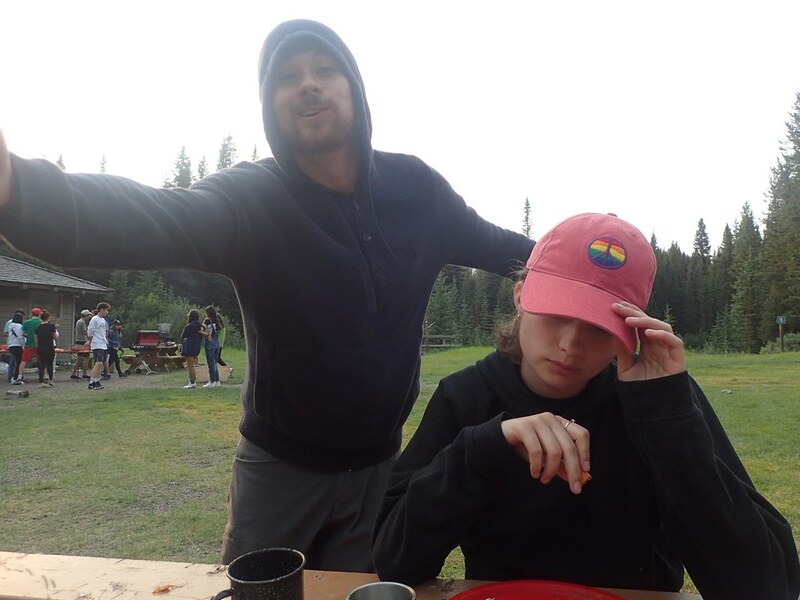 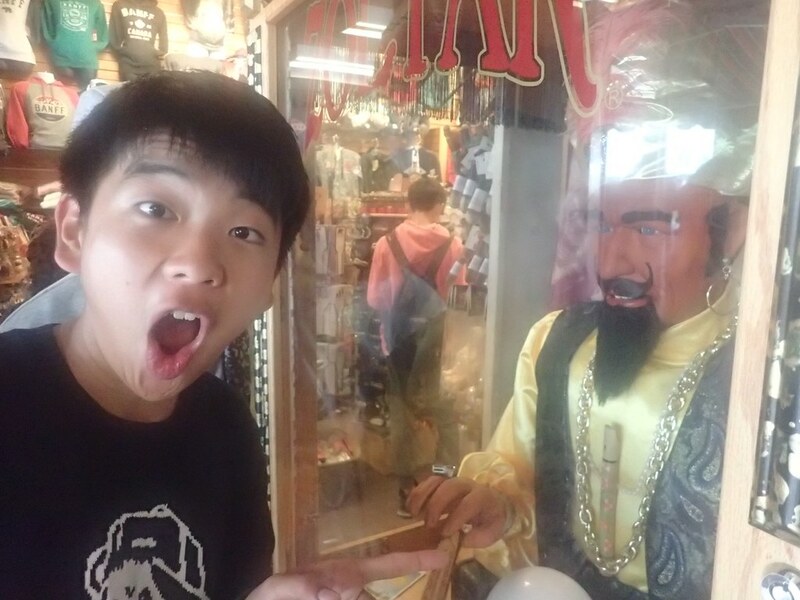 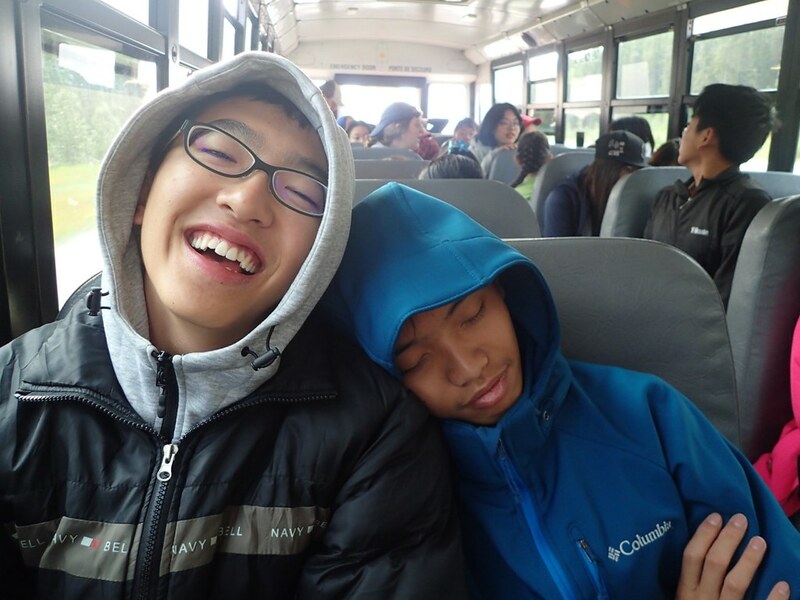 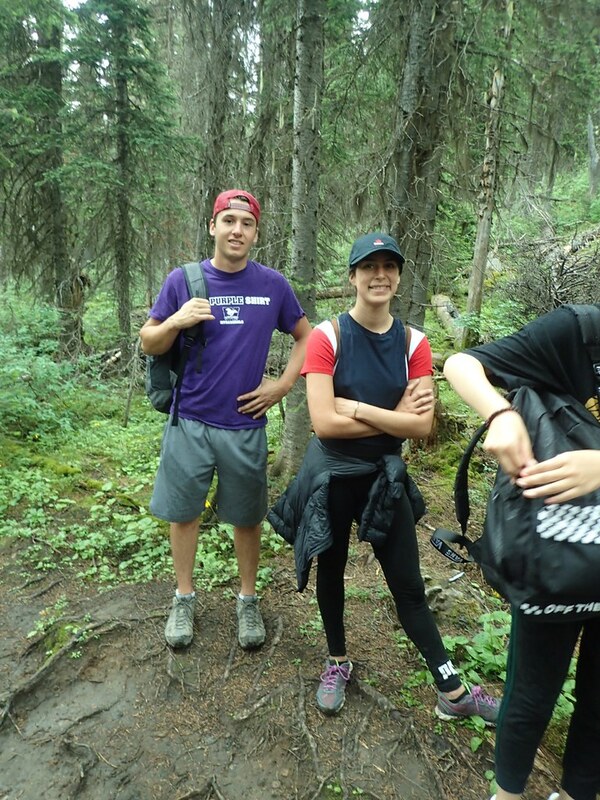 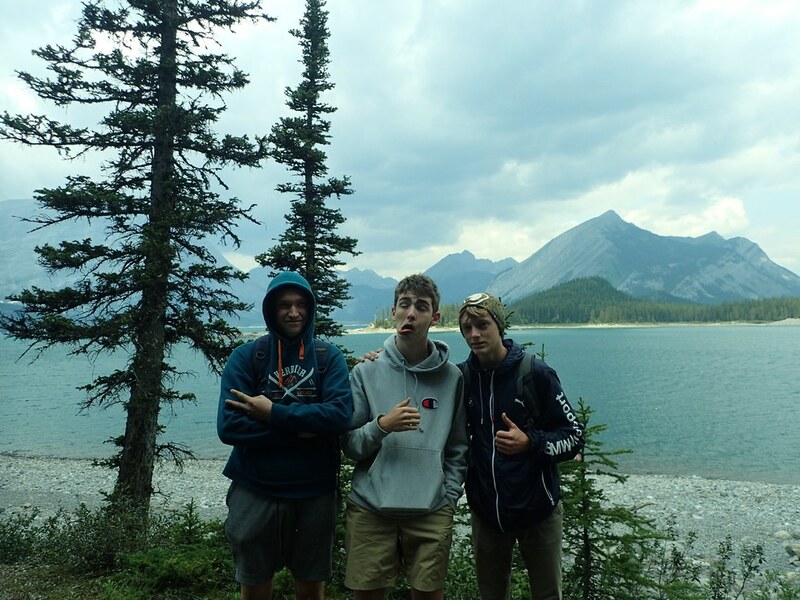 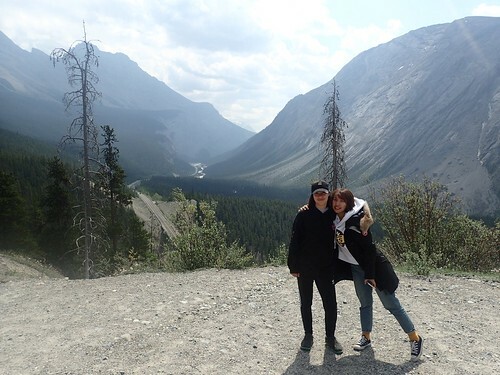 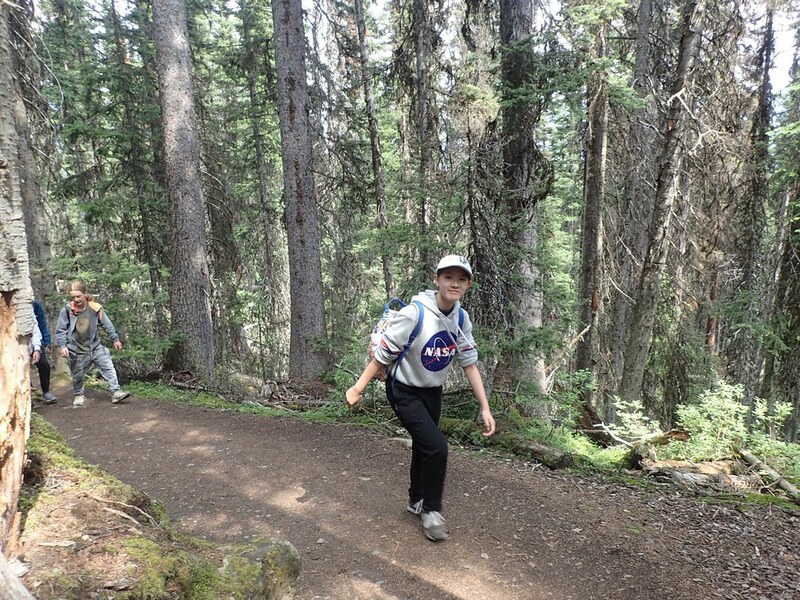 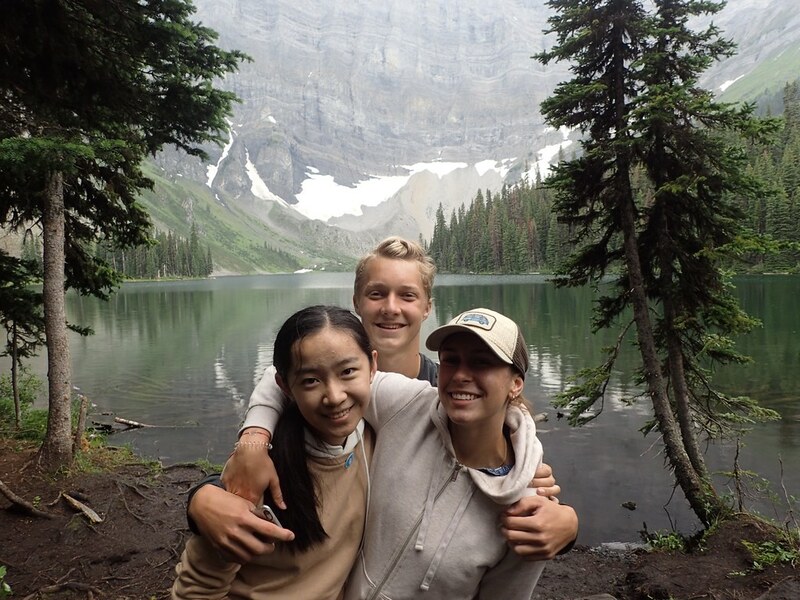 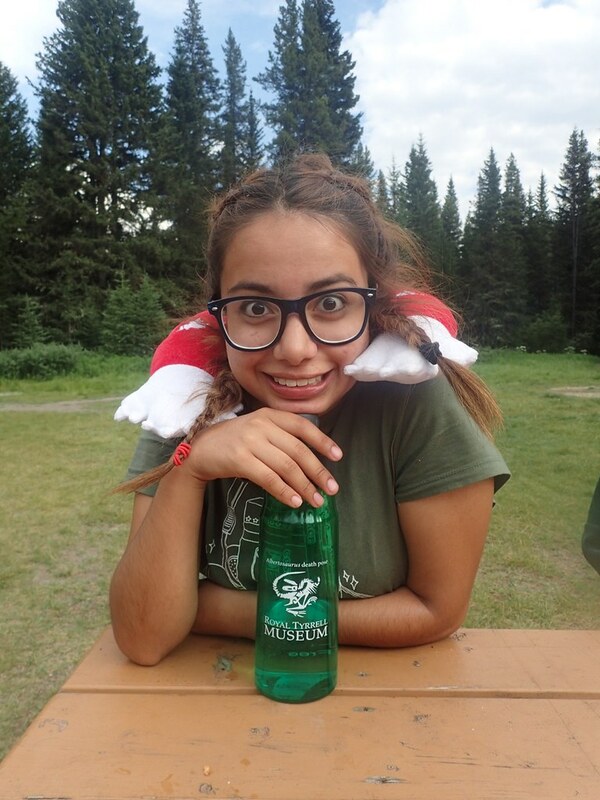 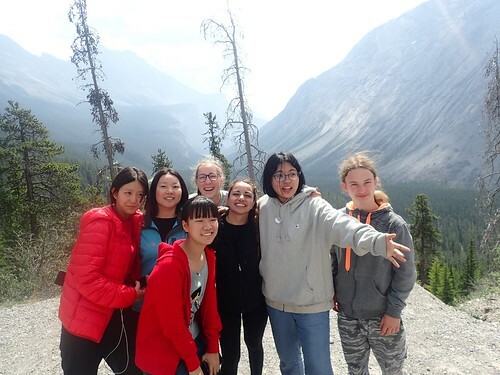 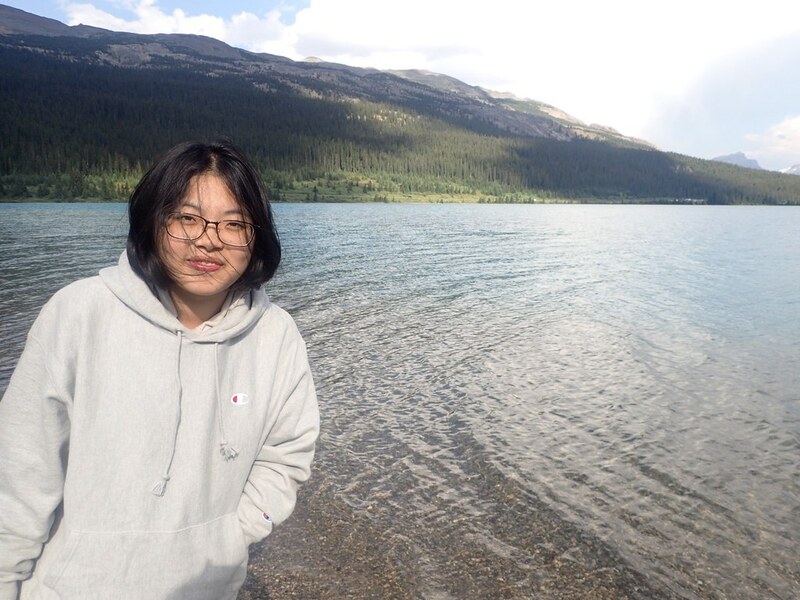 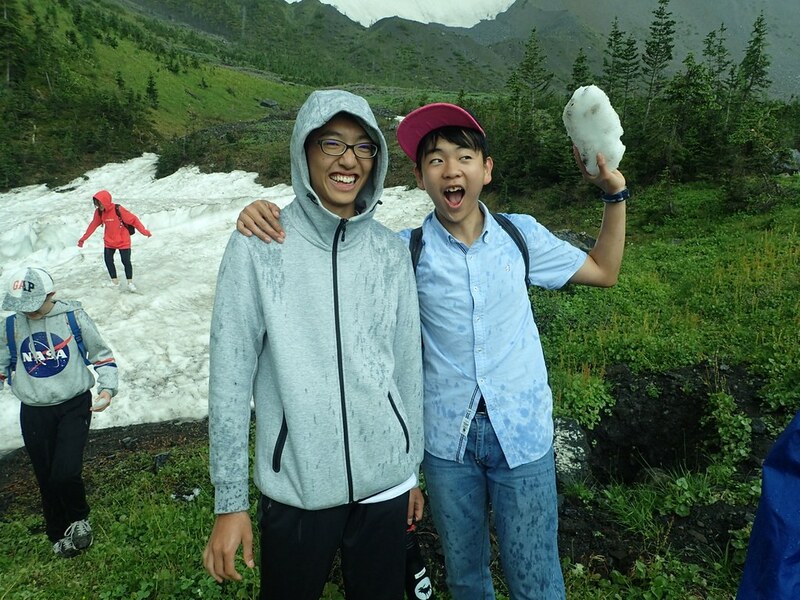 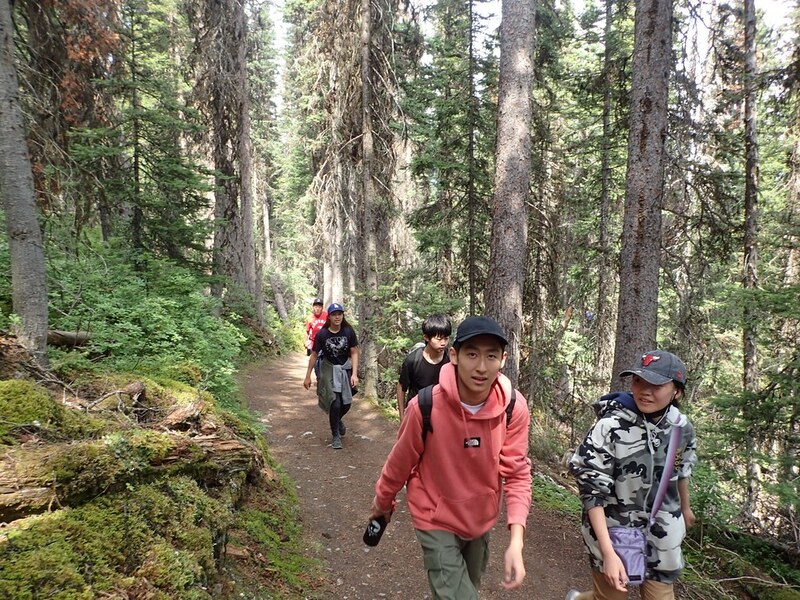 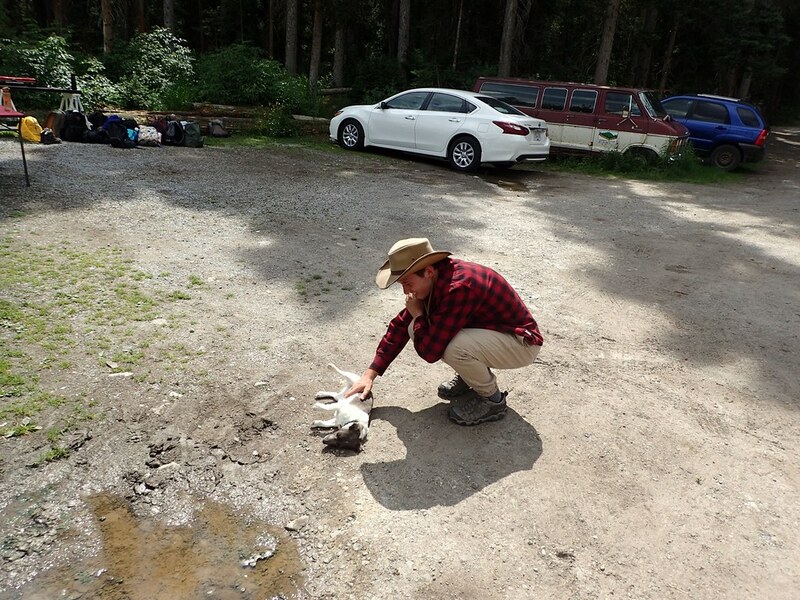 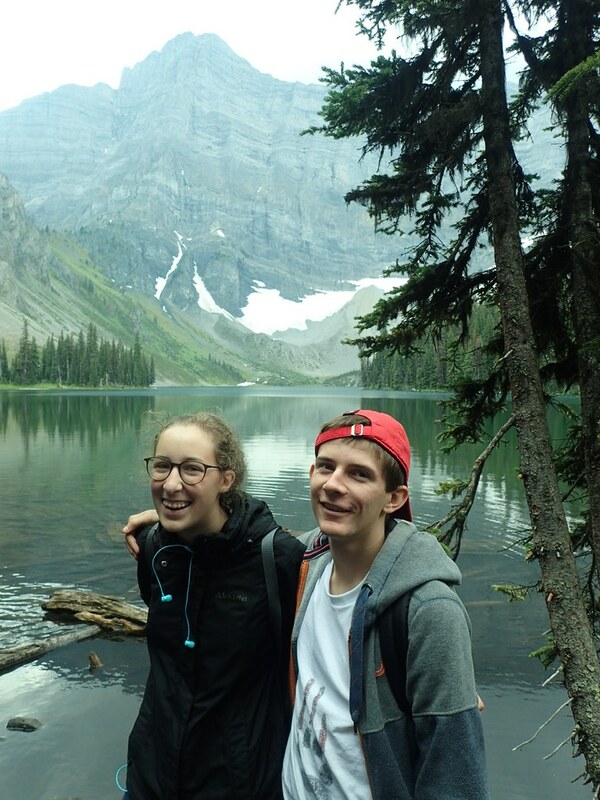 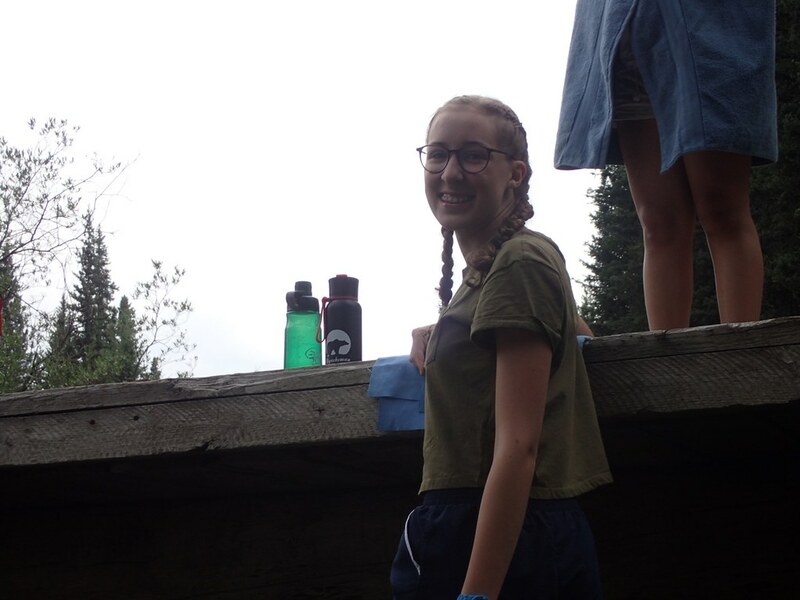 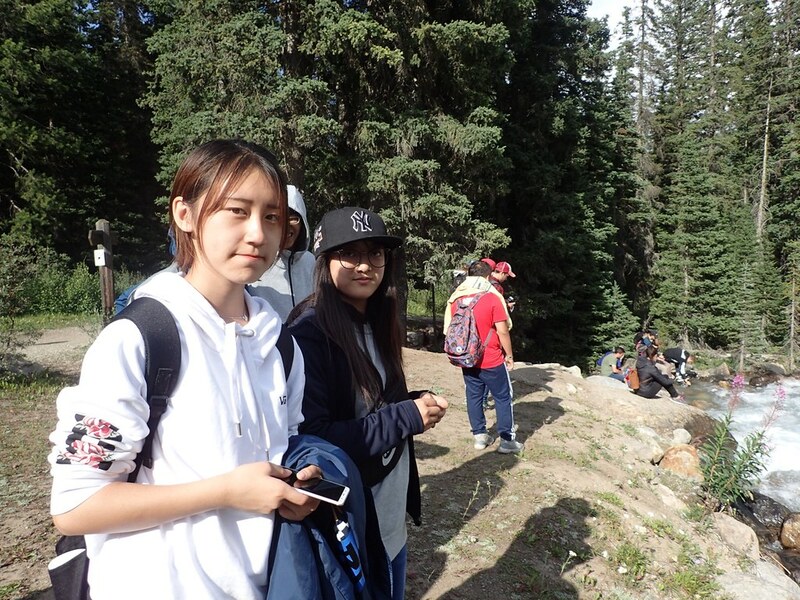 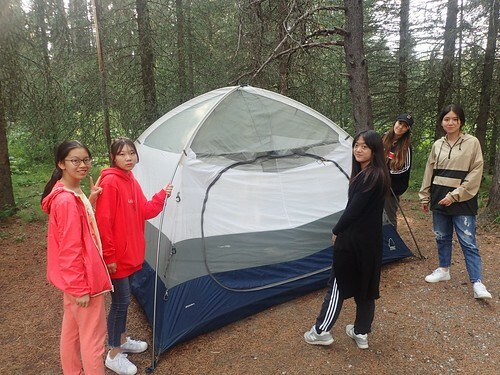 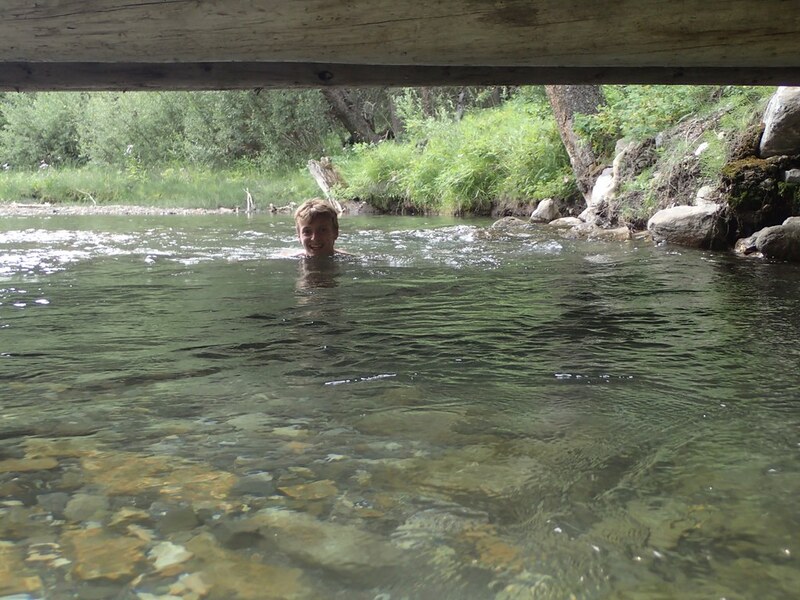 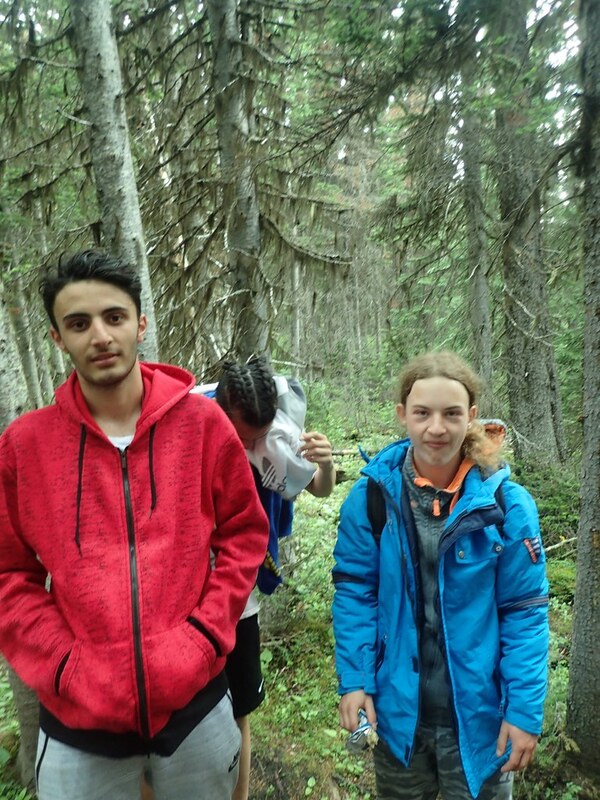 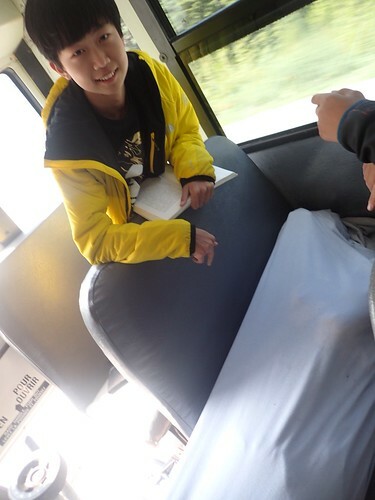 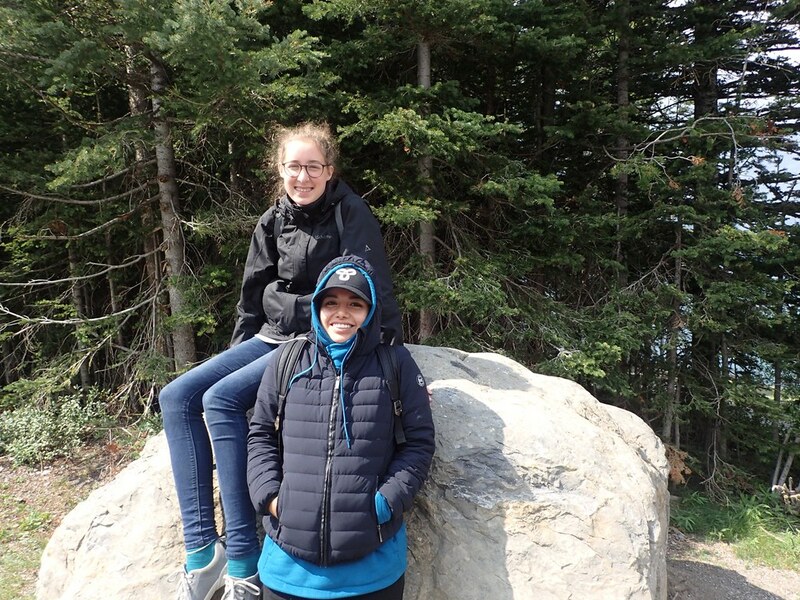 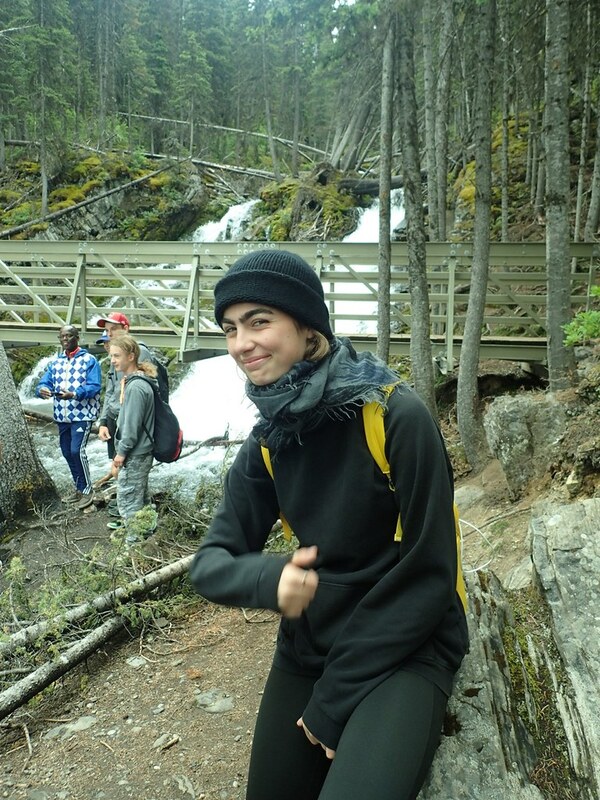 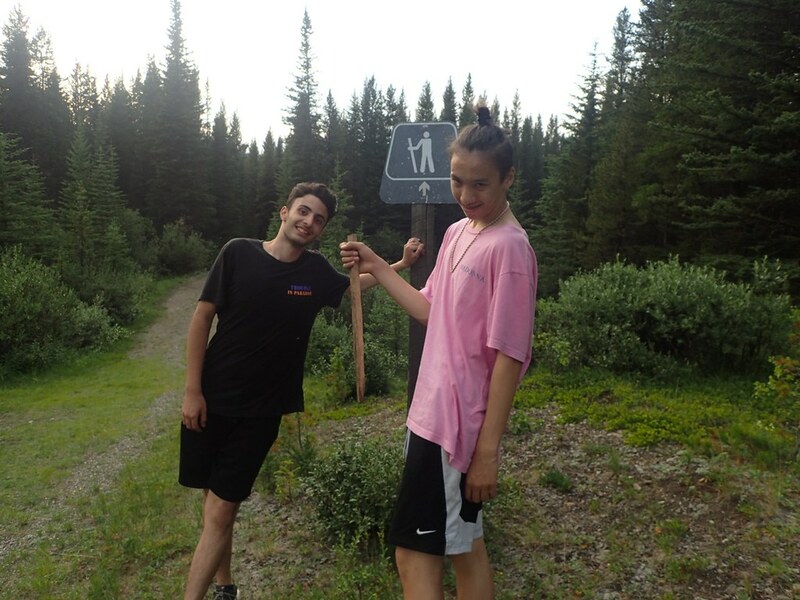 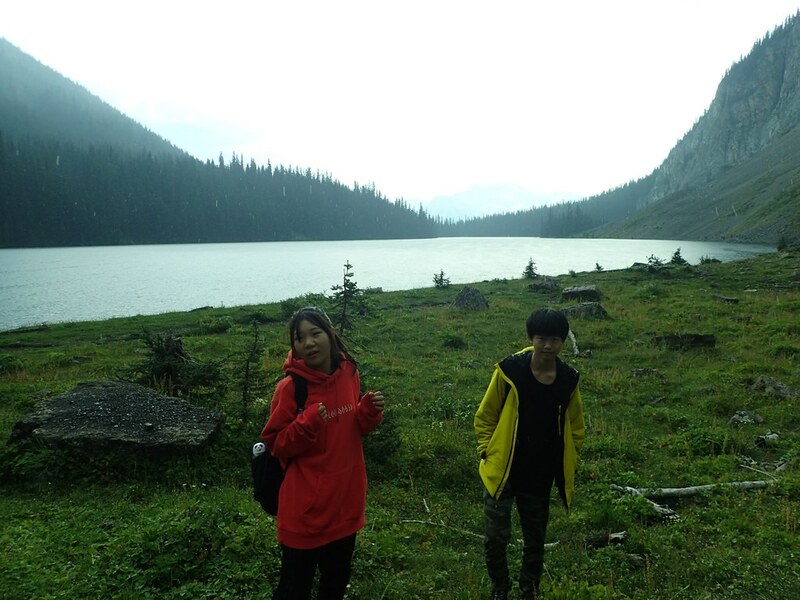 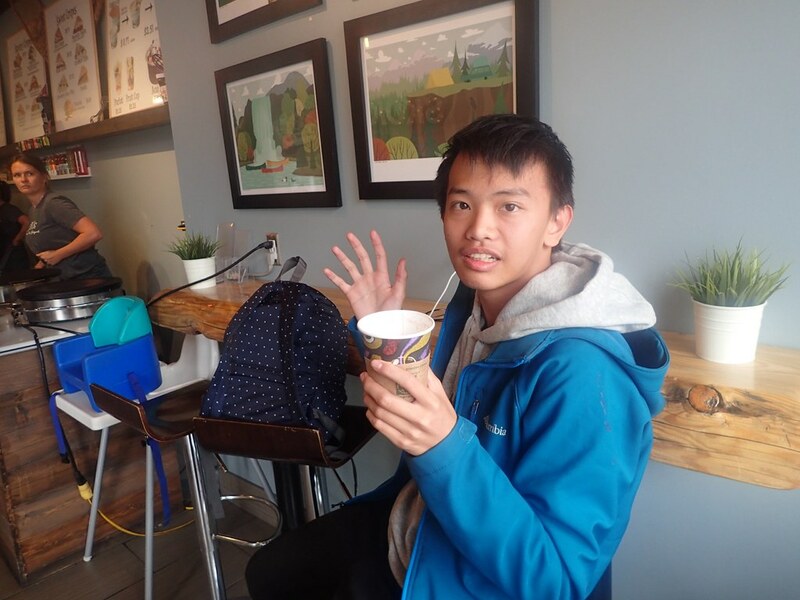 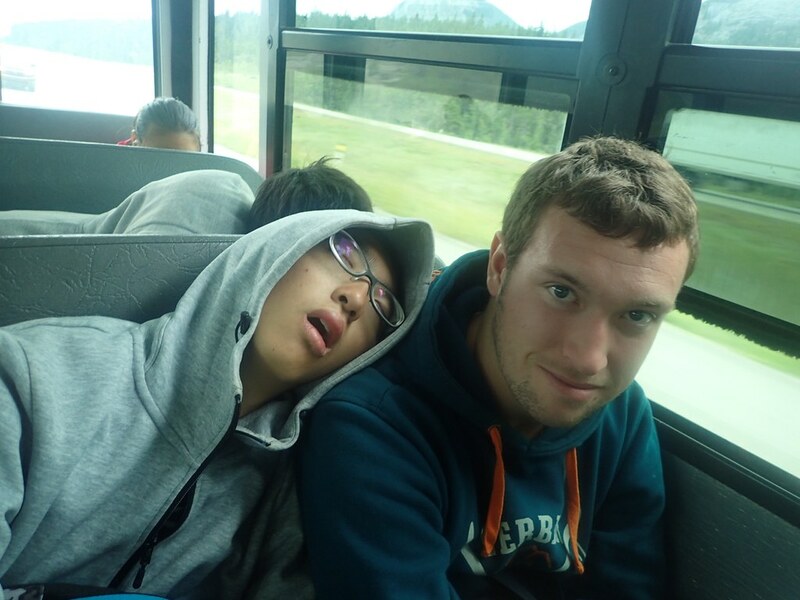 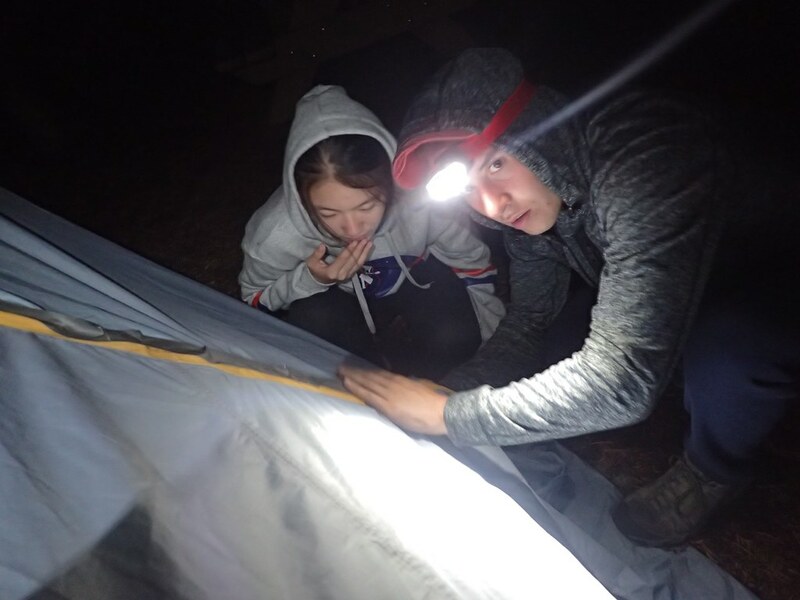 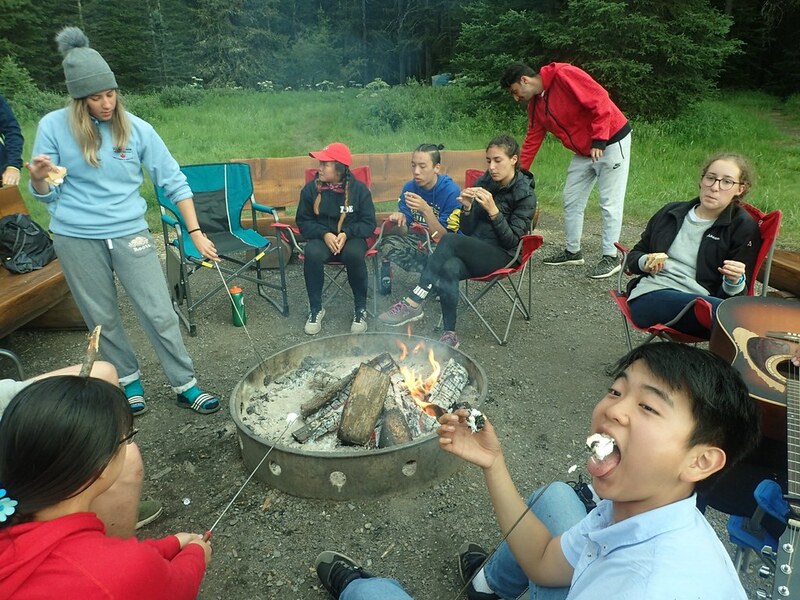 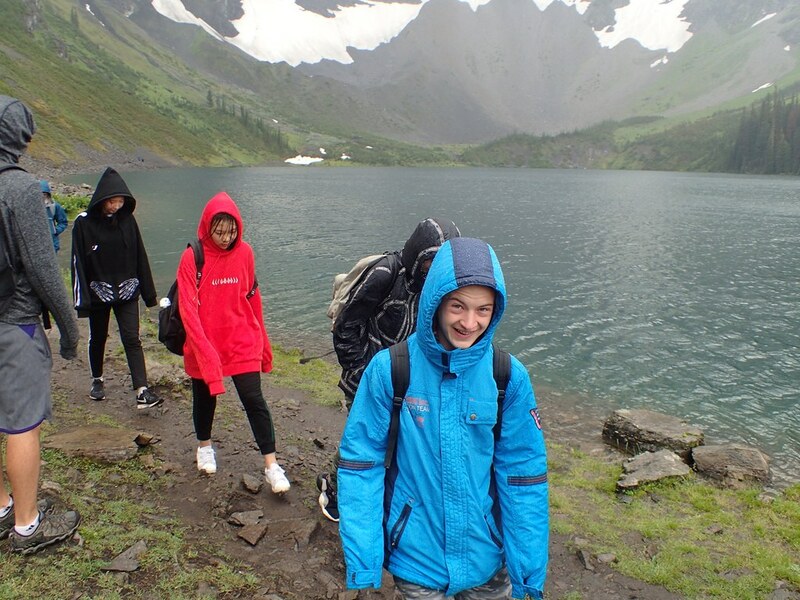 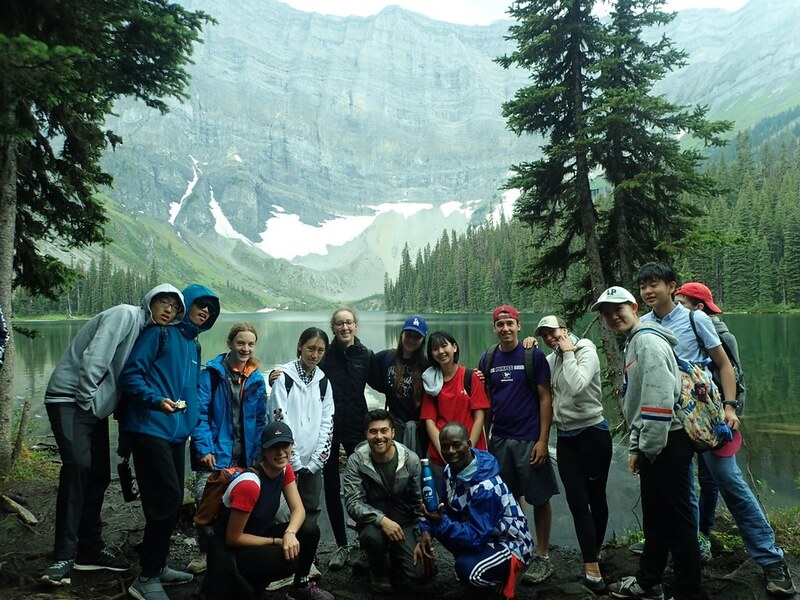 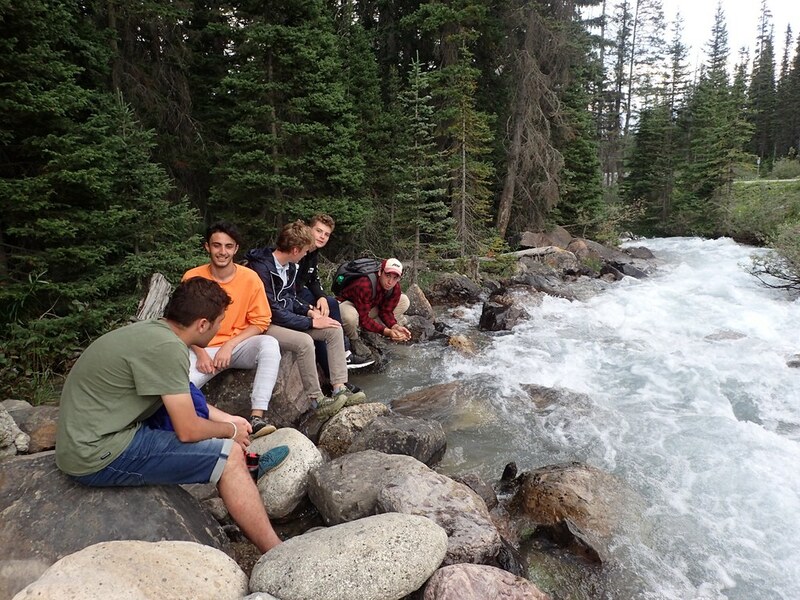 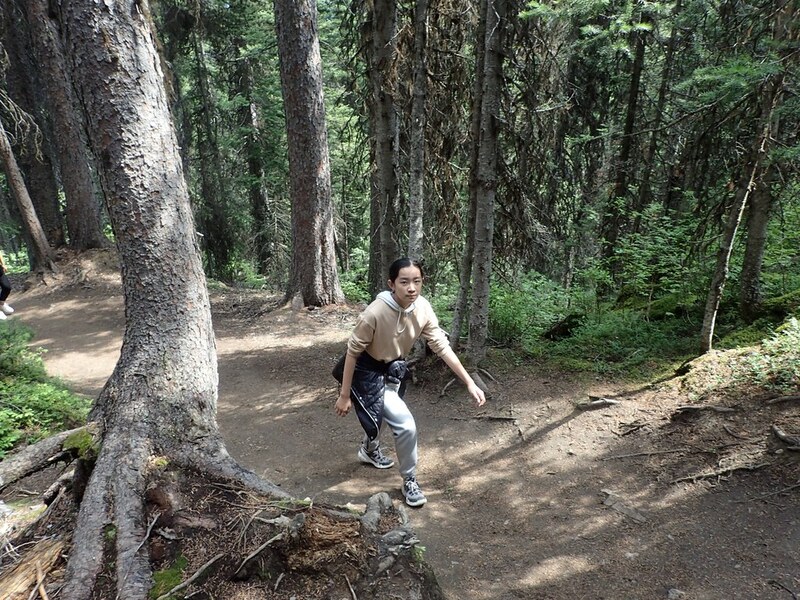 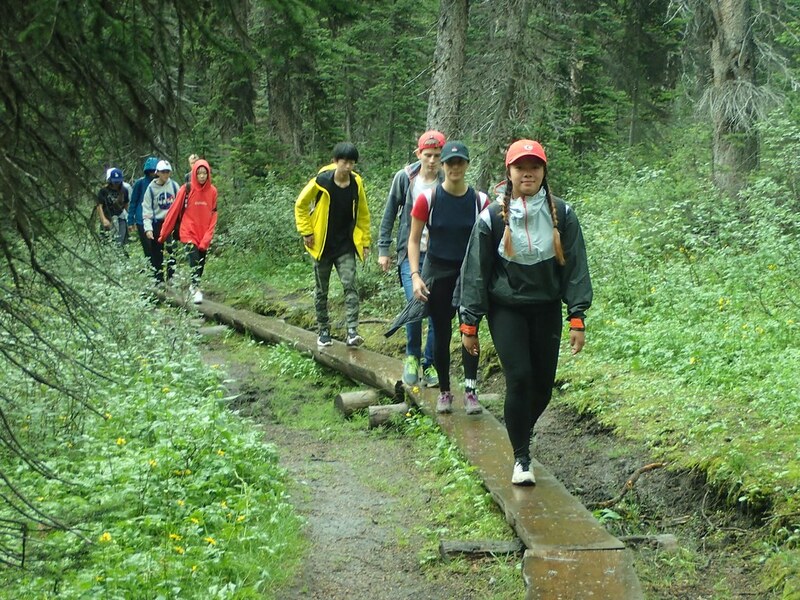 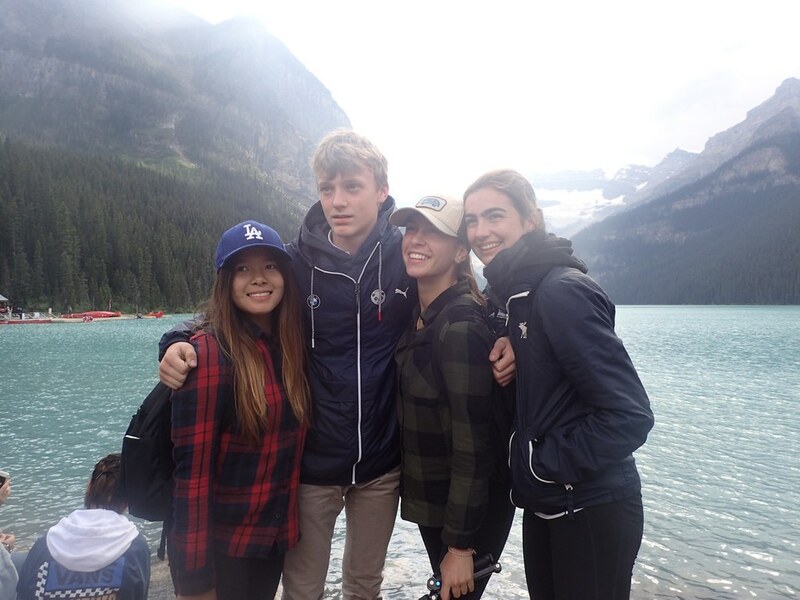 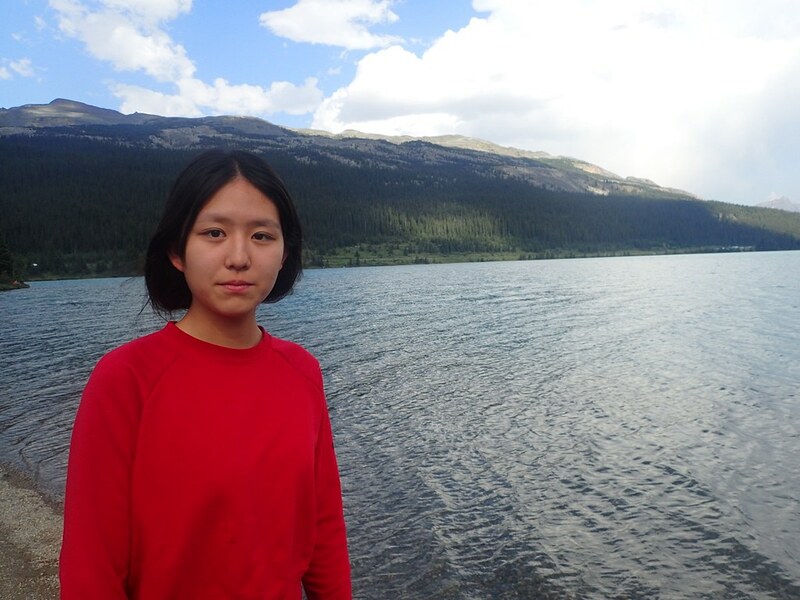 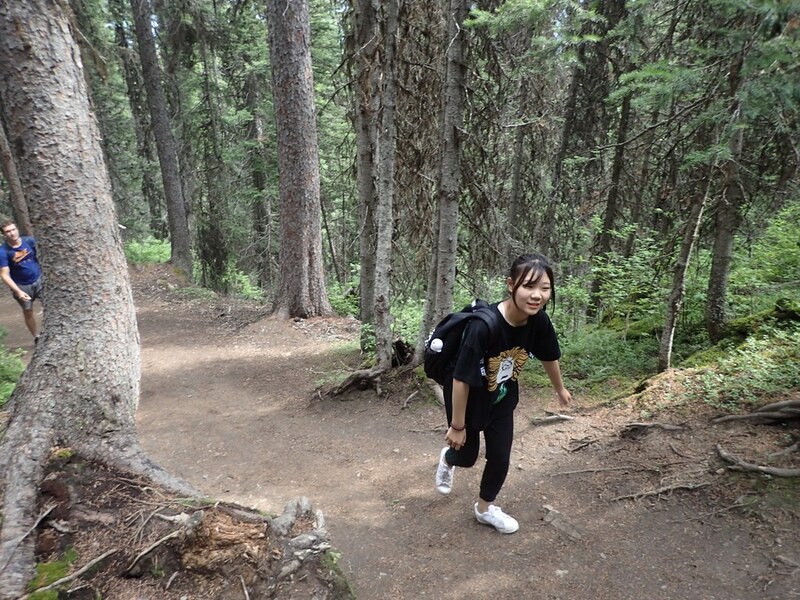 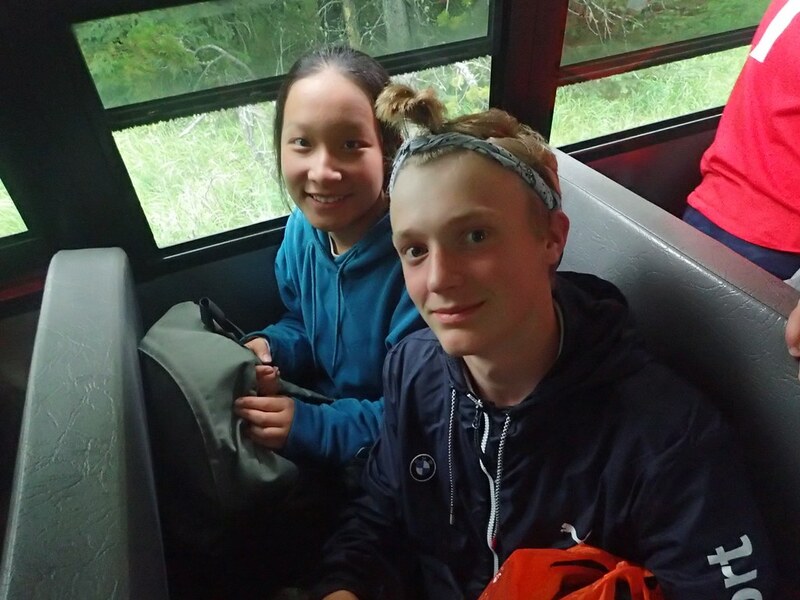 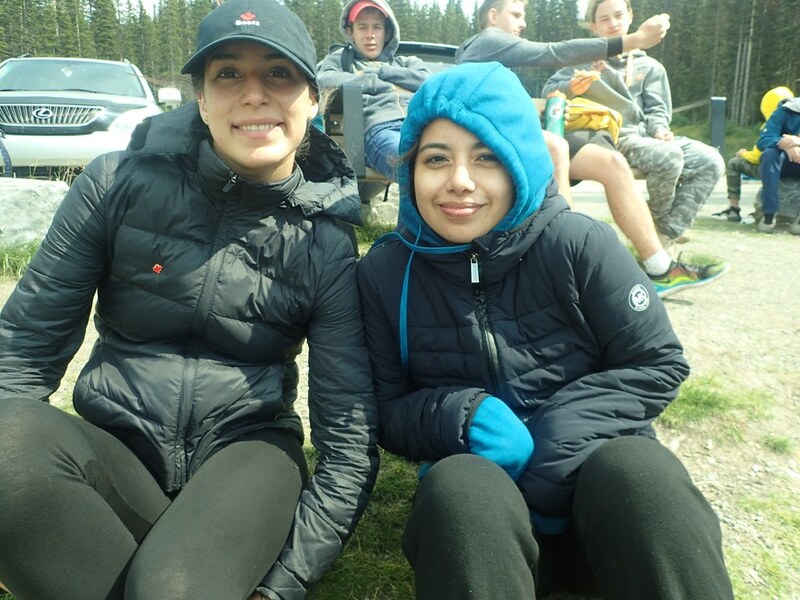 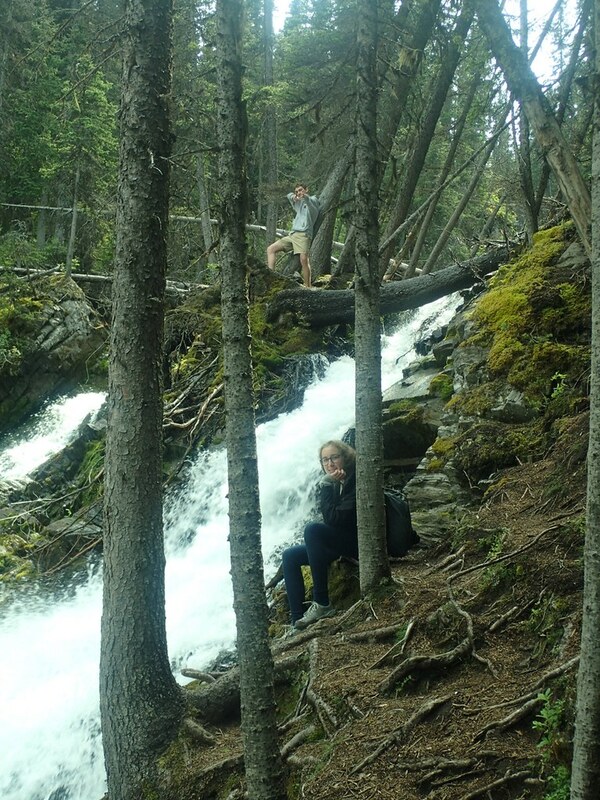 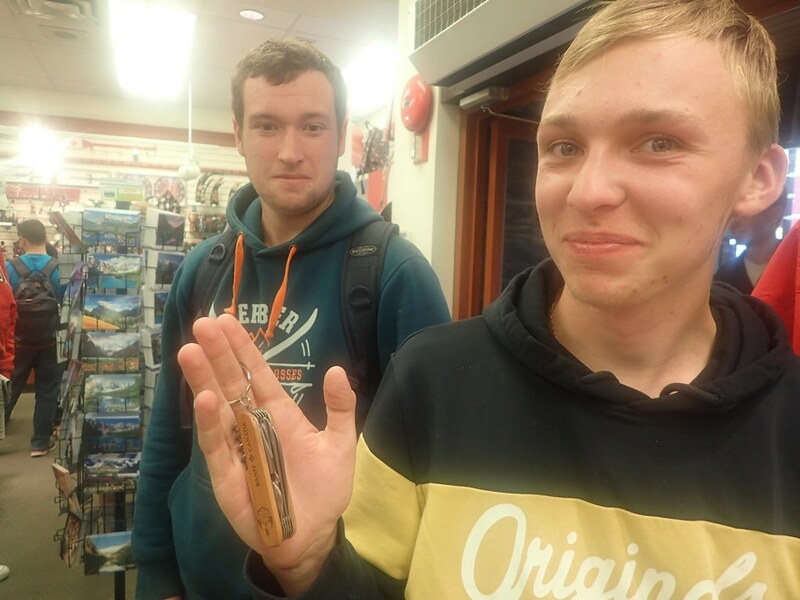 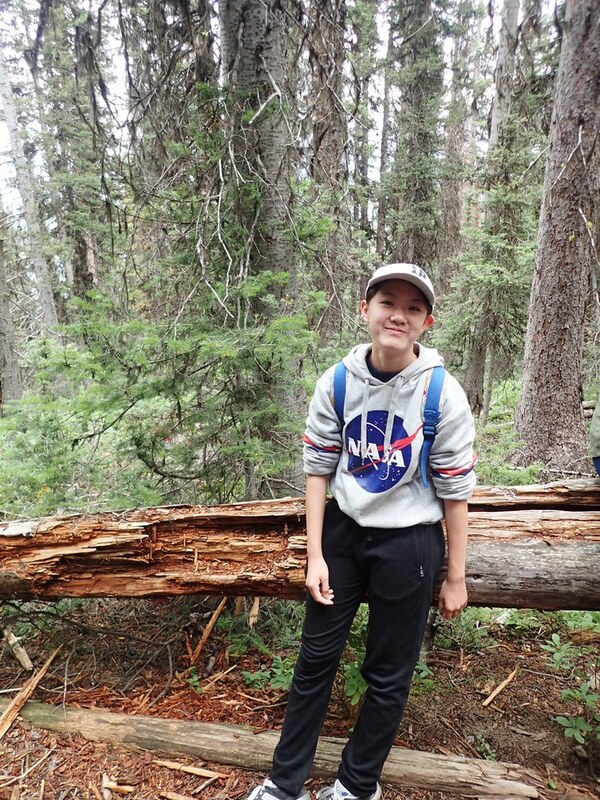 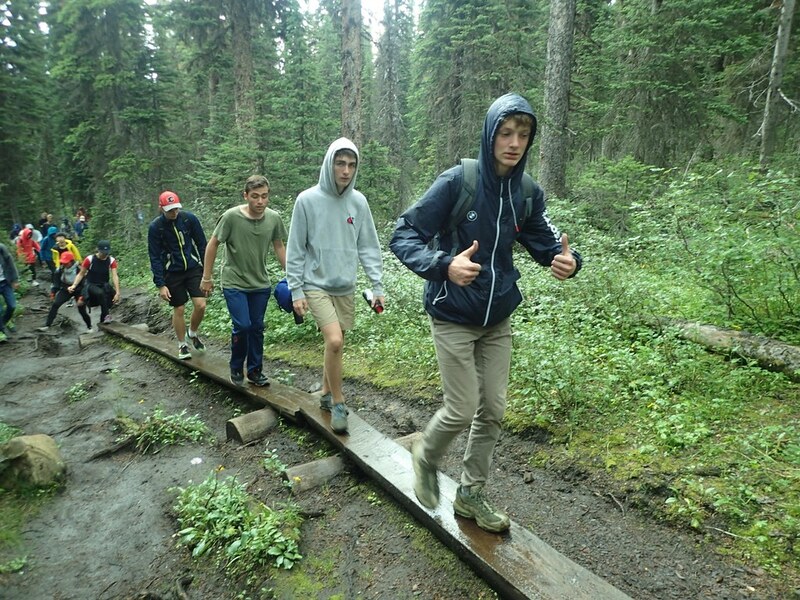 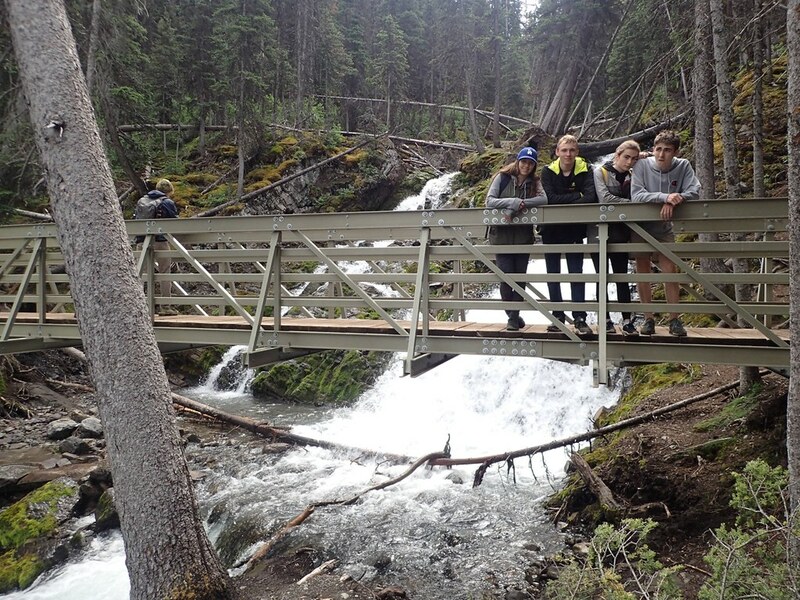 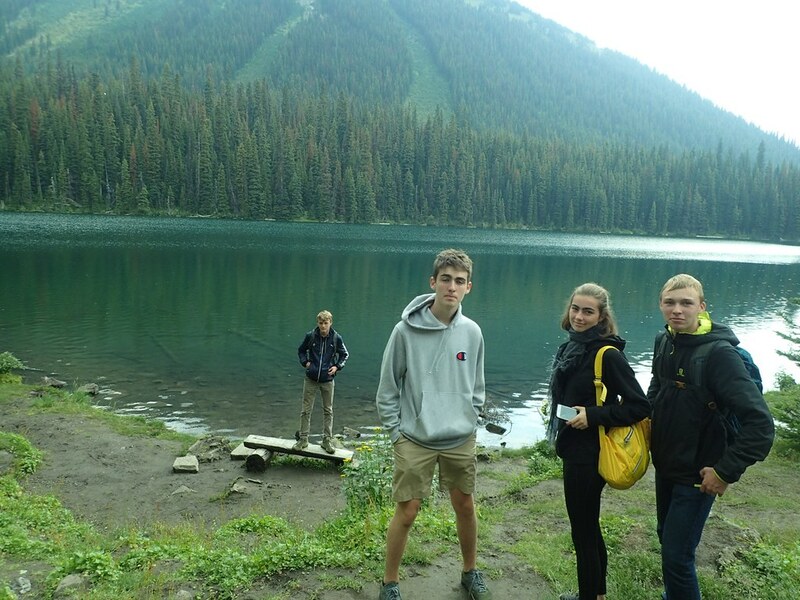 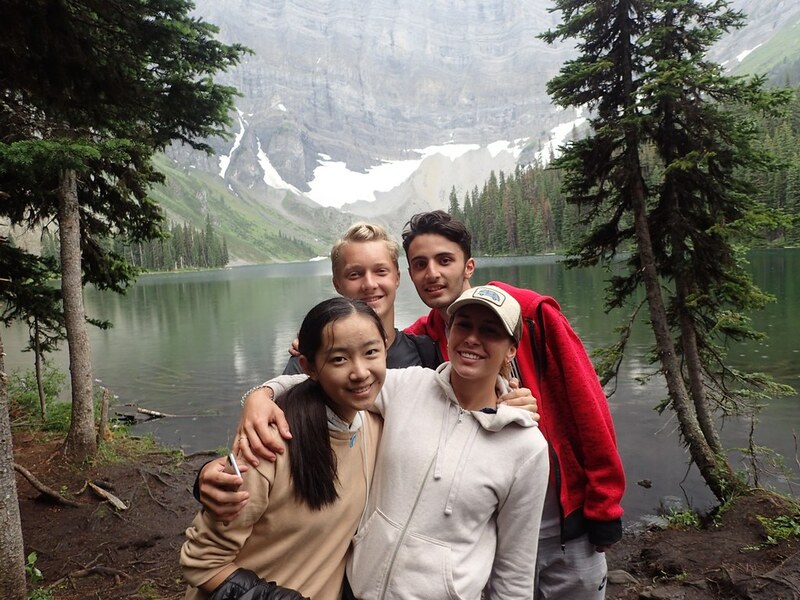 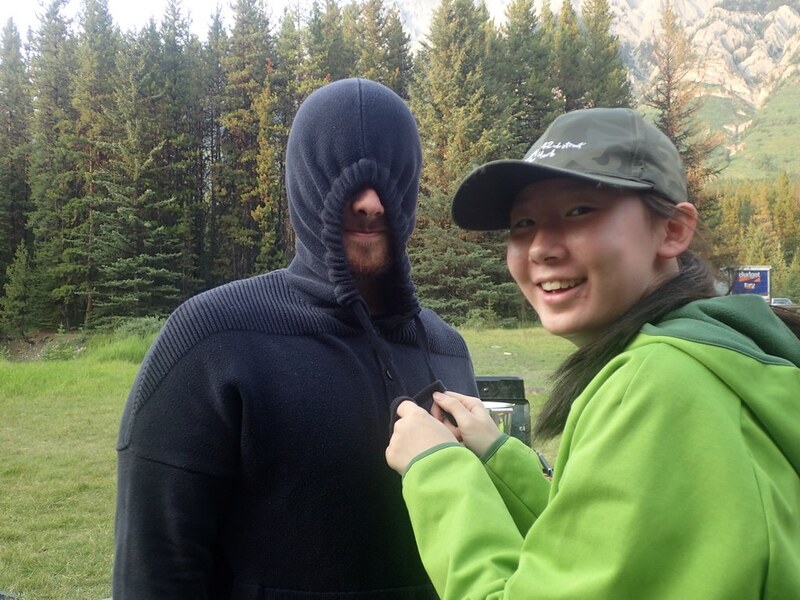 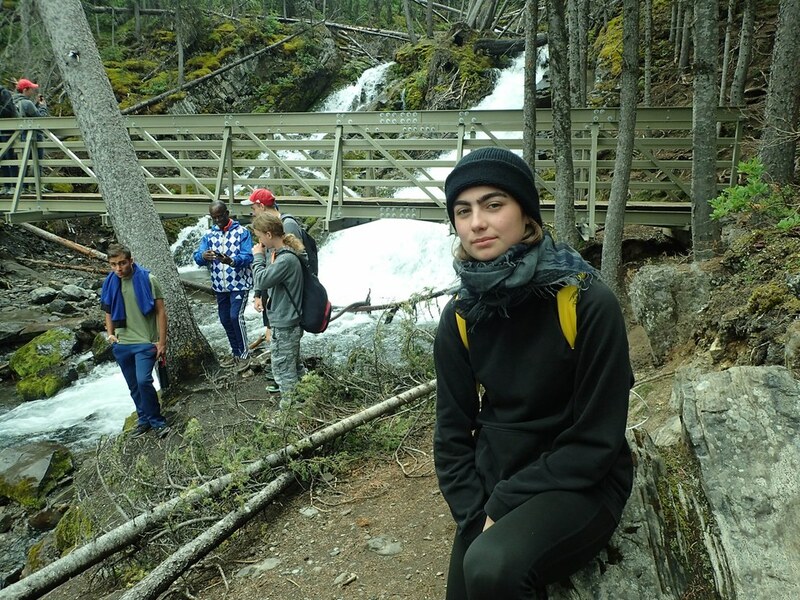 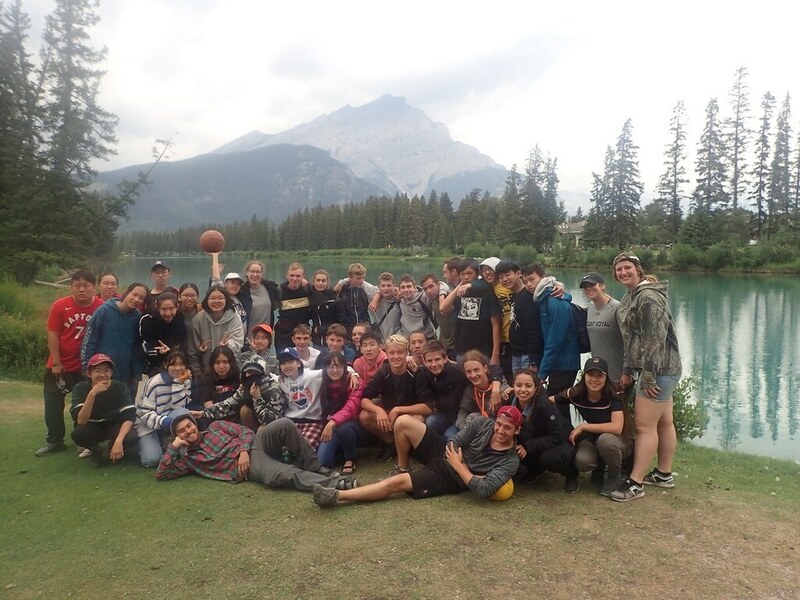 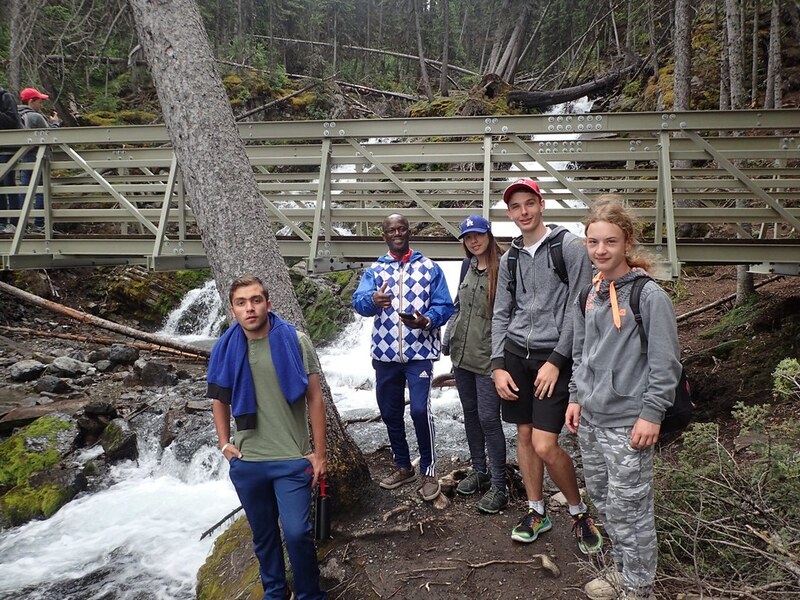 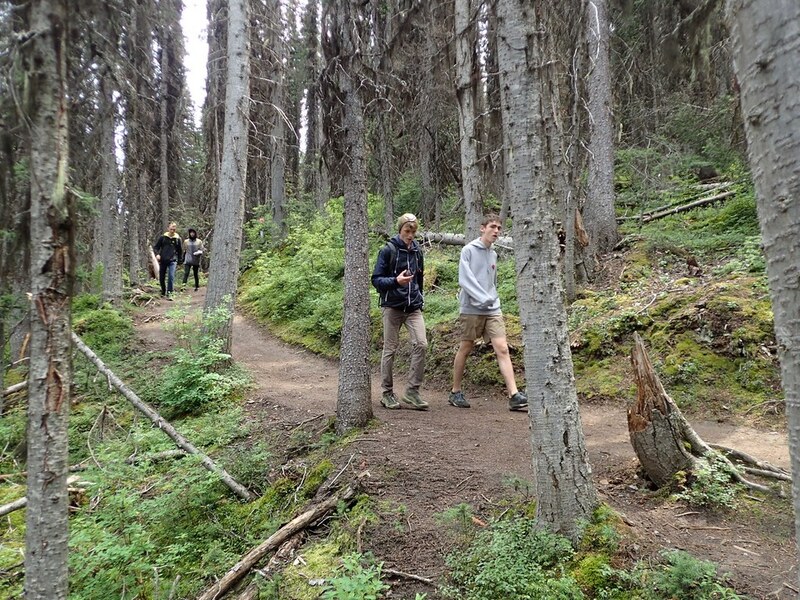 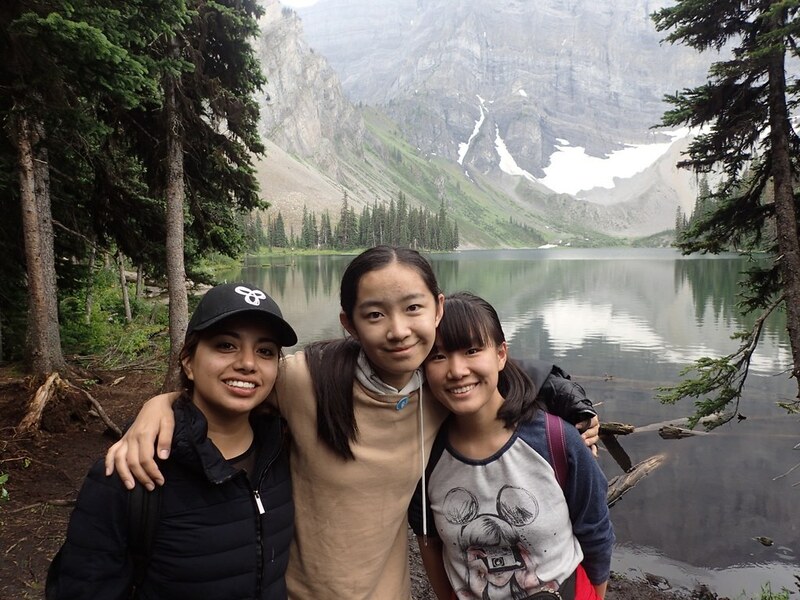 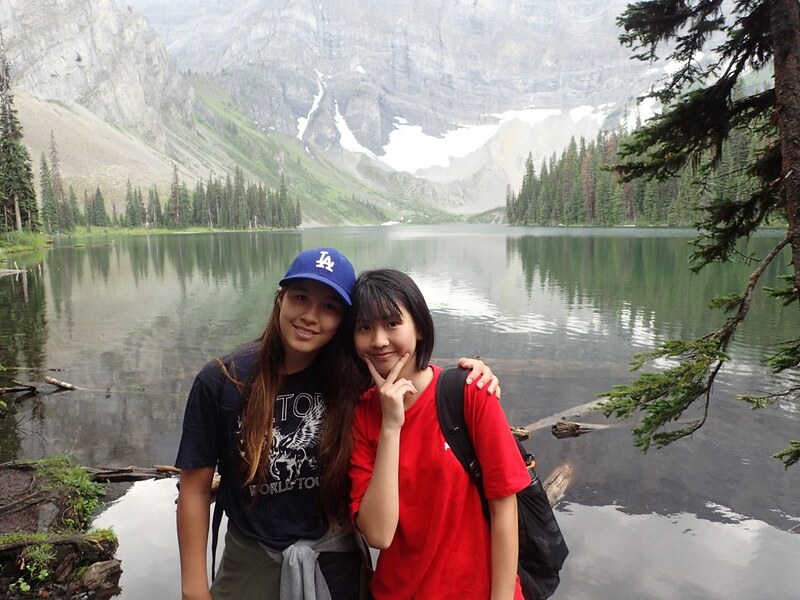 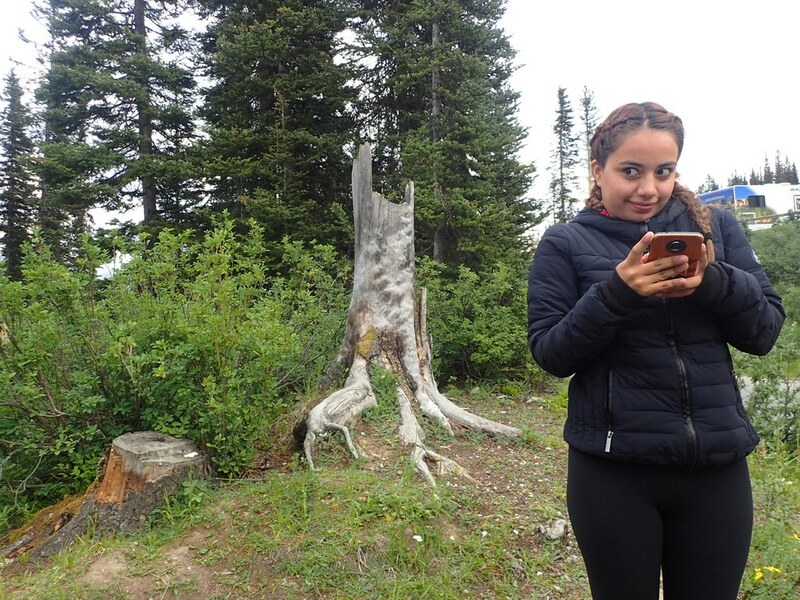 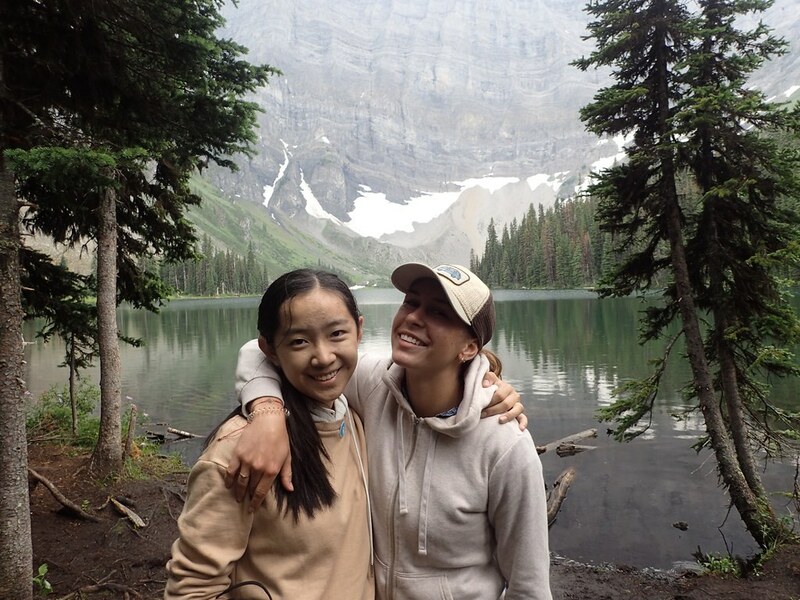 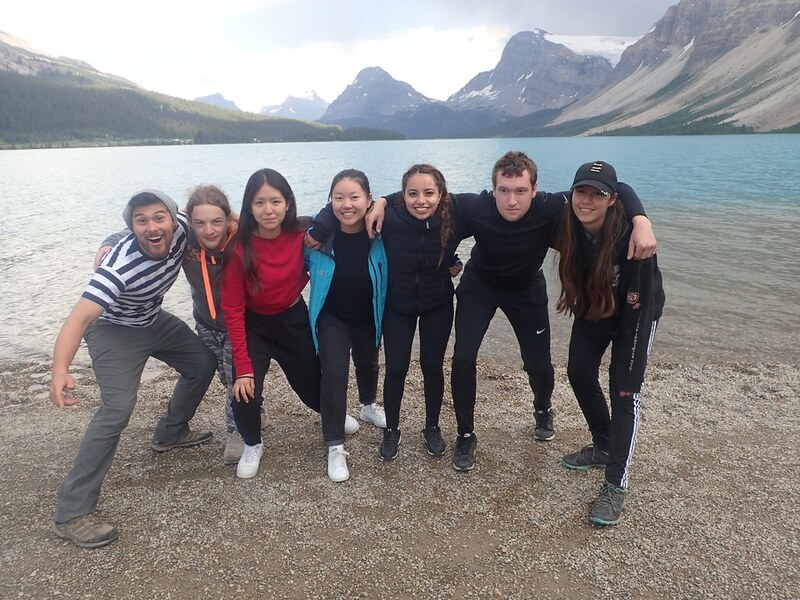 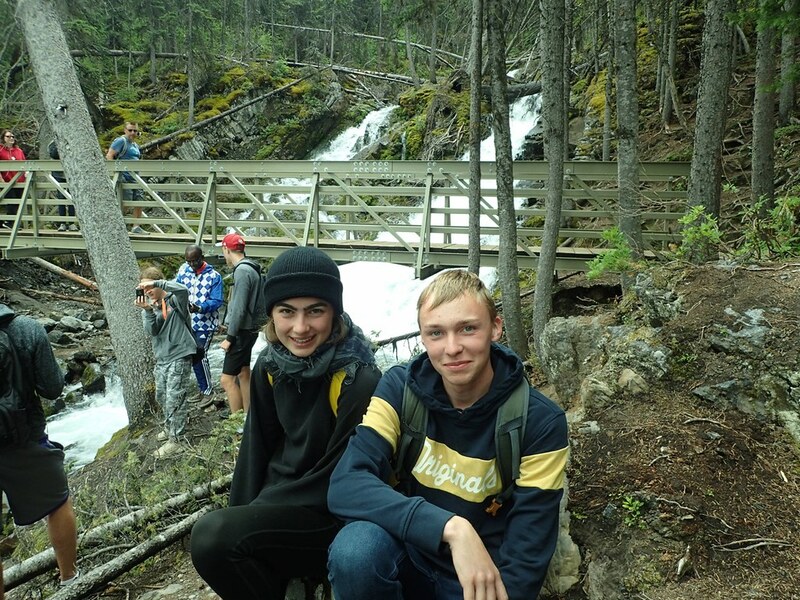 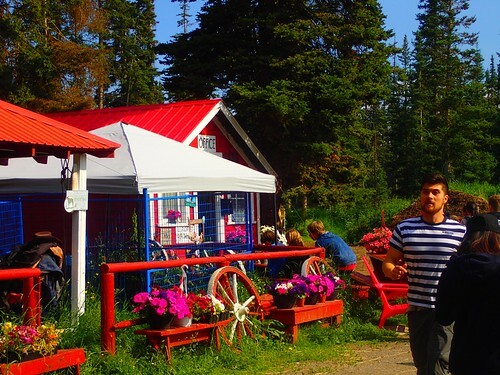 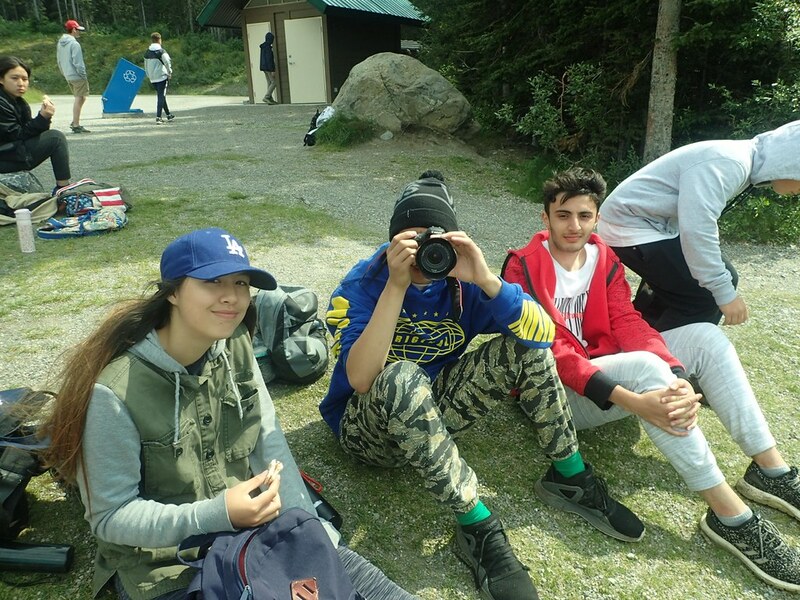 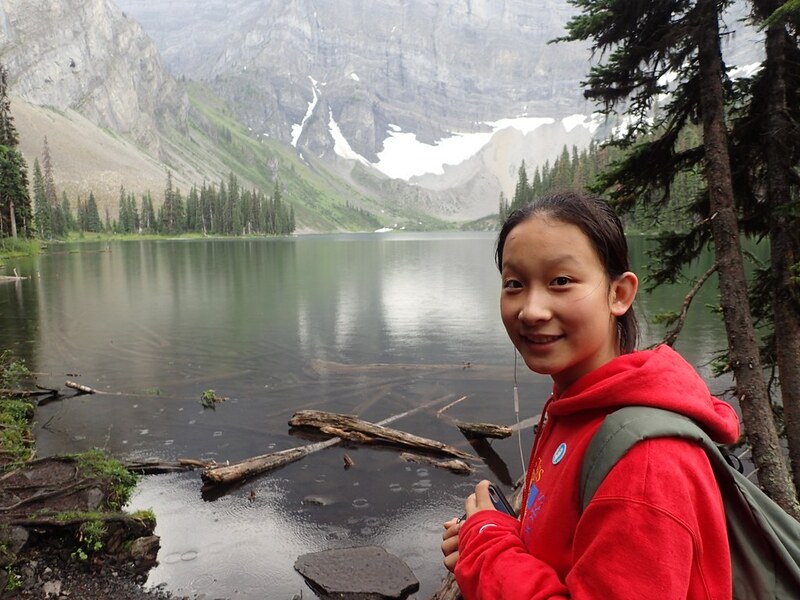 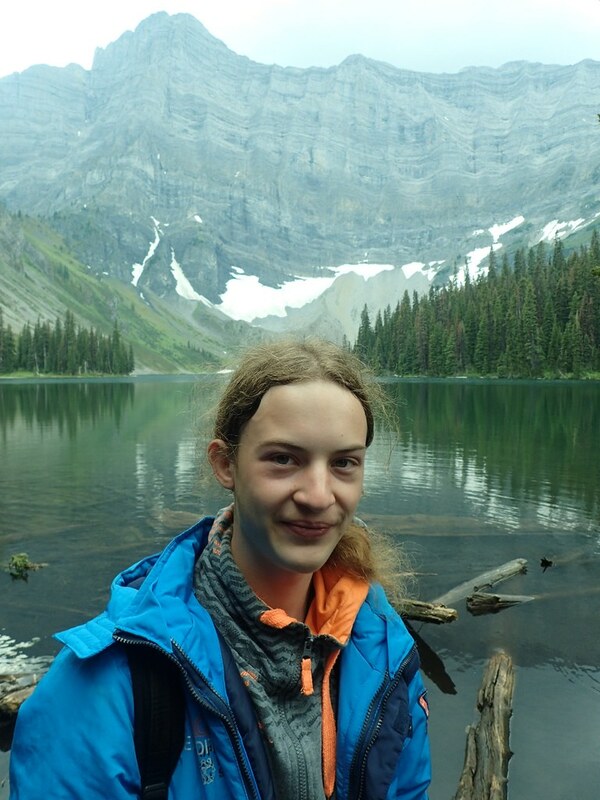 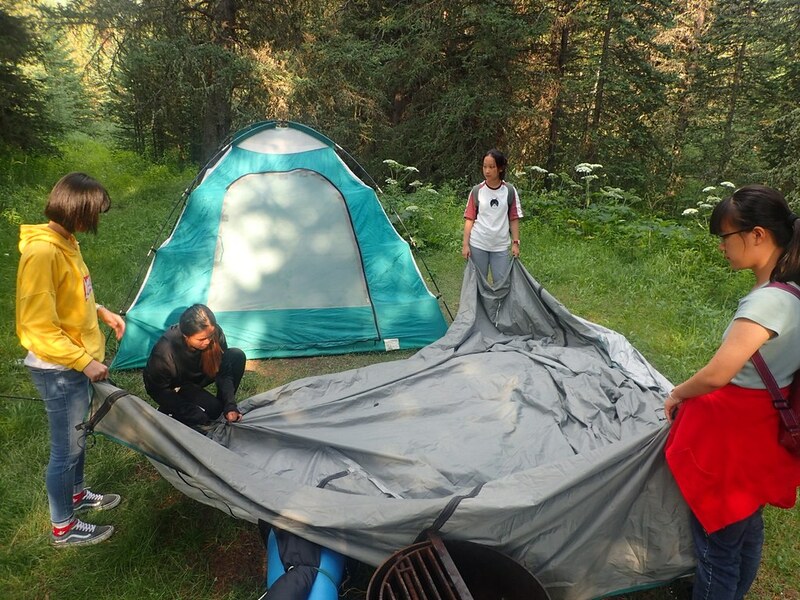 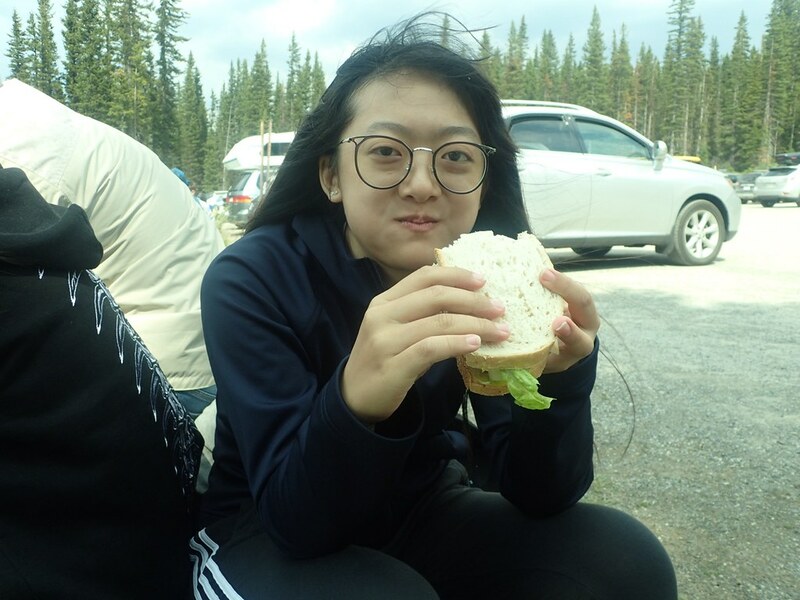 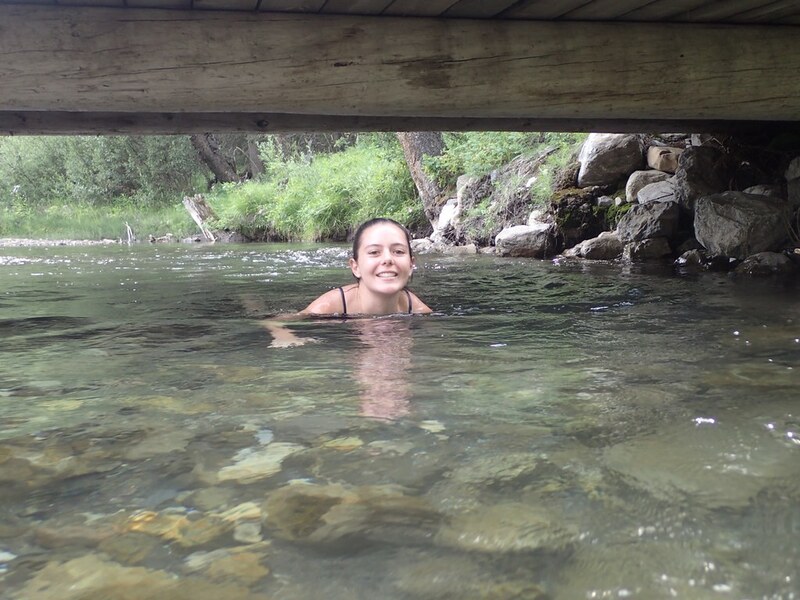 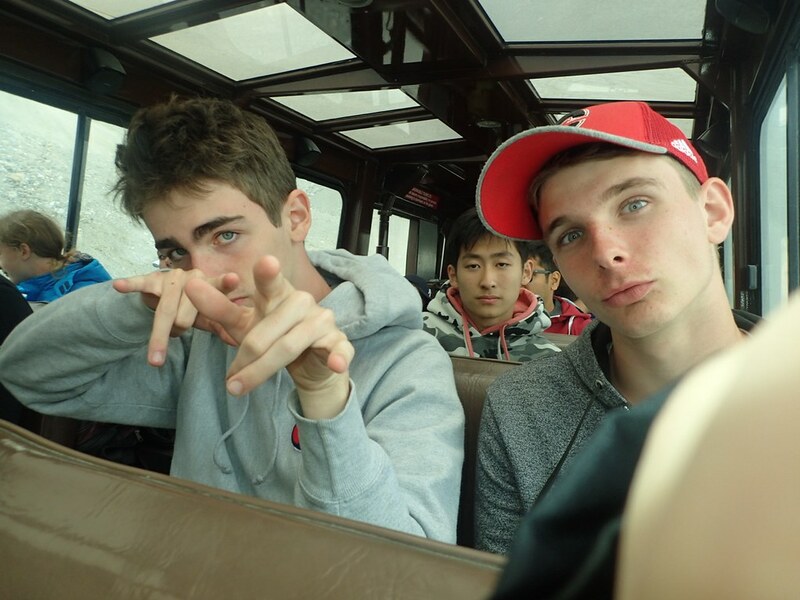 Day 4 – August 3 – Hiking up to Rawson Lake, and Ghost Stories! 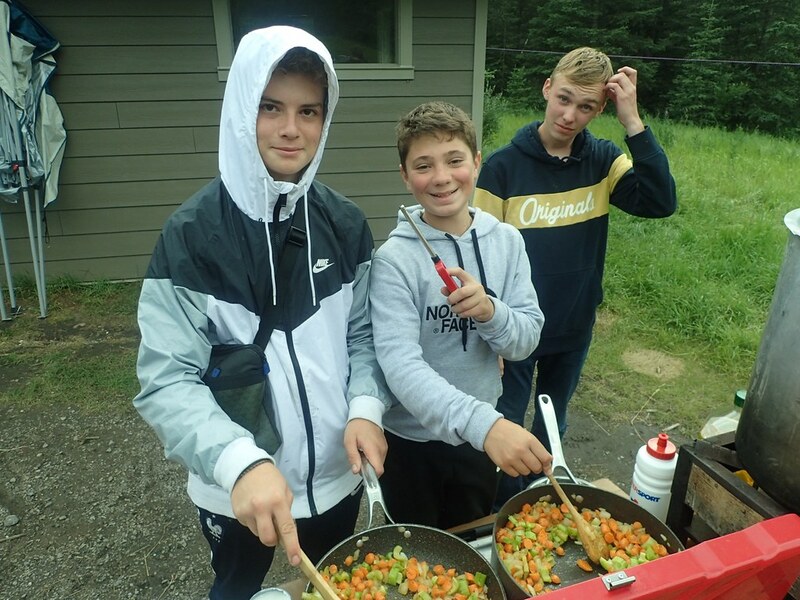 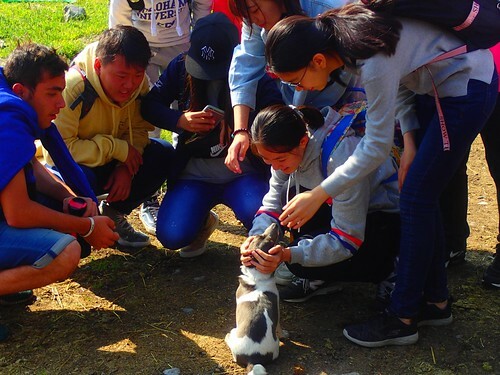 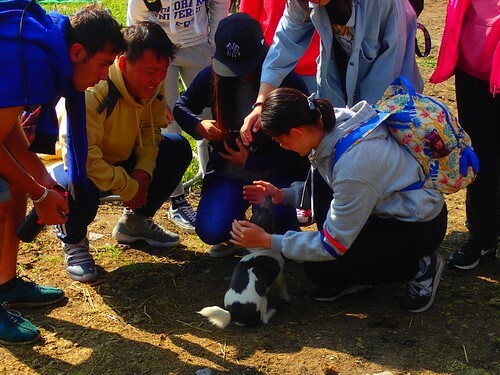 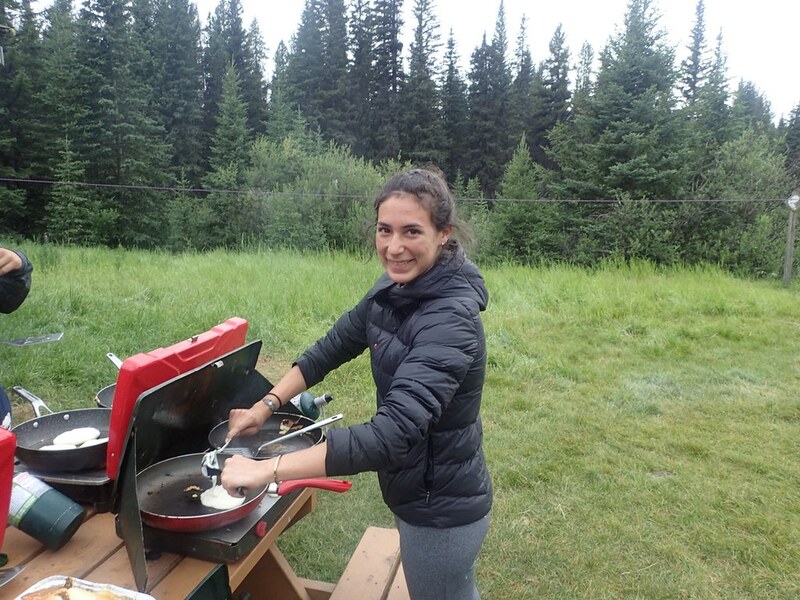 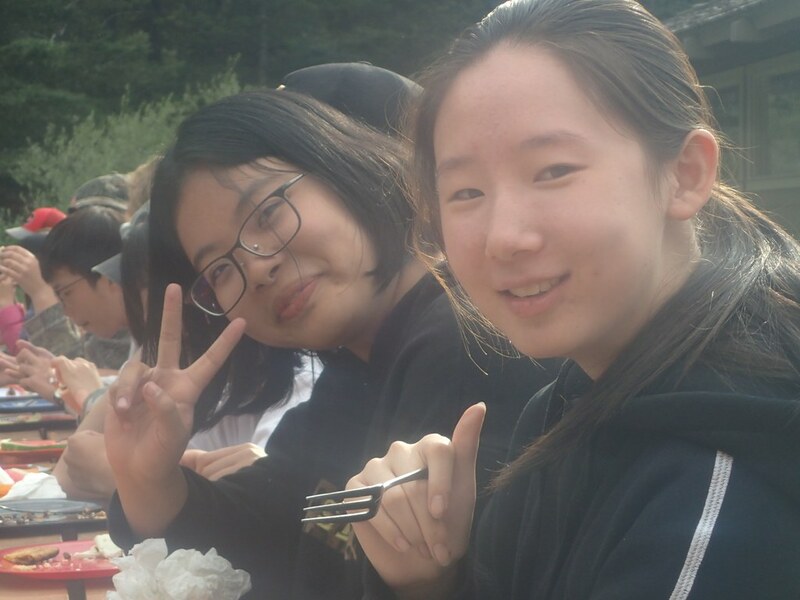 After we rolled out of our tents after a peaceful night listening to gentle sounds of the rolling river we started our day off deliciously with French toast with all the usual healthy side dishes. After breakfast we took the bus down to the beautifully blue Kananaskis Lakes where we embarked on a 10 kilometre hike up to the pristine Rawson Lake. 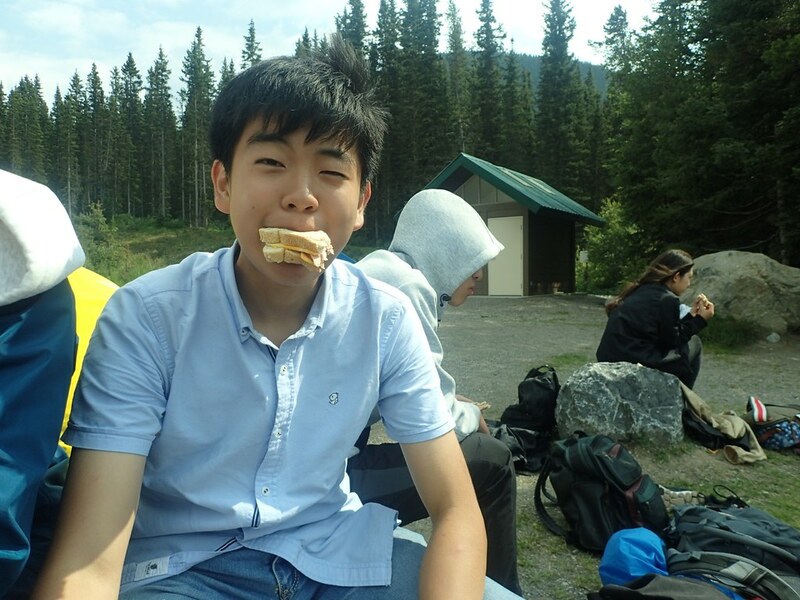 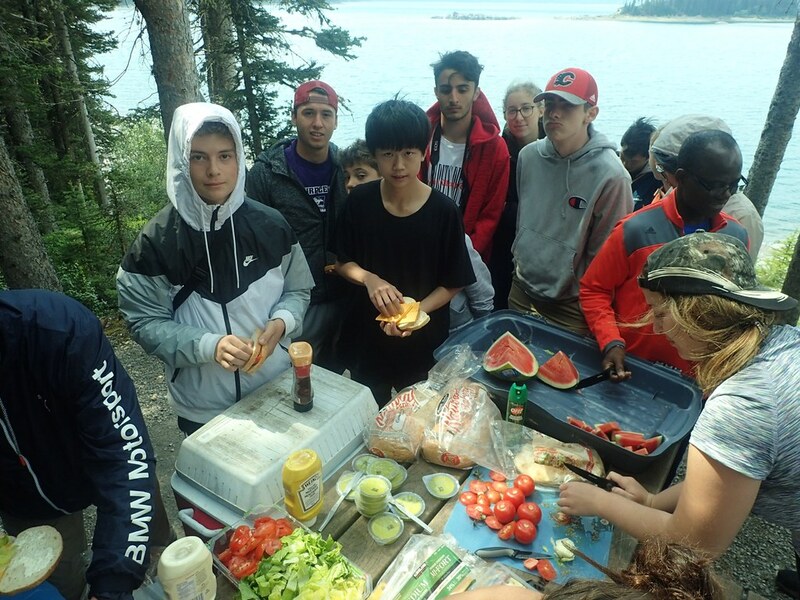 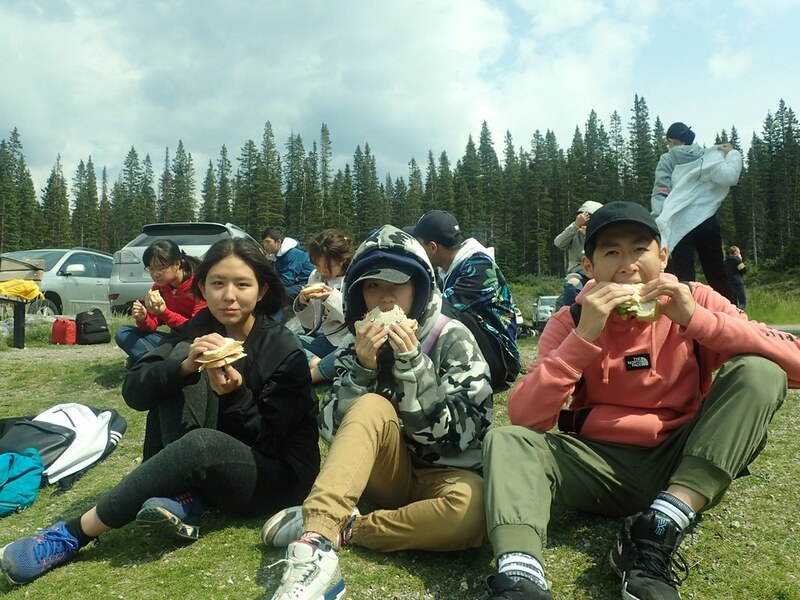 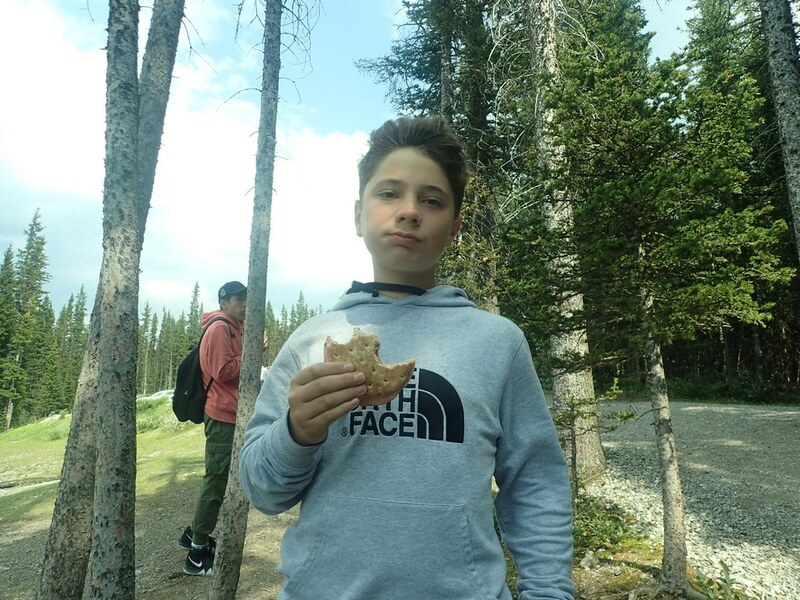 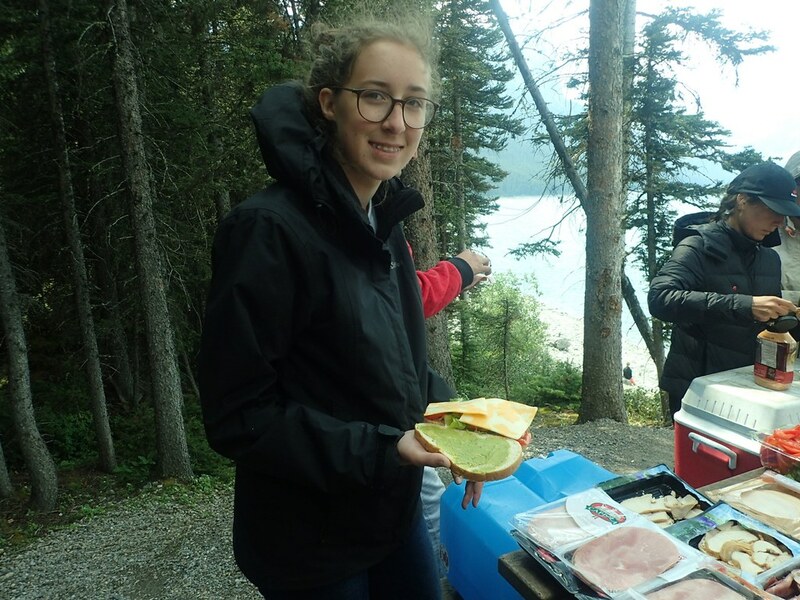 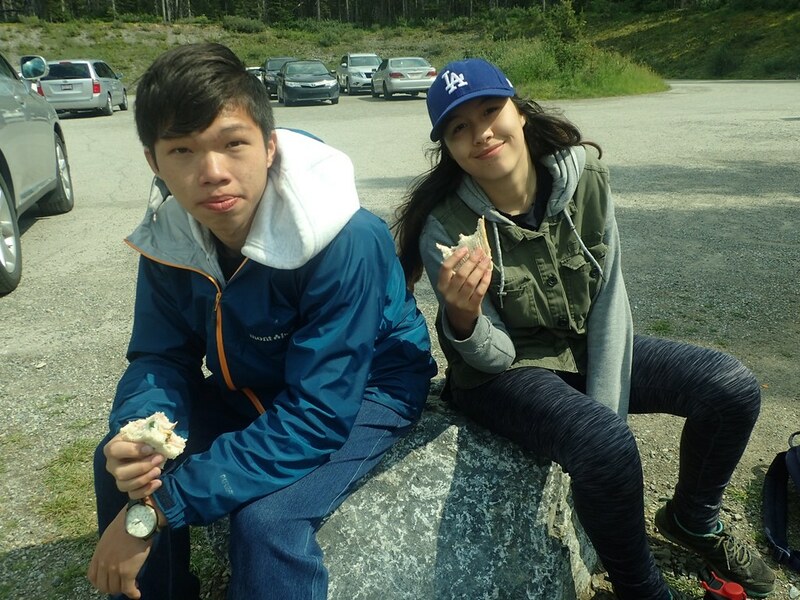 After a arduous but amazing hike we went back down to the lakefront for a sandwich picnic featuring a plethora of sandwich meats, fruit, chips and watermelon! 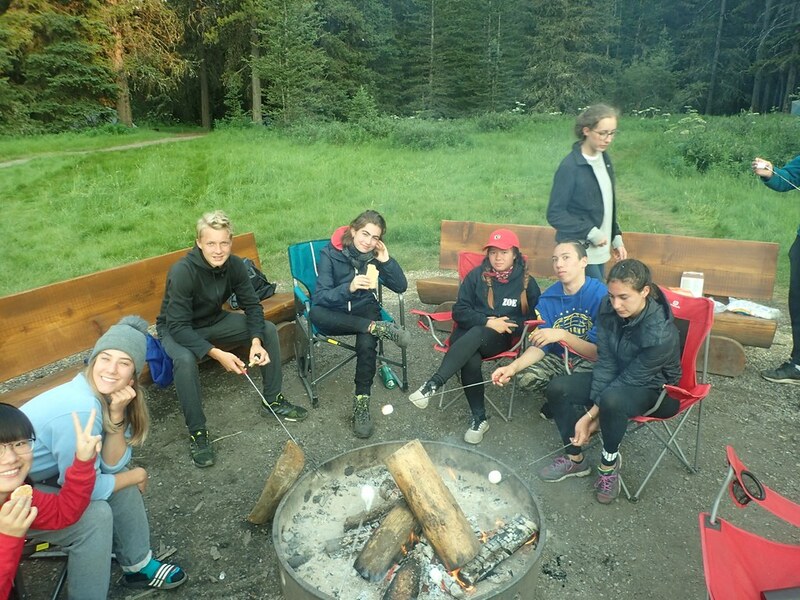 After another amazing supper this time featuring an asian inspired coconut chicken curry, we capped off the day with another interesting sit around the campfire but this time was a little different… a little, SPOOKY! 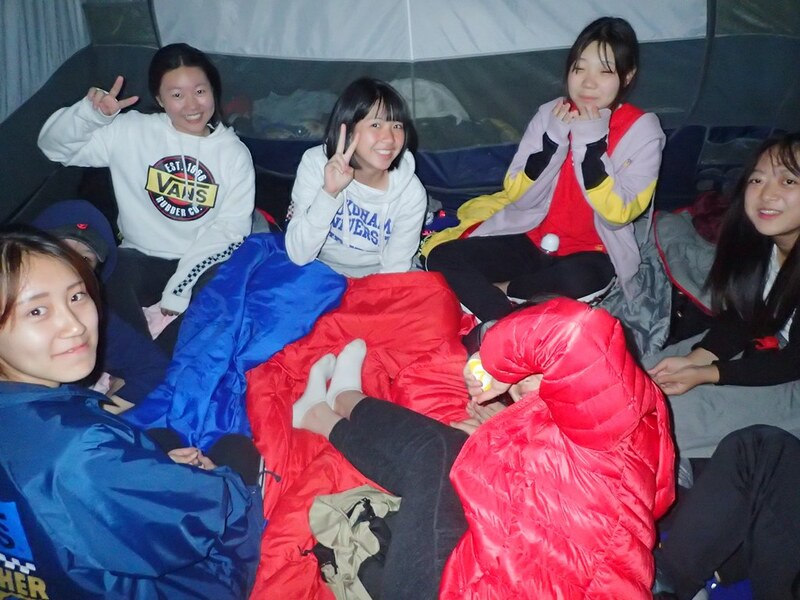 Ghost stories around the campfire made everyone on edge and made everyone sleep a little bit closer to each other in their tents. 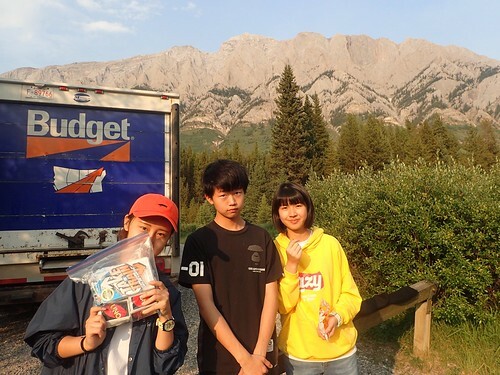 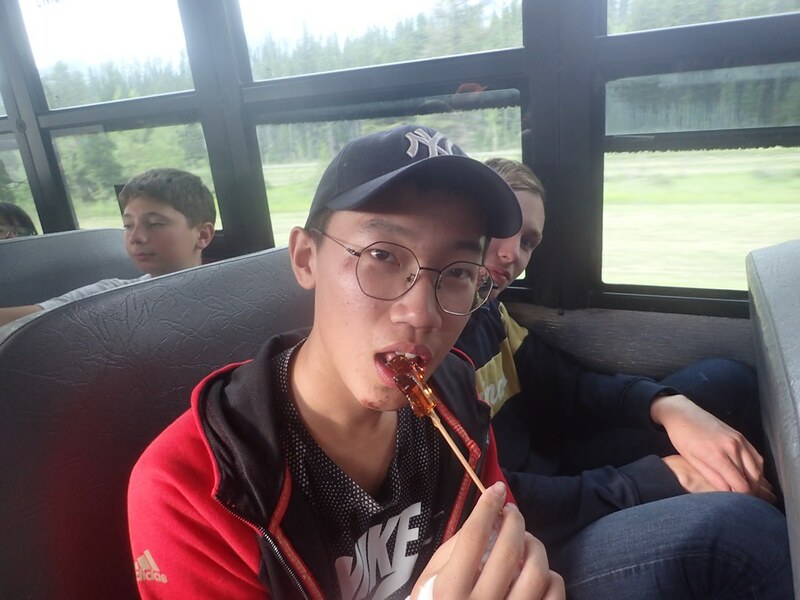 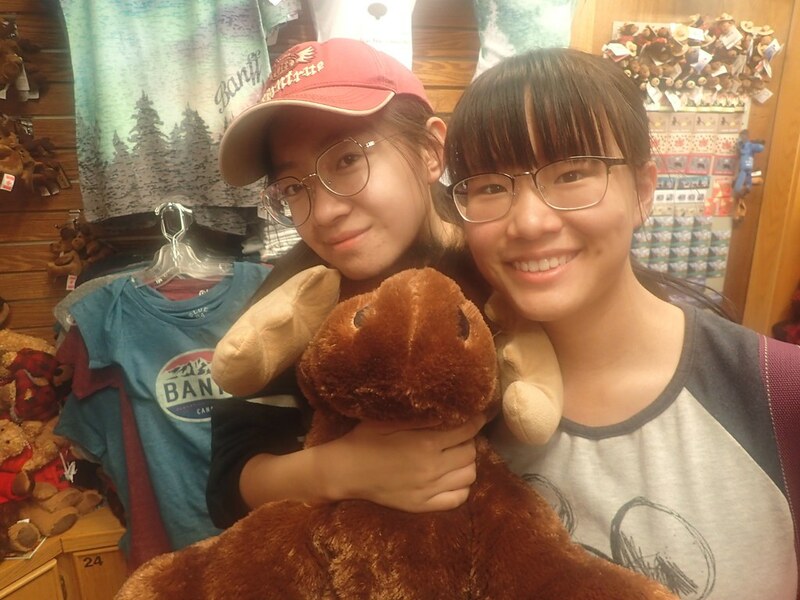 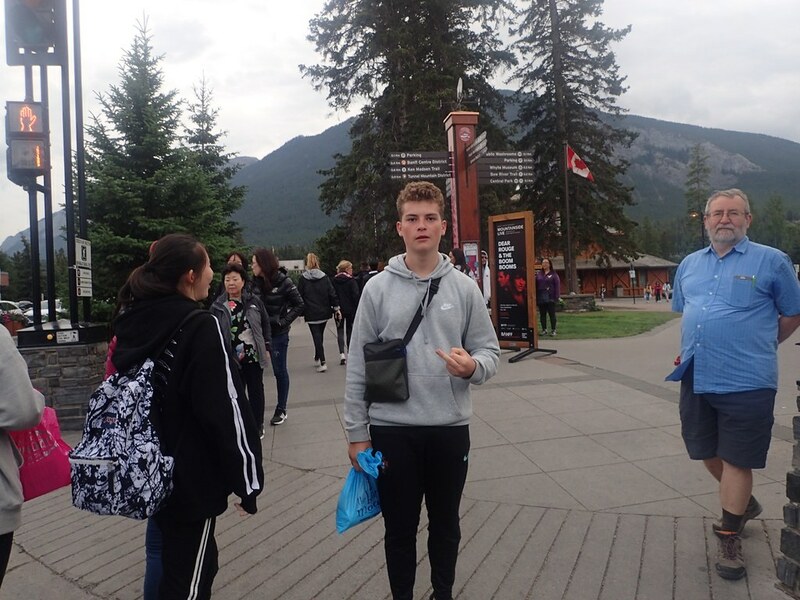 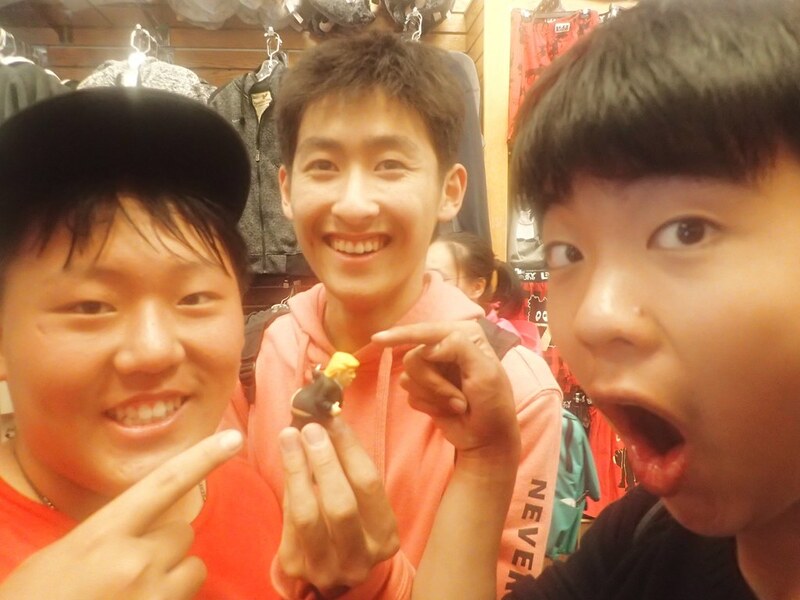 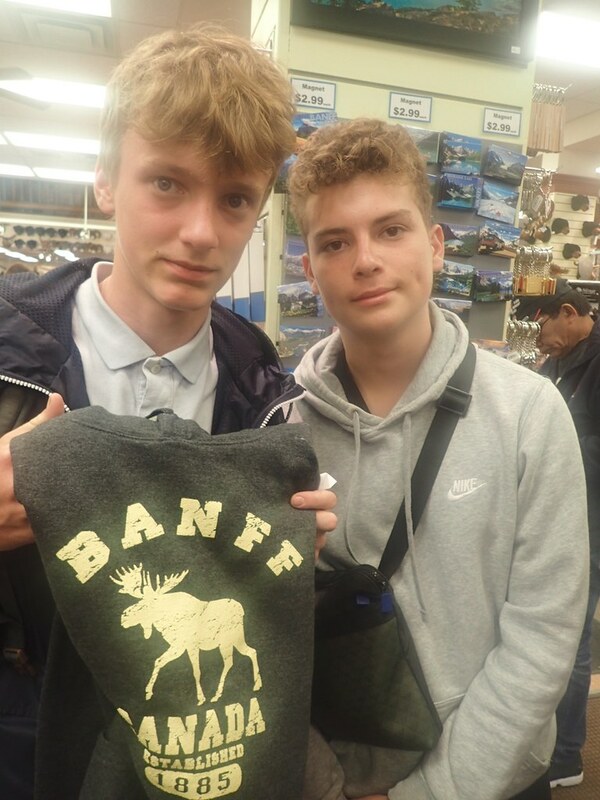 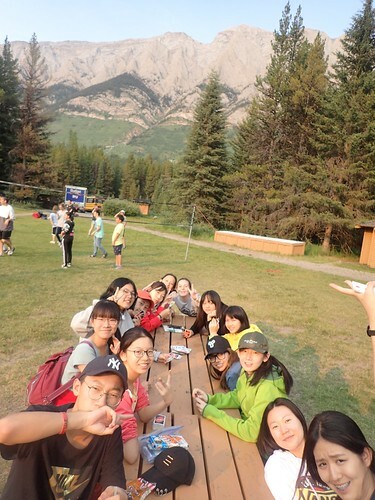 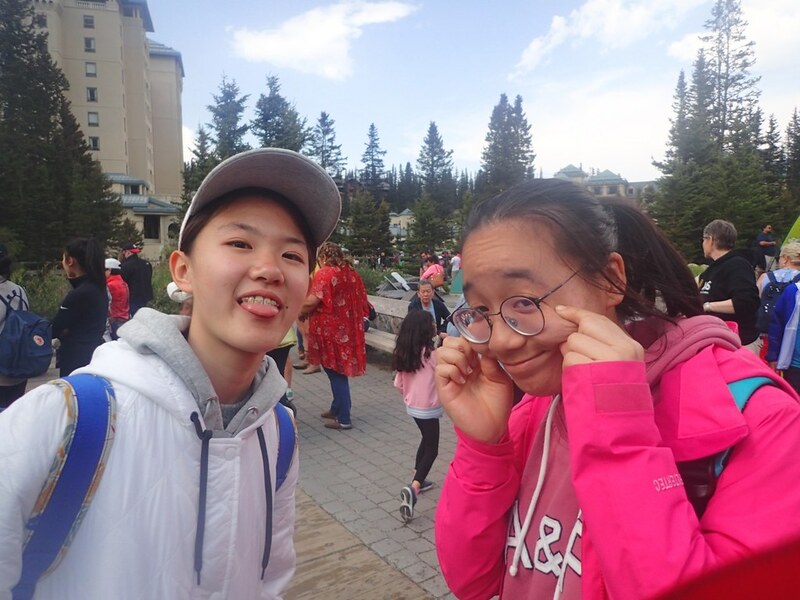 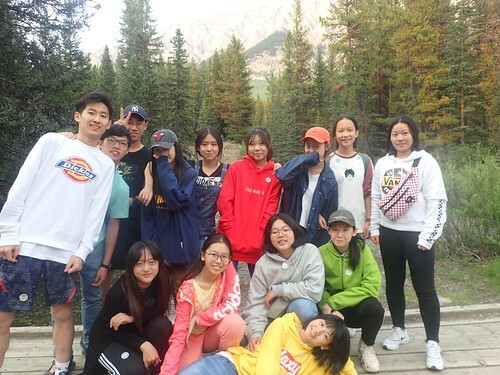 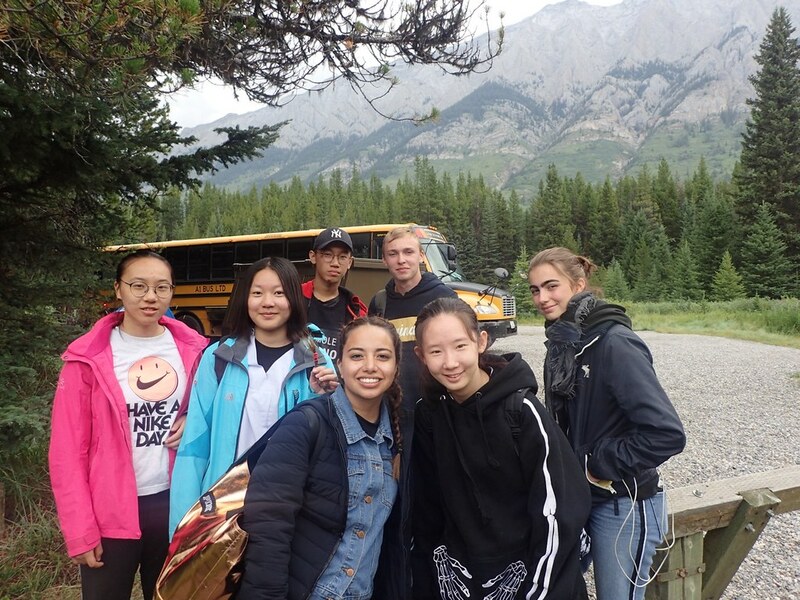 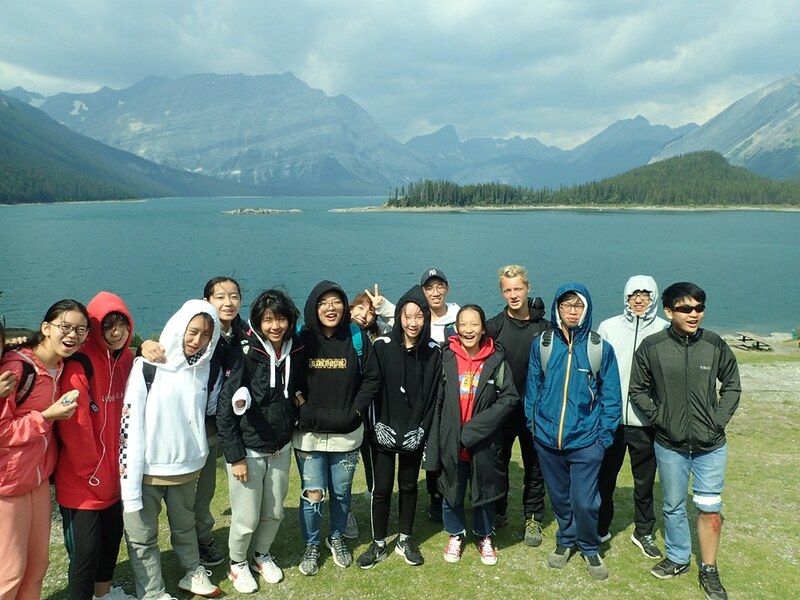 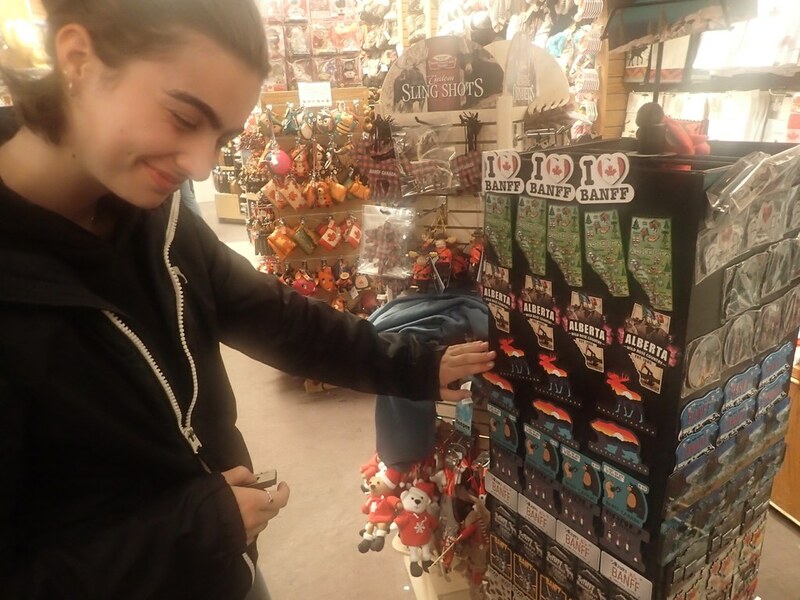 After 4 days of adventure, fun and excitement the Porcupines decided to take a much needed break… by heading to the biggest attraction in the Rockies, Banff! 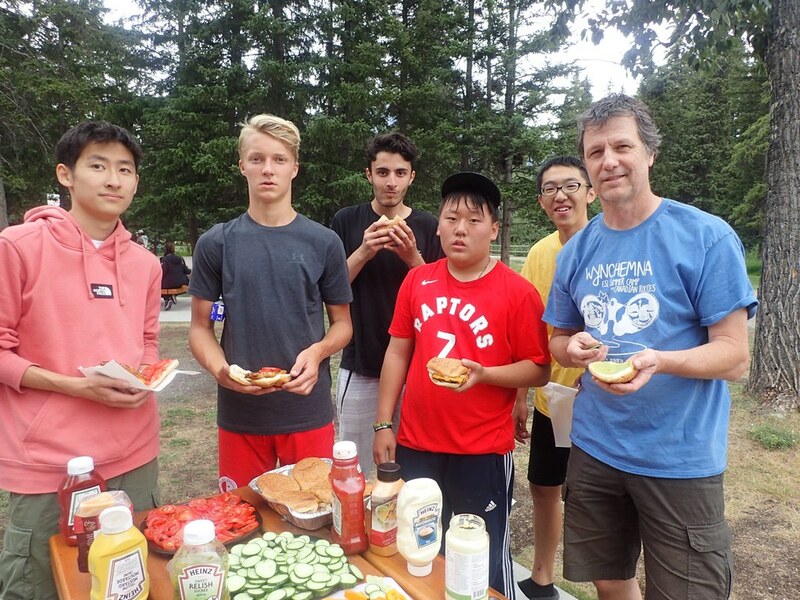 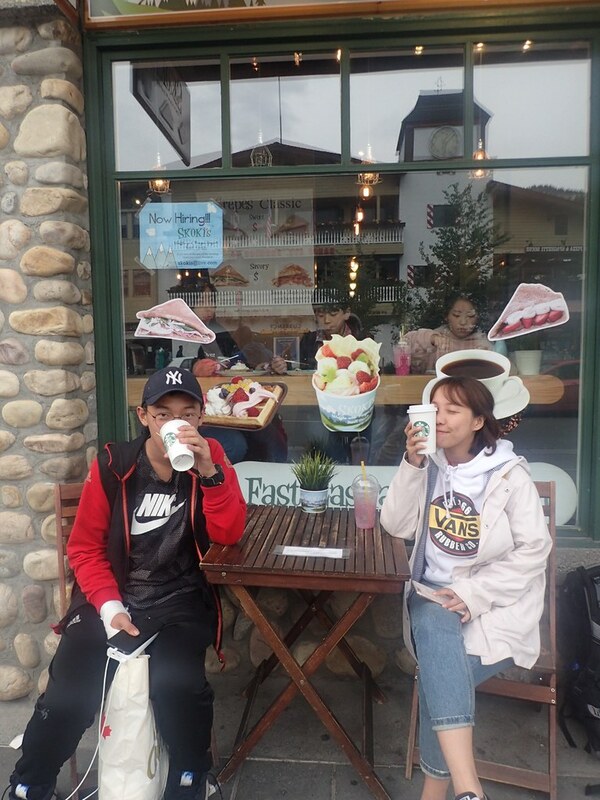 The day in banff started off with some amazing gourmet chicken burgers dressed with avocado, bacon, cheese and much much more, couple this with our usual selection of healthy side dishes and we got ourselves a 5 star meal! 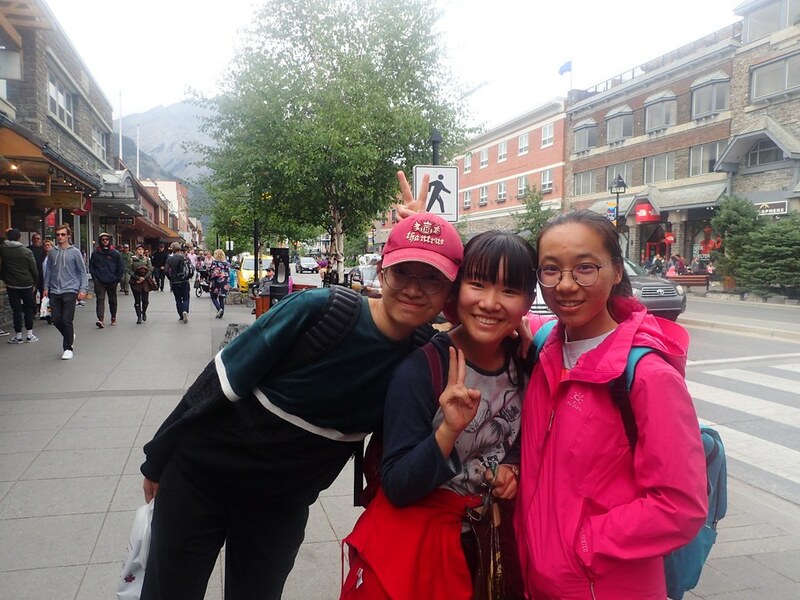 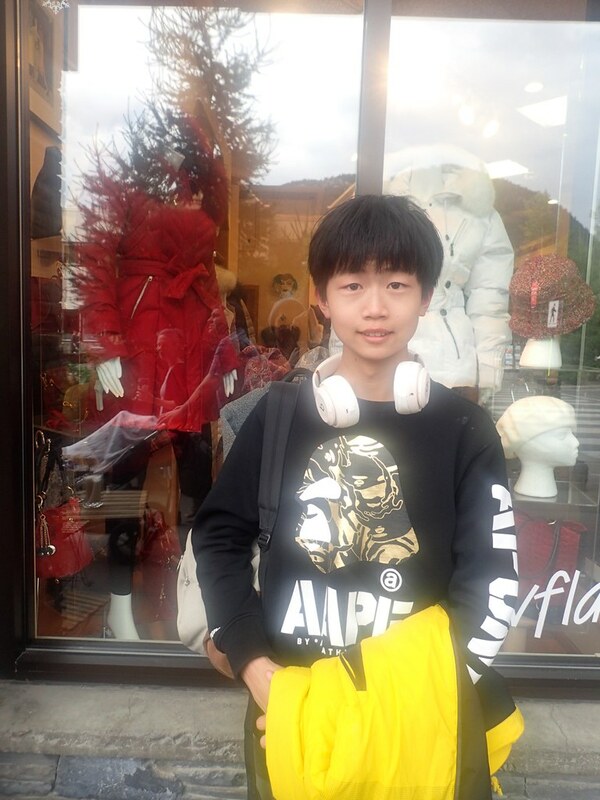 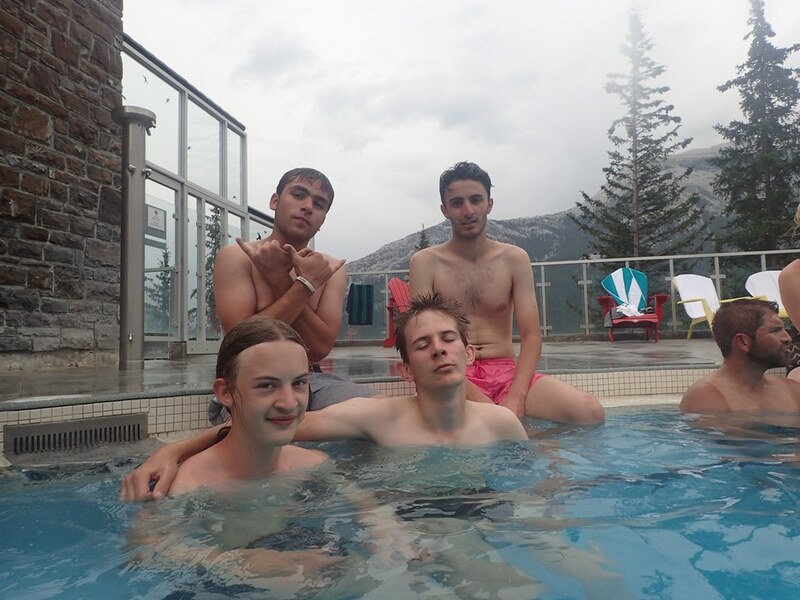 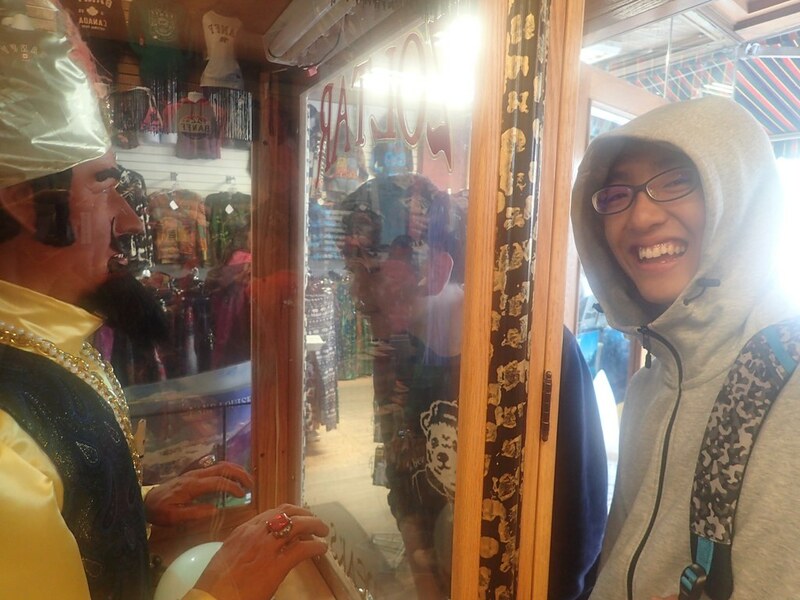 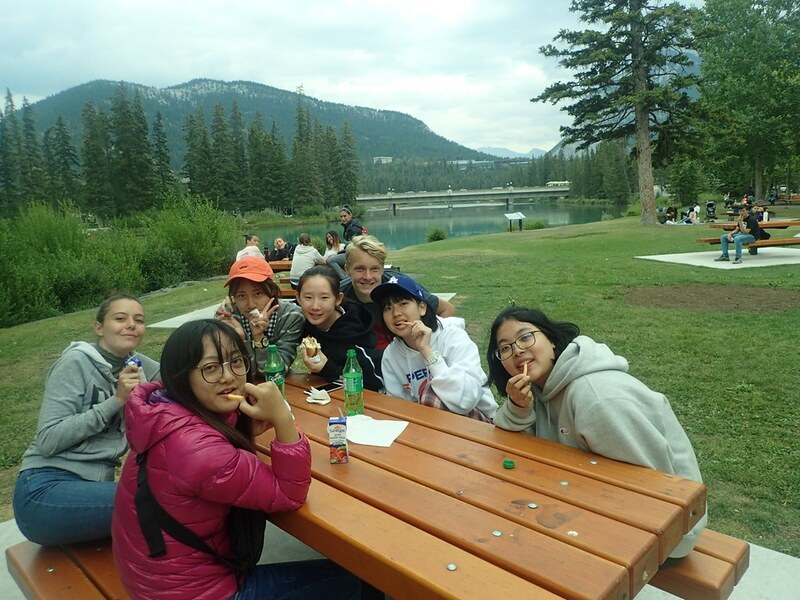 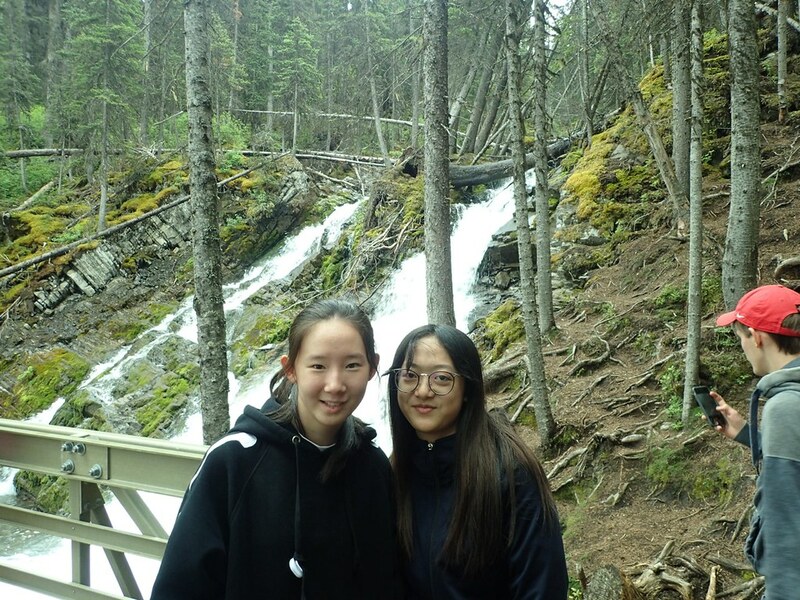 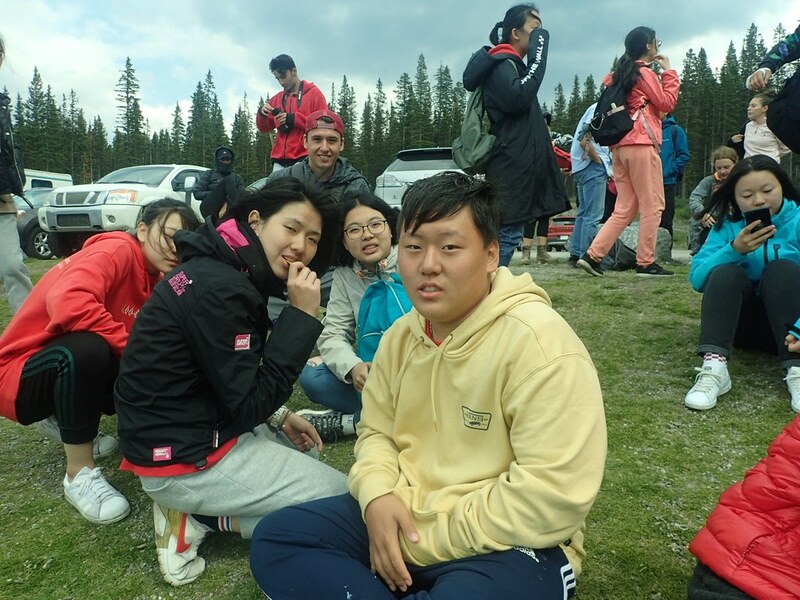 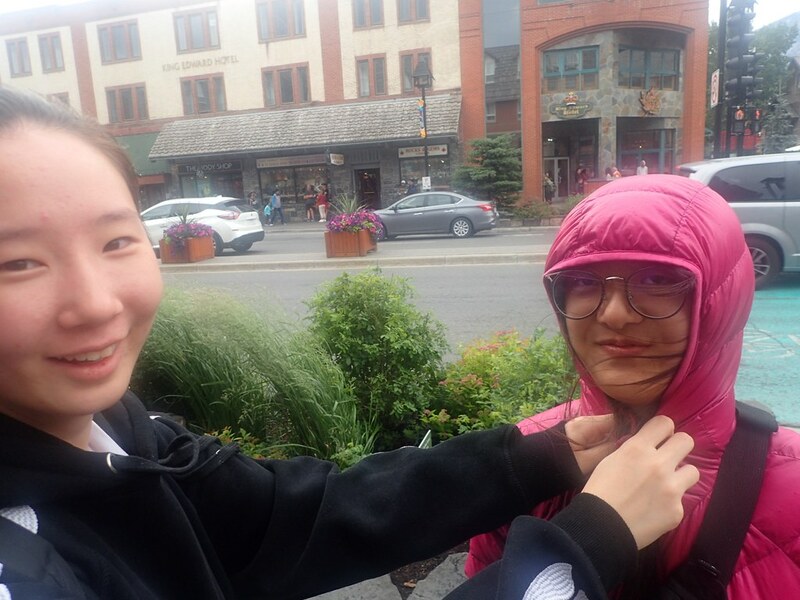 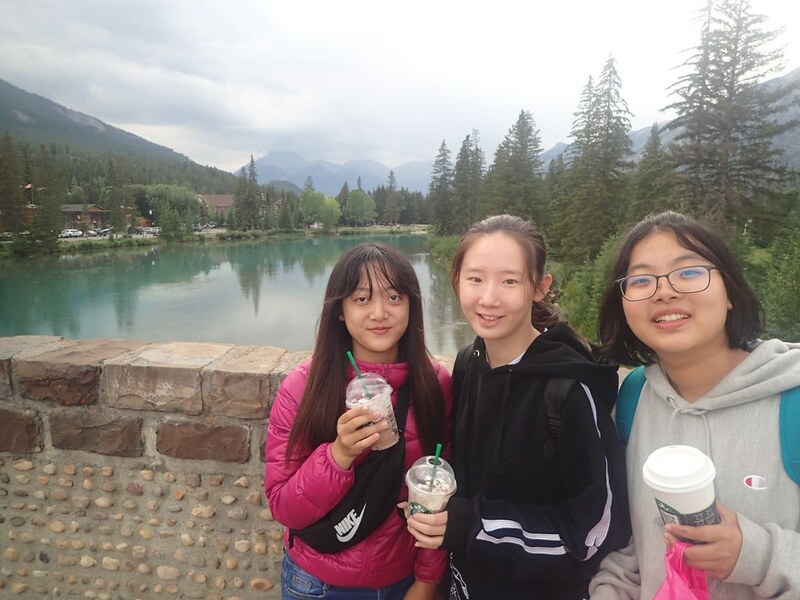 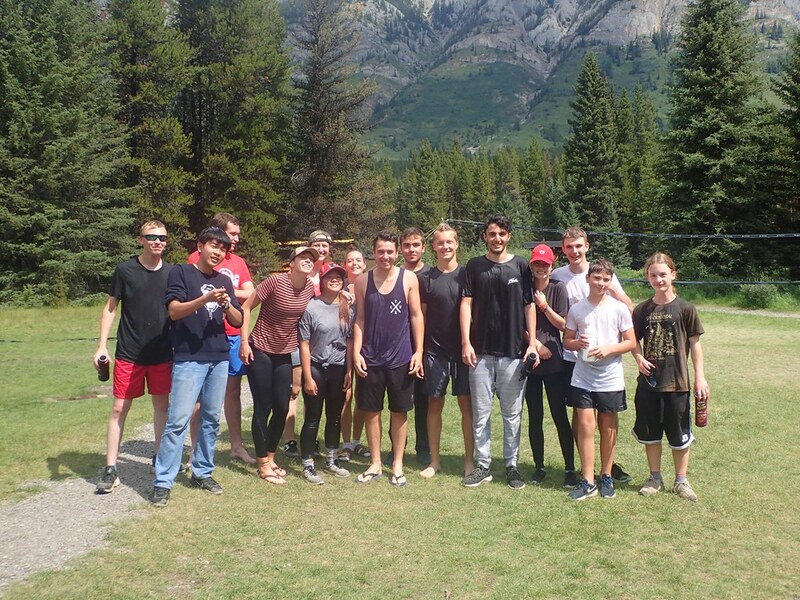 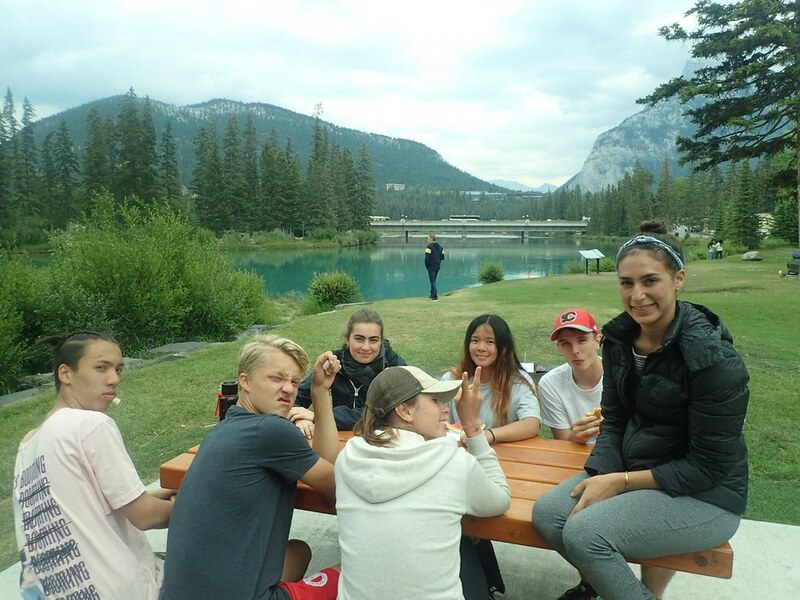 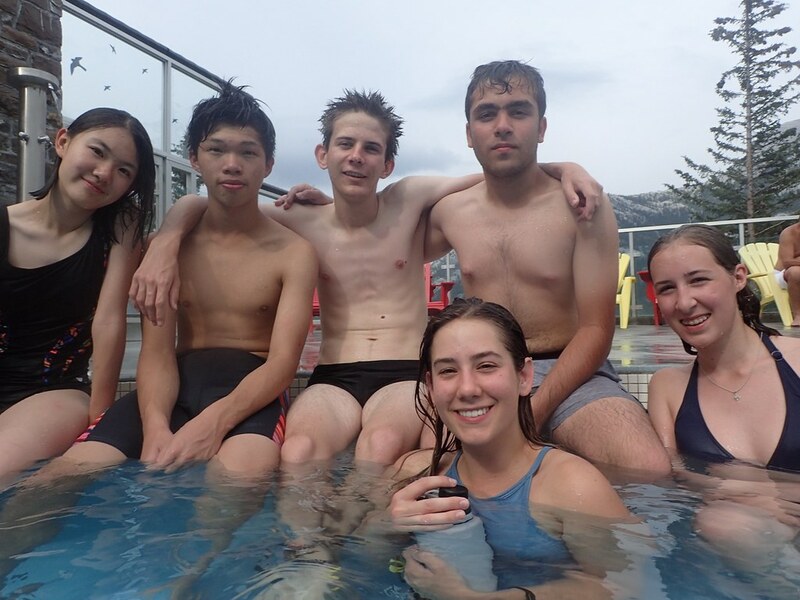 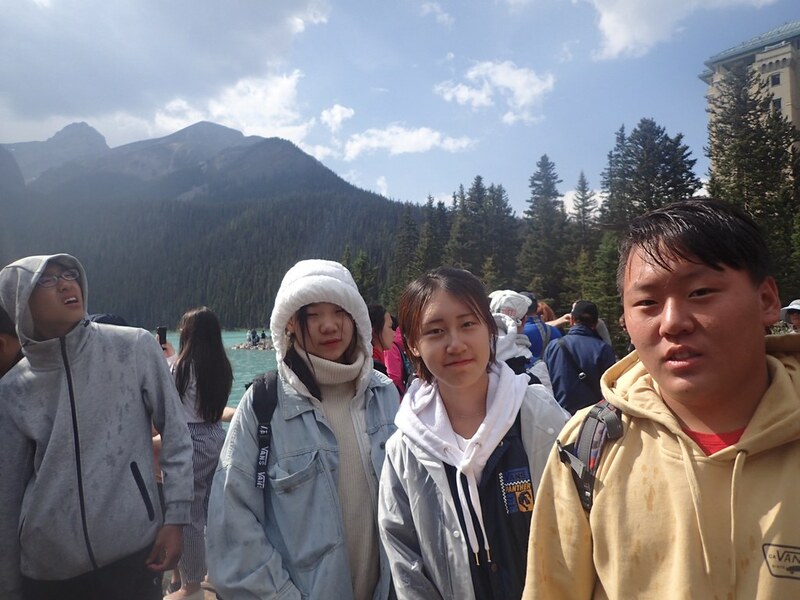 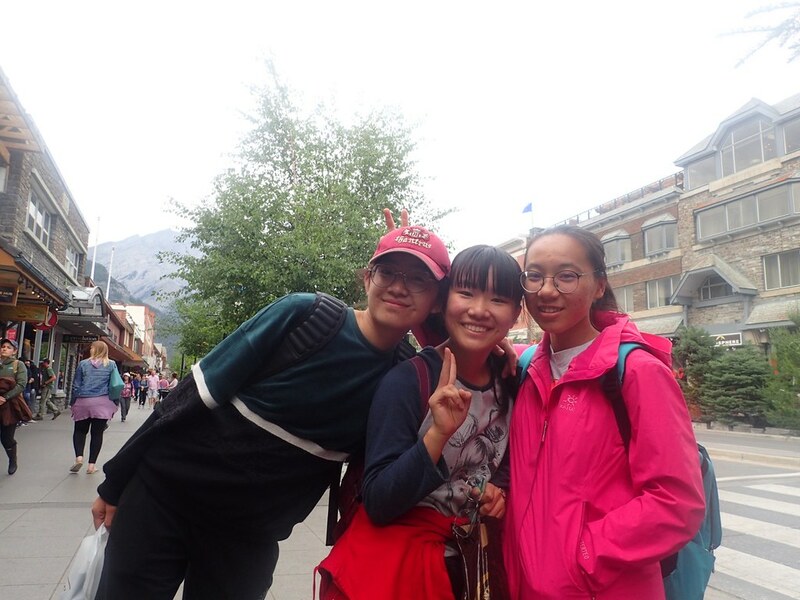 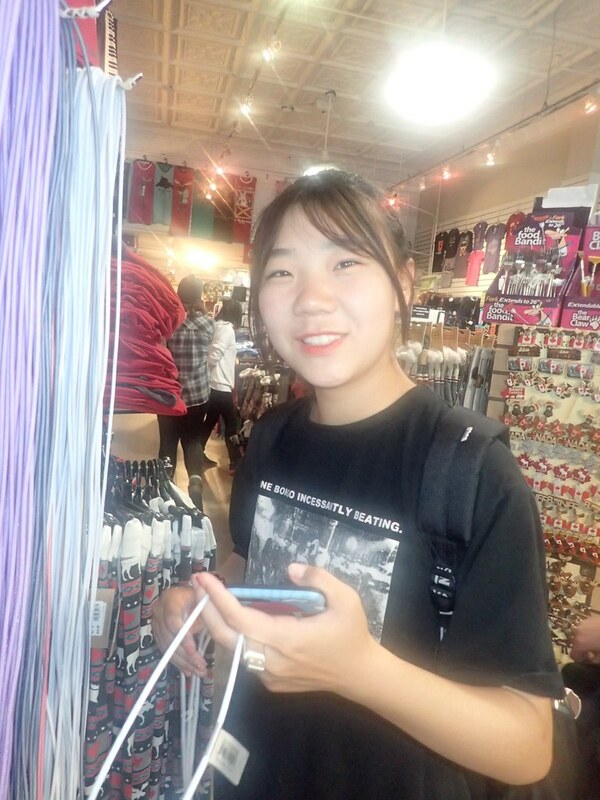 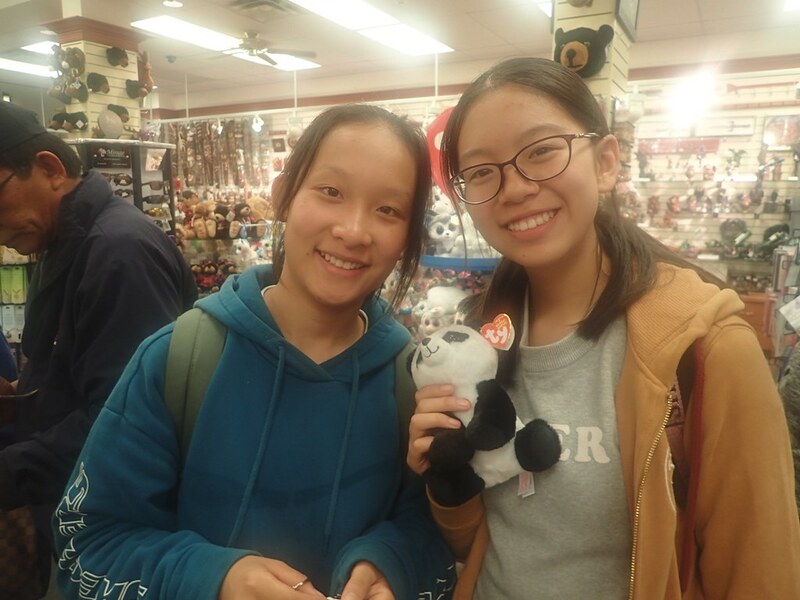 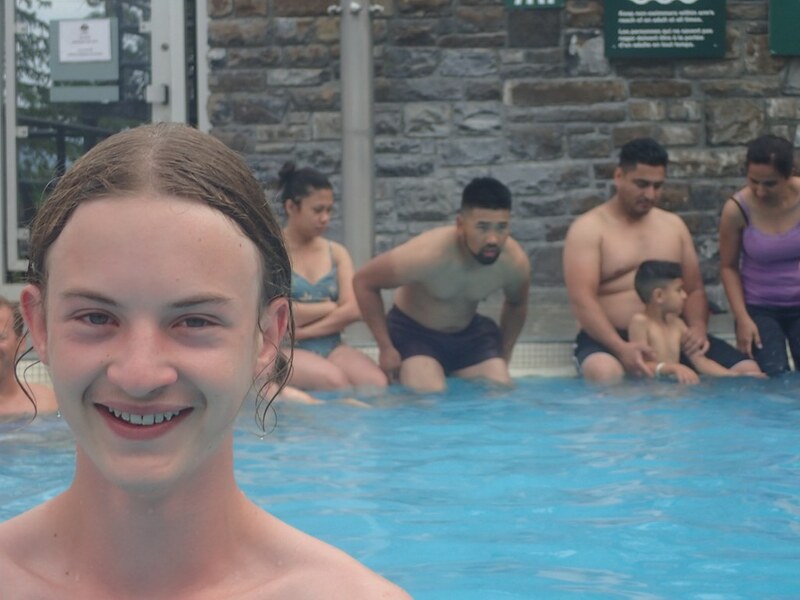 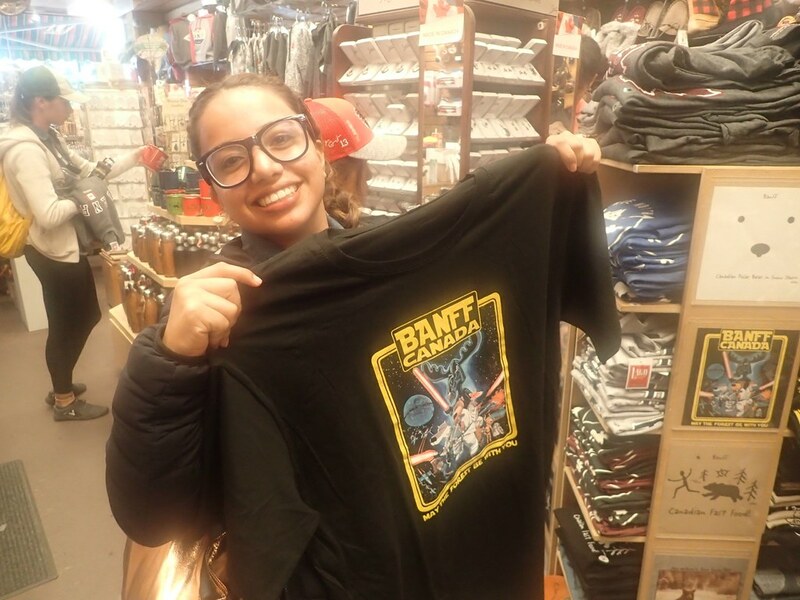 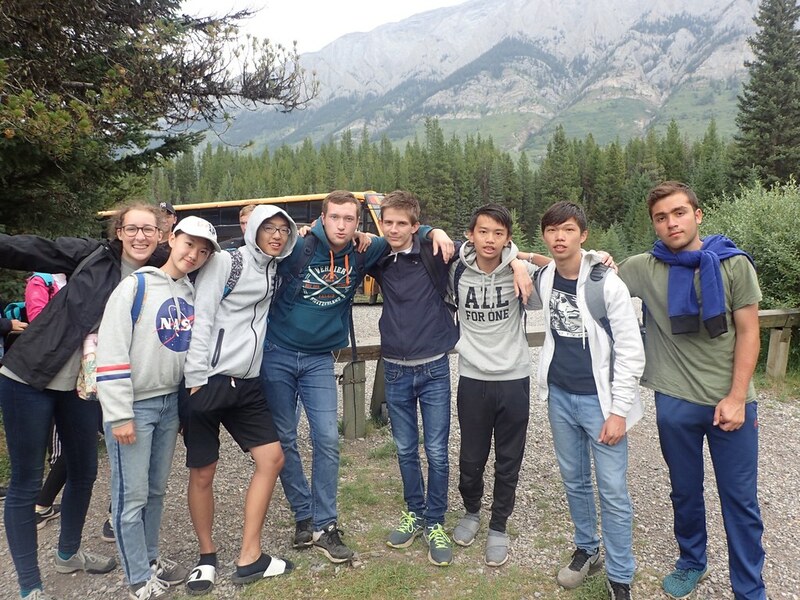 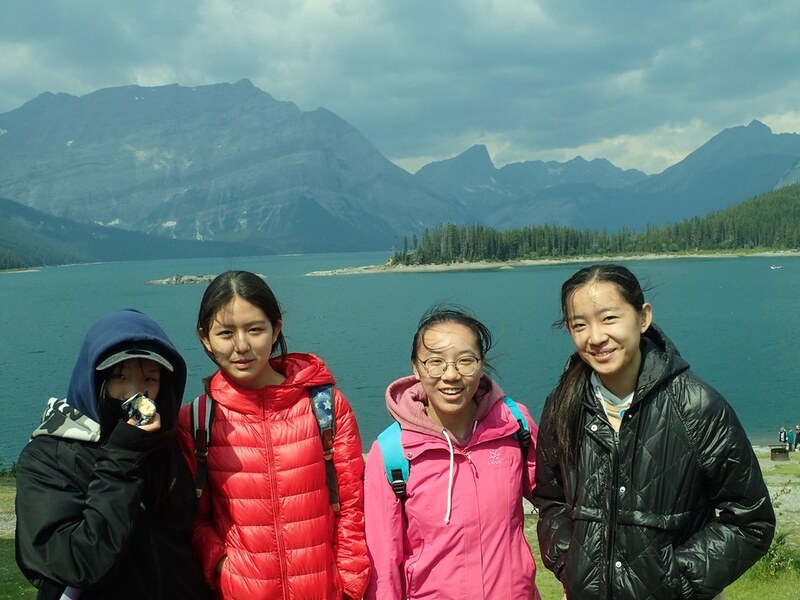 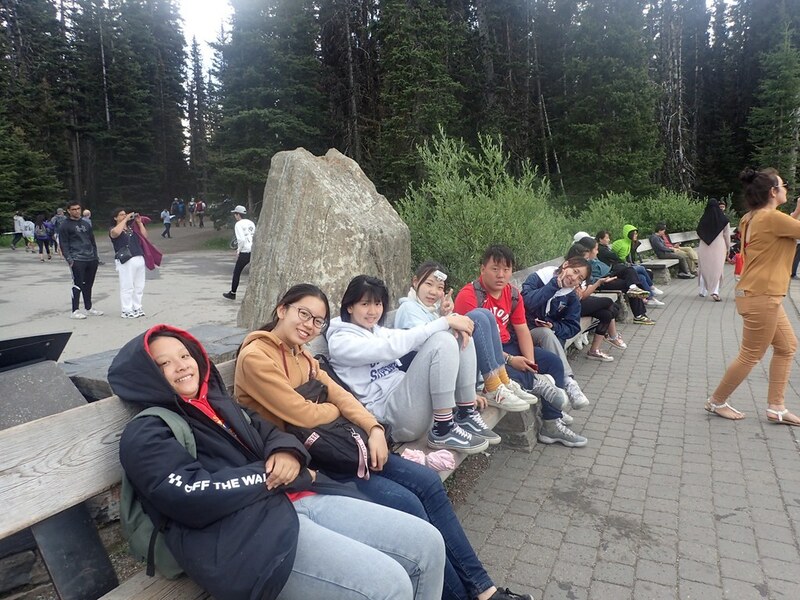 After eating some of us explored the banff and did some shopping while the others relaxed in the soothing natural hot springs (very famous). 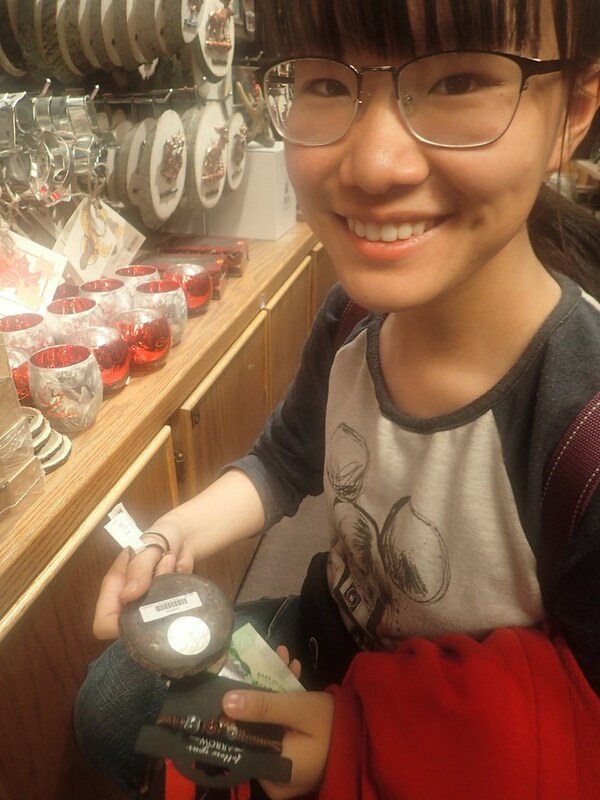 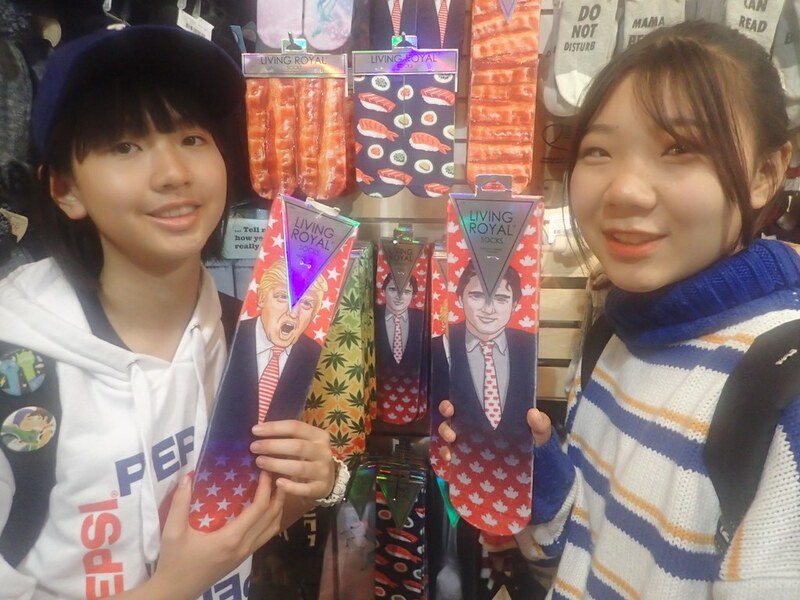 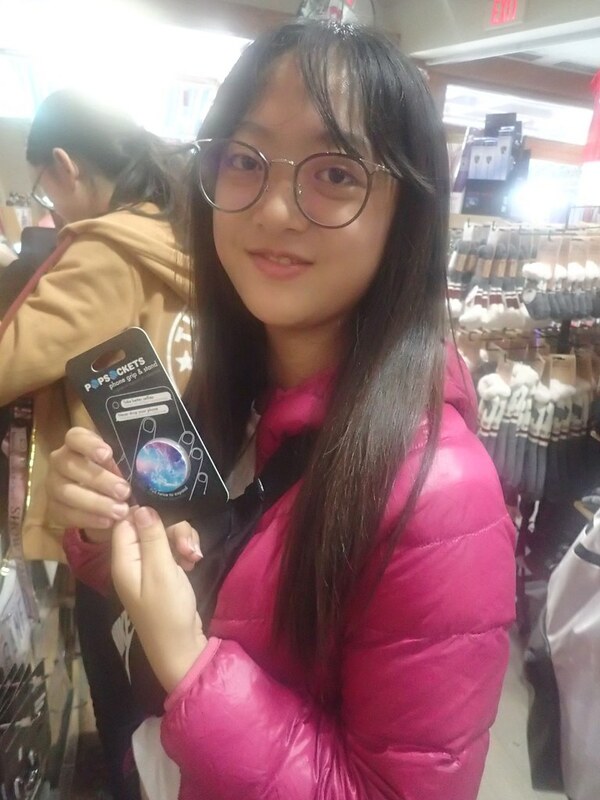 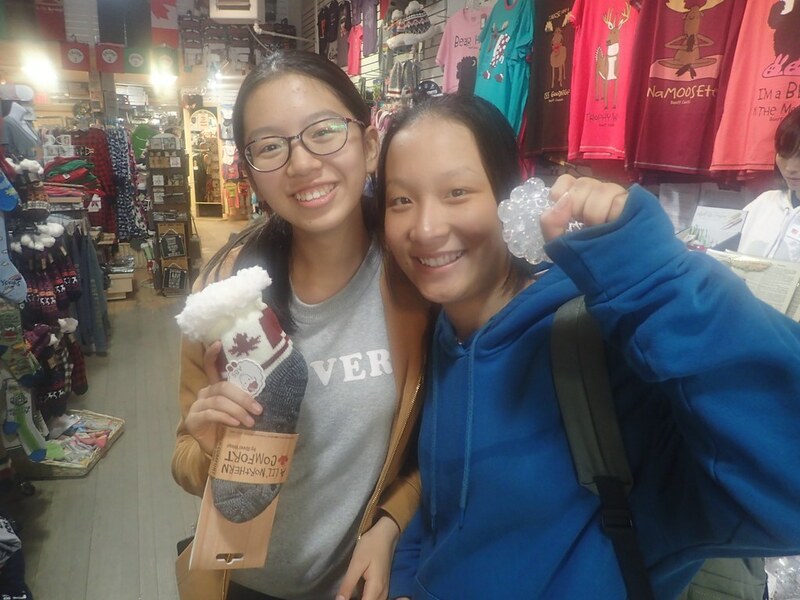 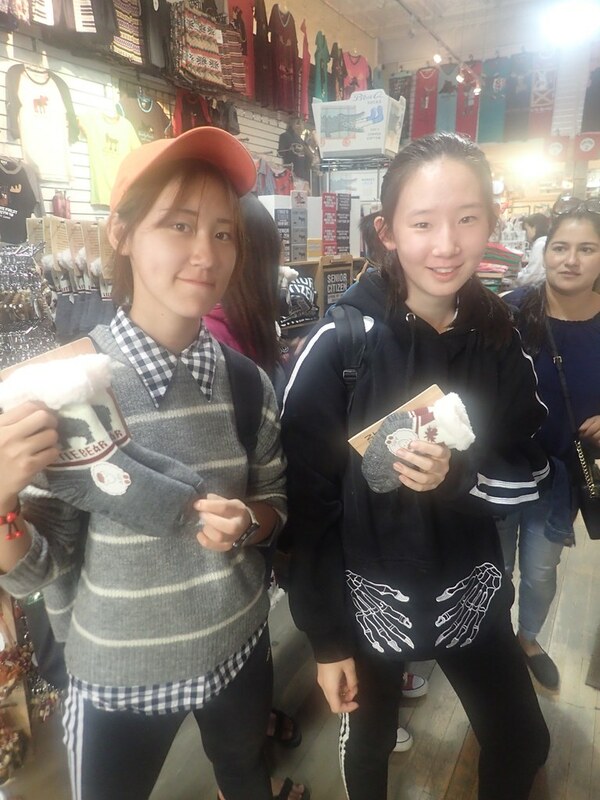 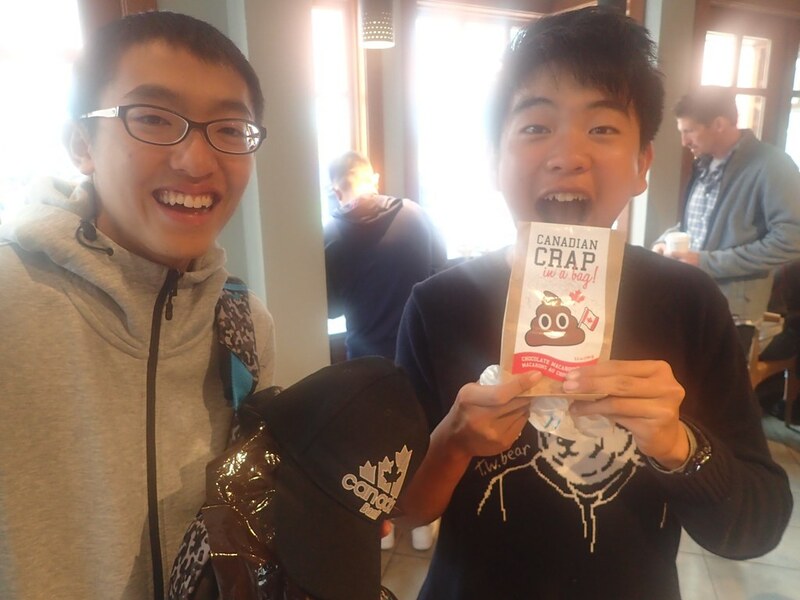 The Porcupines bought many cool souvenirs for their loved ones and also many yummy treats for themselves! 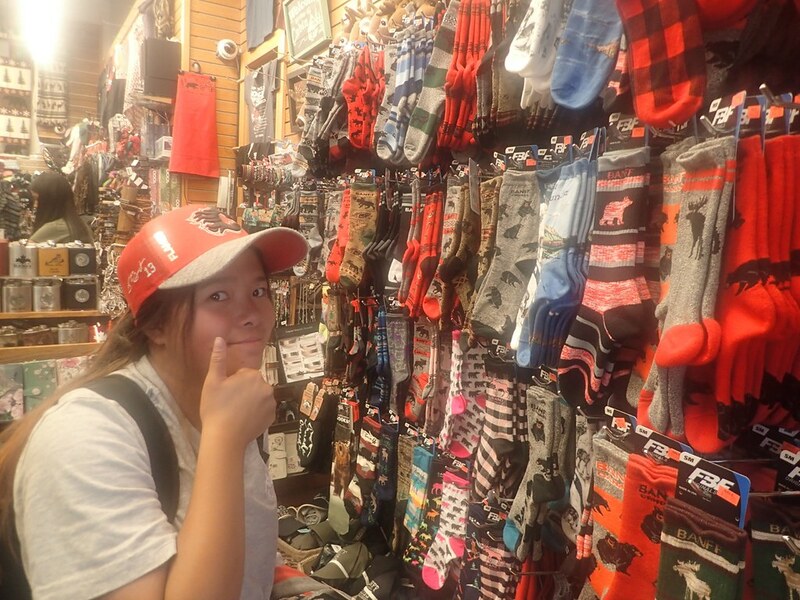 All in all it was a day full of relaxation, shopping, swimming, and of course the never ending selfies. 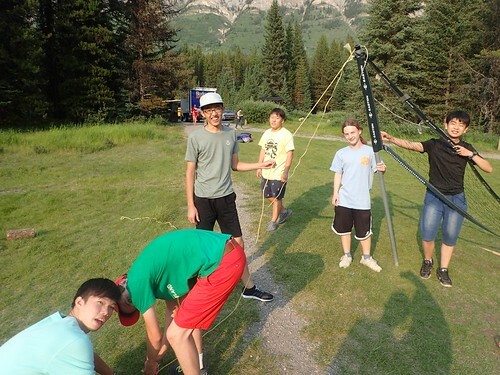 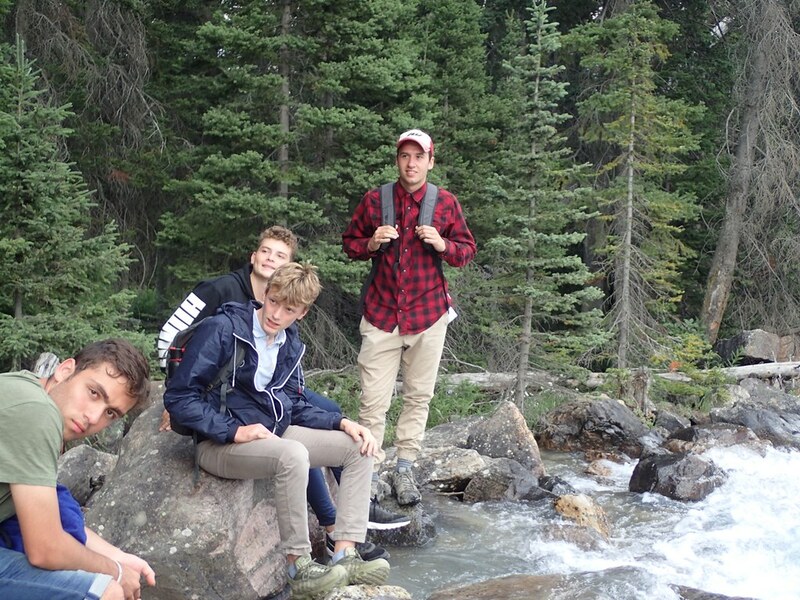 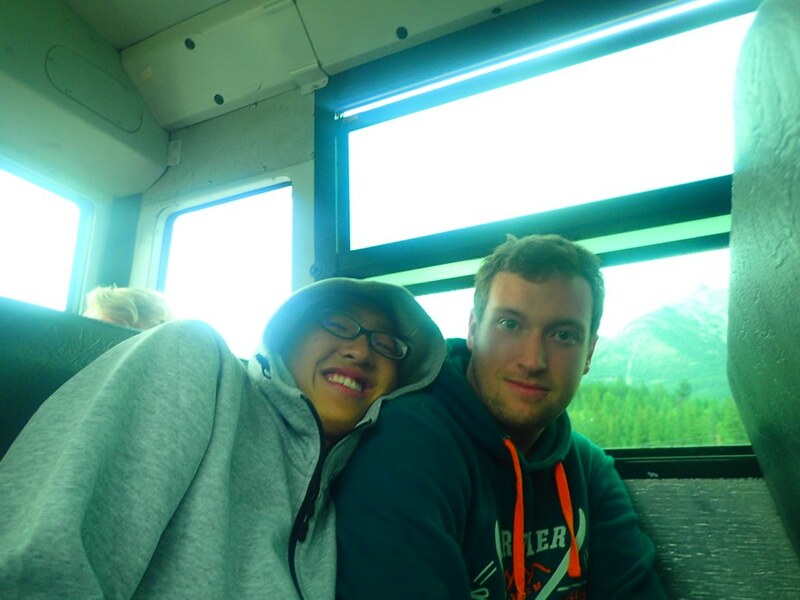 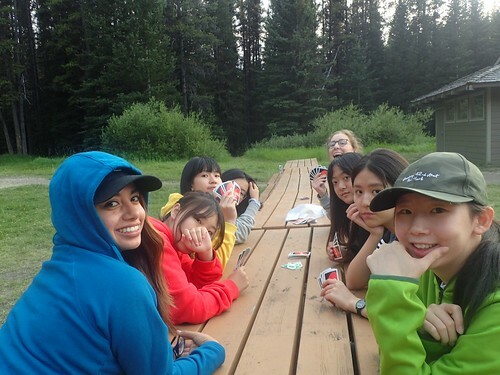 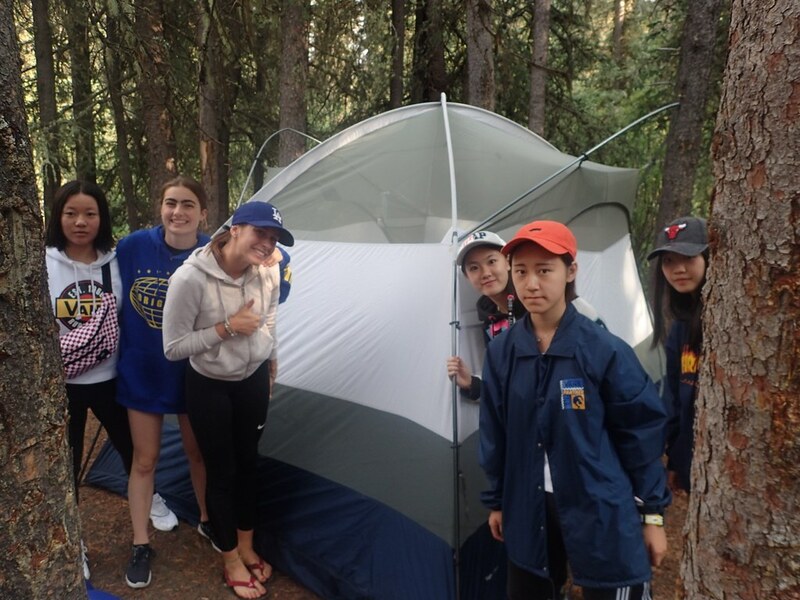 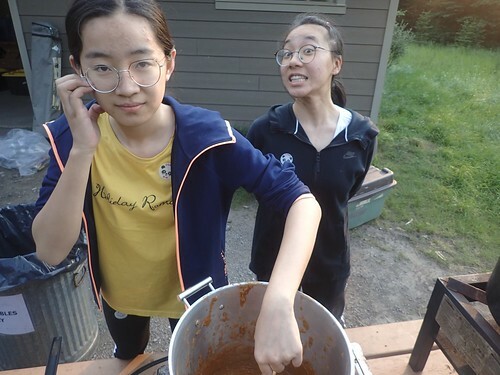 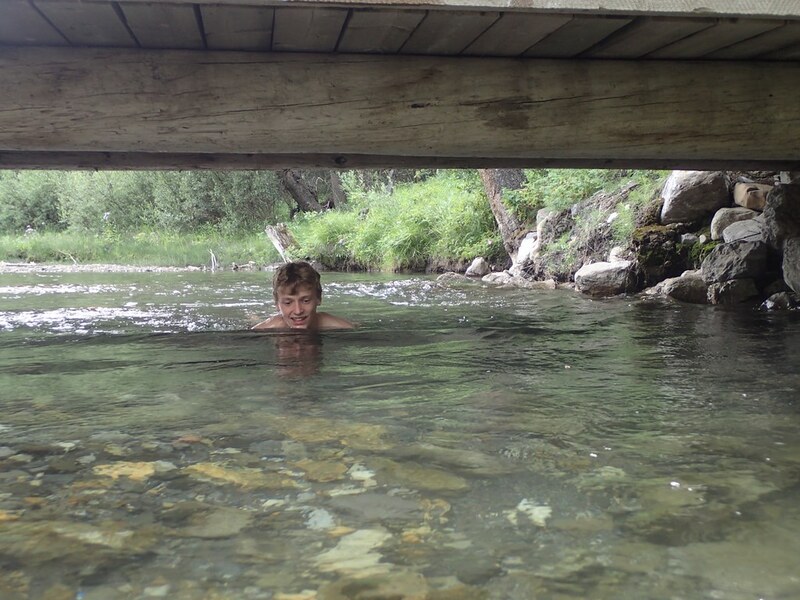 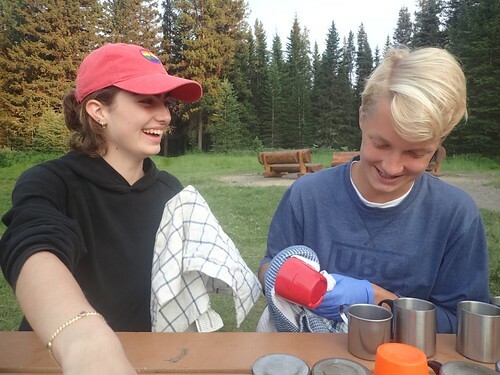 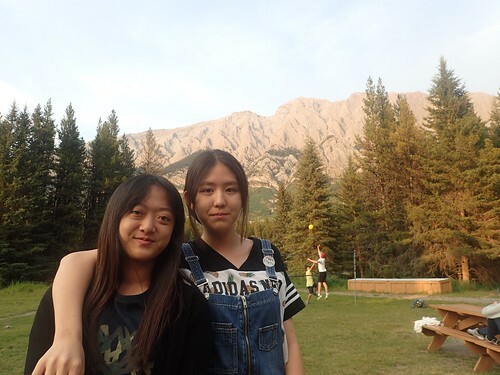 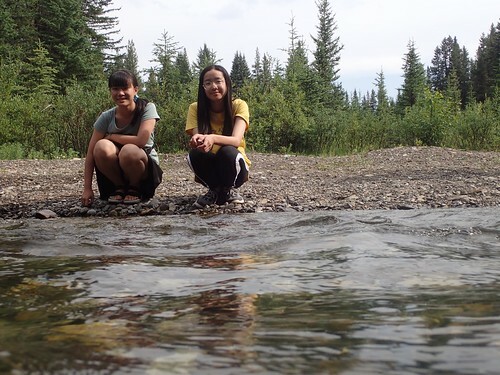 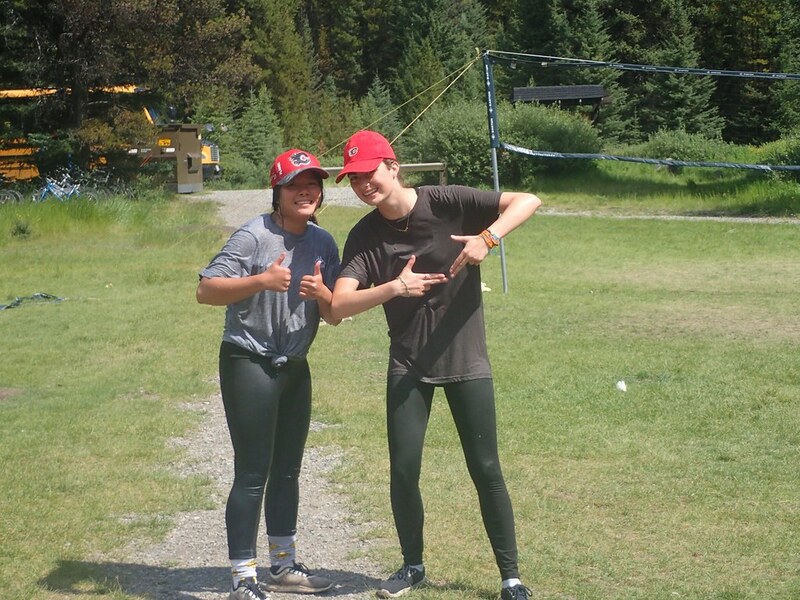 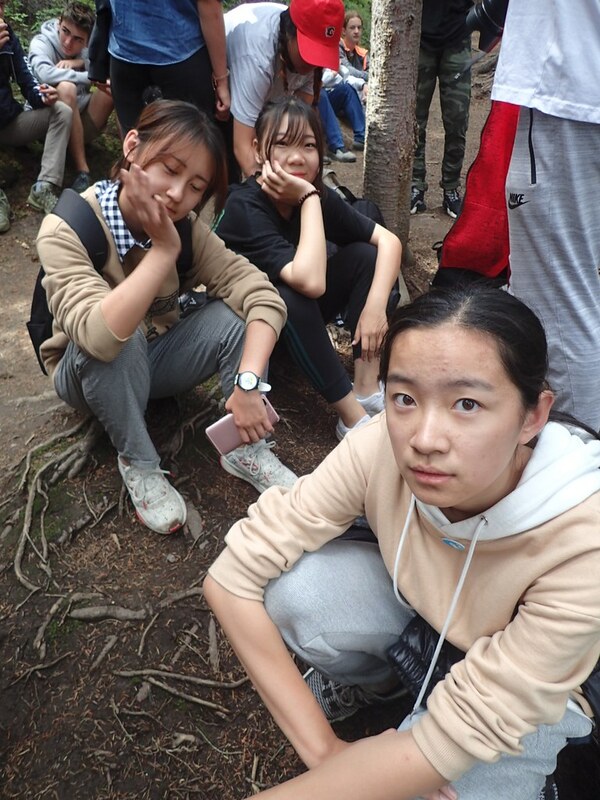 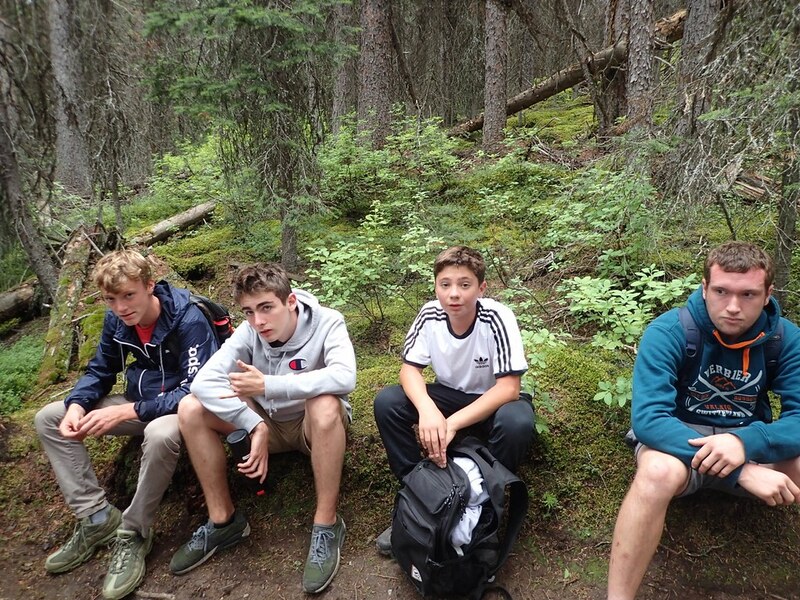 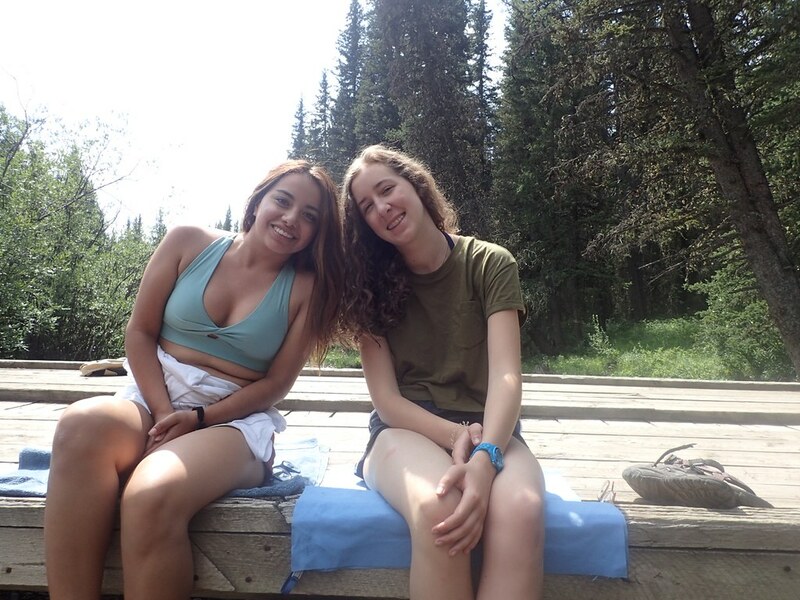 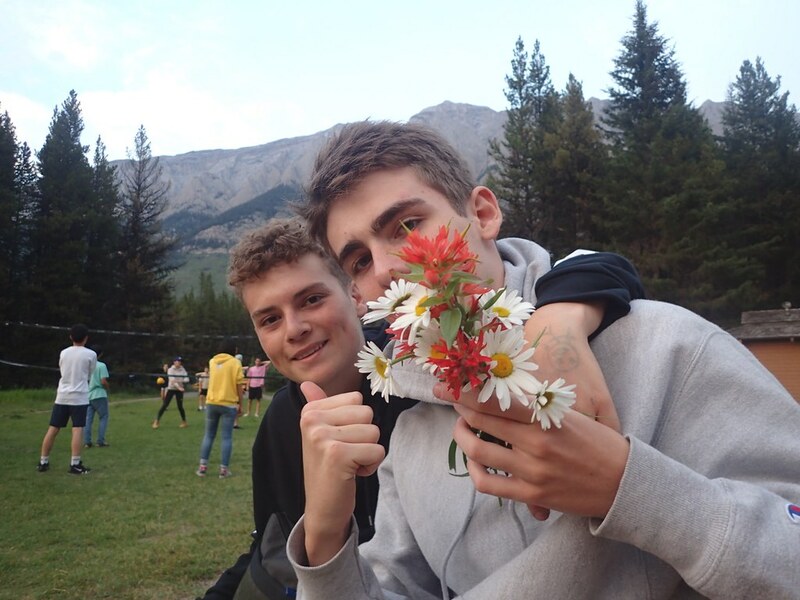 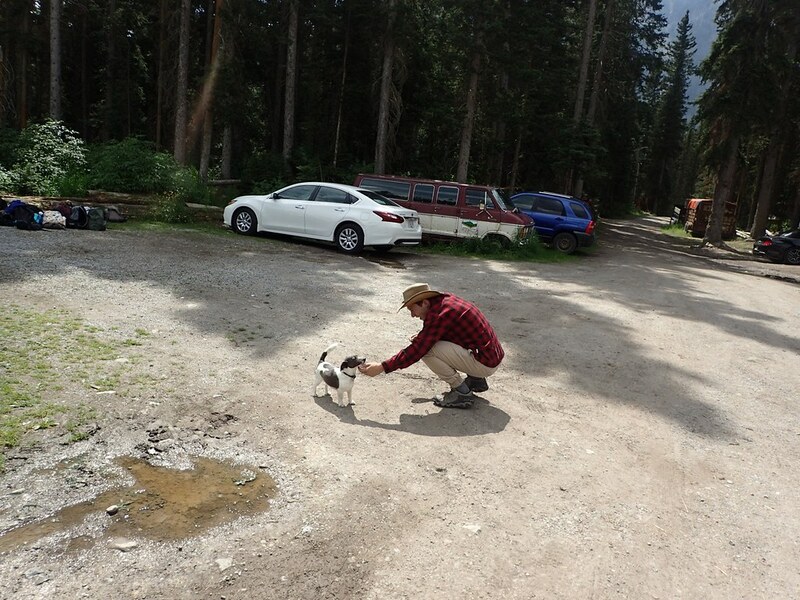 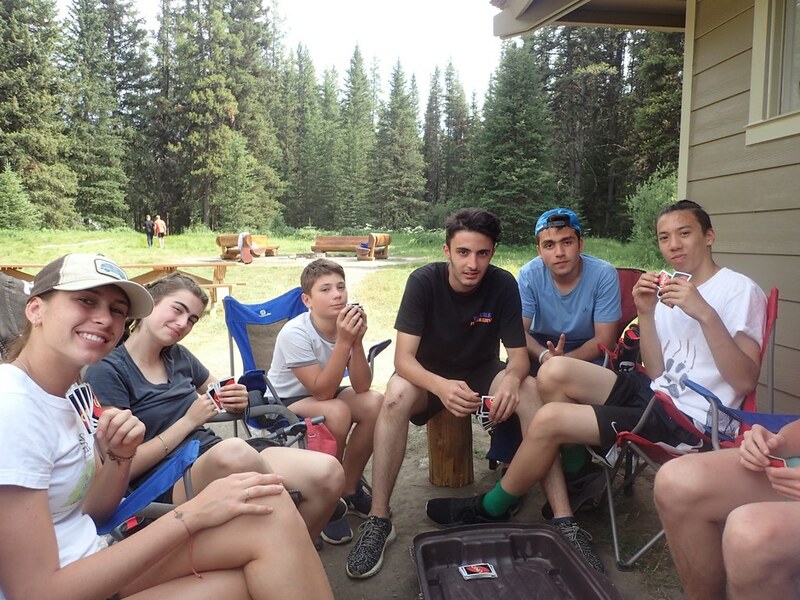 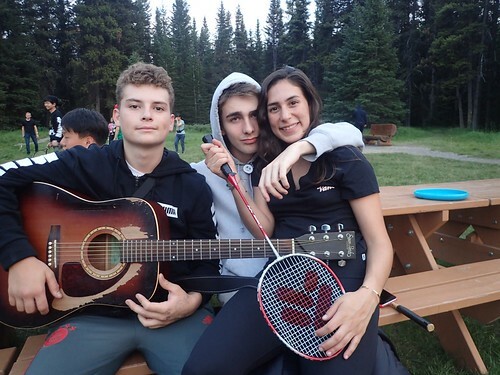 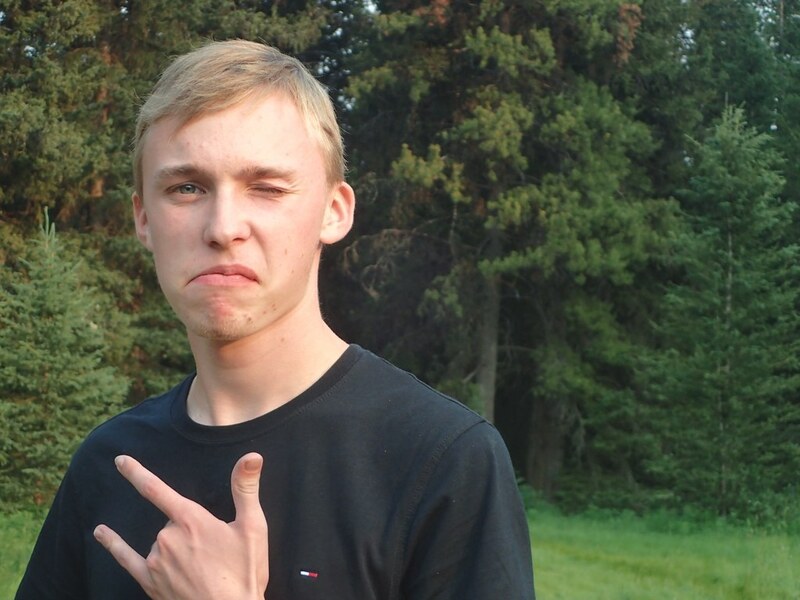 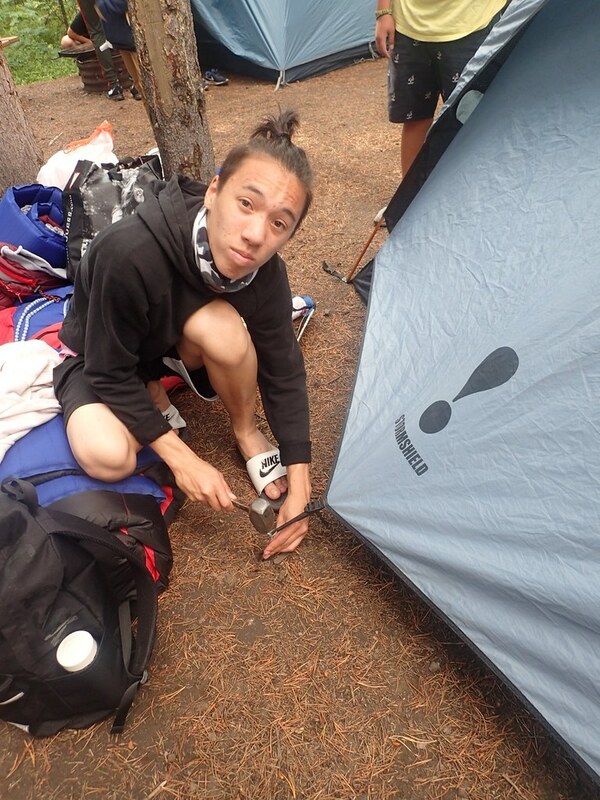 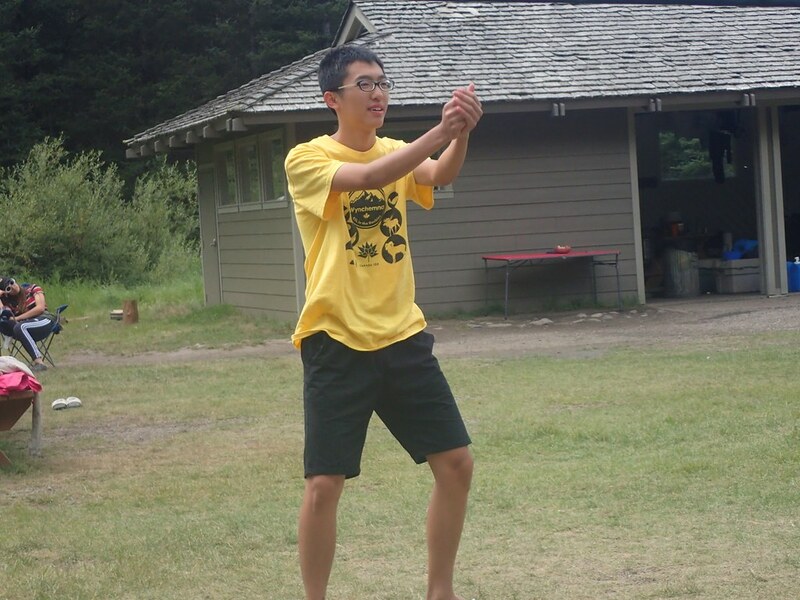 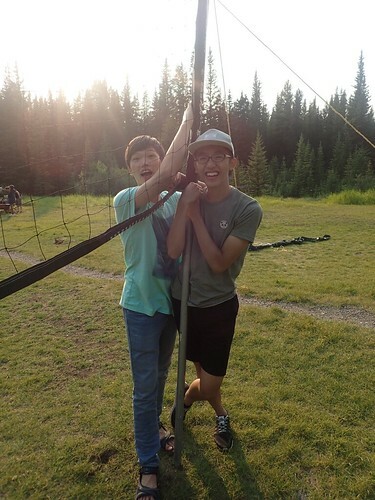 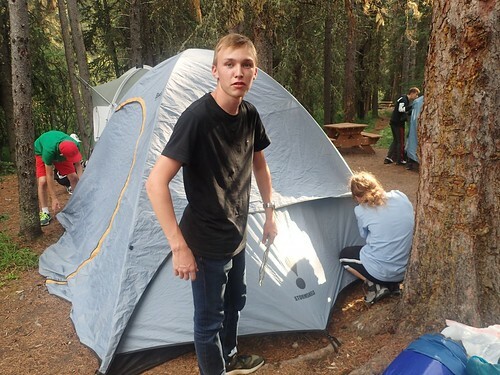 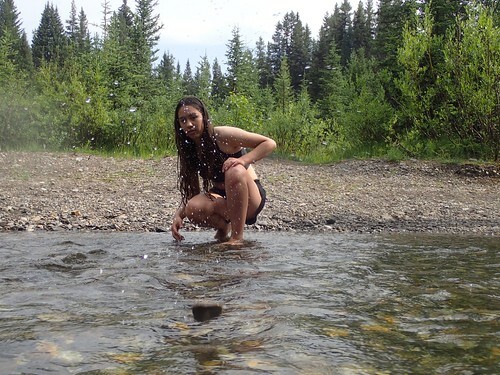 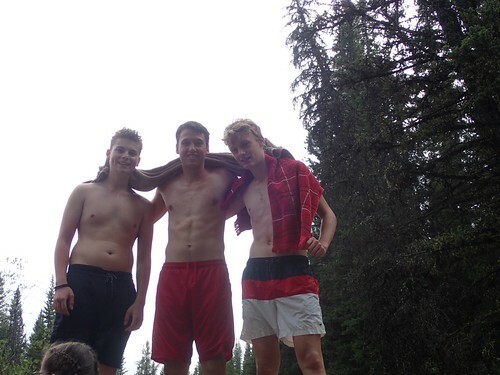 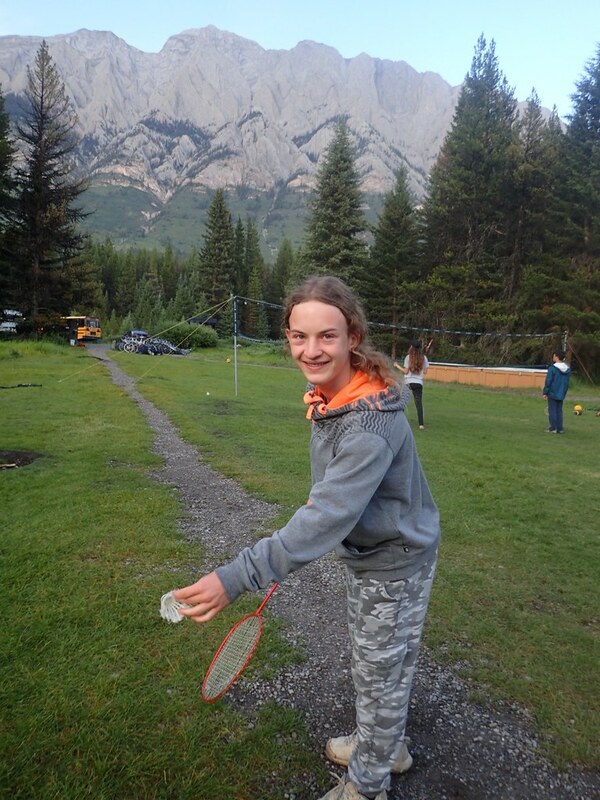 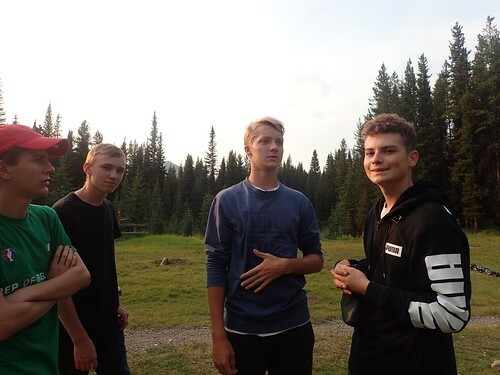 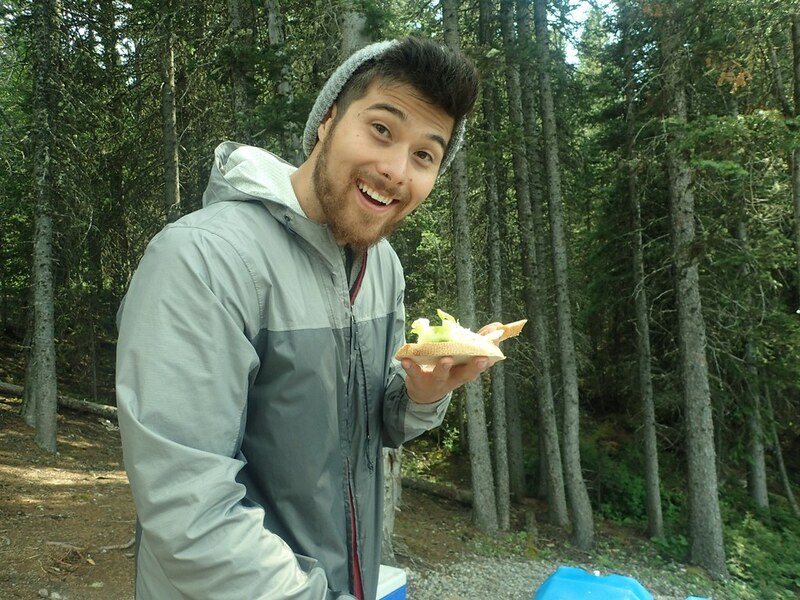 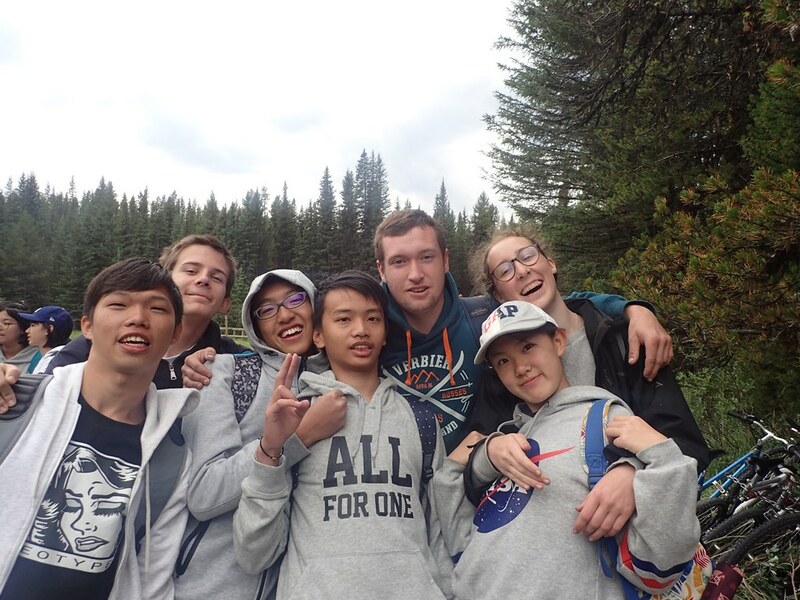 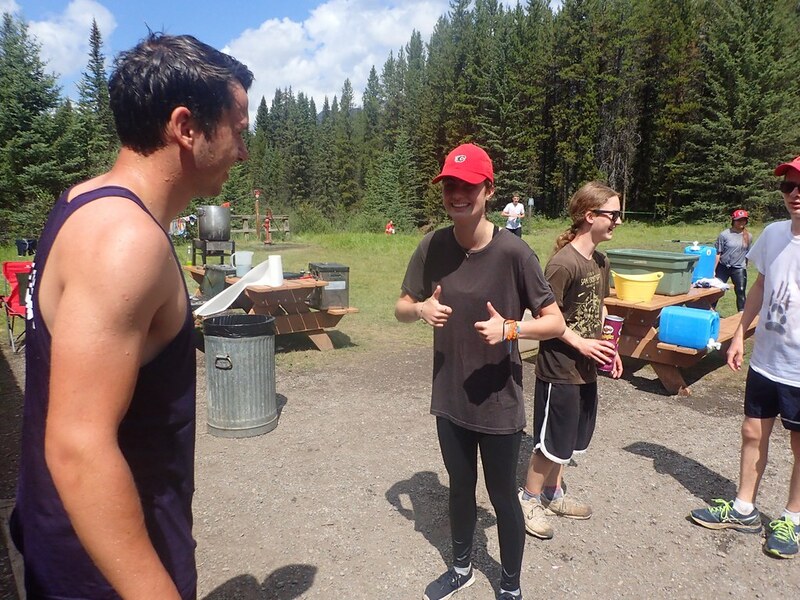 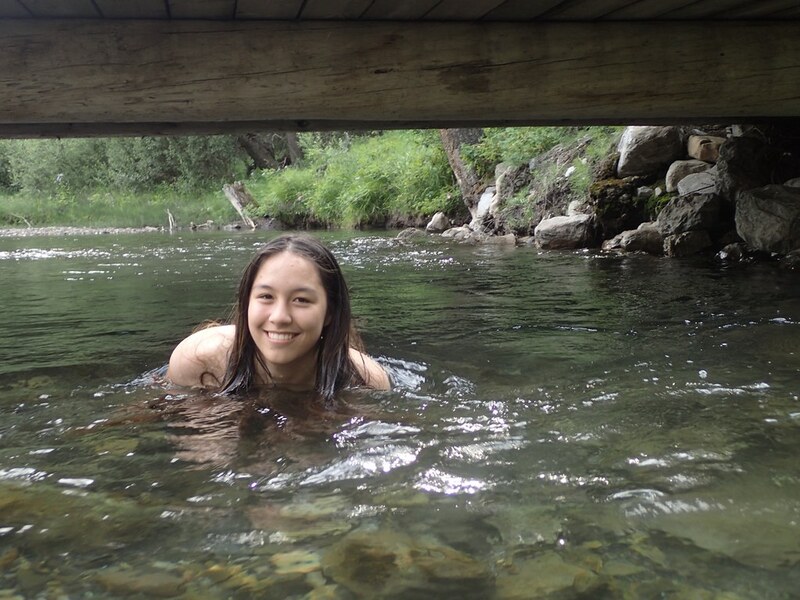 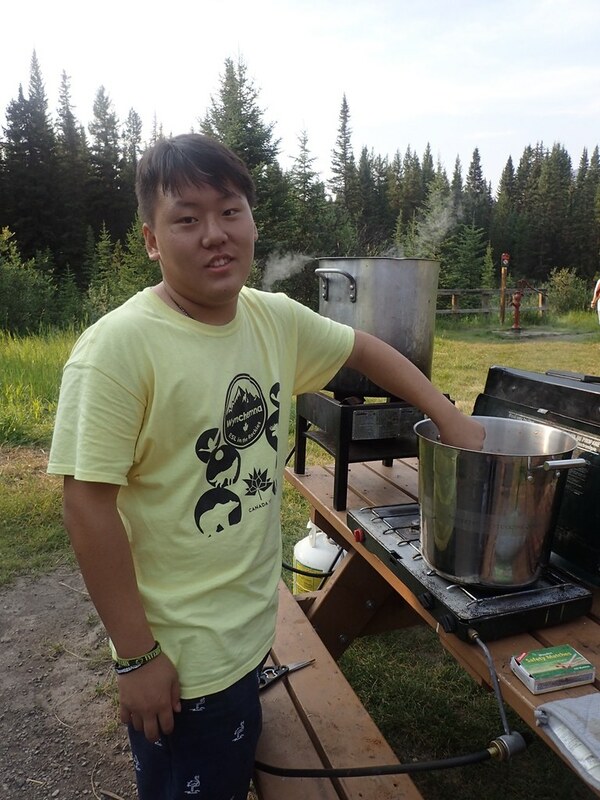 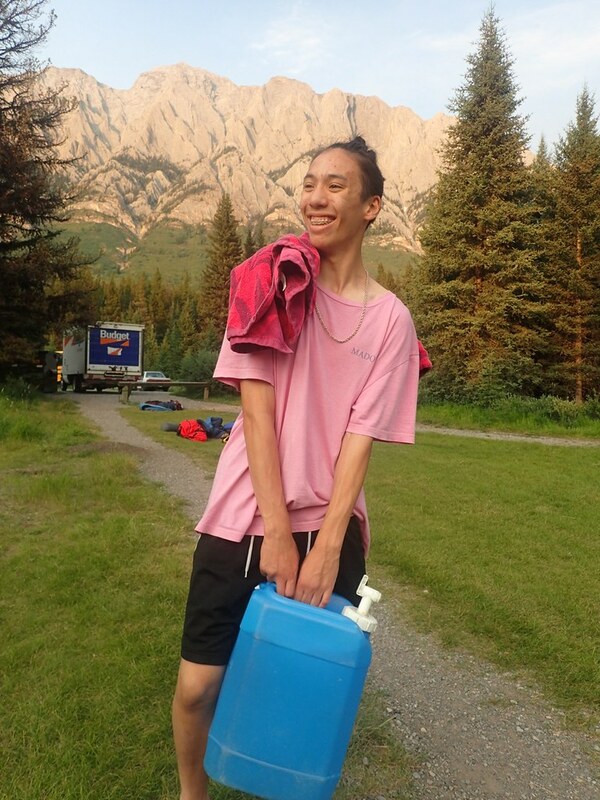 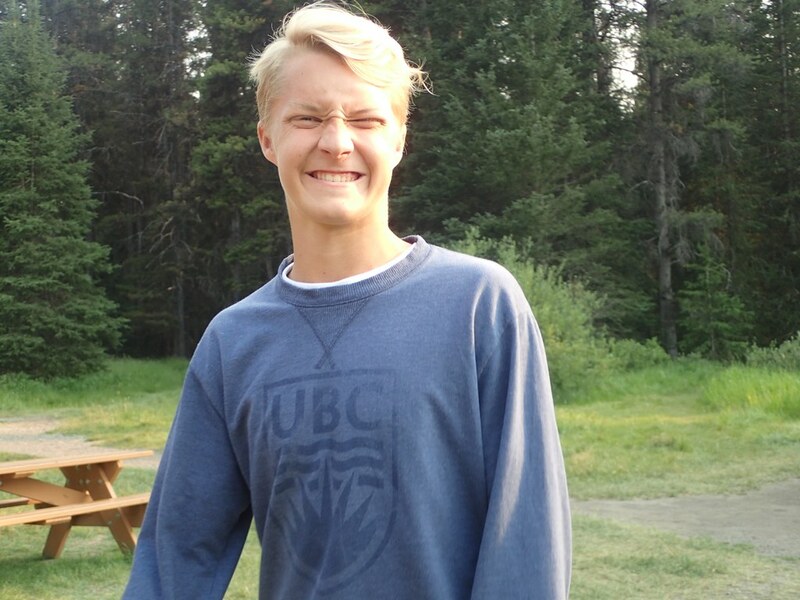 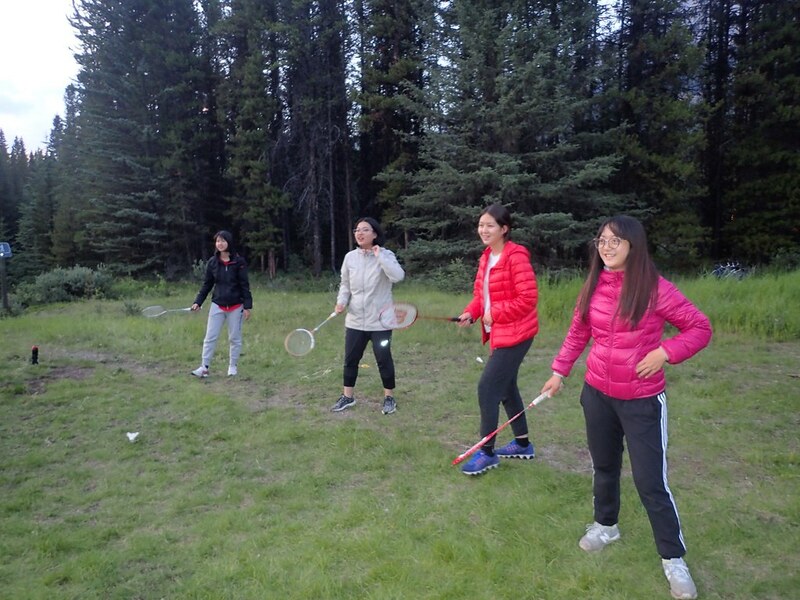 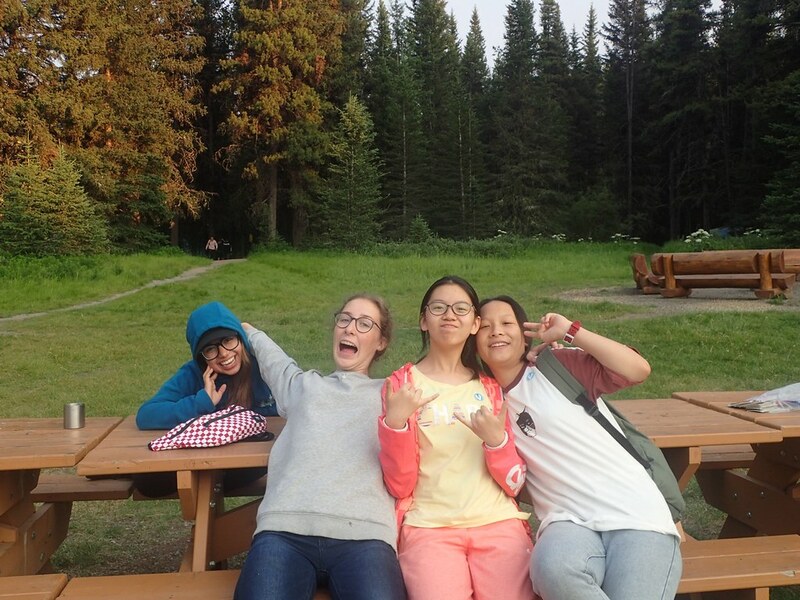 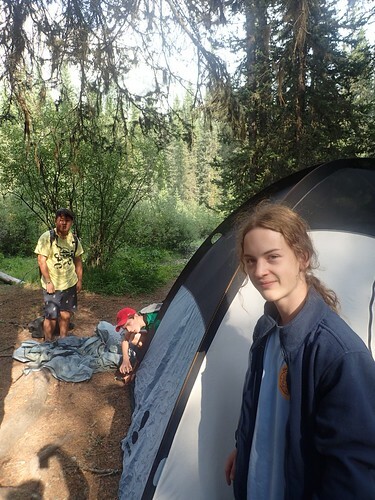 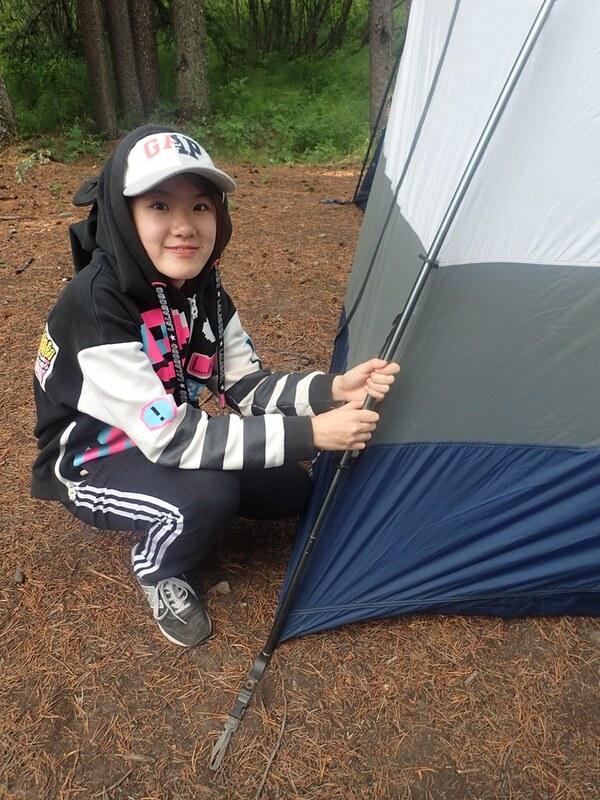 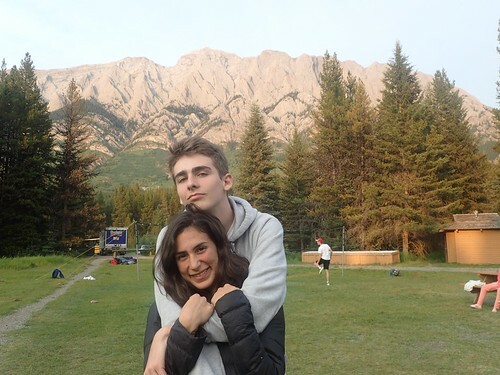 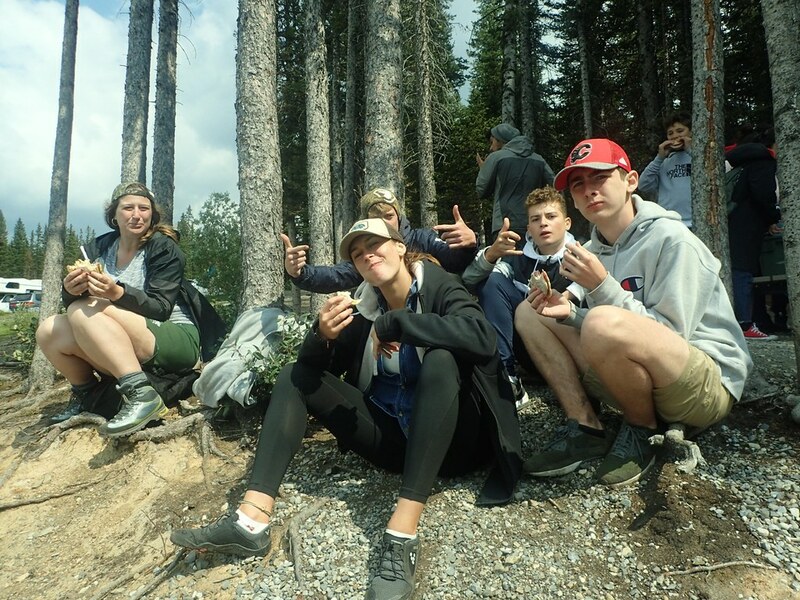 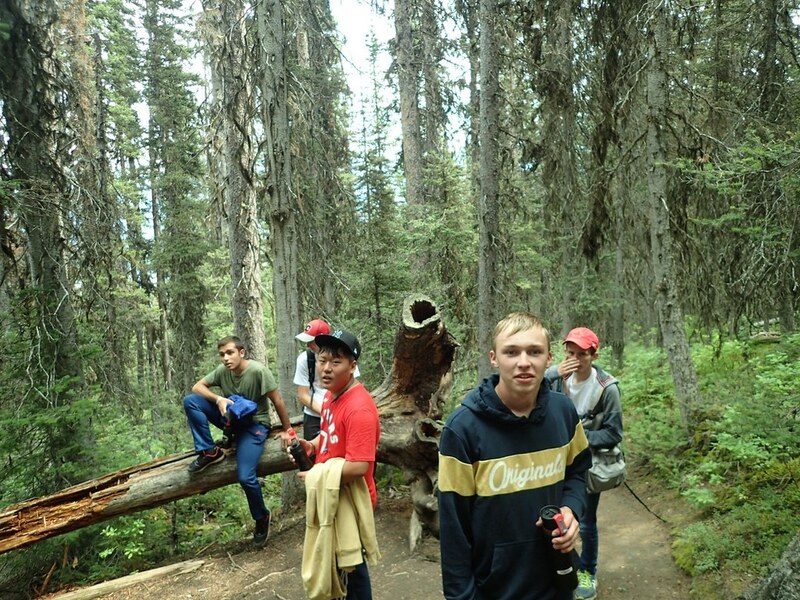 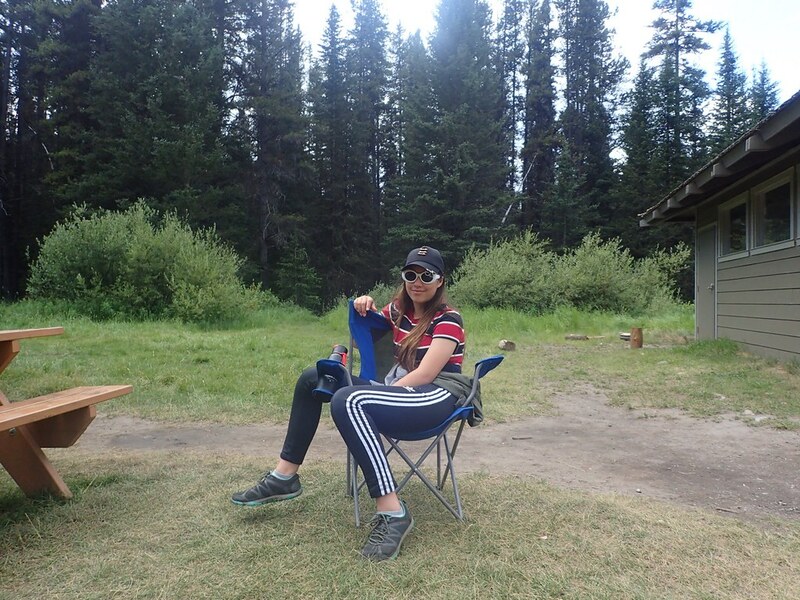 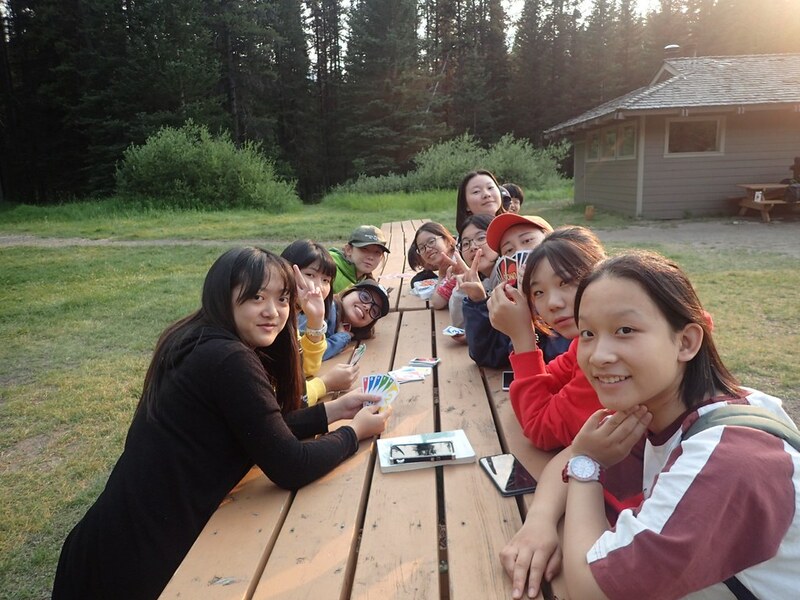 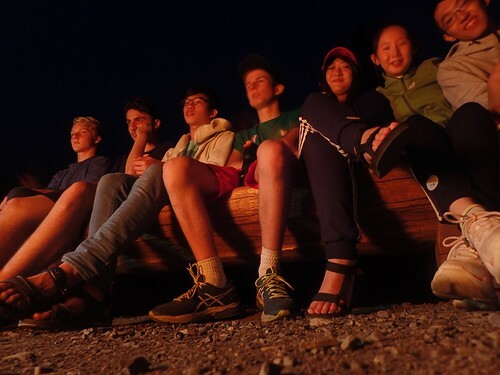 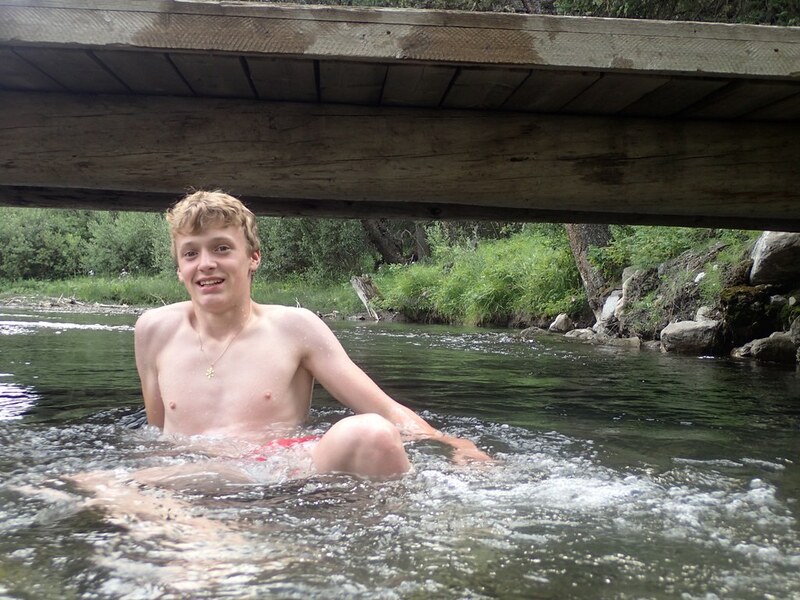 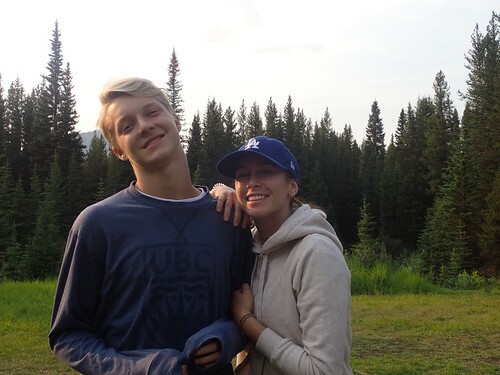 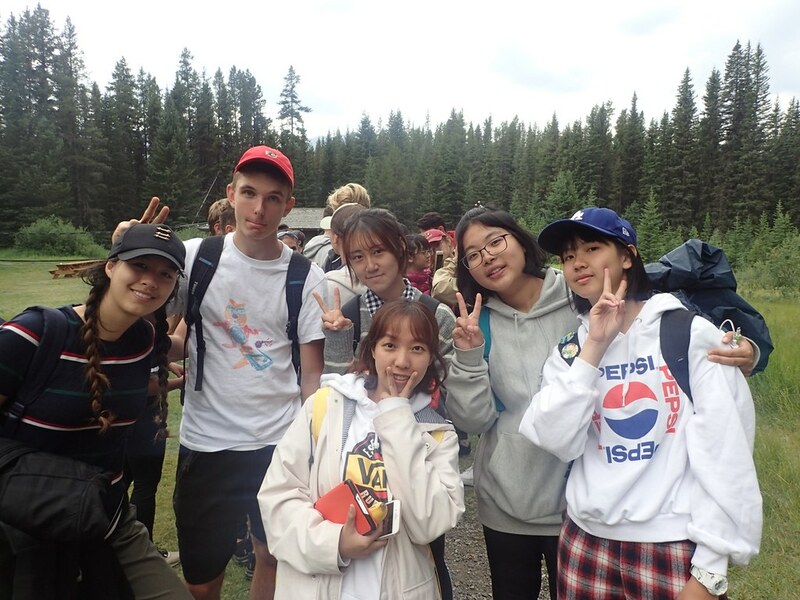 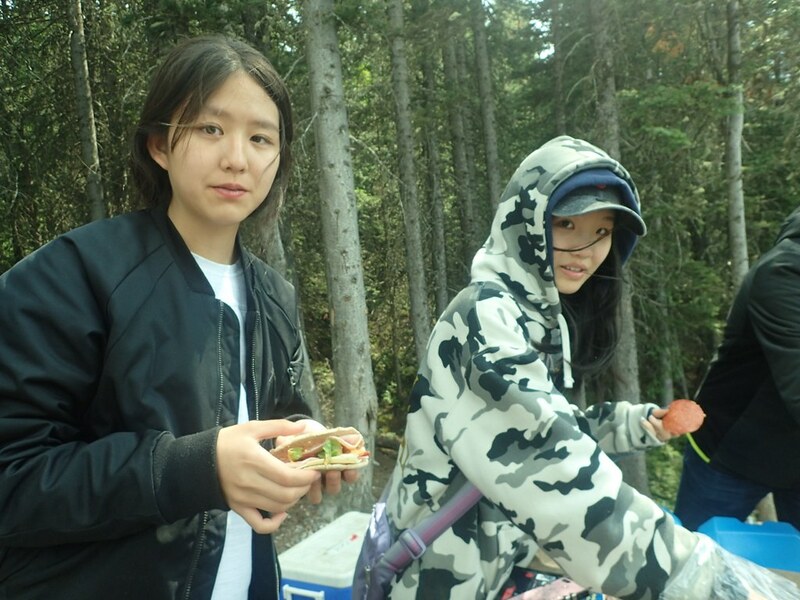 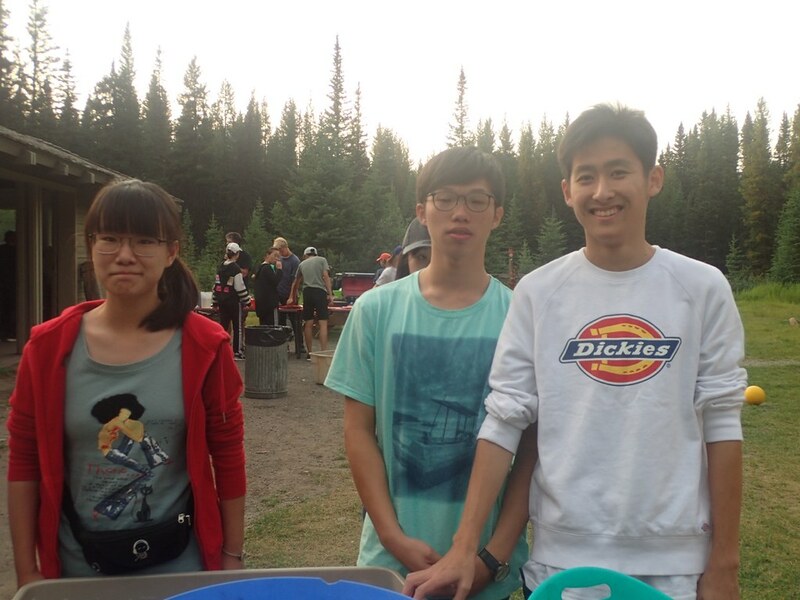 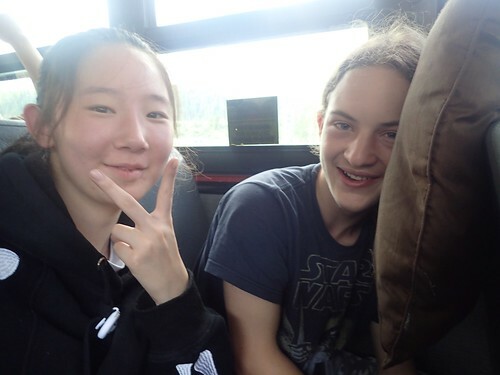 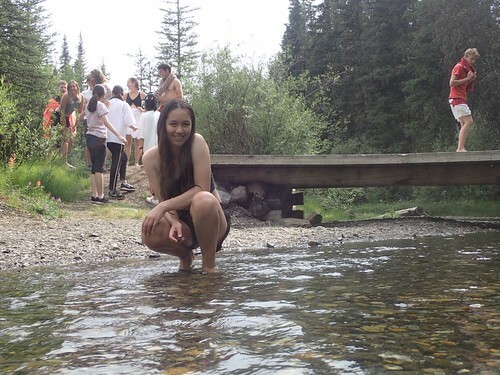 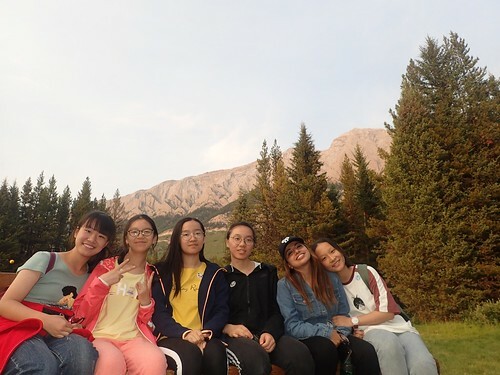 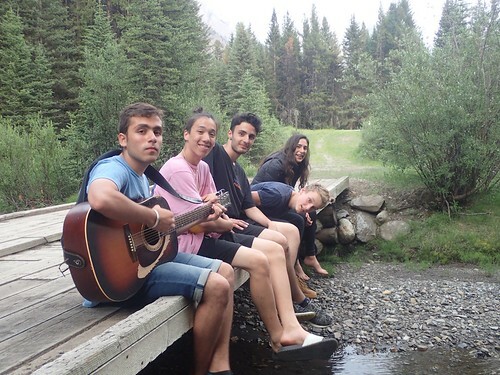 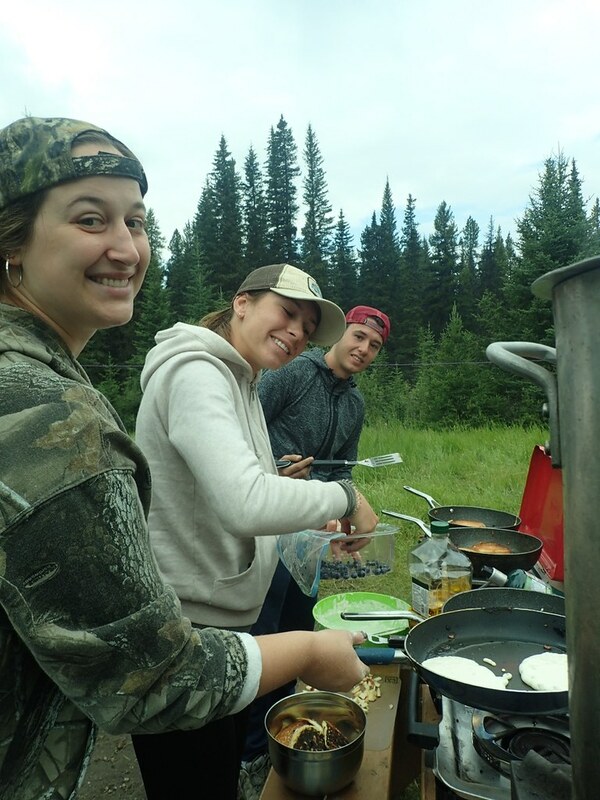 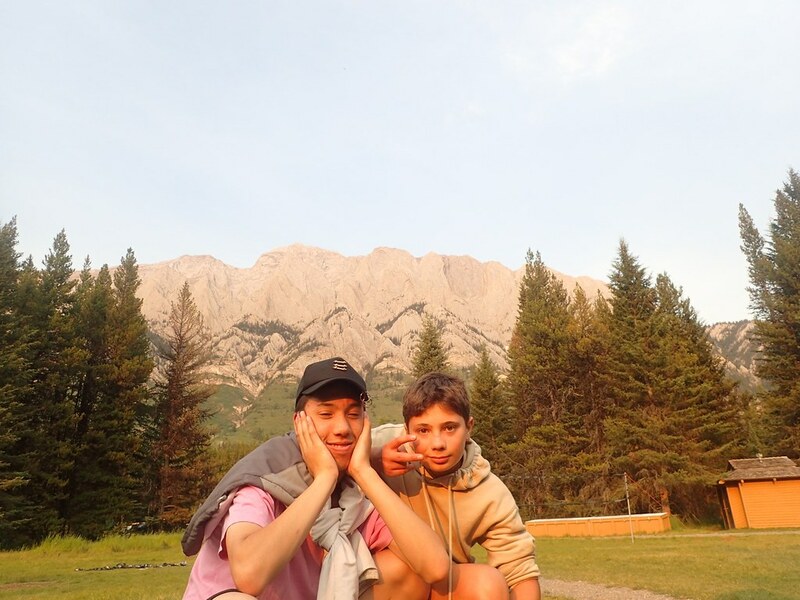 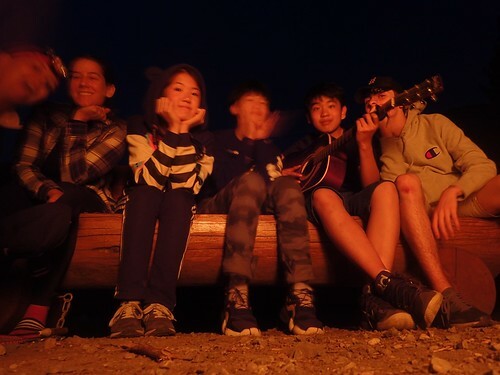 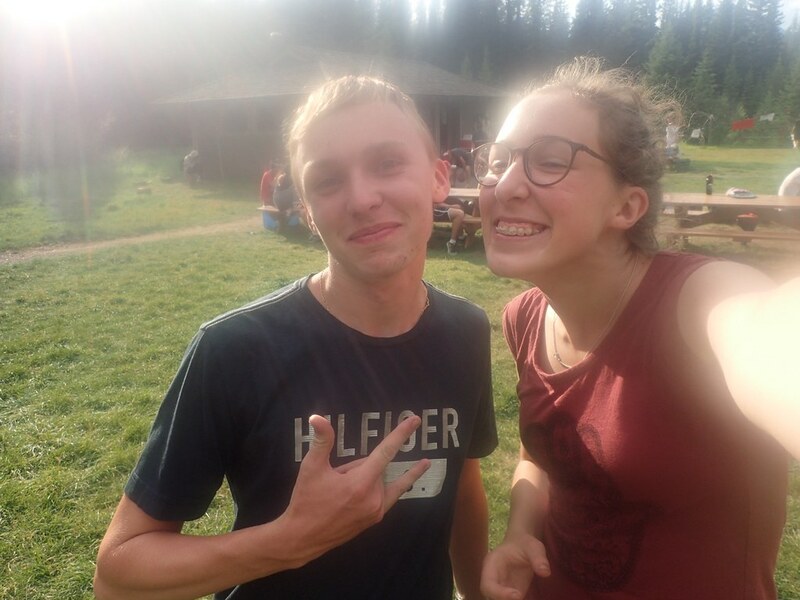 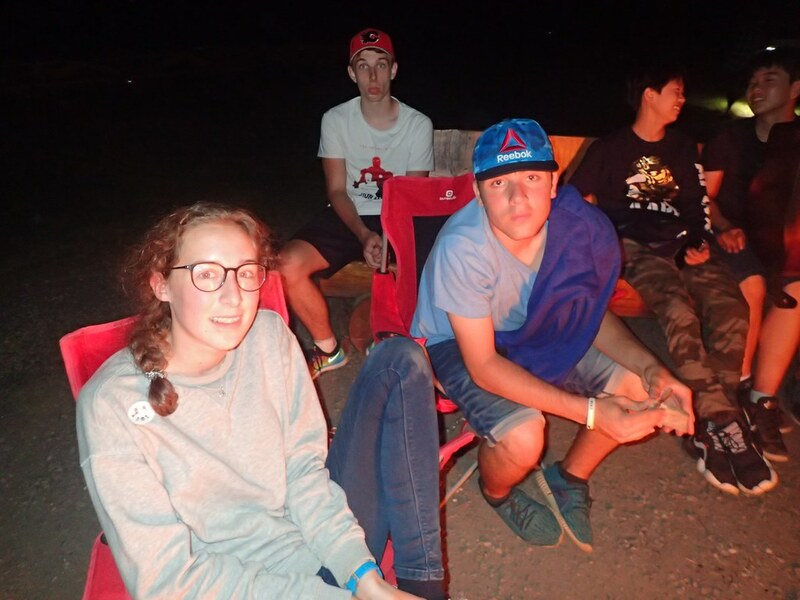 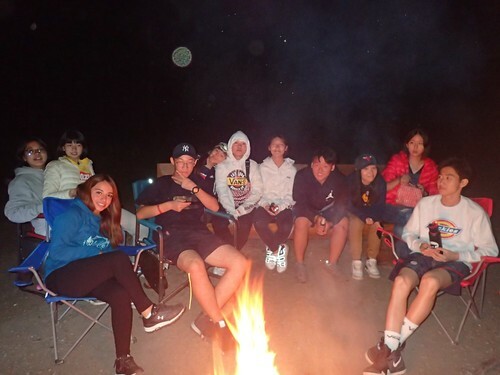 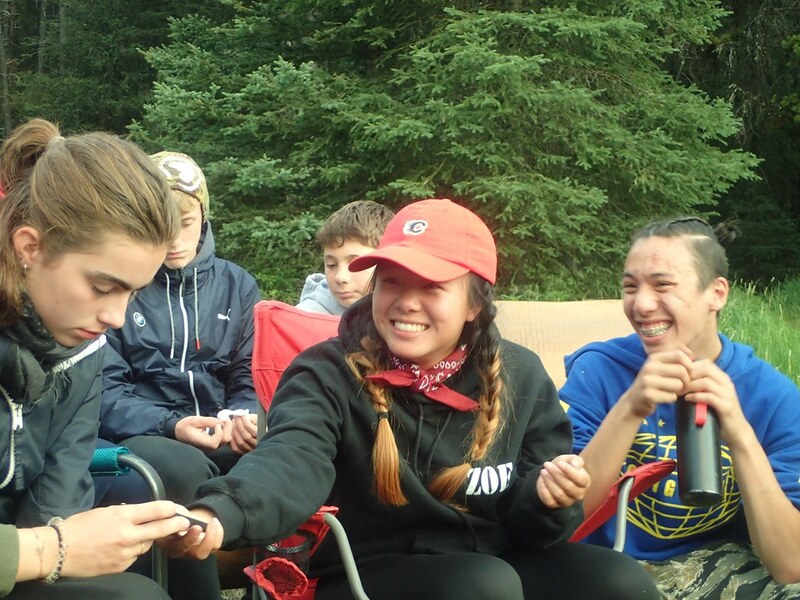 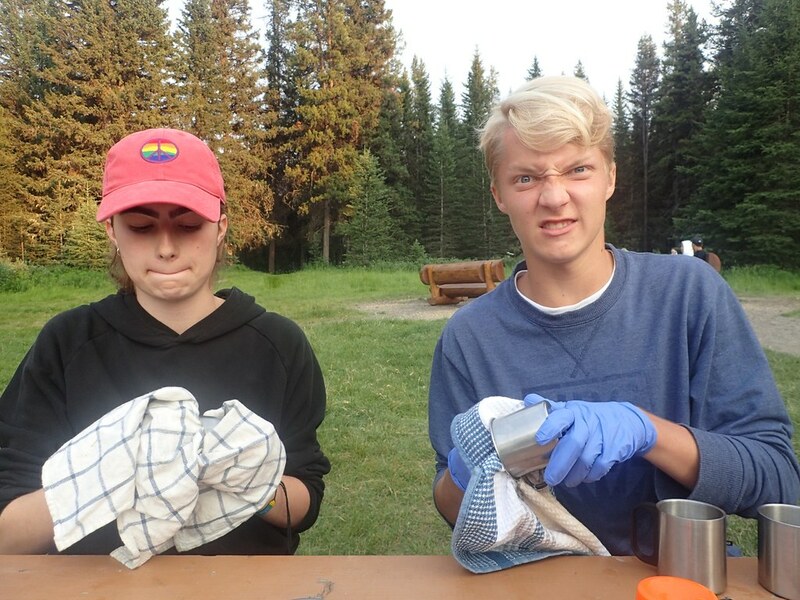 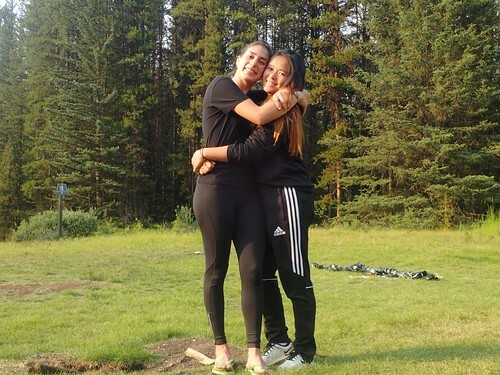 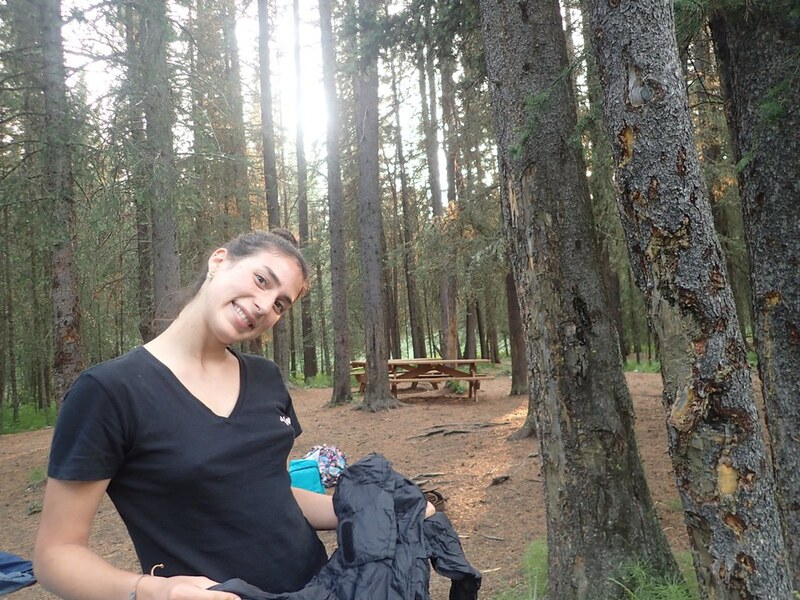 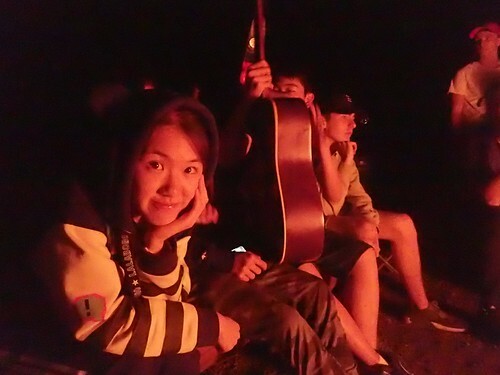 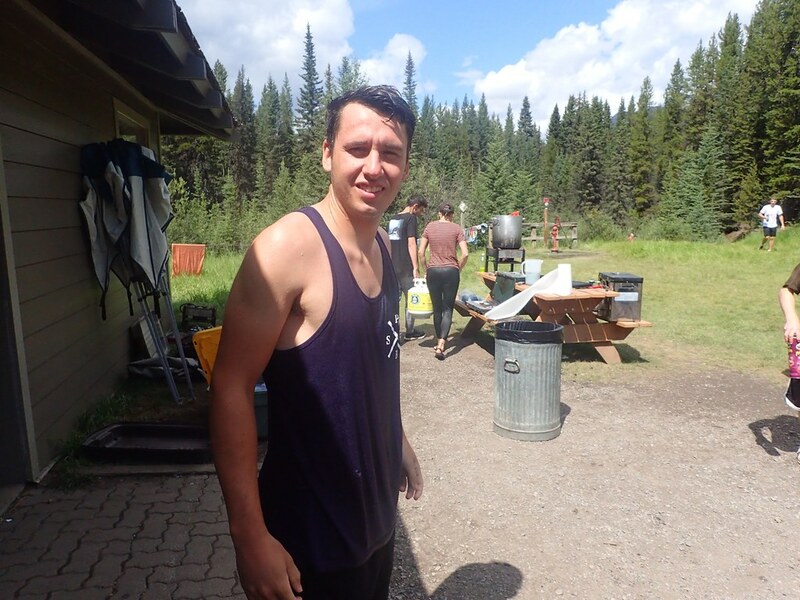 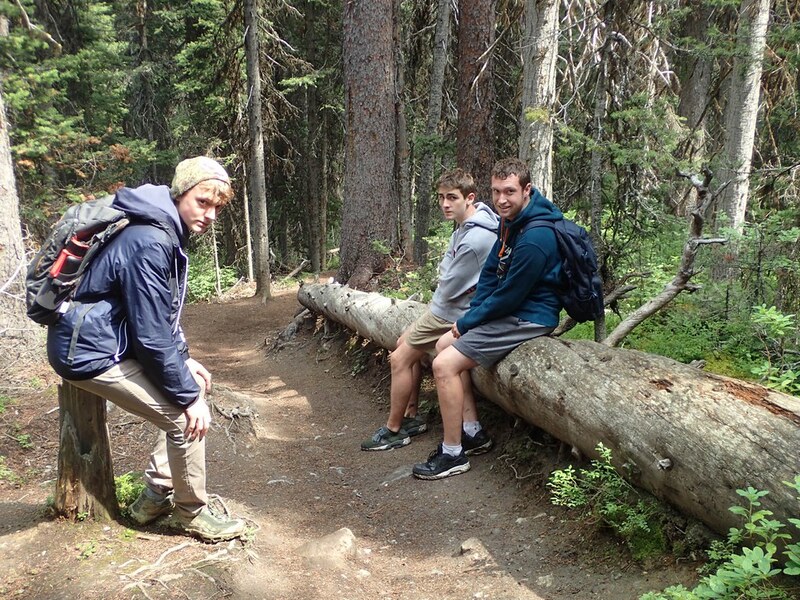 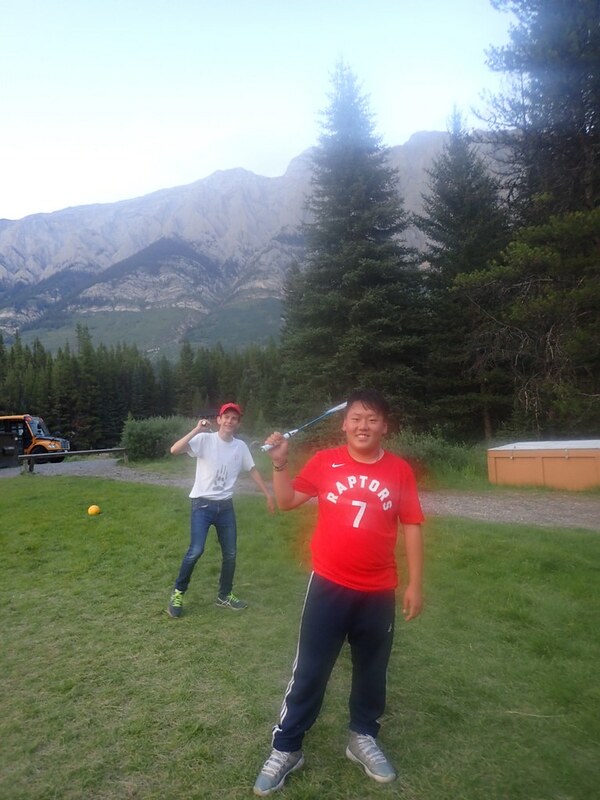 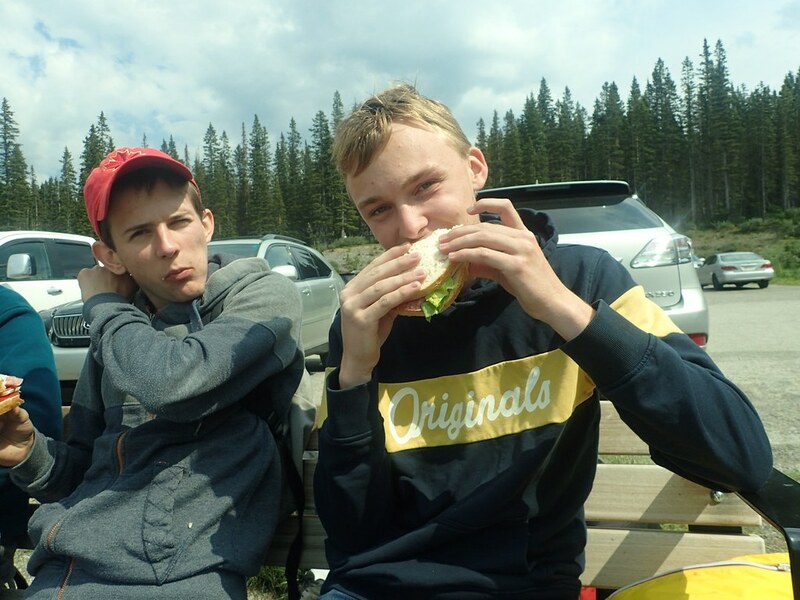 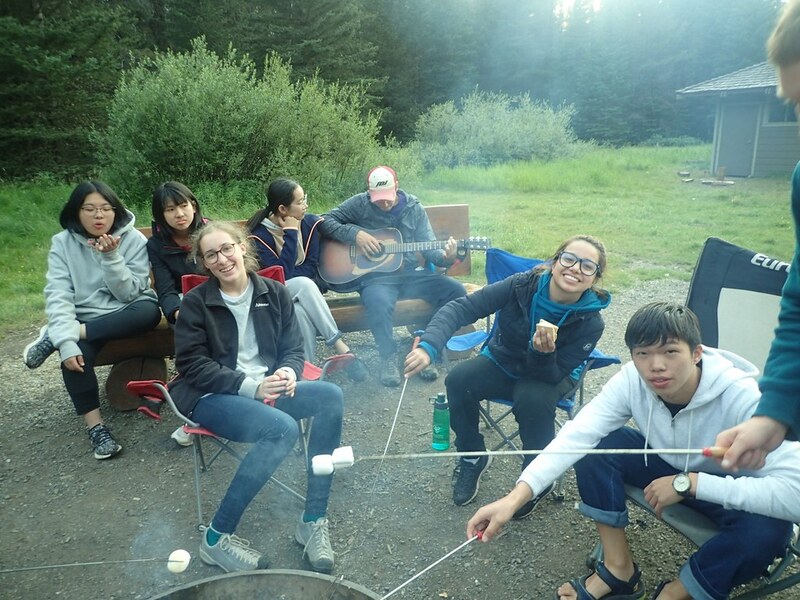 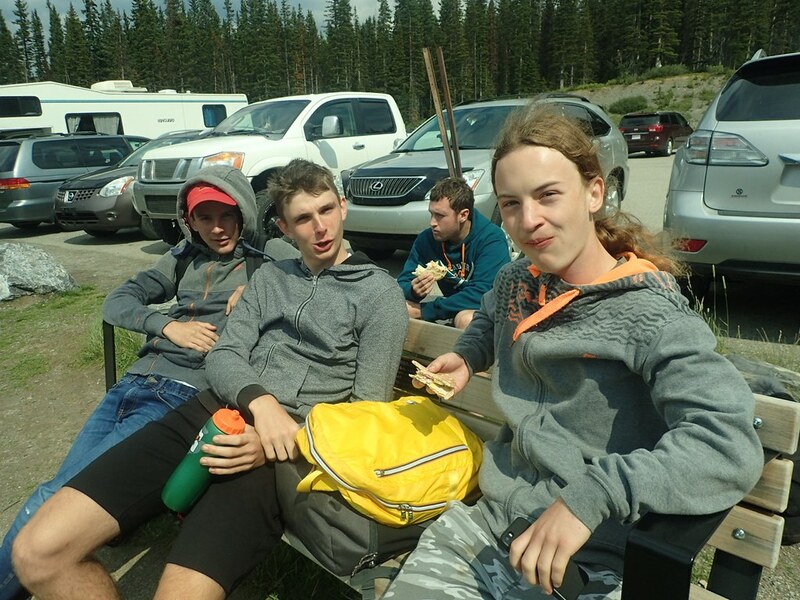 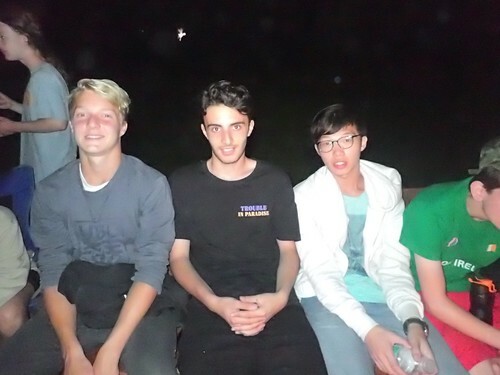 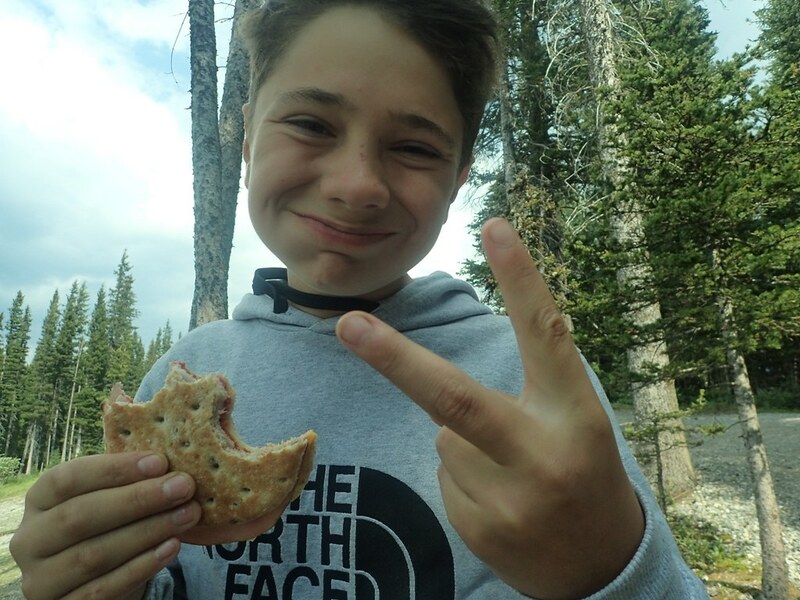 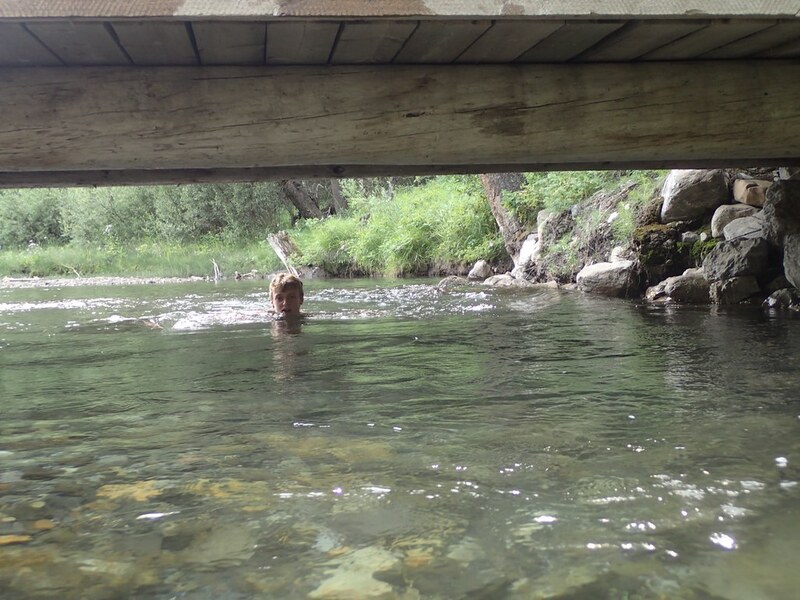 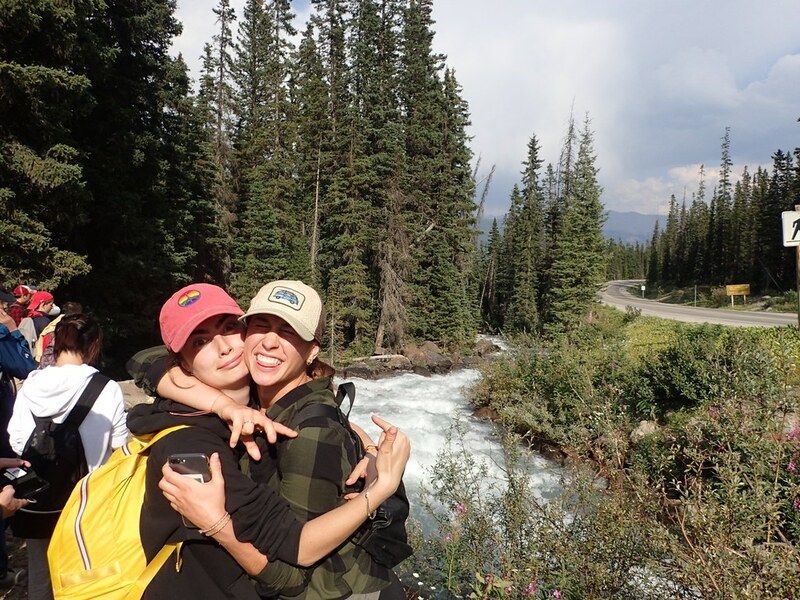 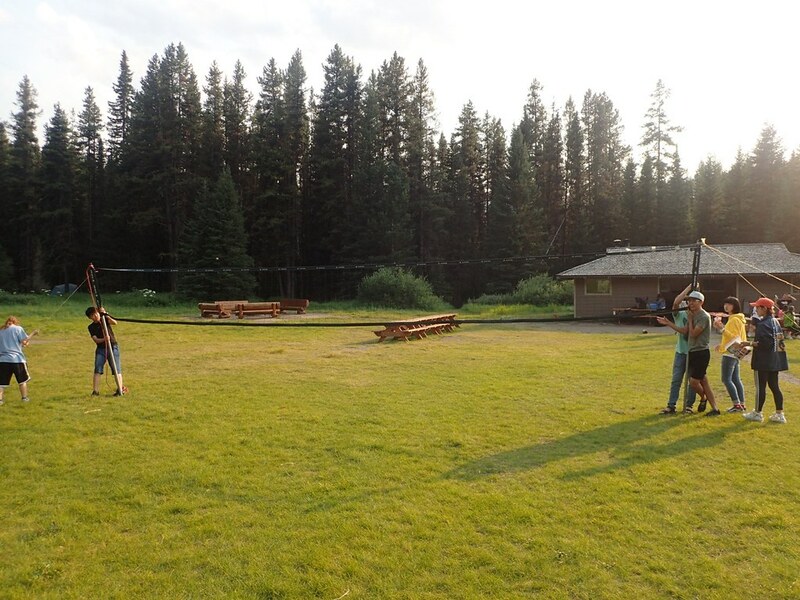 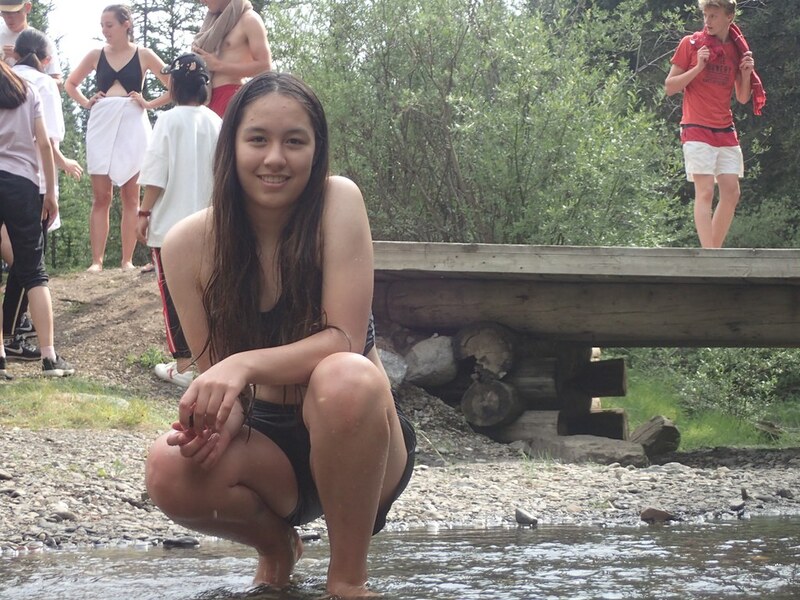 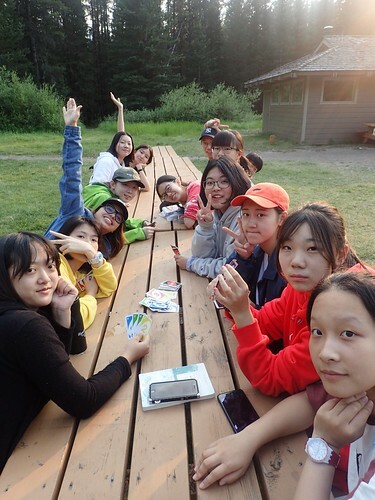 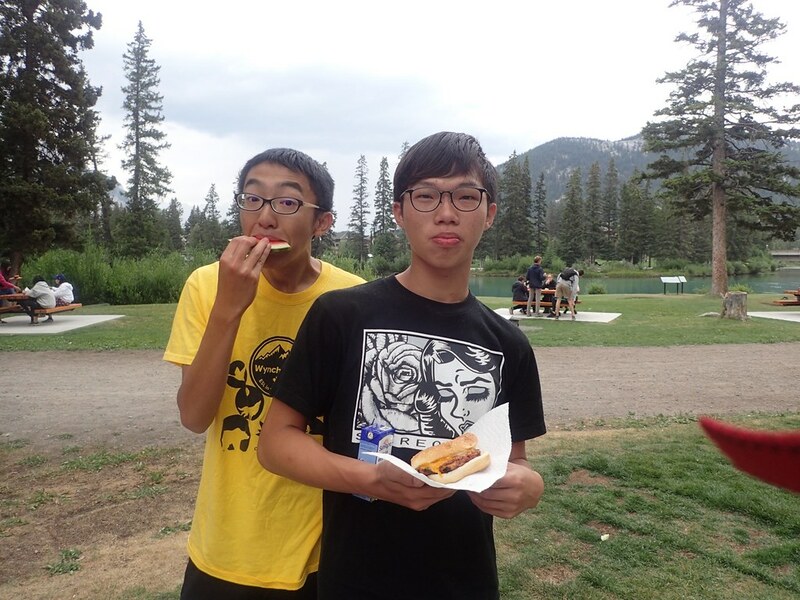 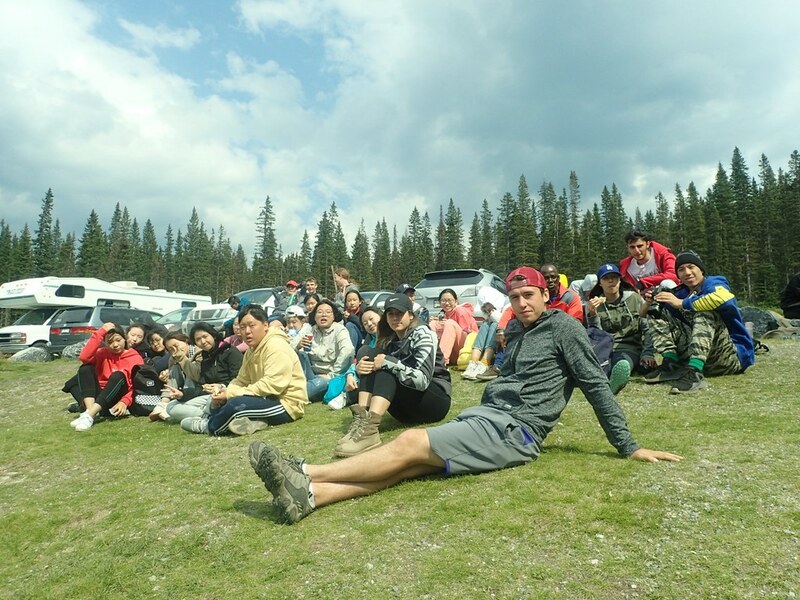 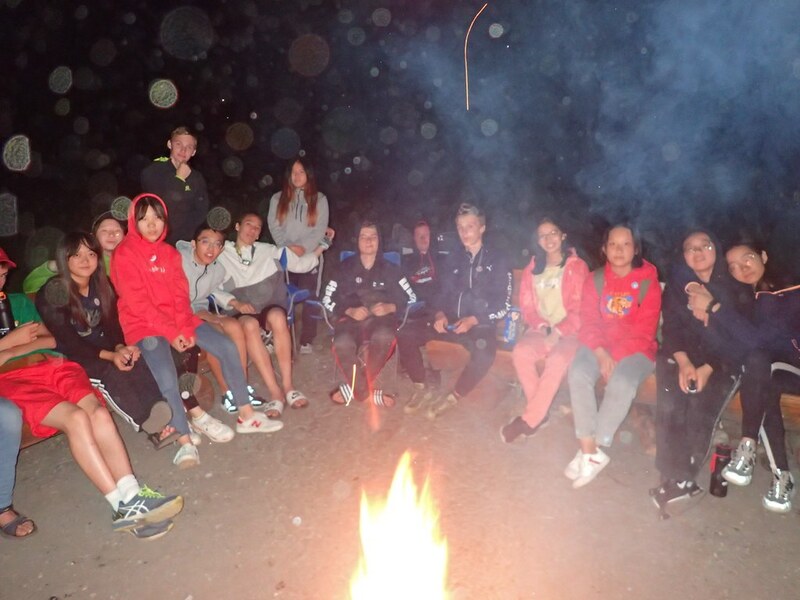 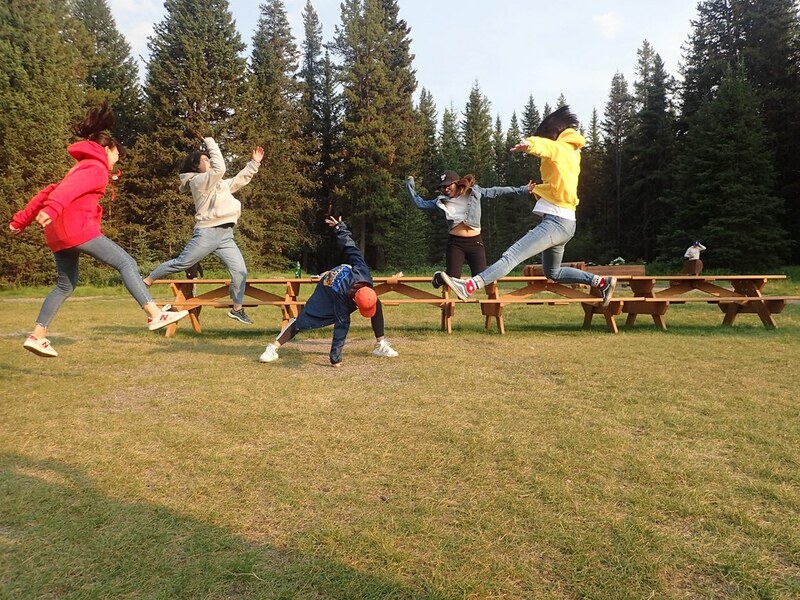 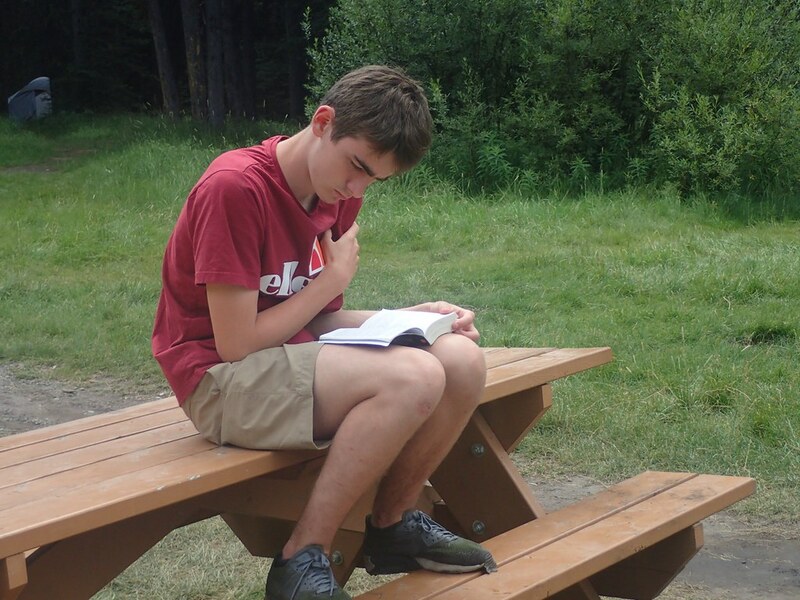 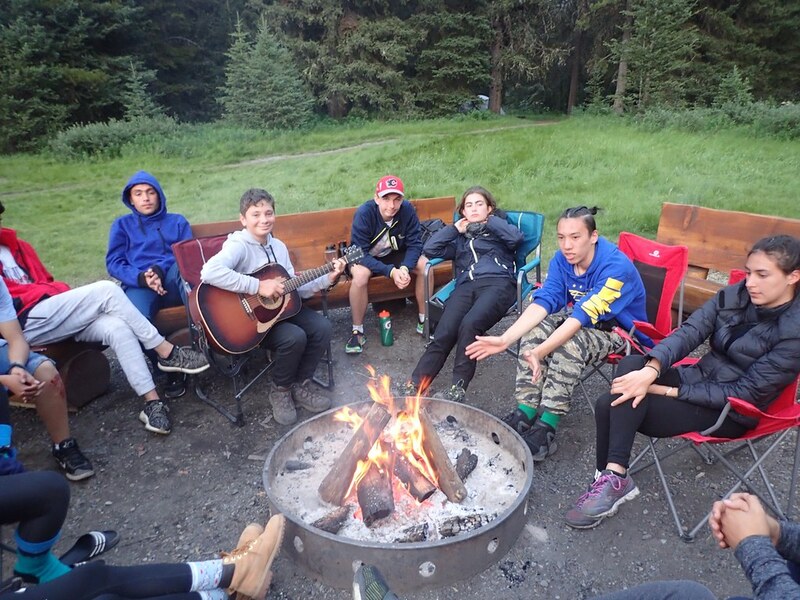 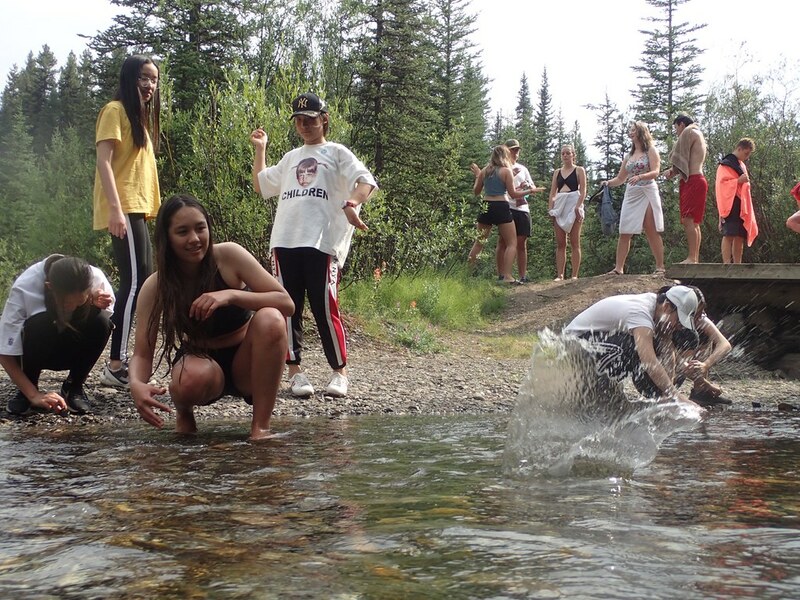 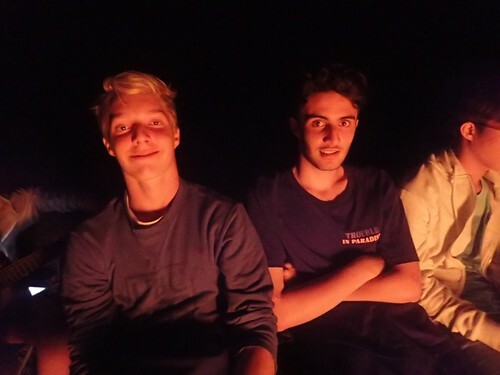 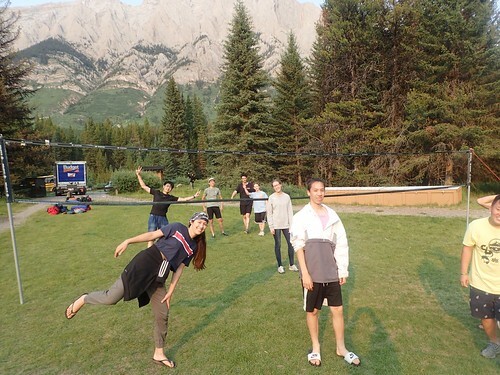 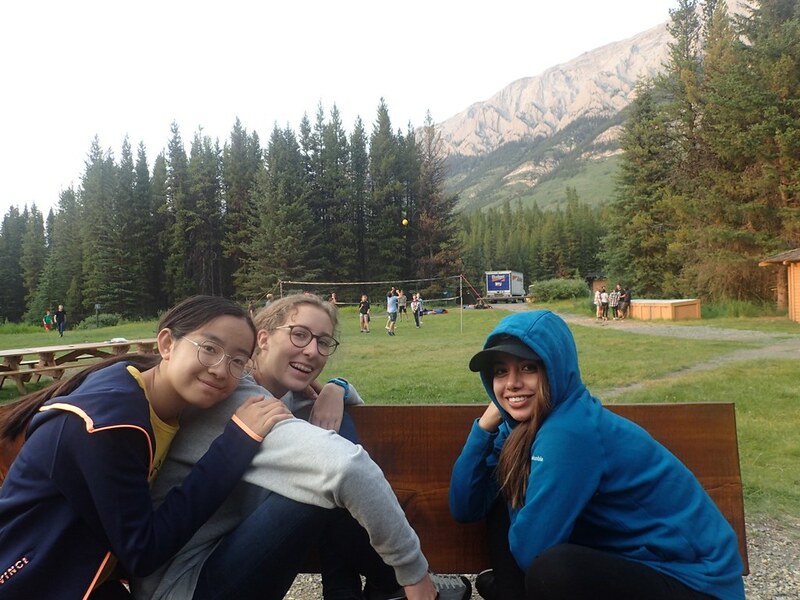 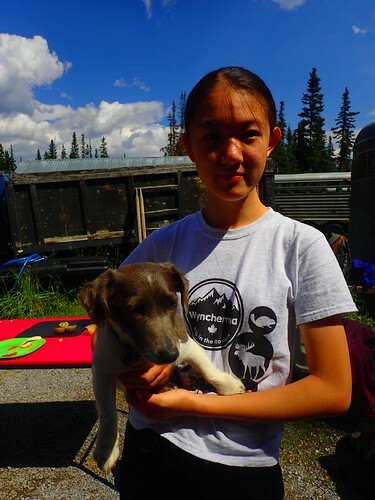 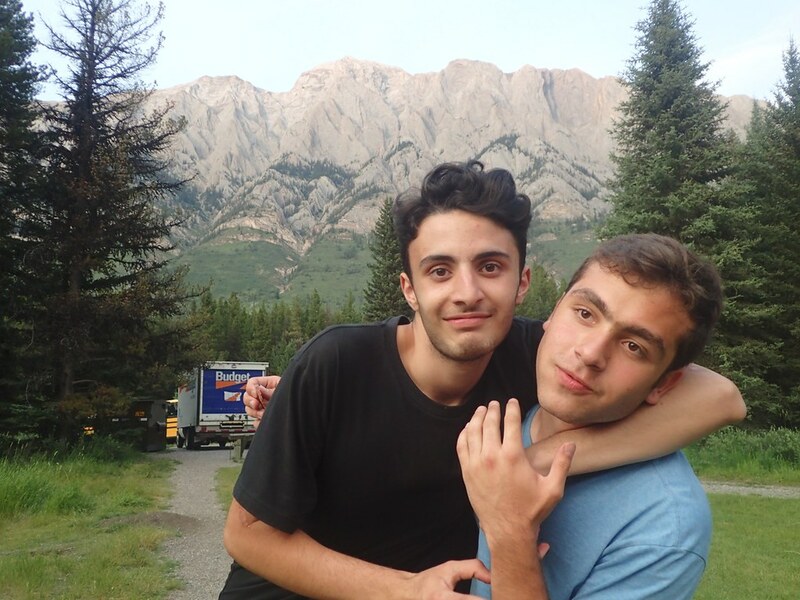 Day 6 – August 5 – Camping Hang Out! 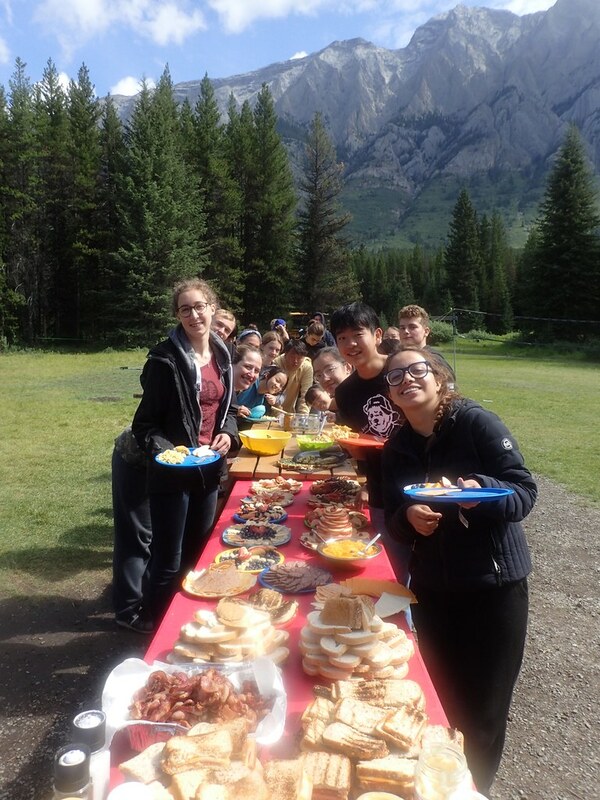 We got to sleep in today and then had a fantastic brunch consisting of grilled sandwiches, scrambled eggs, bacon, quiche and fruit. In the afternoon the porcupines didn’t waste their last day of camping. 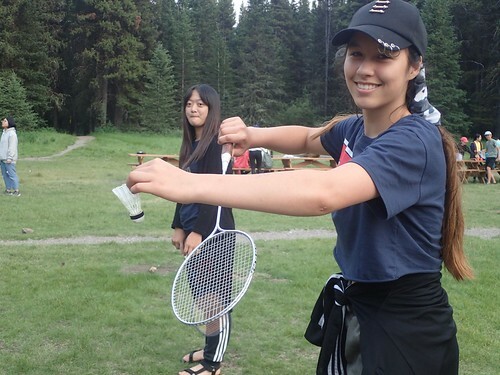 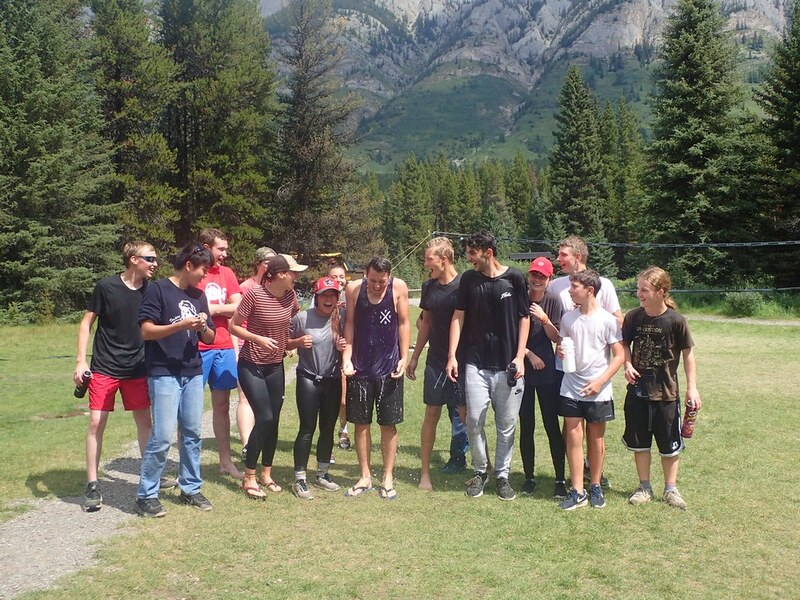 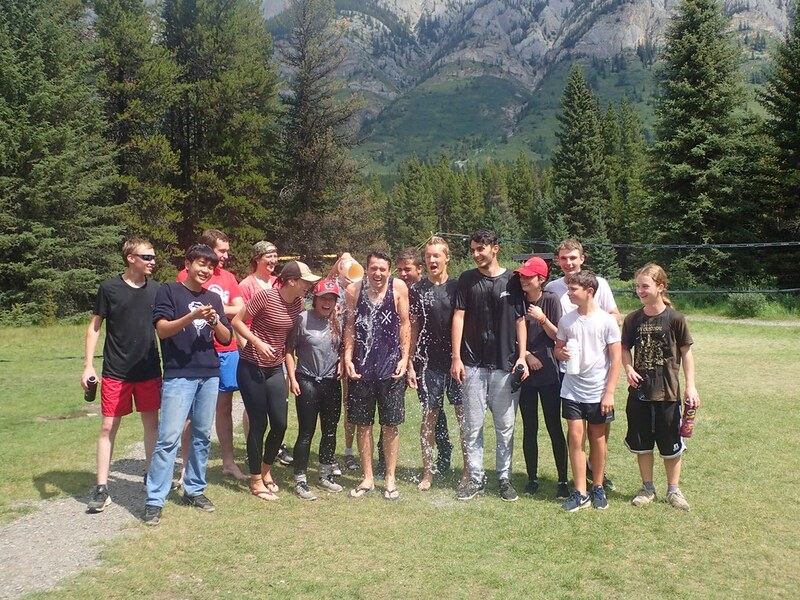 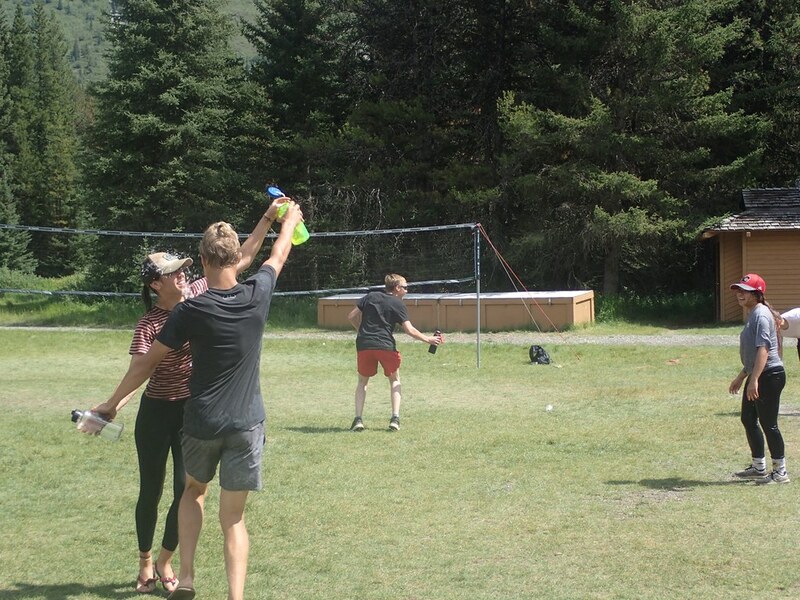 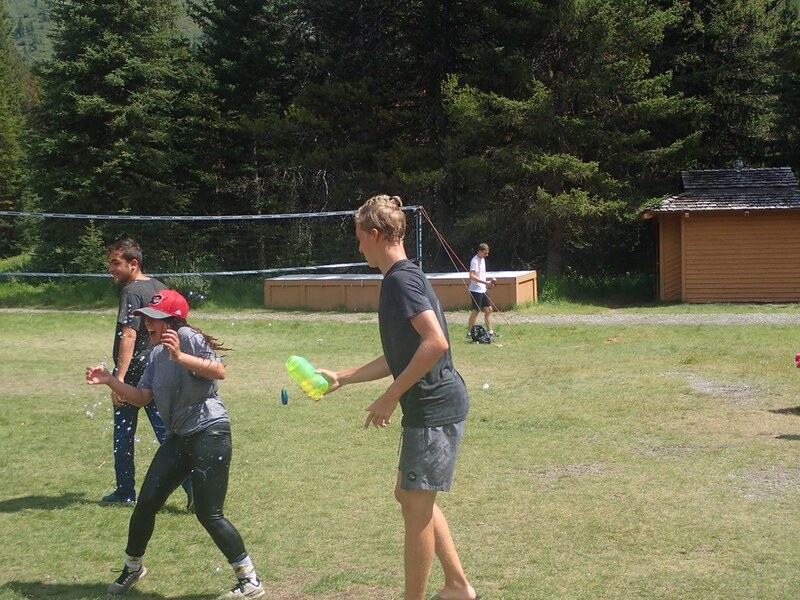 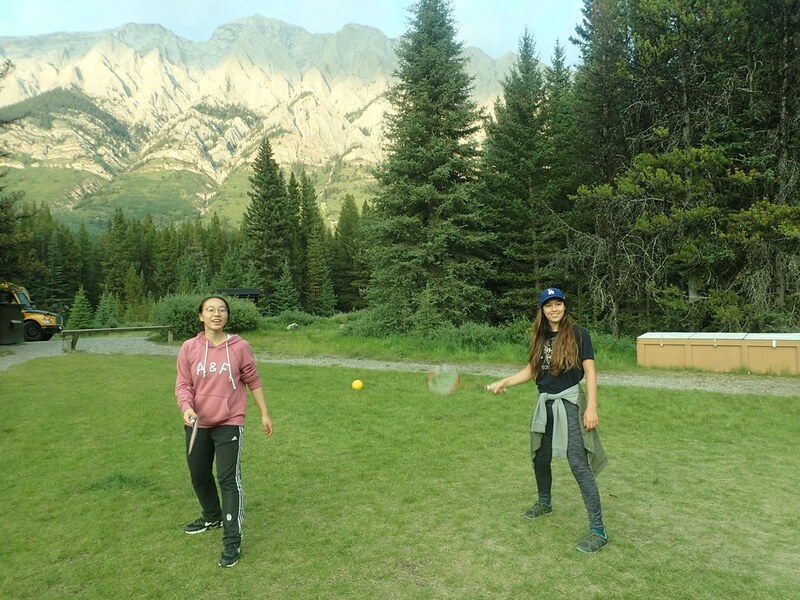 We had a massive water fight, played volleyball, badminton, pingpong, bocce, walked a tightrope and even learned about animal tracking and survival. Then we had an amazing last dinner of tacos, taquitos, chimichangas, fried rice and fruit. 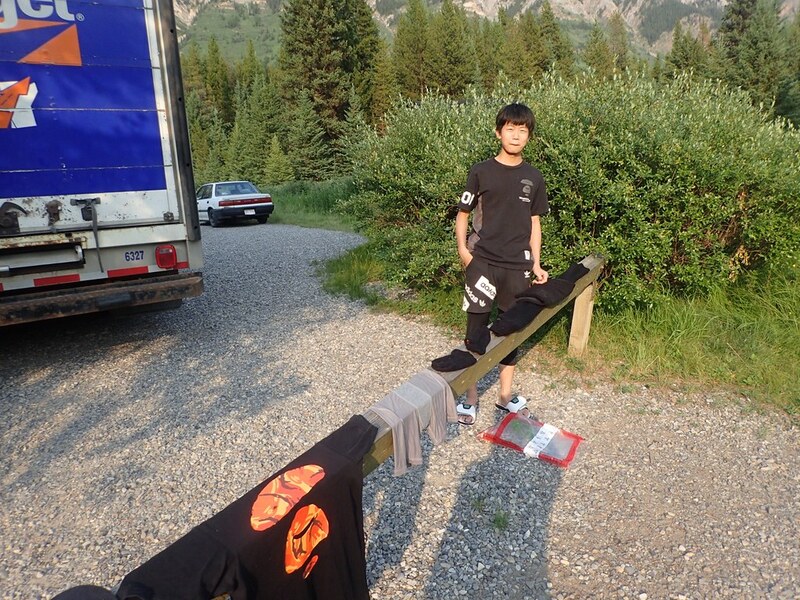 Then it was time to pack up and come back to Calgary. 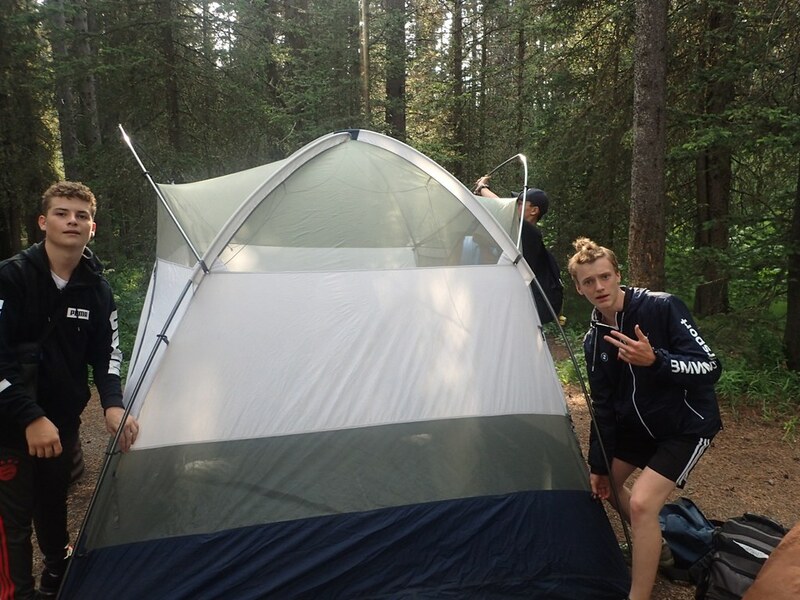 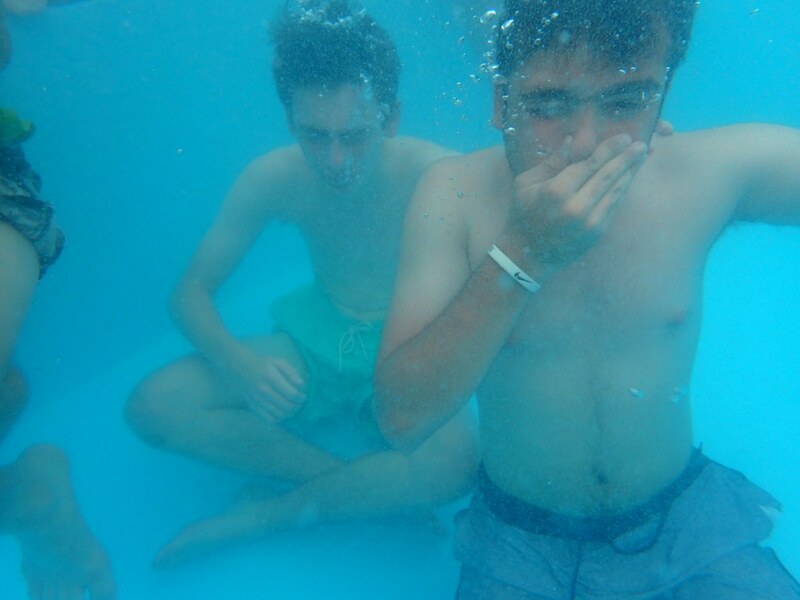 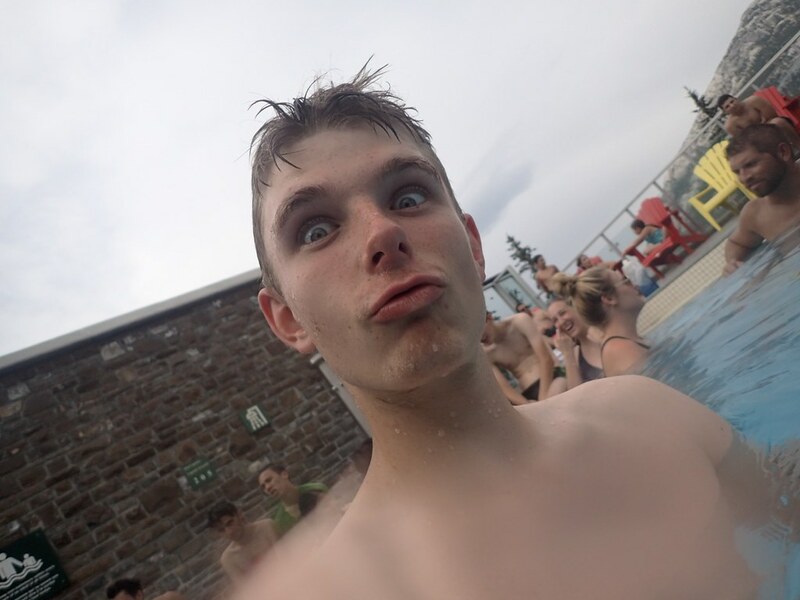 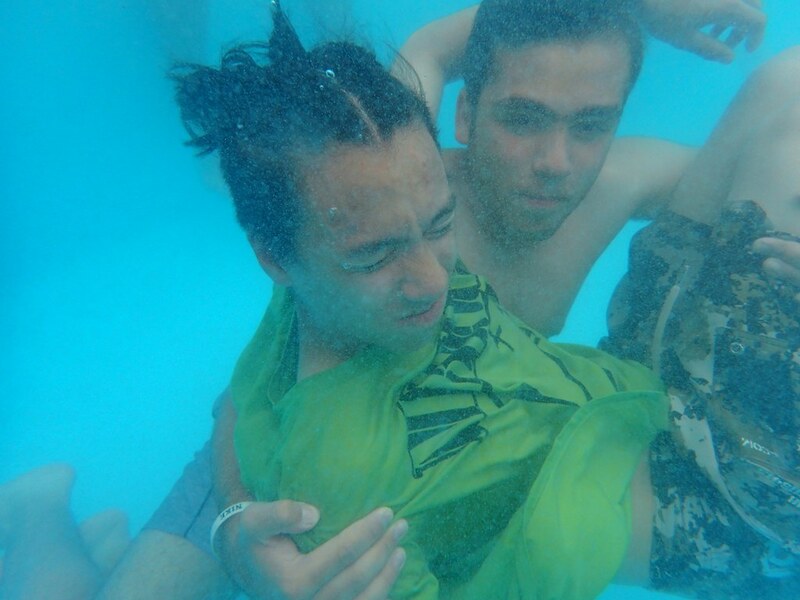 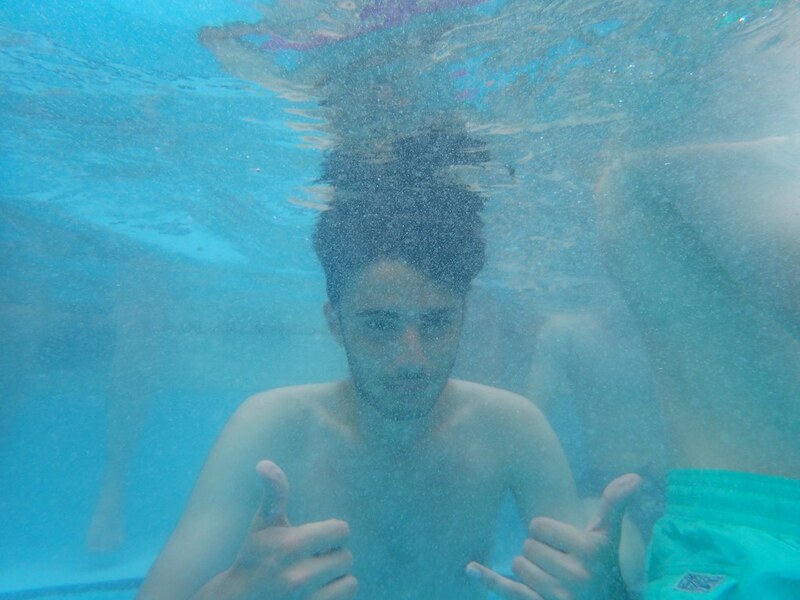 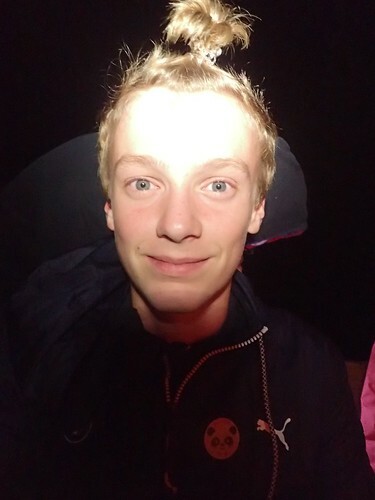 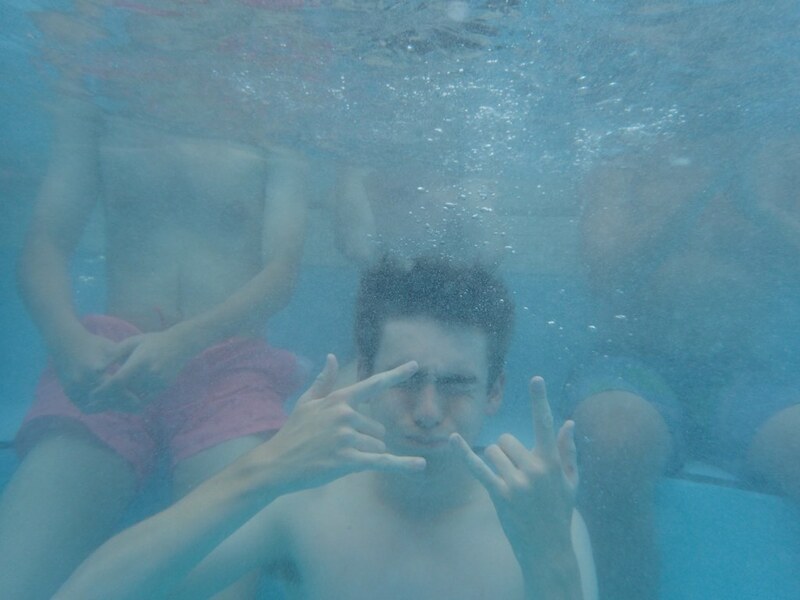 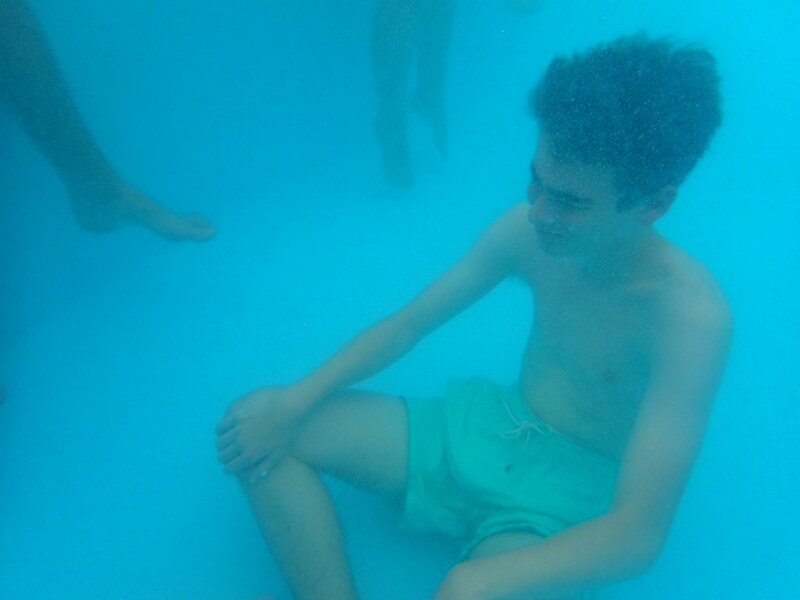 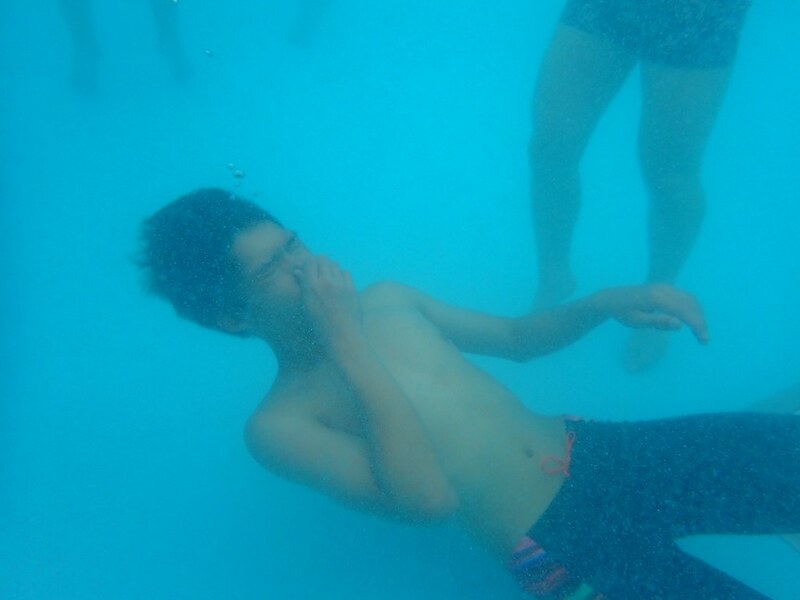 Camping was so much fun!